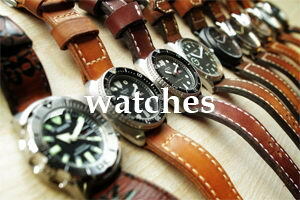 I only accept PayPal. Your shipping address must match your PayPal address. 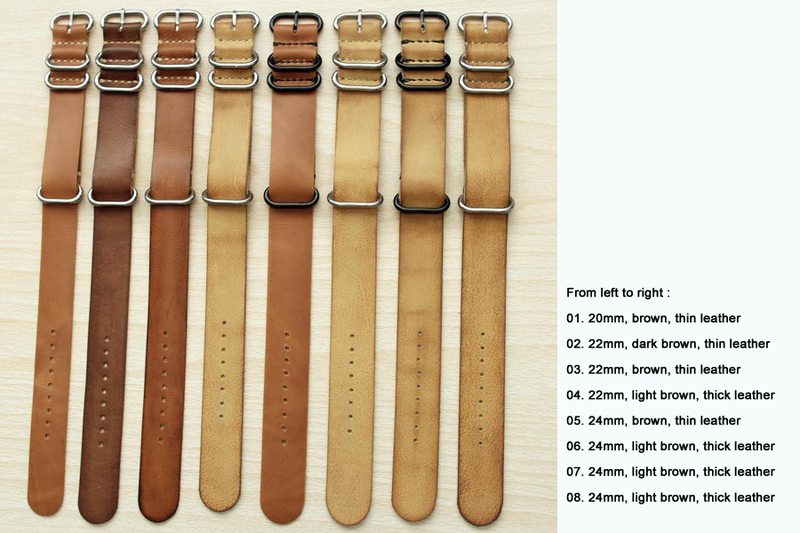 Please note once you complete the checkout process, I will not be able to amend or cancel your order. 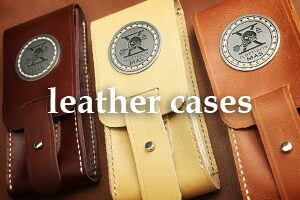 All prices include worldwide shipping. All items ship within 24-48 hours after receiving confirmed payments, except weekend and holidays. Please note delivery usually takes 15-30 working days depending on postal services & customs delay in your country. Orders are normally shipped via regular airmail with tracking number. If you do not receive the package after 35 days, please contact me and we'll work something out. 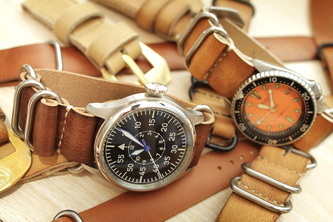 EMS Speedpost and shipping via express courier are available on demand at extra cost. In case of lost items during shipping, a full refund or replacement only available for this shipping method. 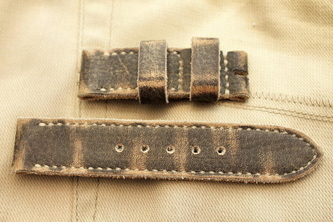 Please have a look at all pictures posted to see the details and quality of the item(s). 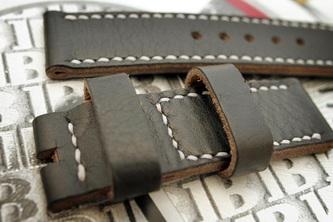 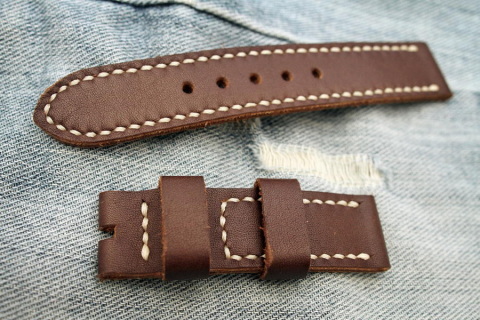 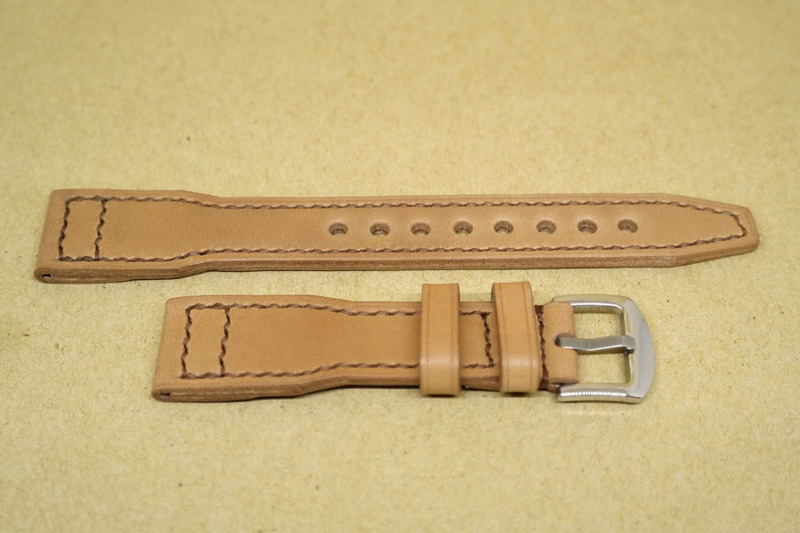 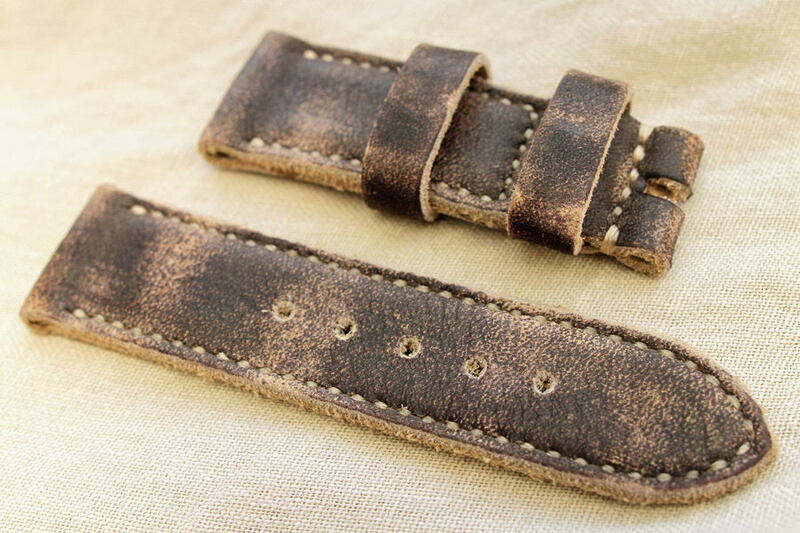 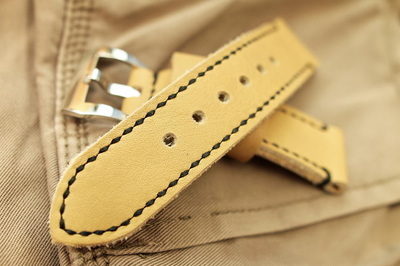 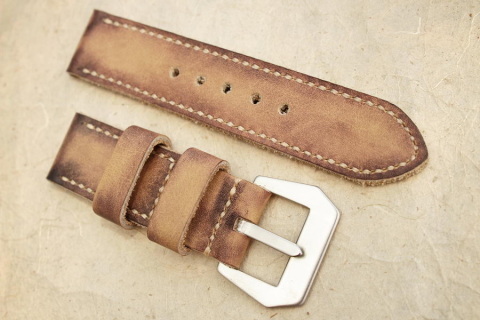 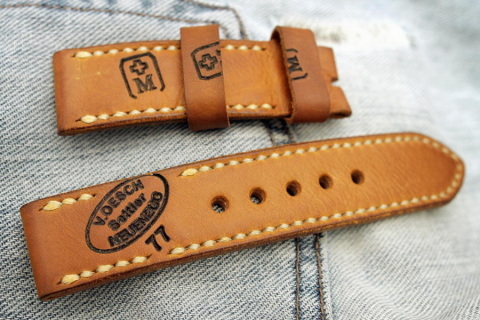 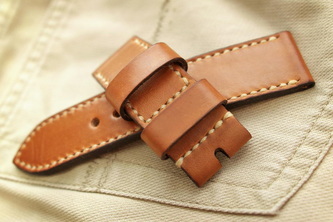 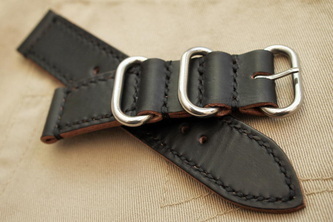 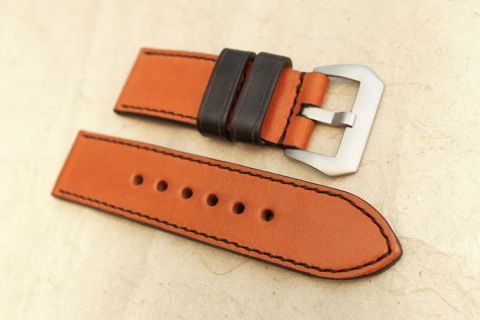 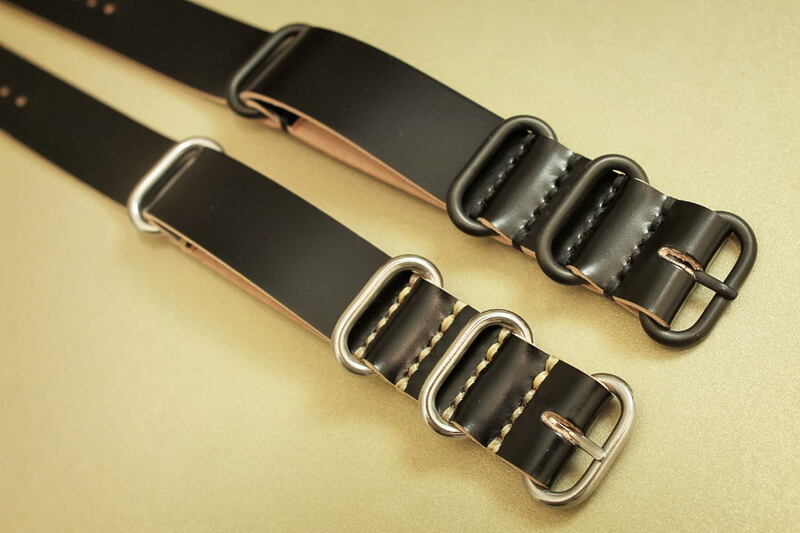 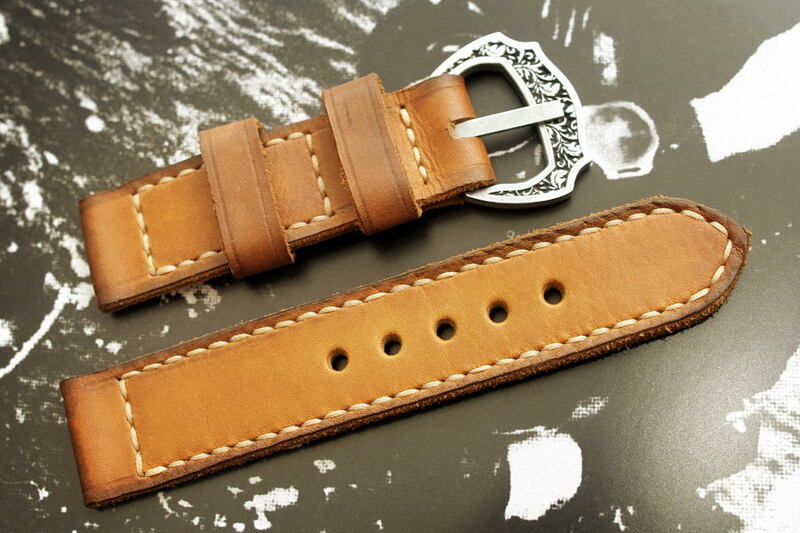 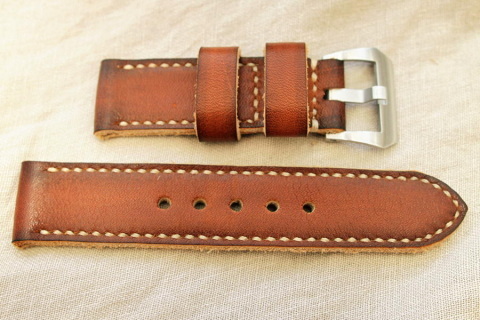 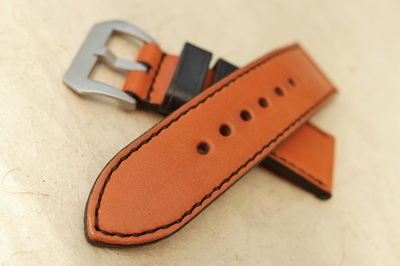 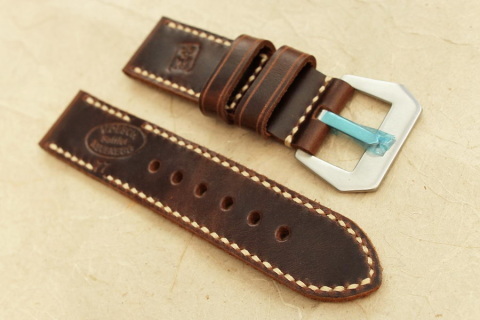 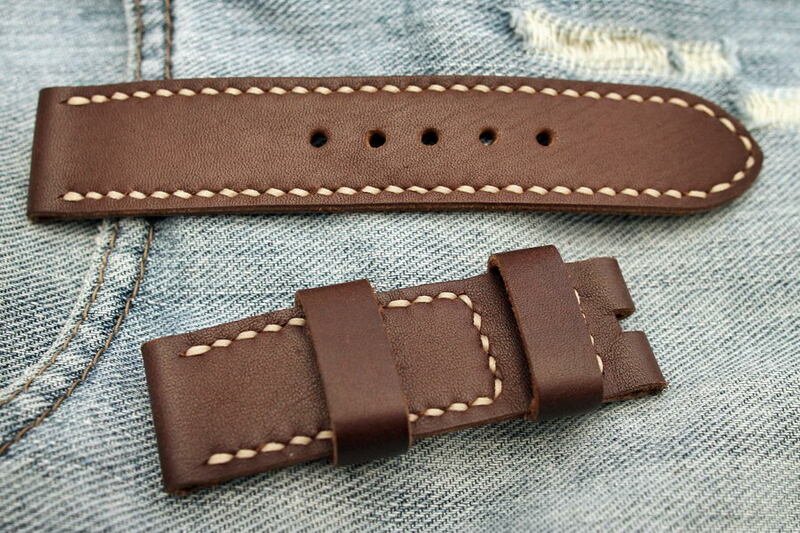 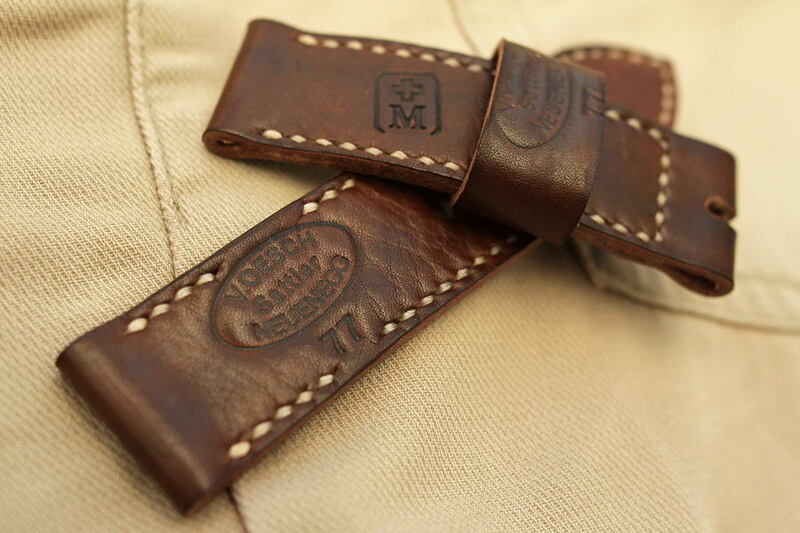 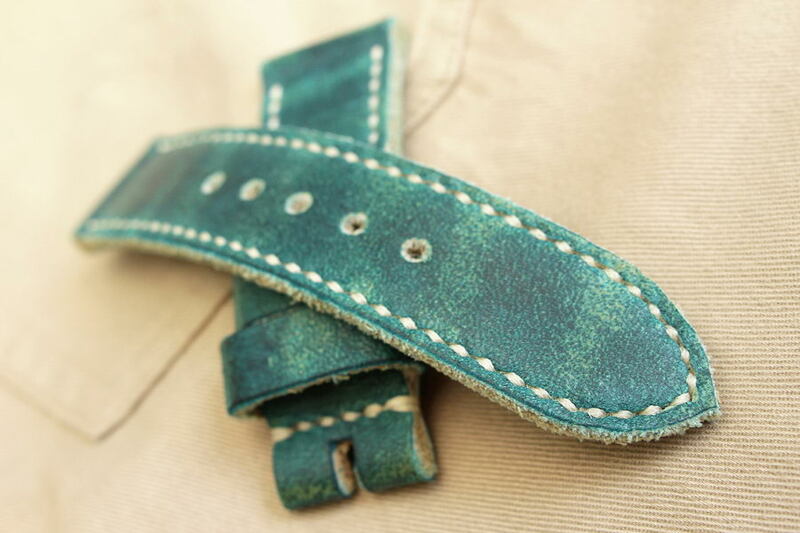 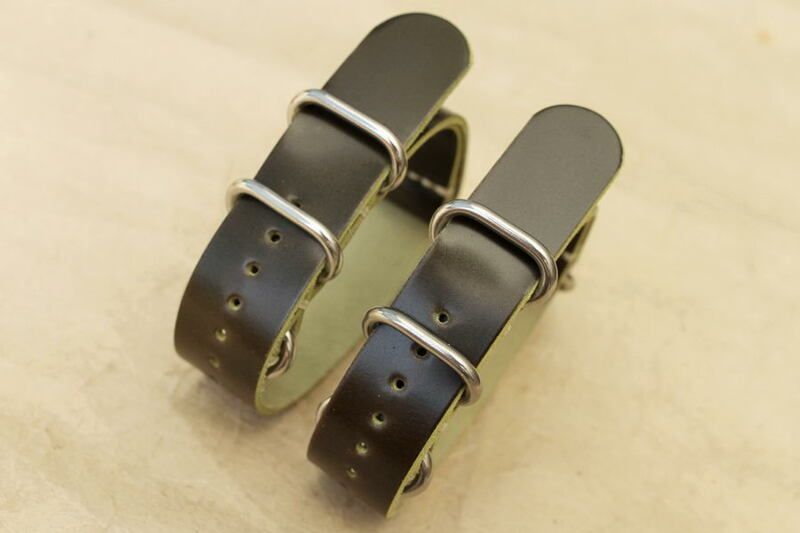 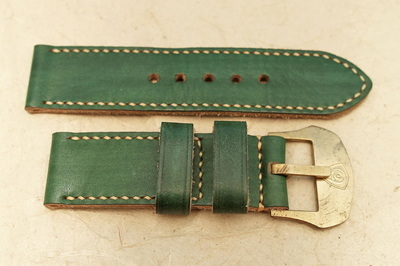 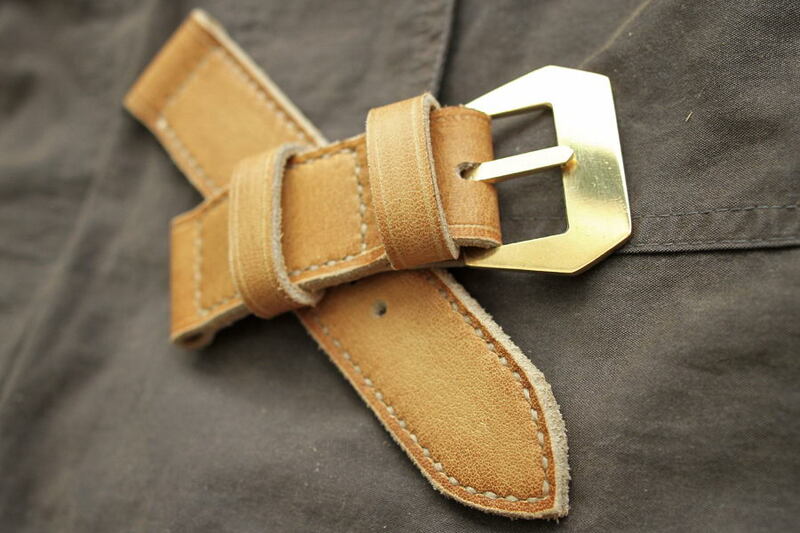 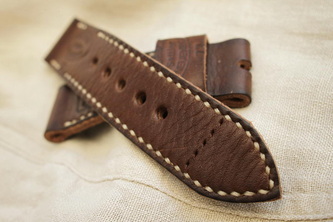 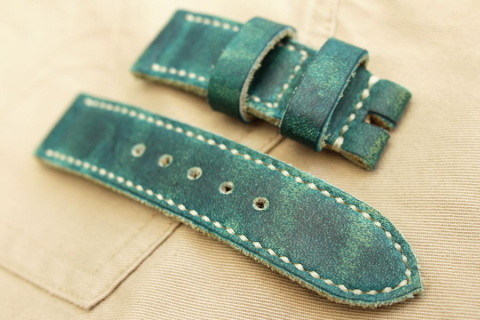 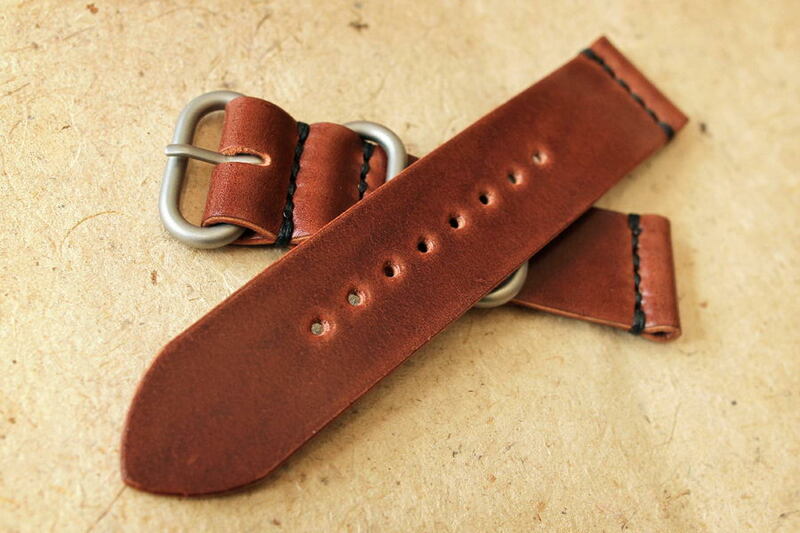 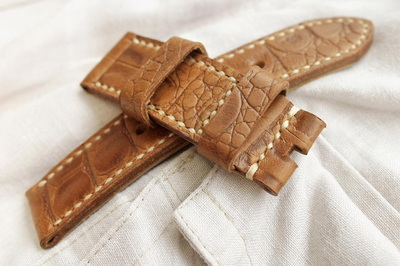 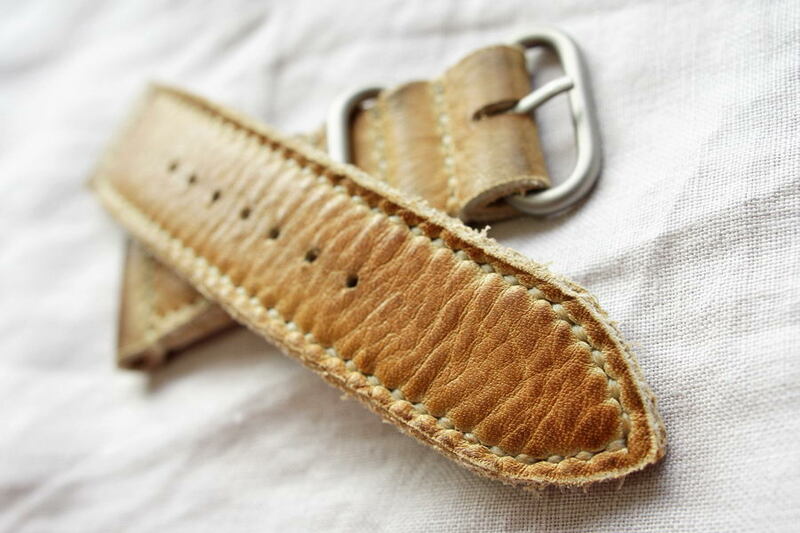 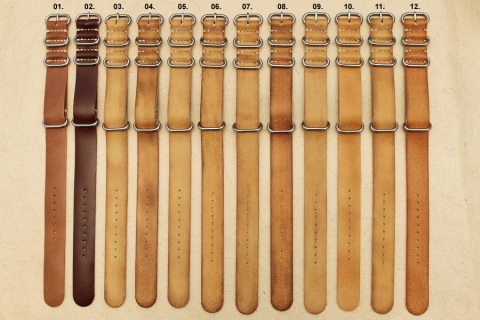 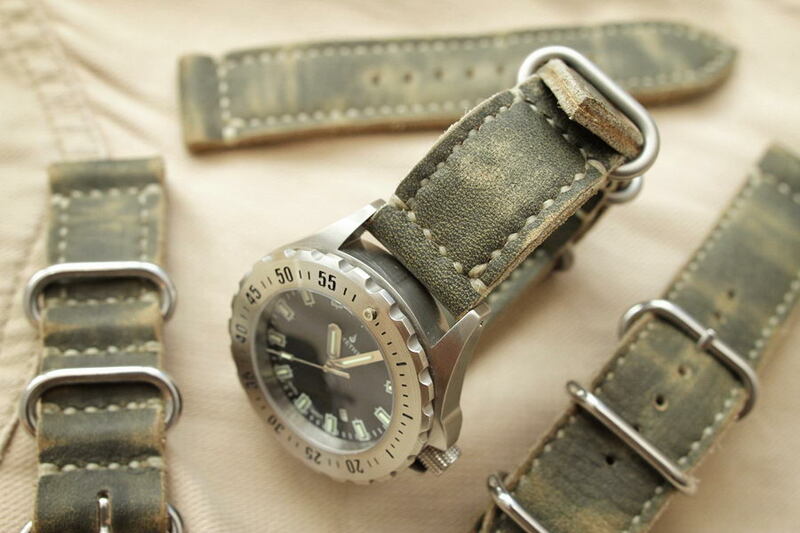 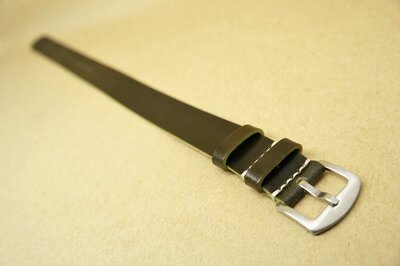 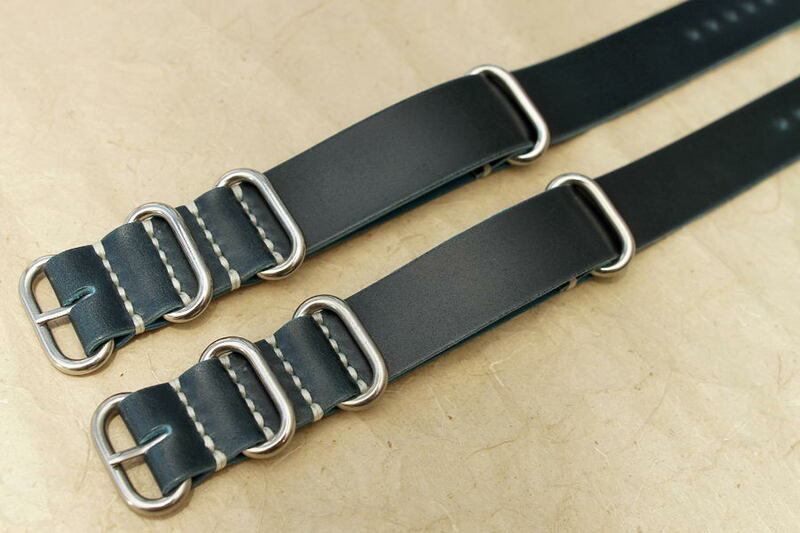 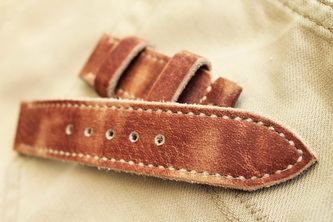 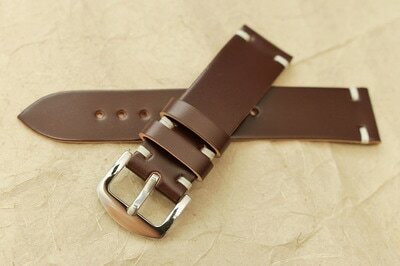 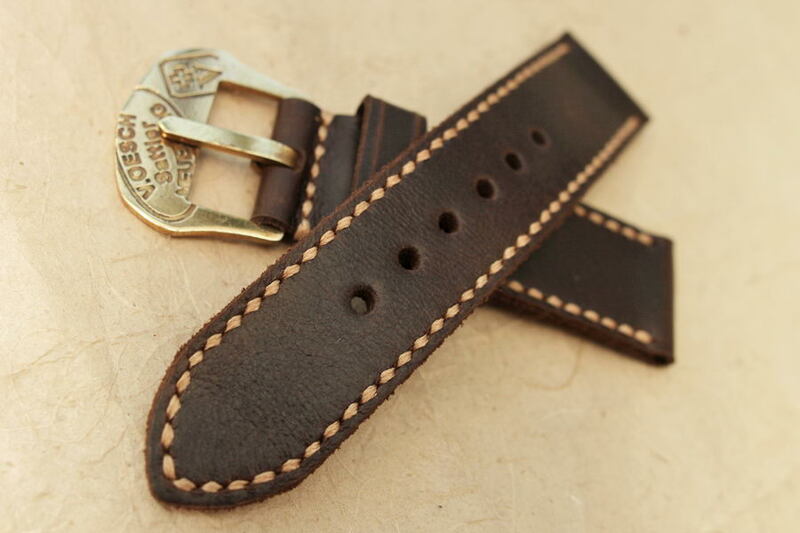 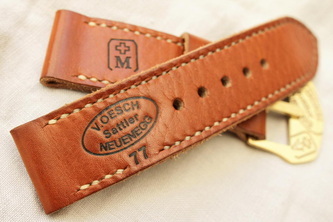 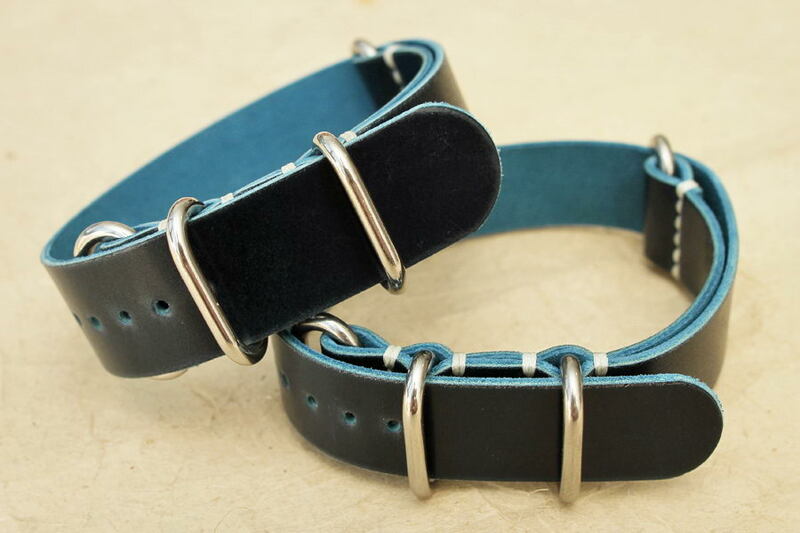 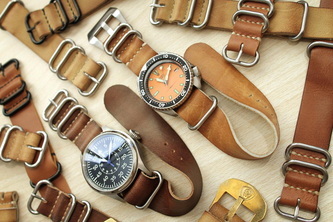 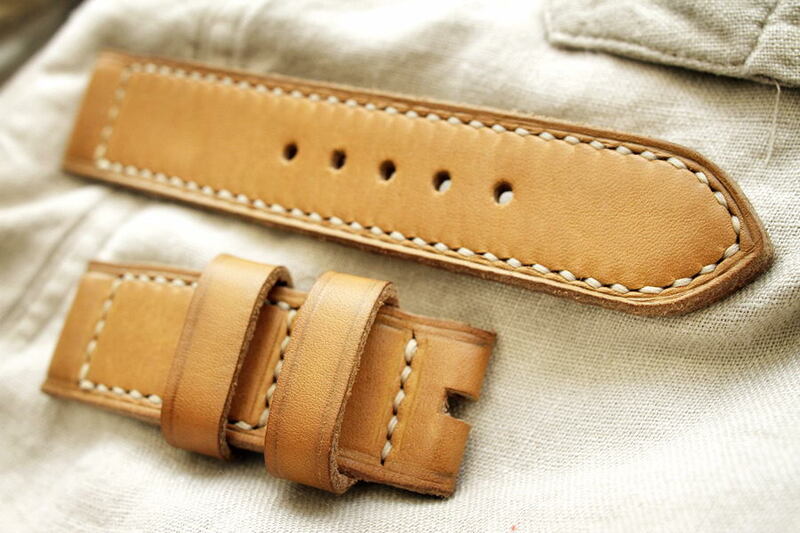 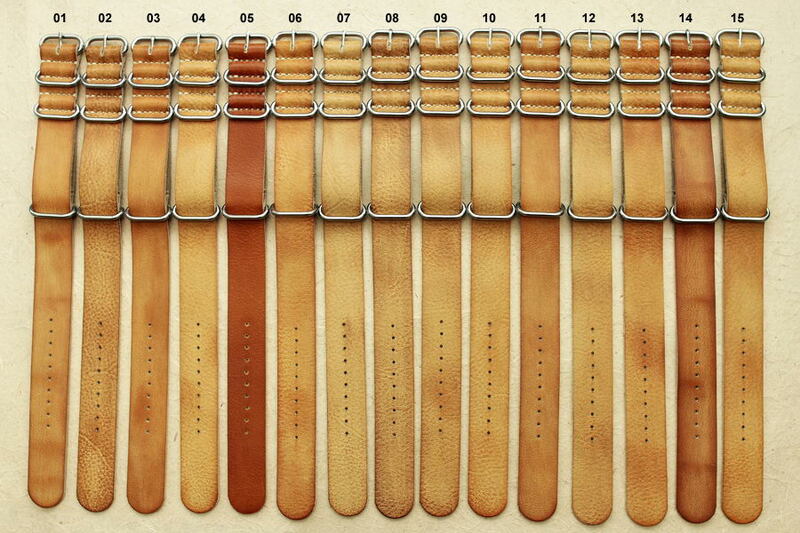 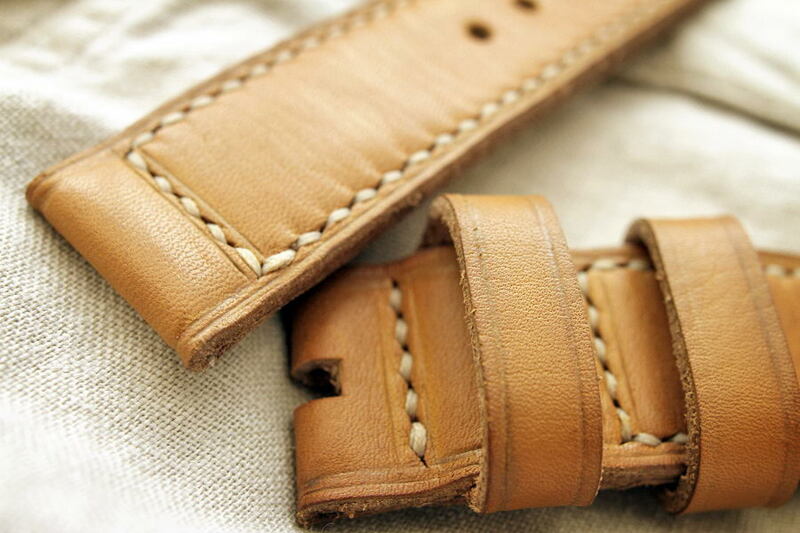 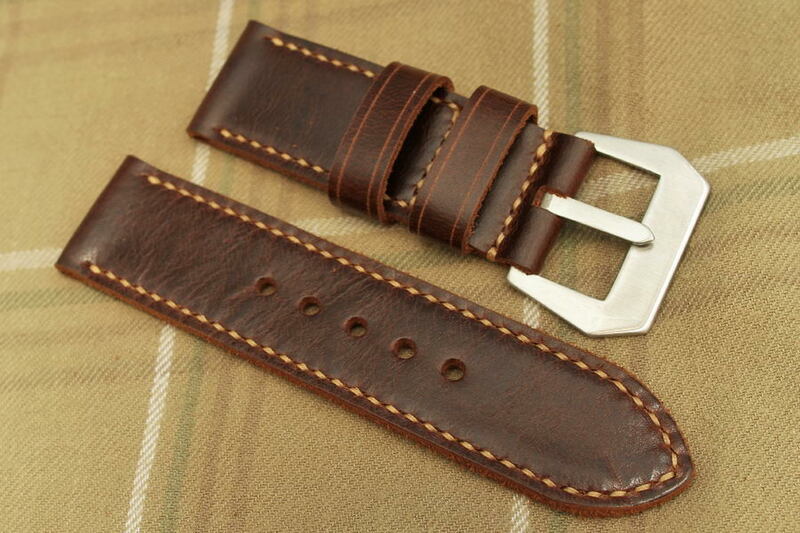 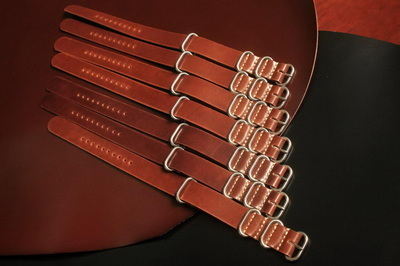 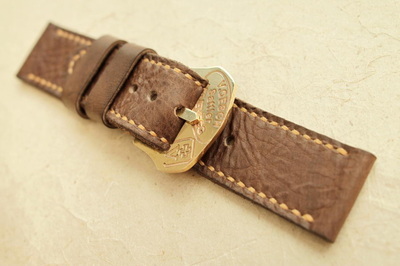 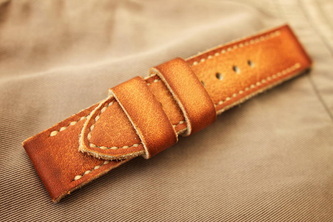 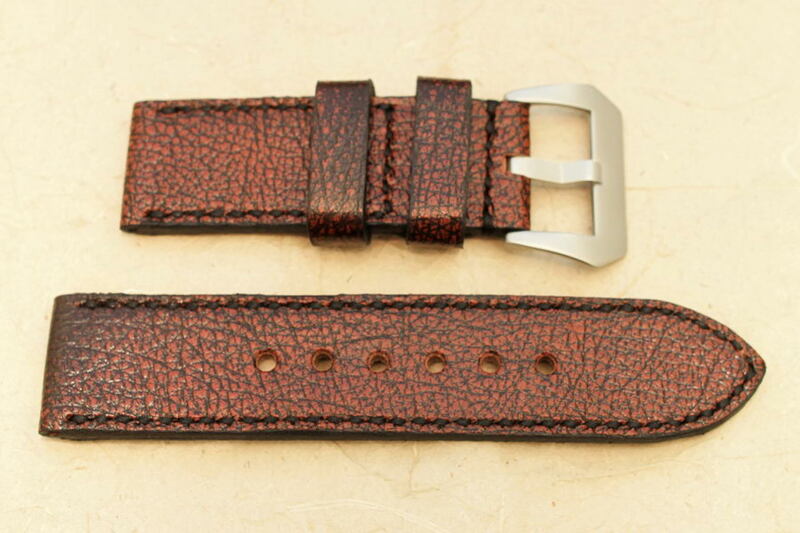 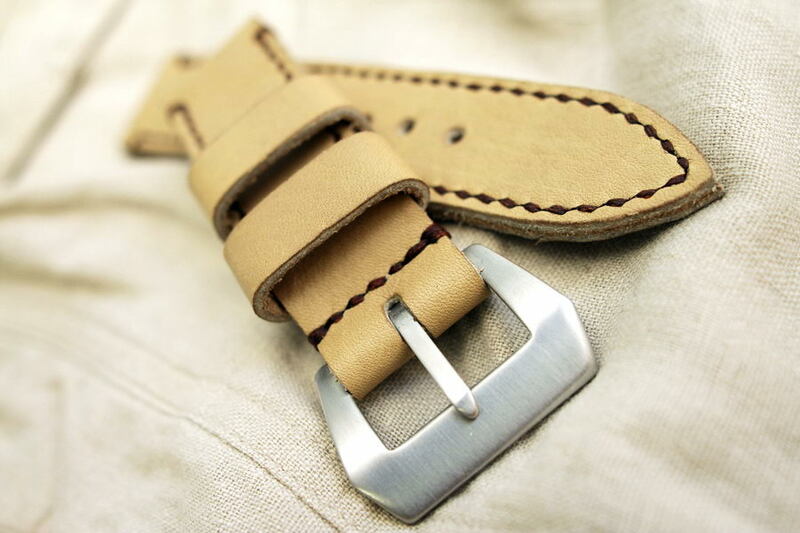 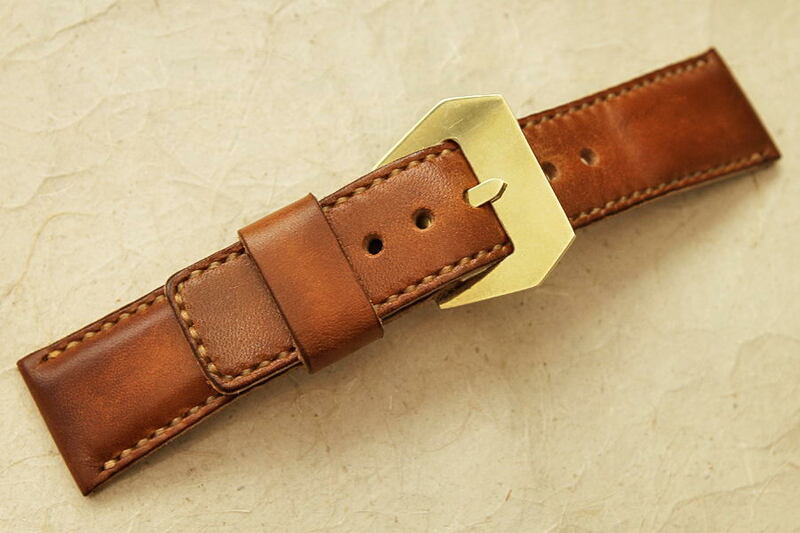 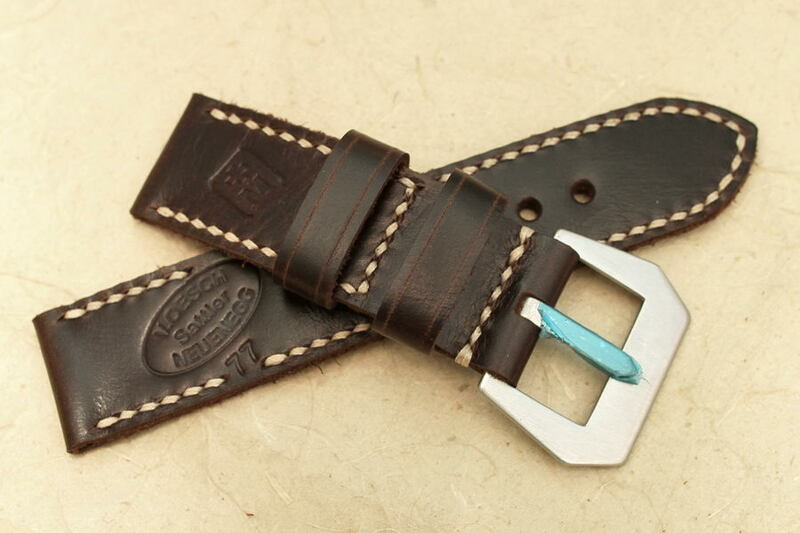 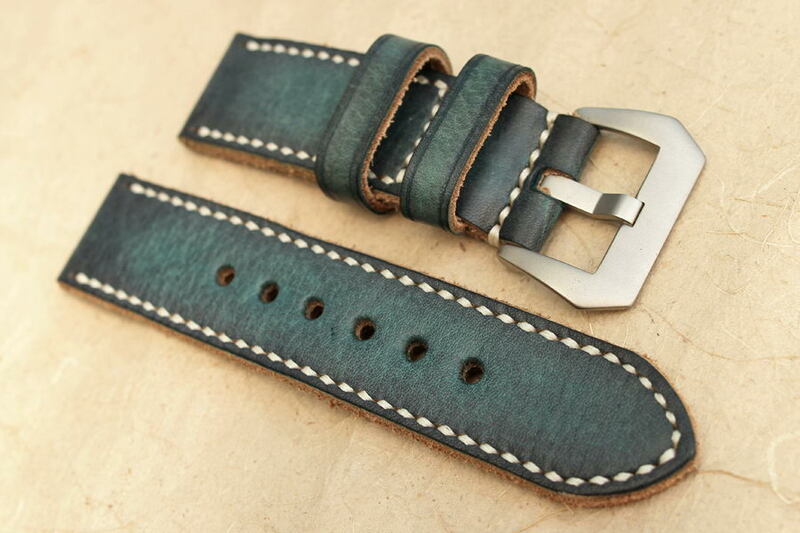 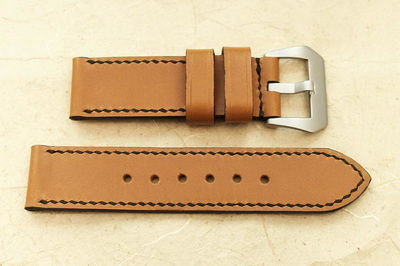 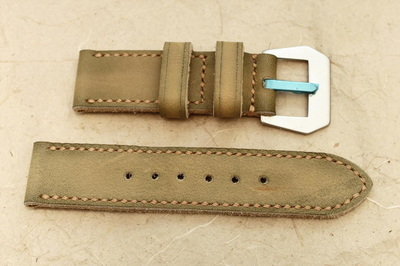 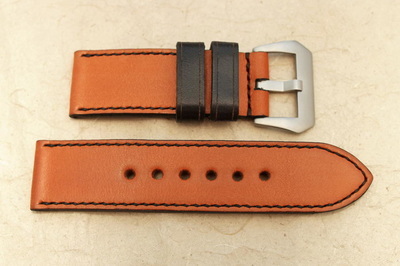 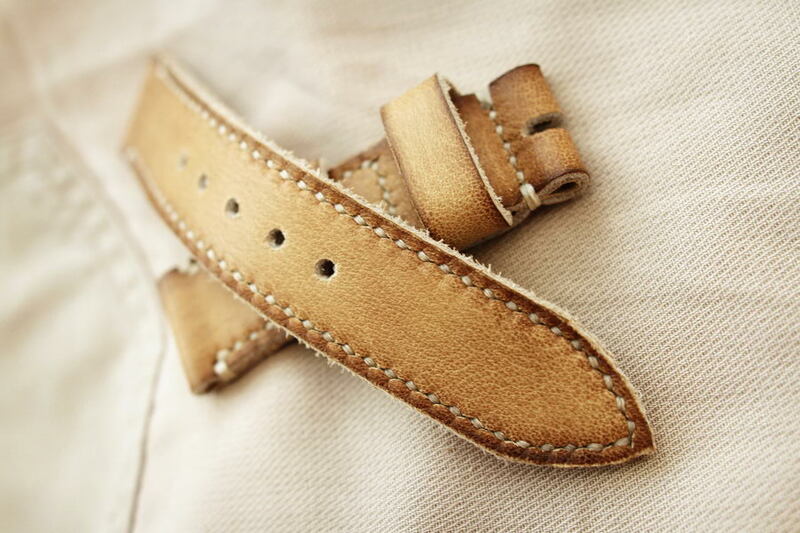 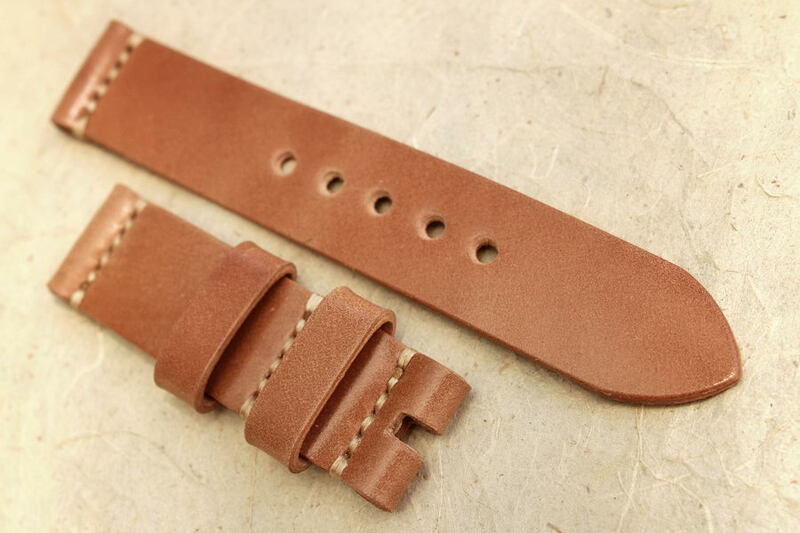 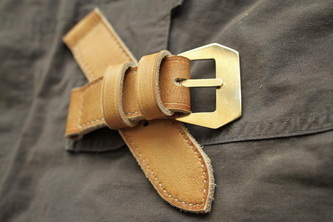 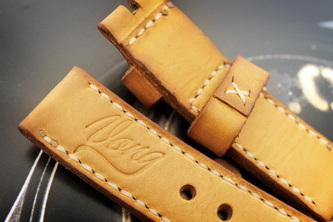 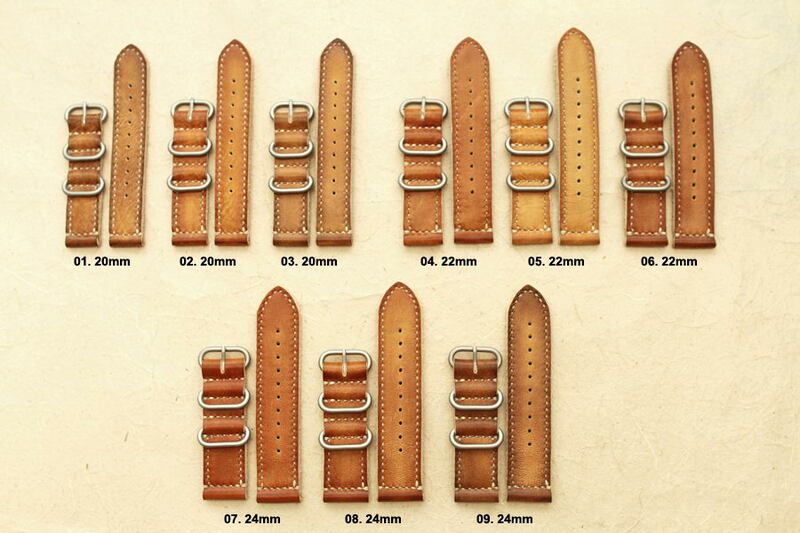 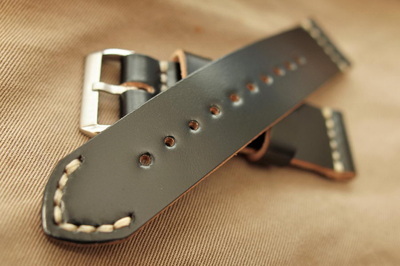 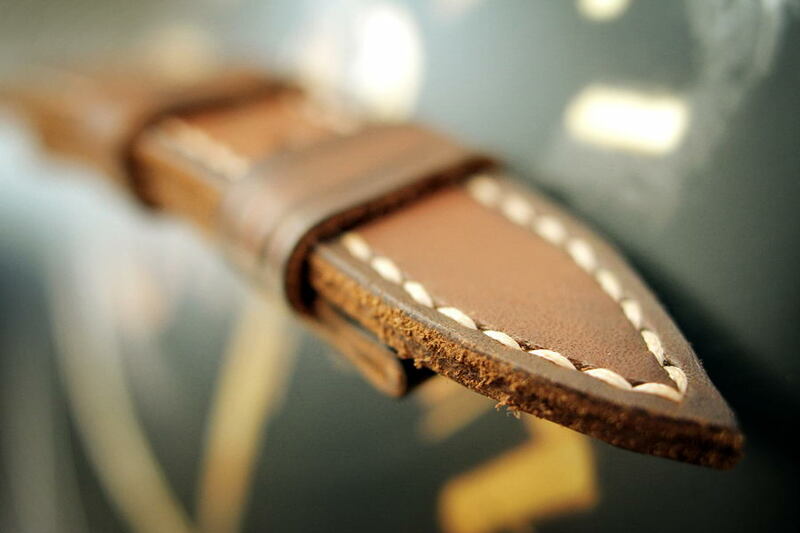 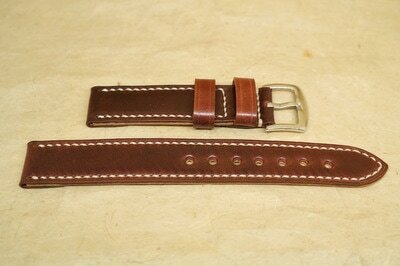 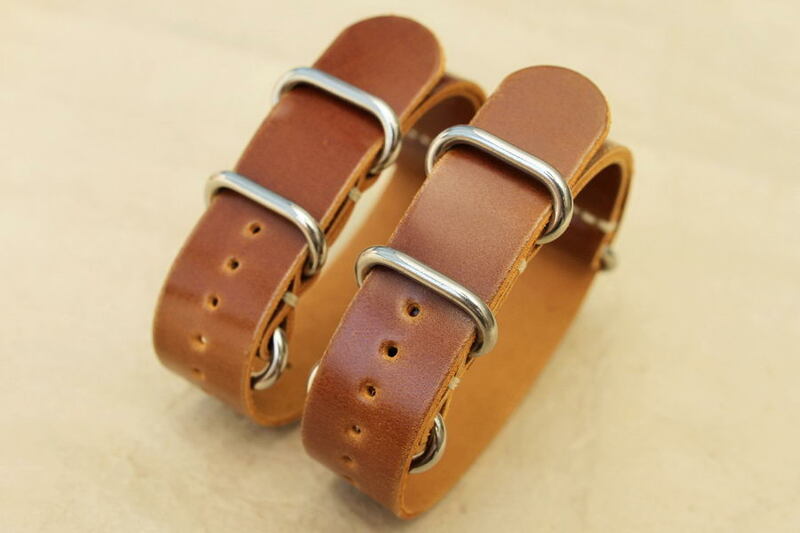 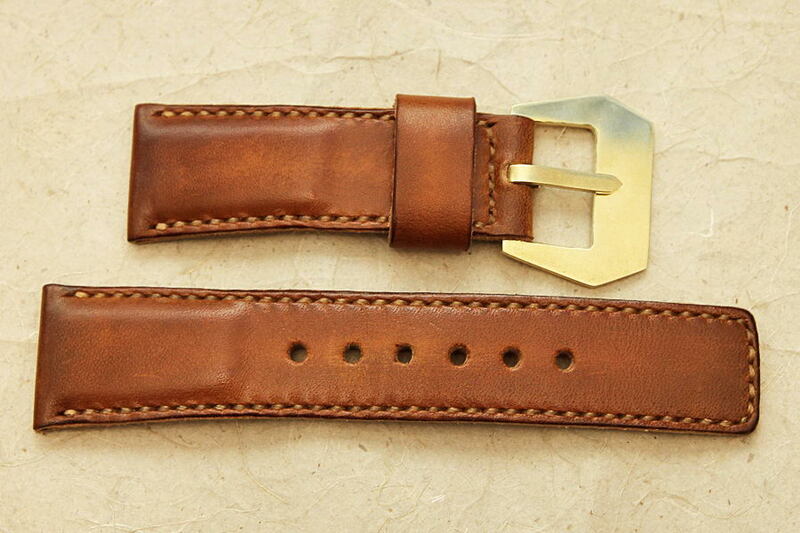 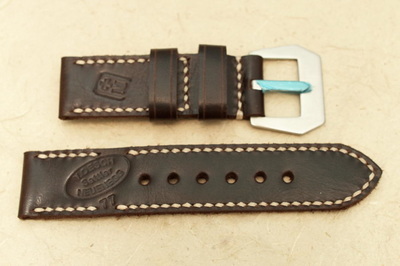 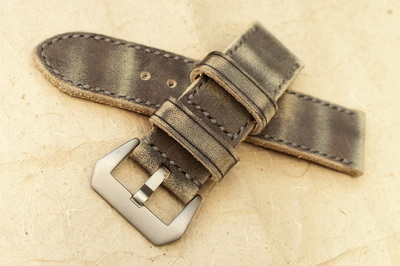 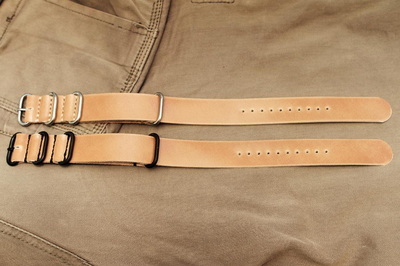 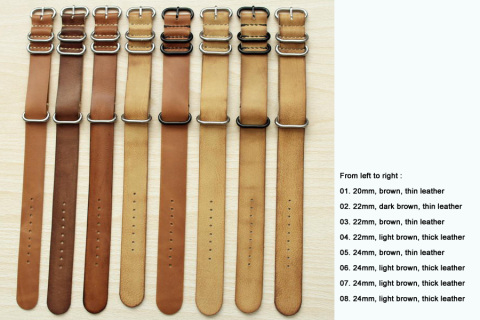 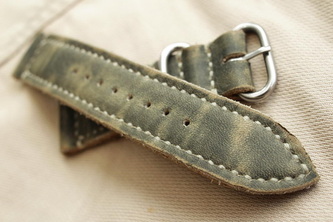 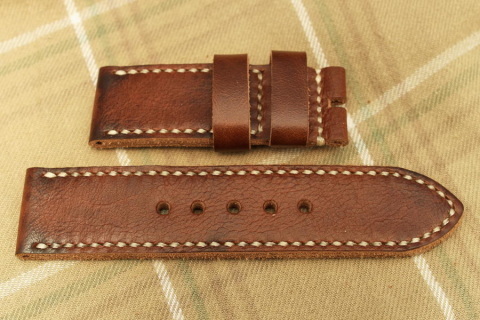 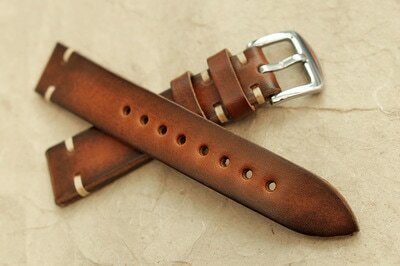 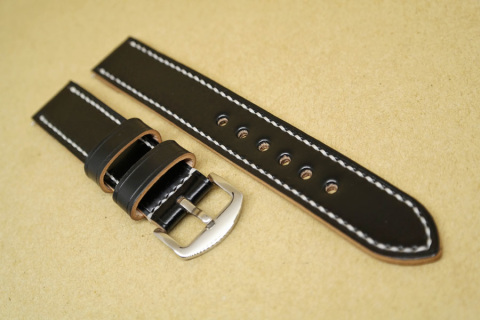 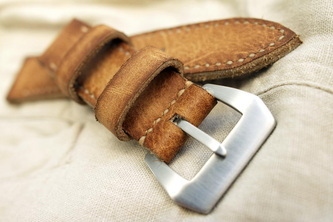 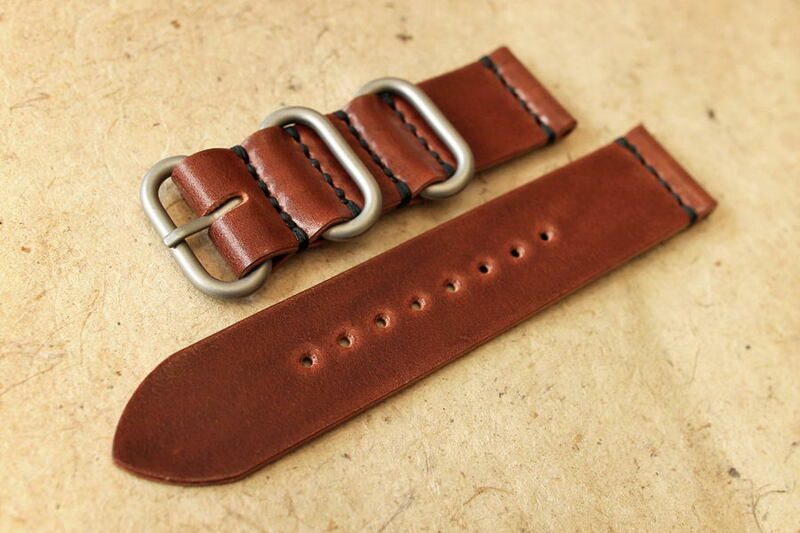 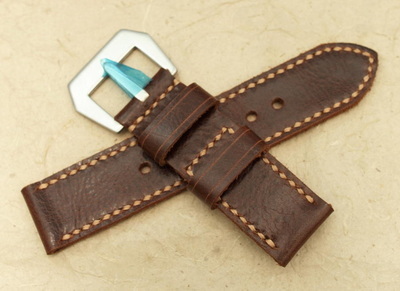 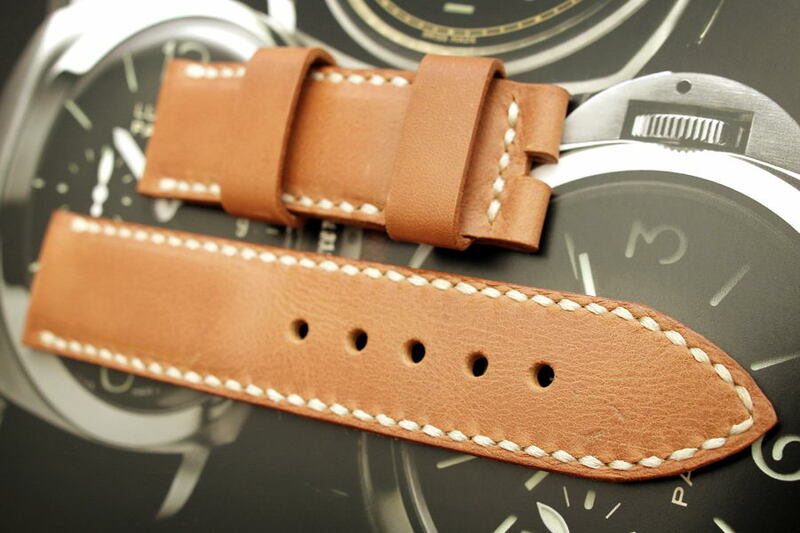 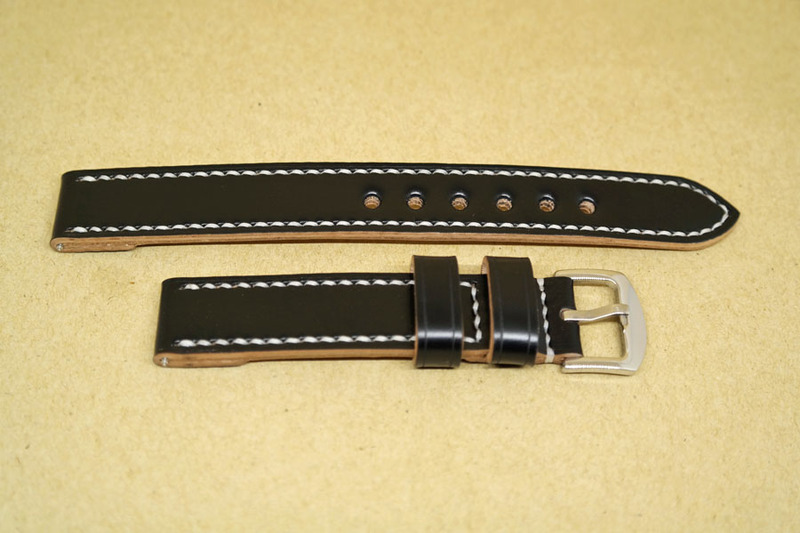 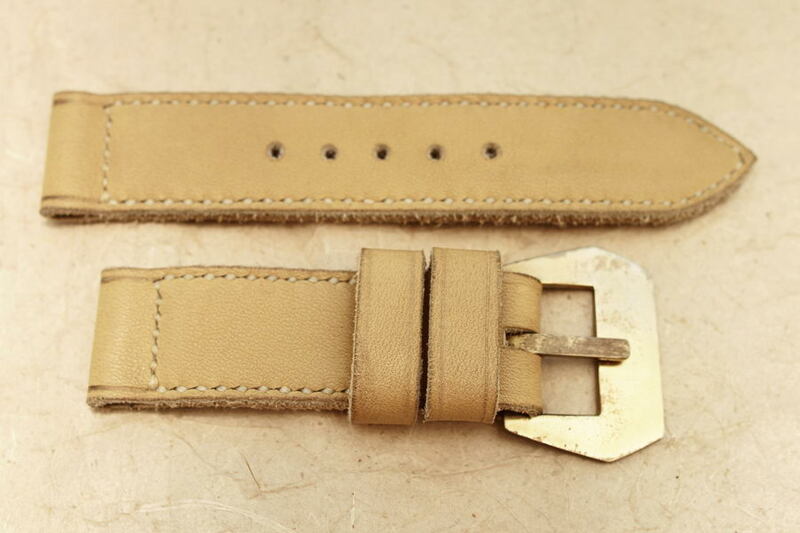 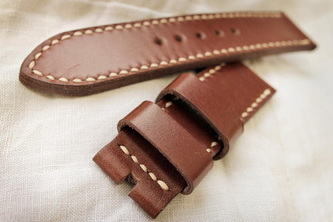 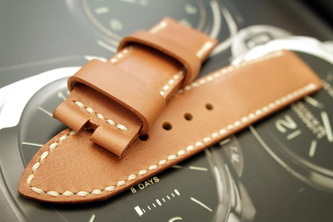 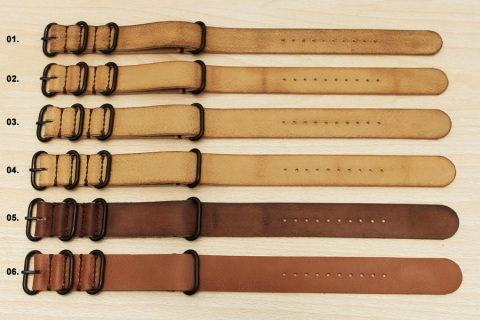 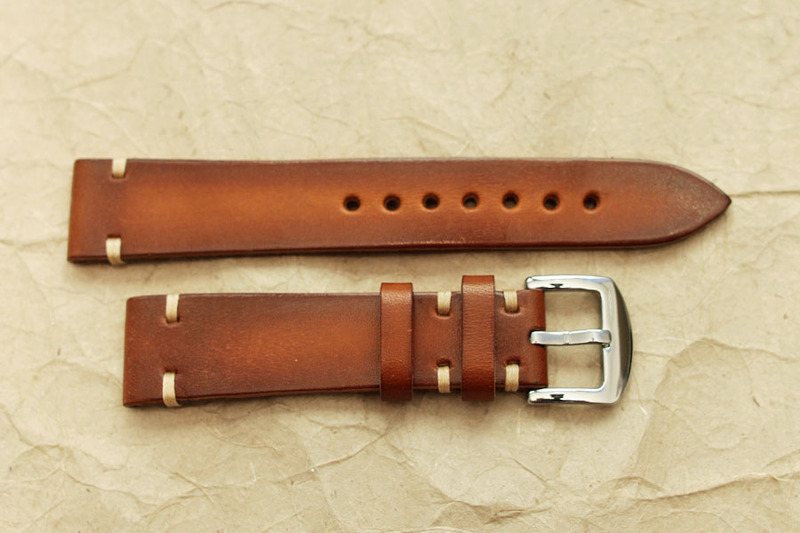 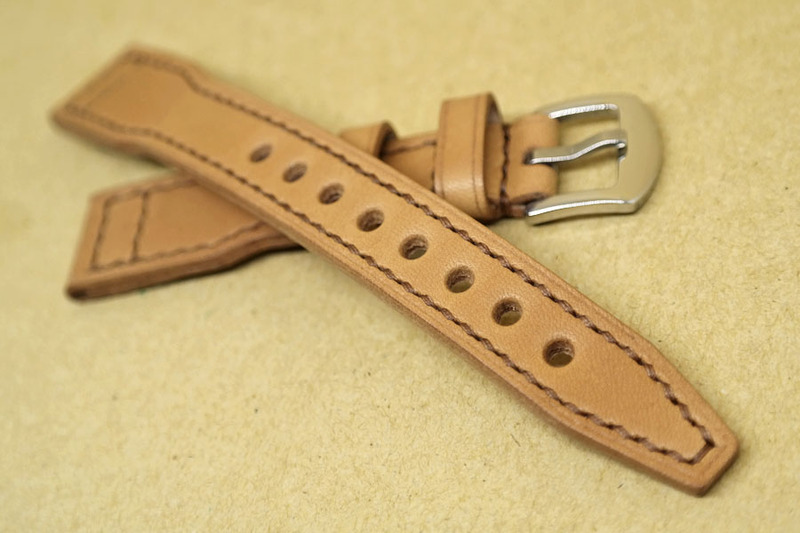 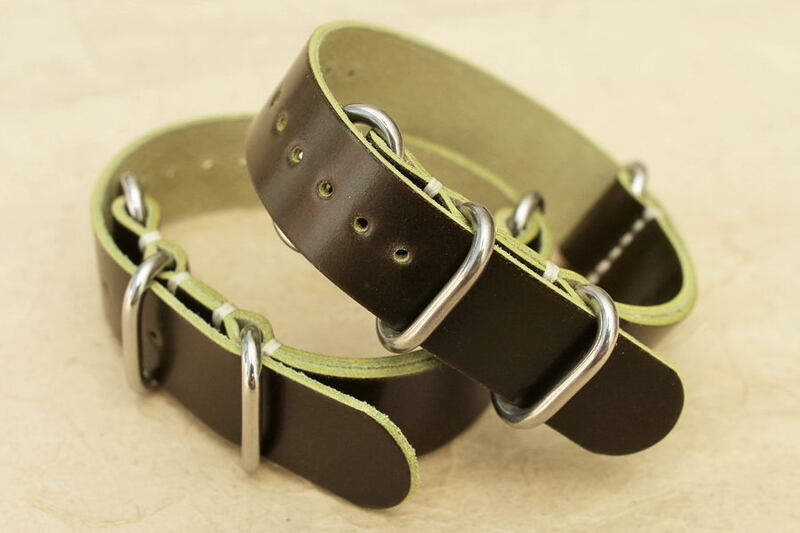 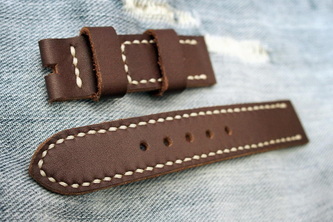 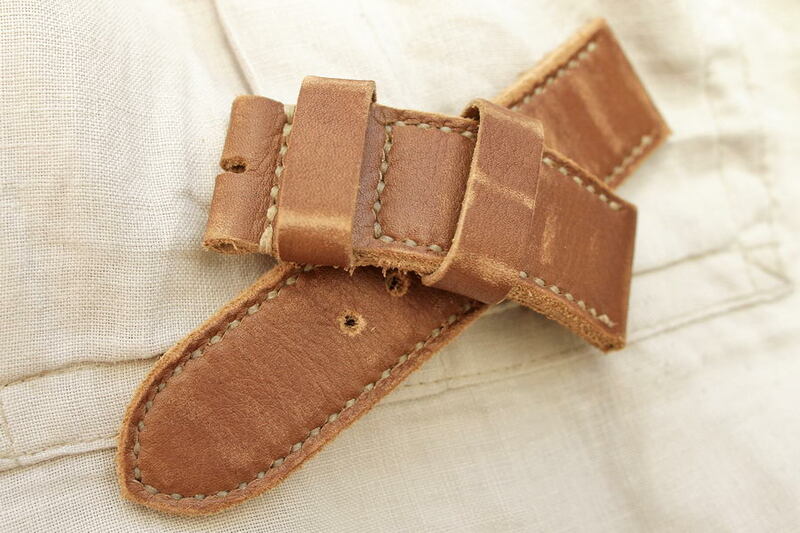 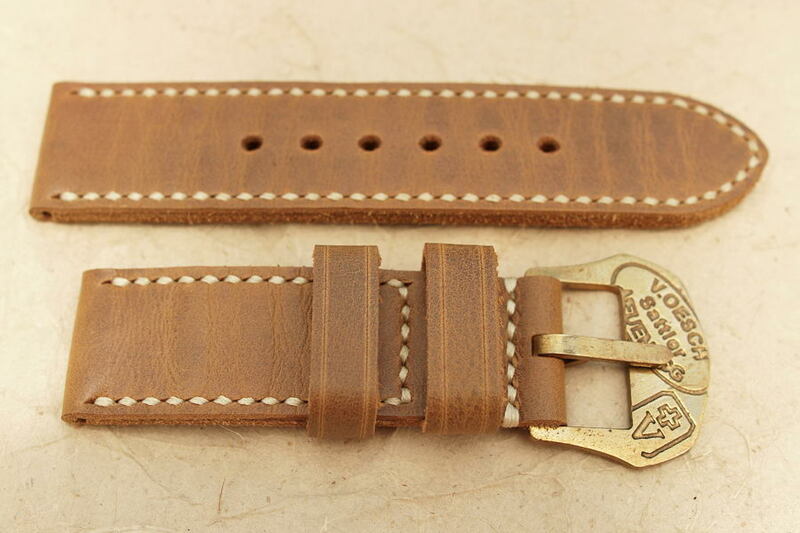 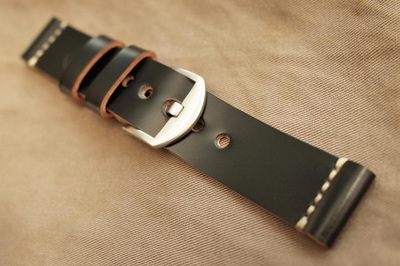 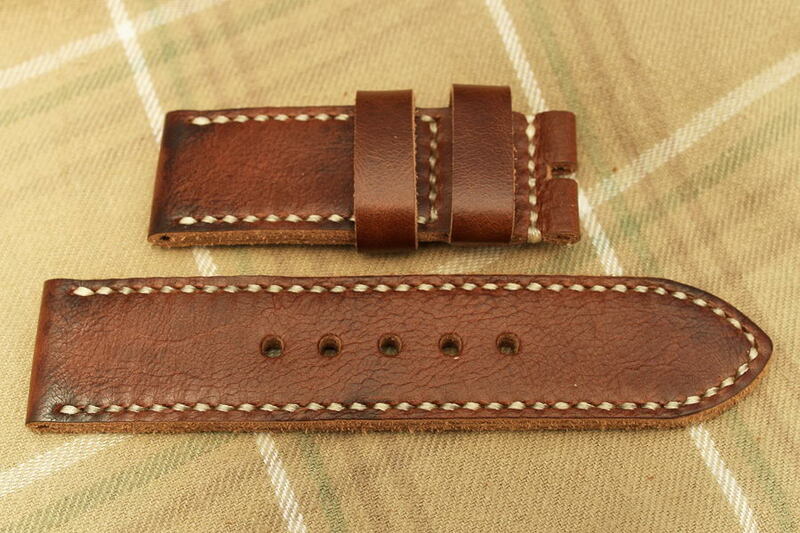 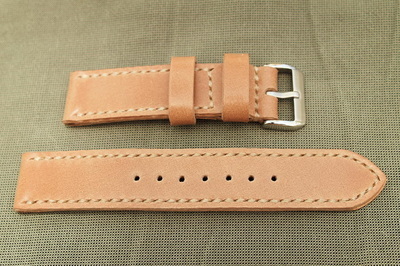 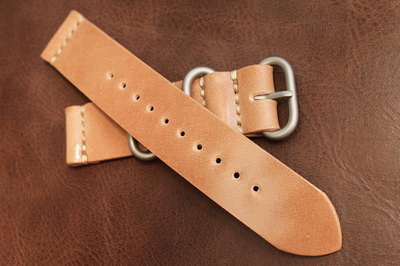 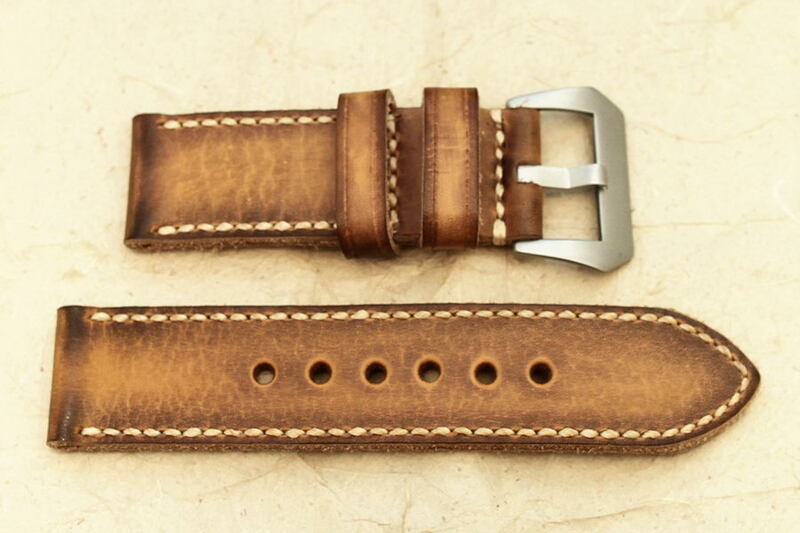 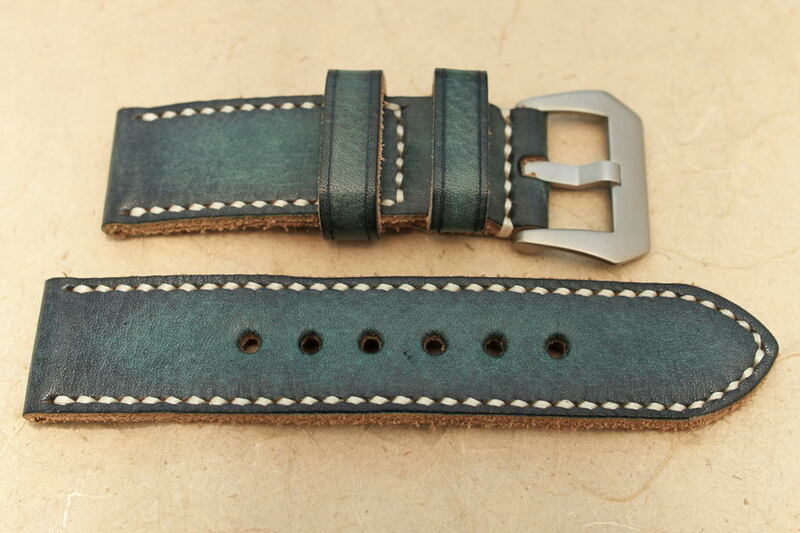 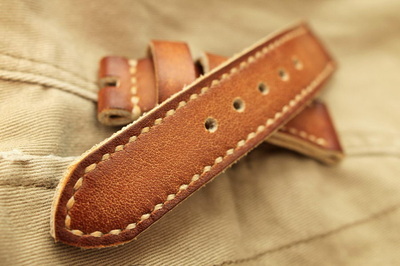 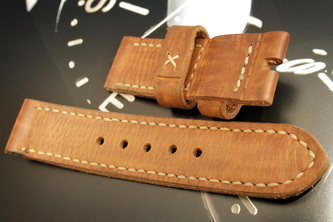 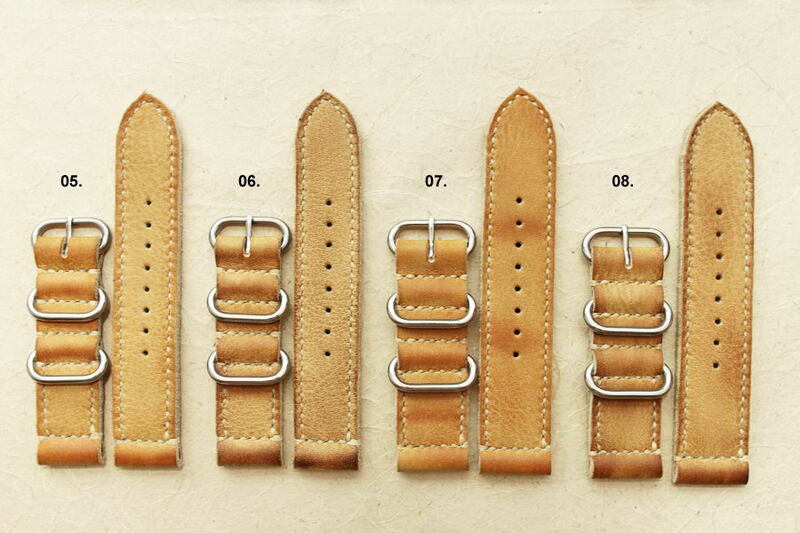 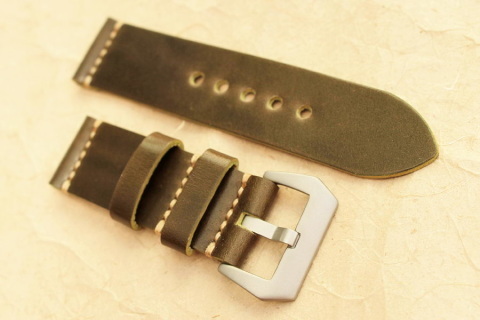 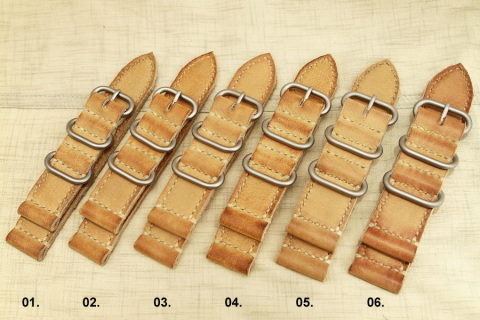 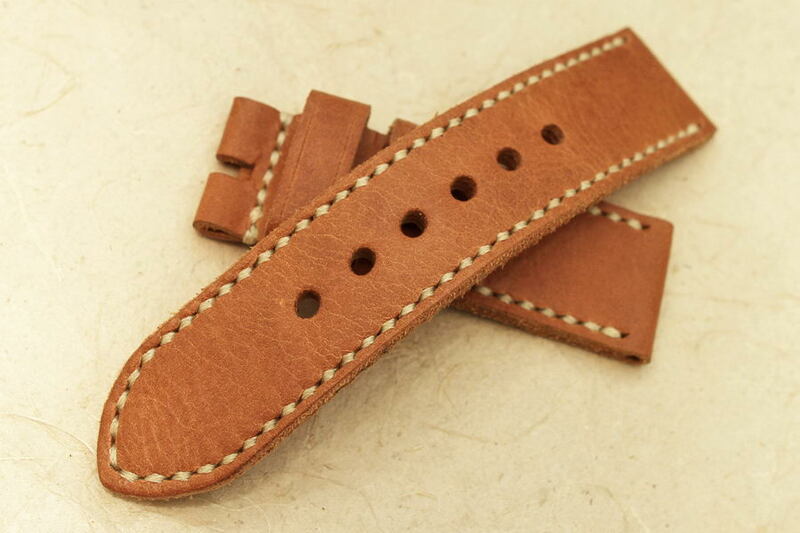 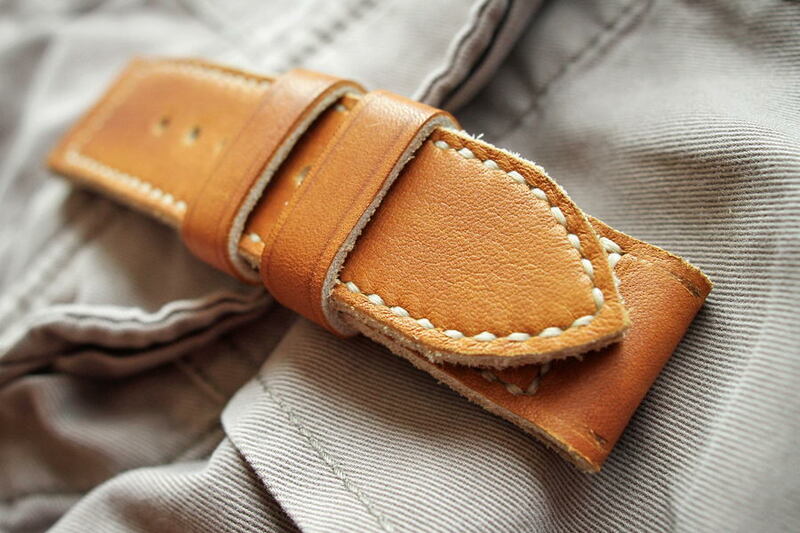 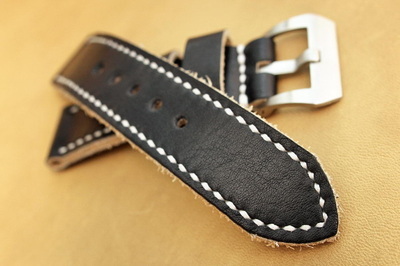 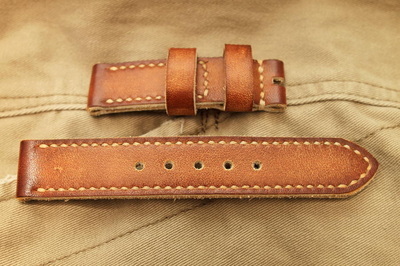 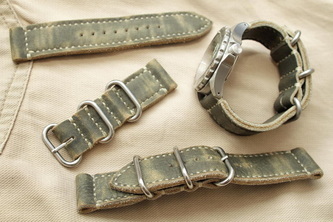 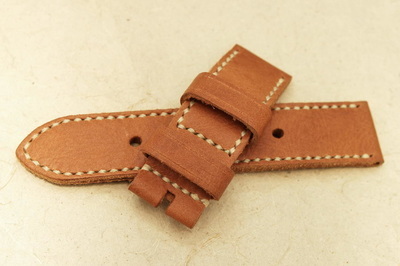 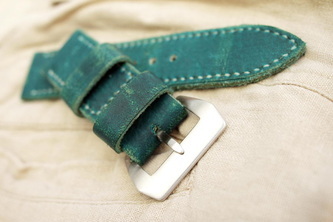 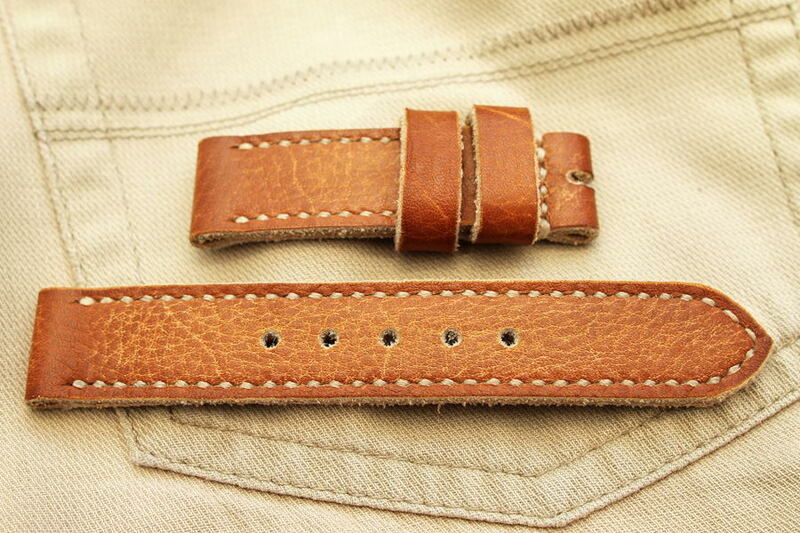 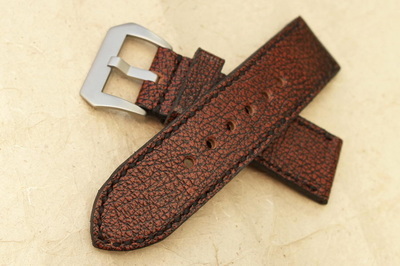 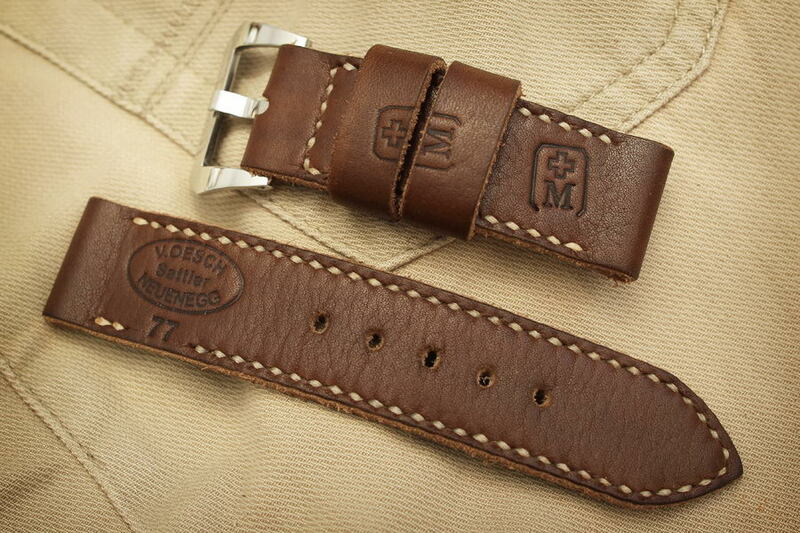 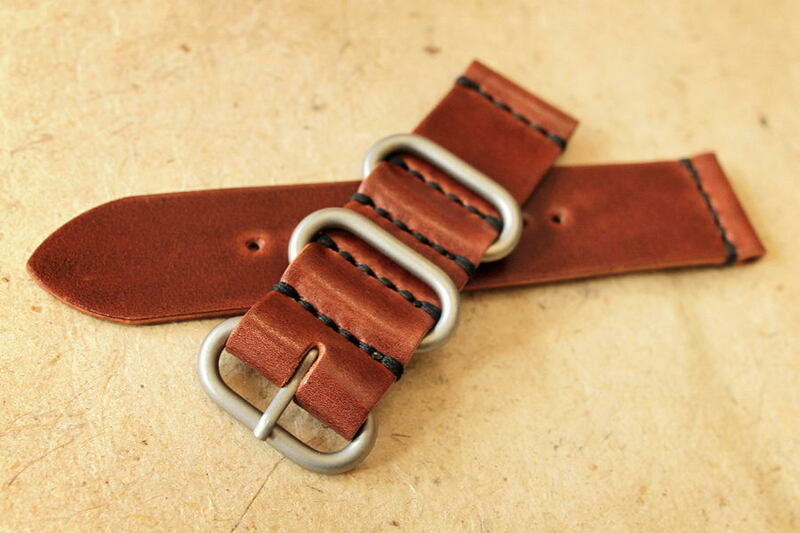 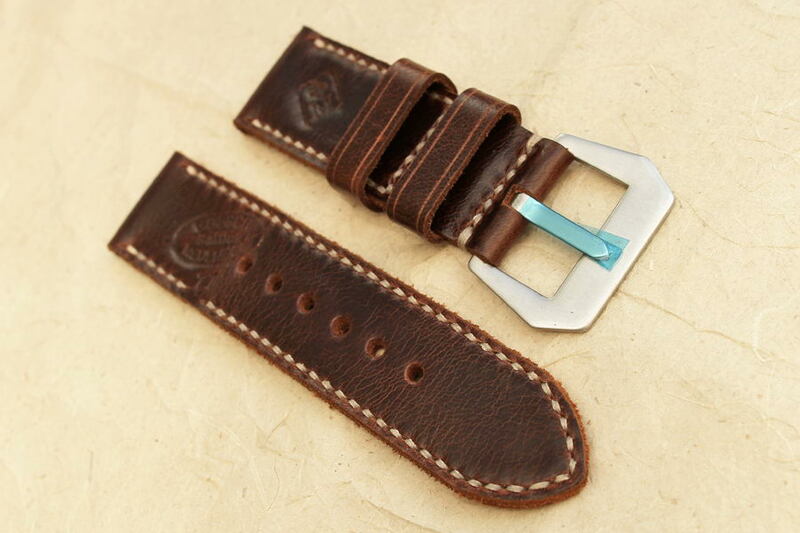 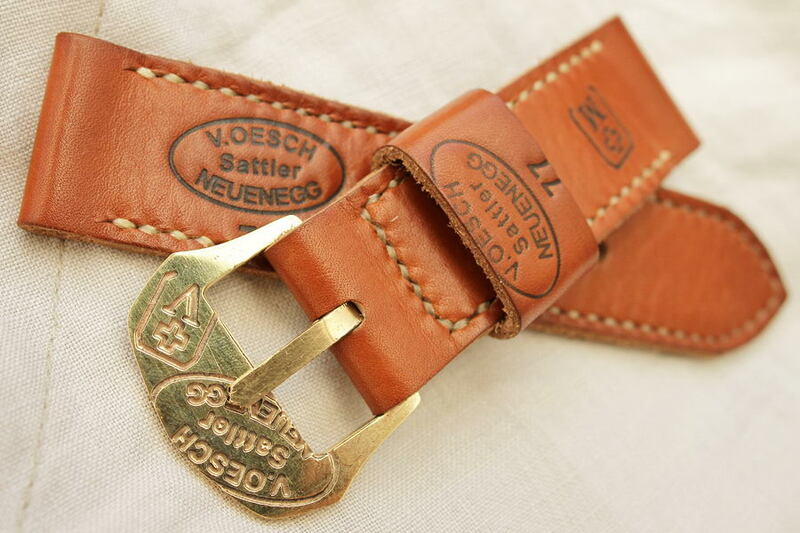 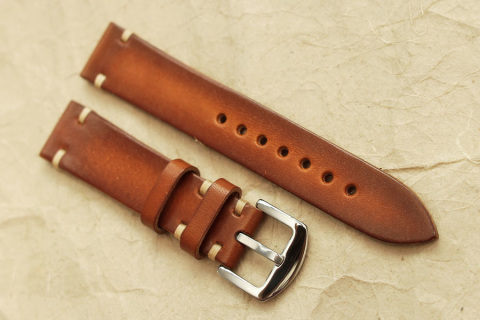 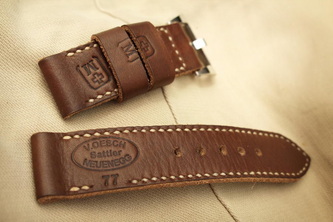 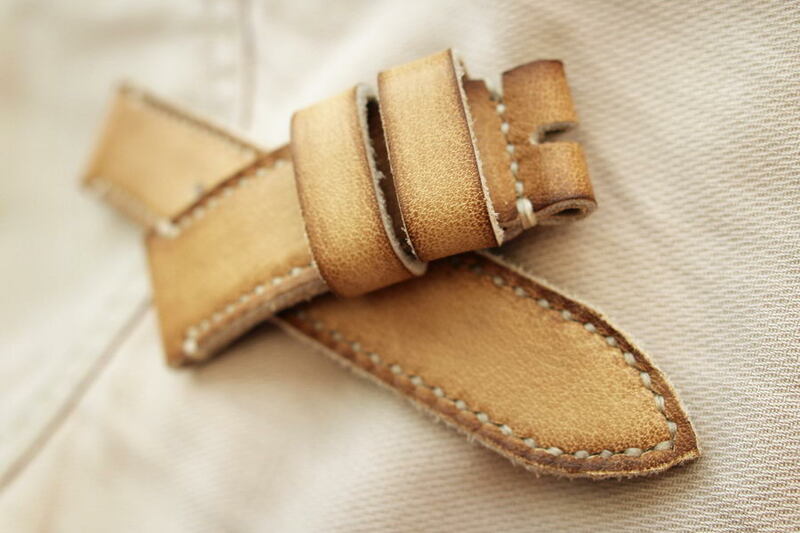 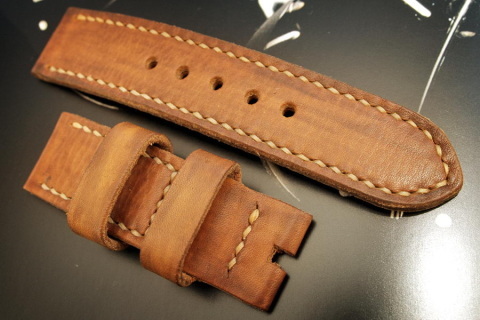 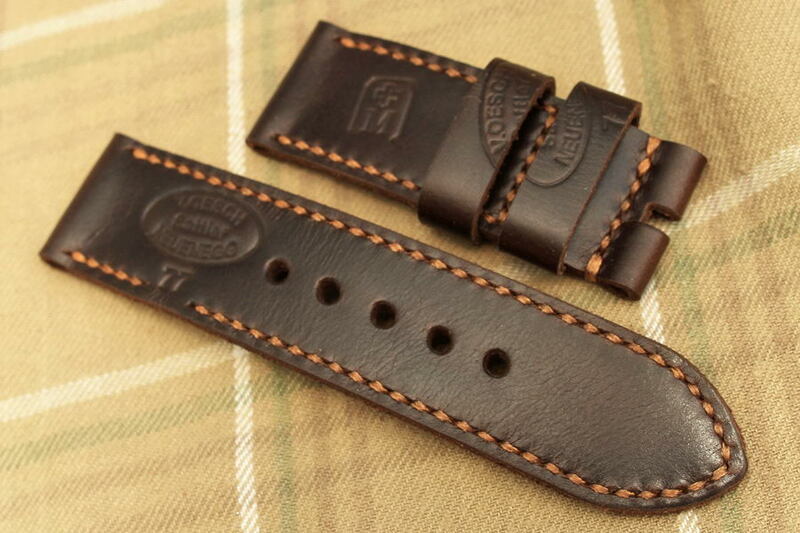 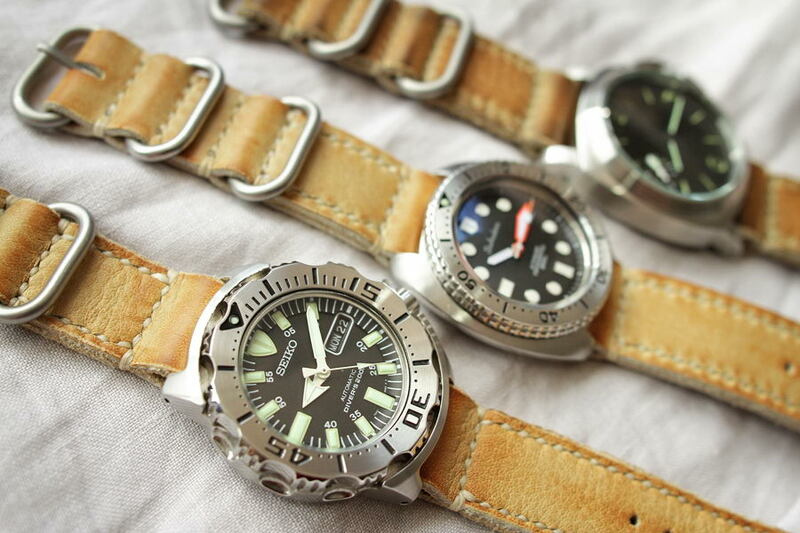 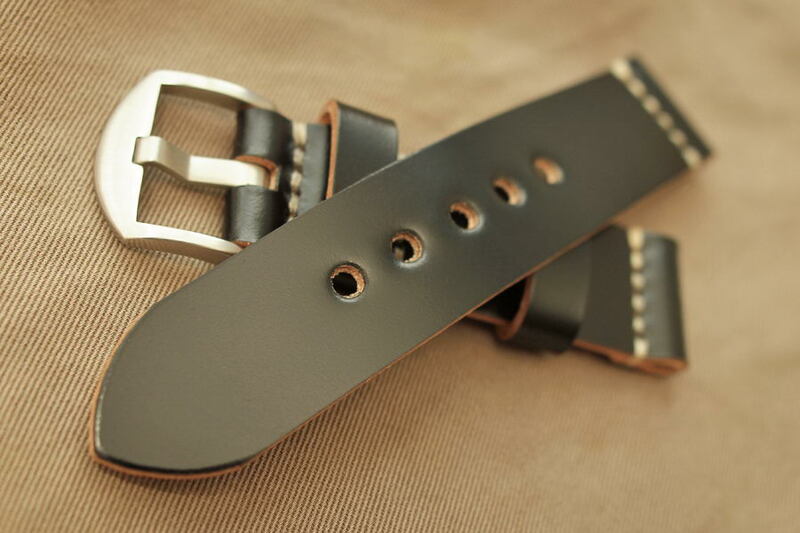 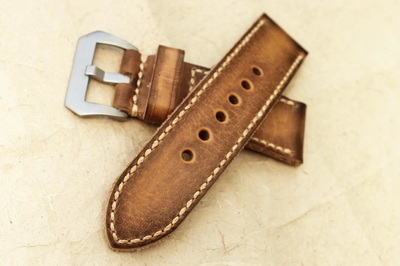 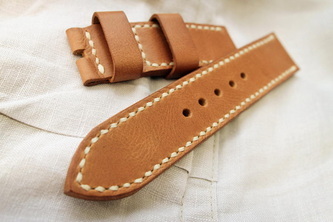 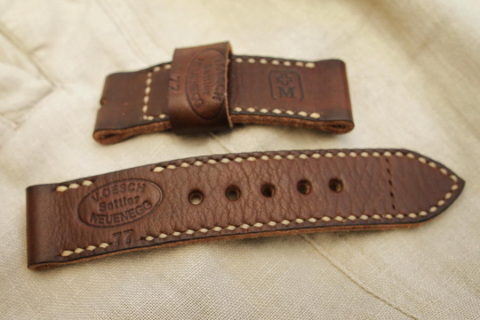 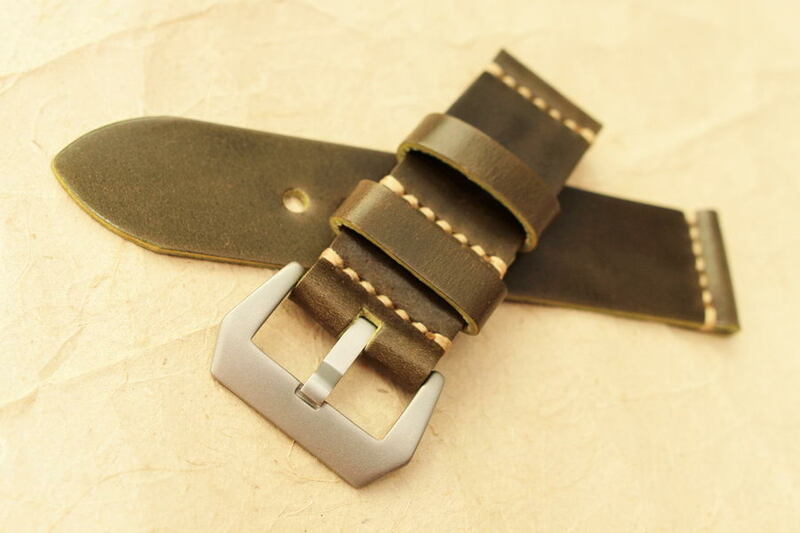 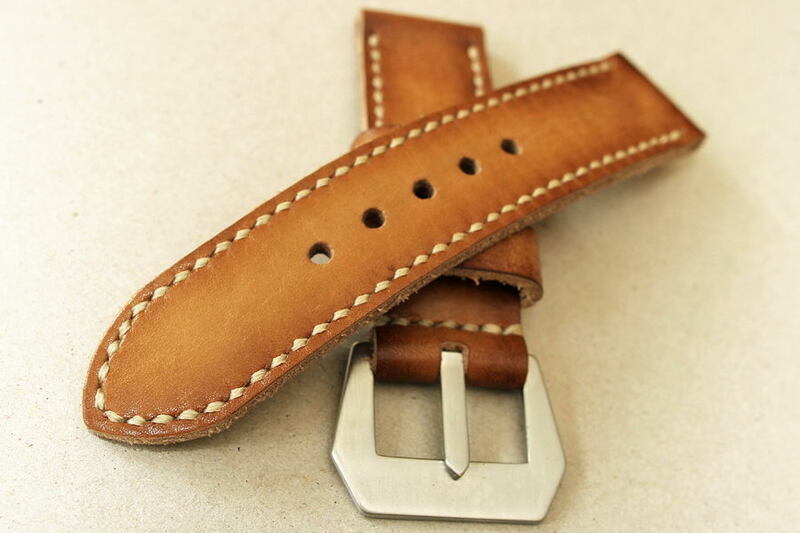 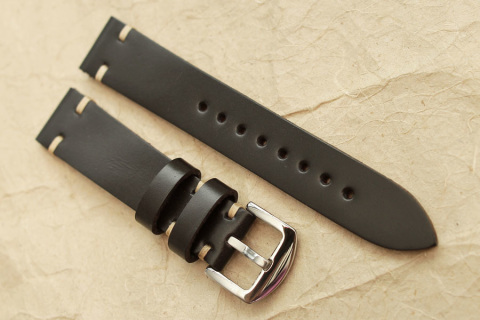 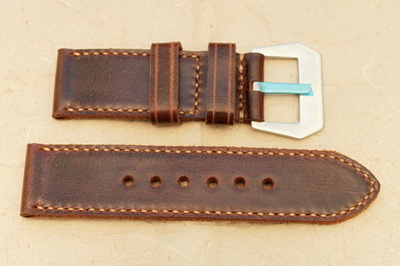 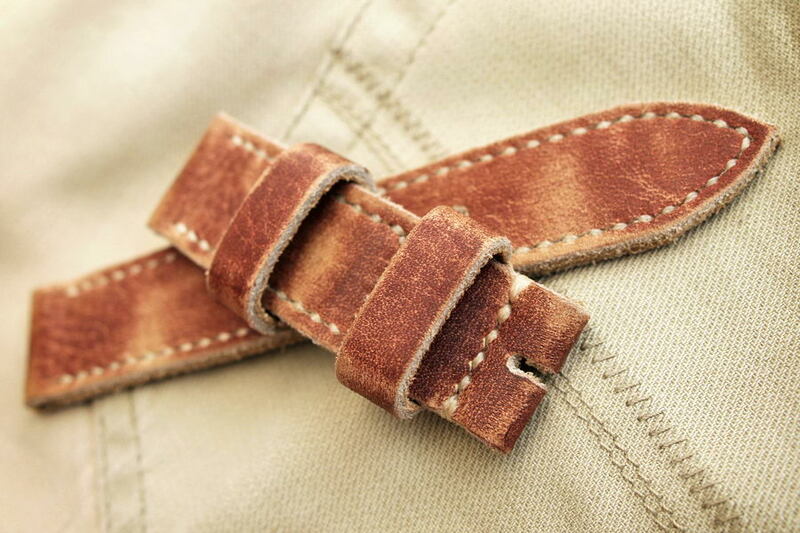 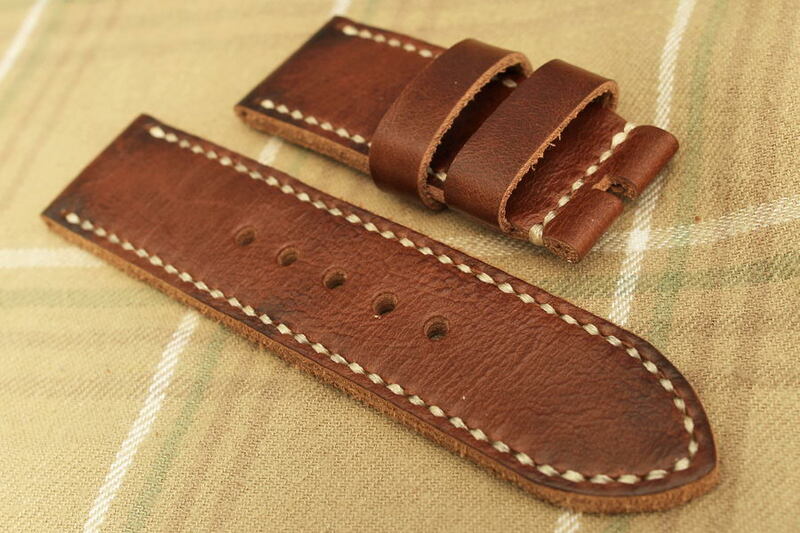 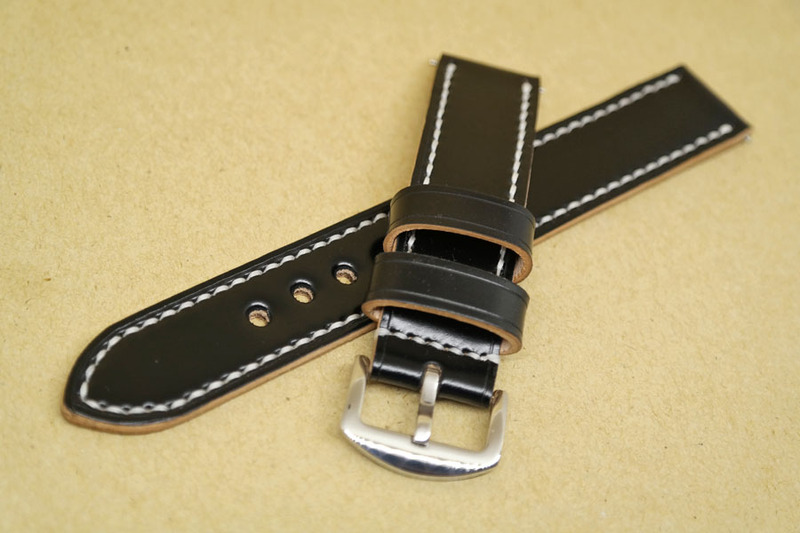 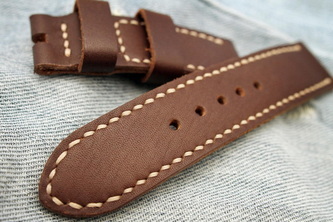 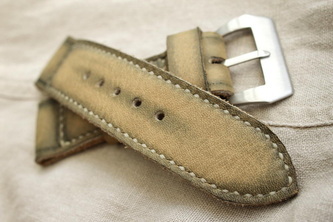 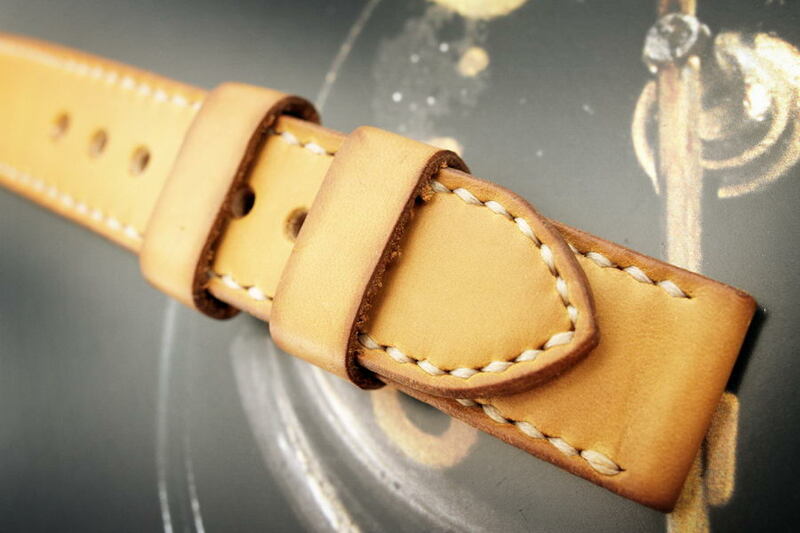 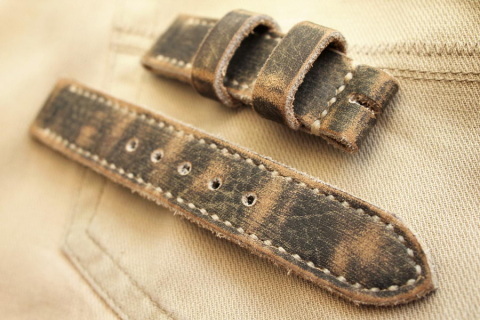 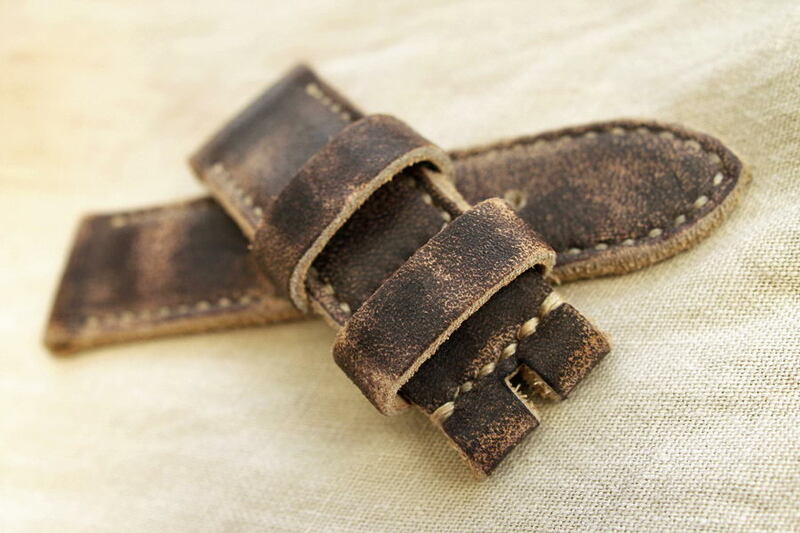 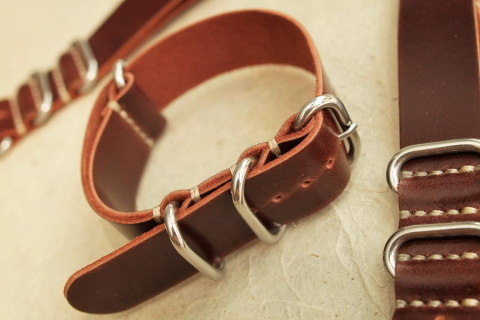 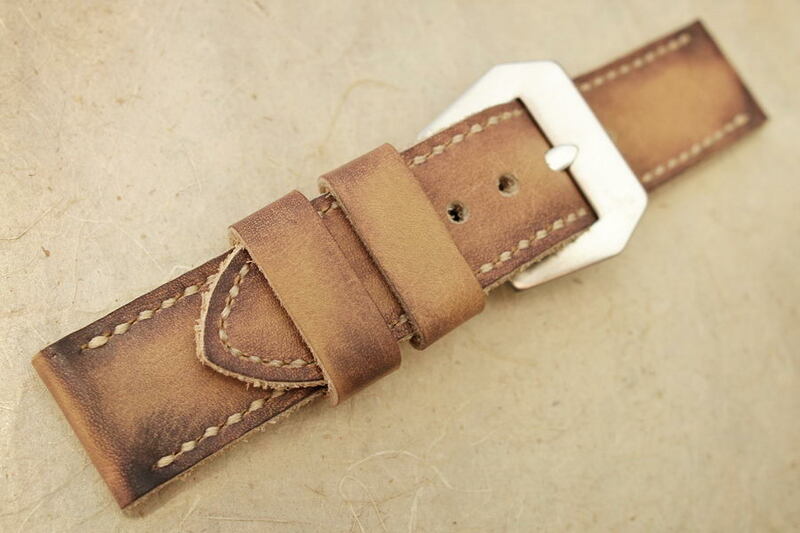 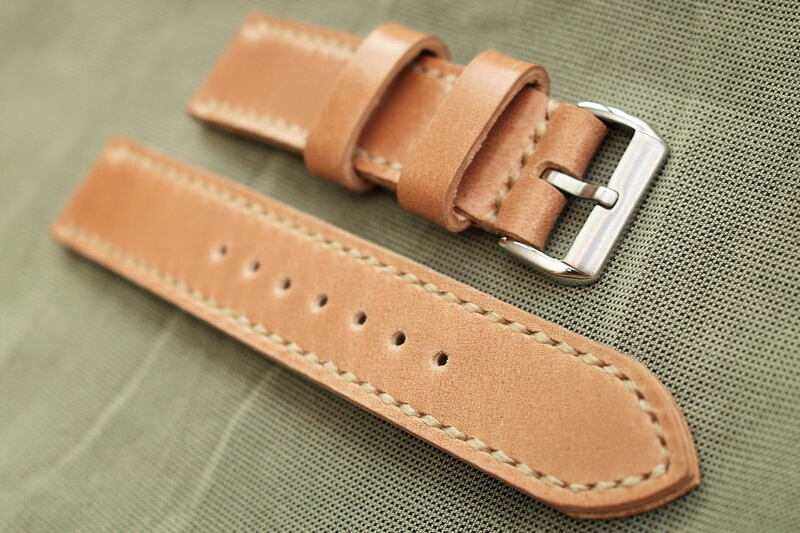 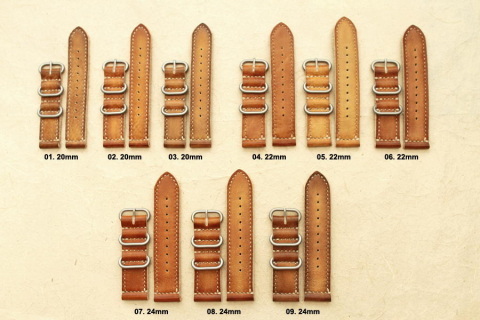 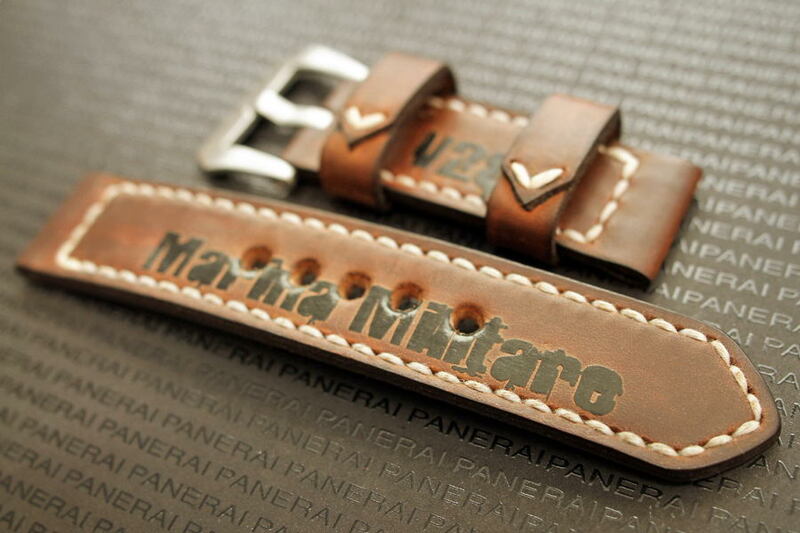 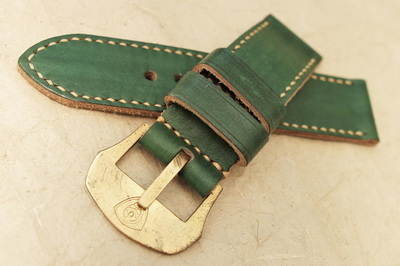 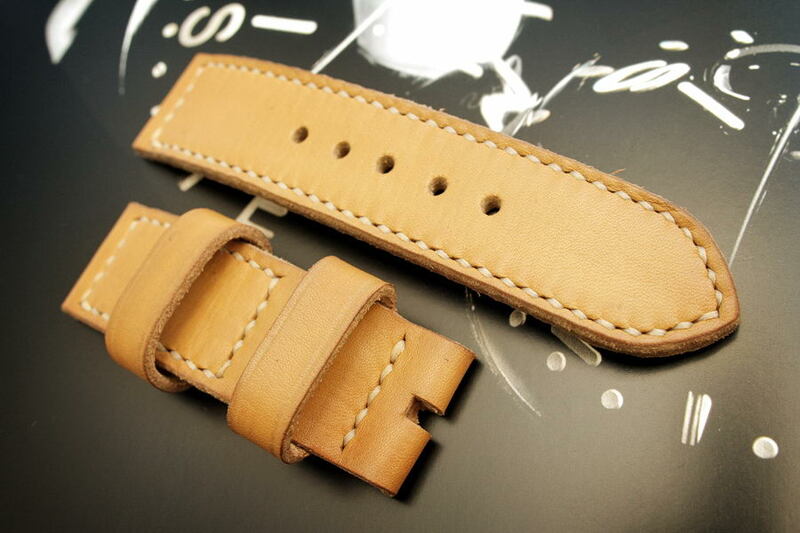 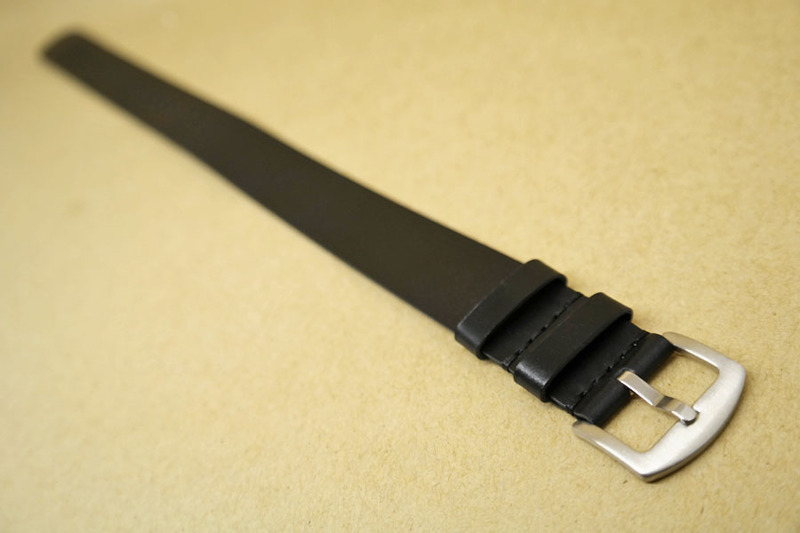 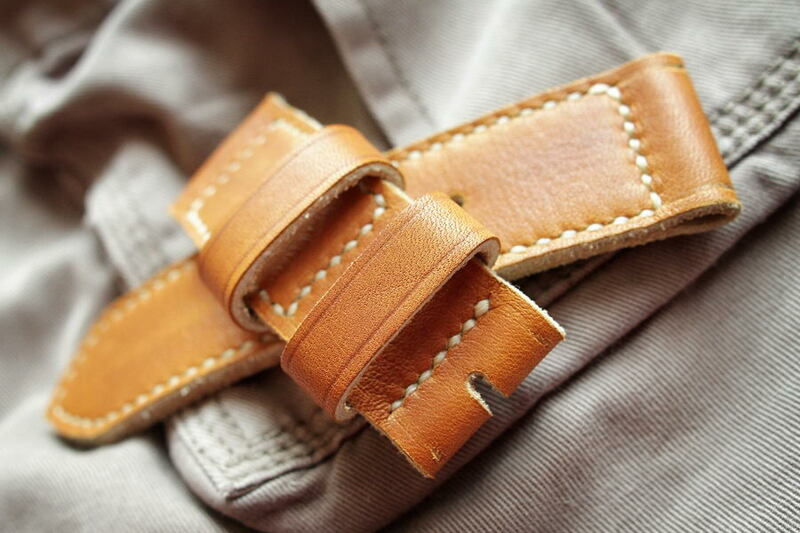 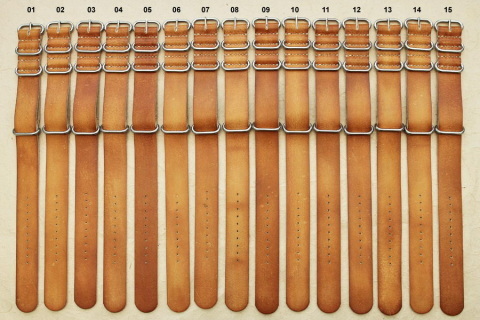 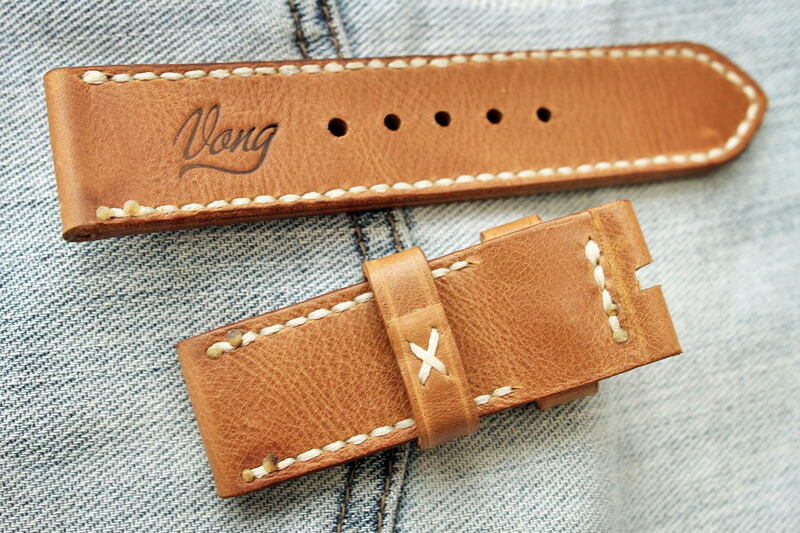 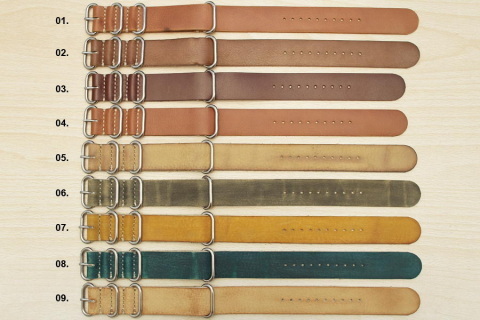 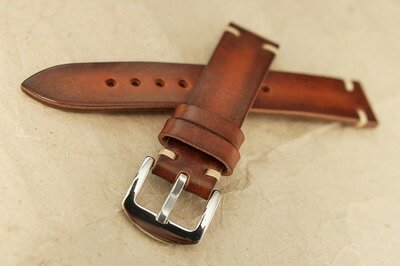 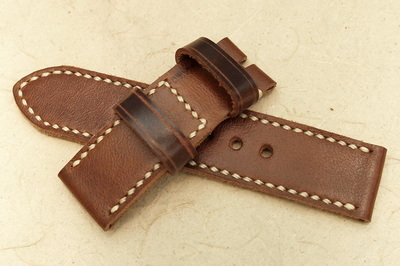 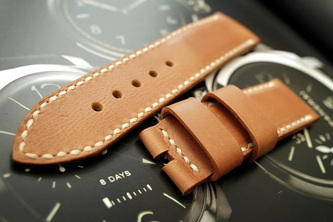 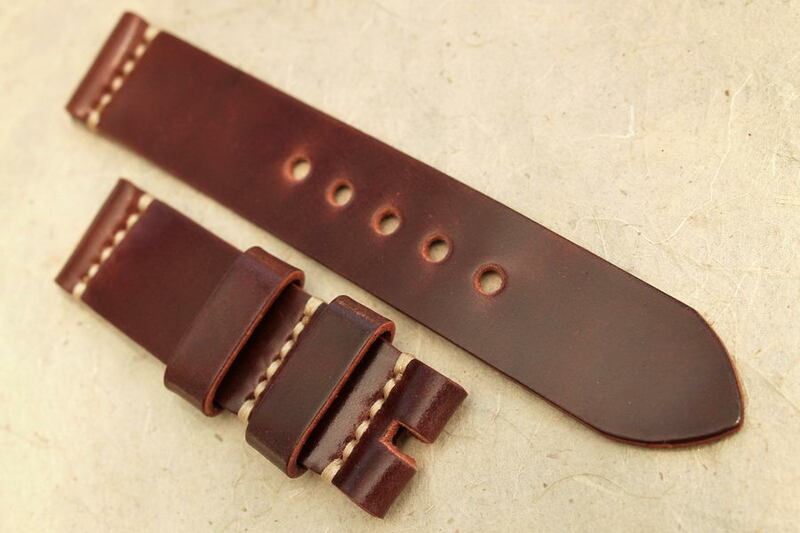 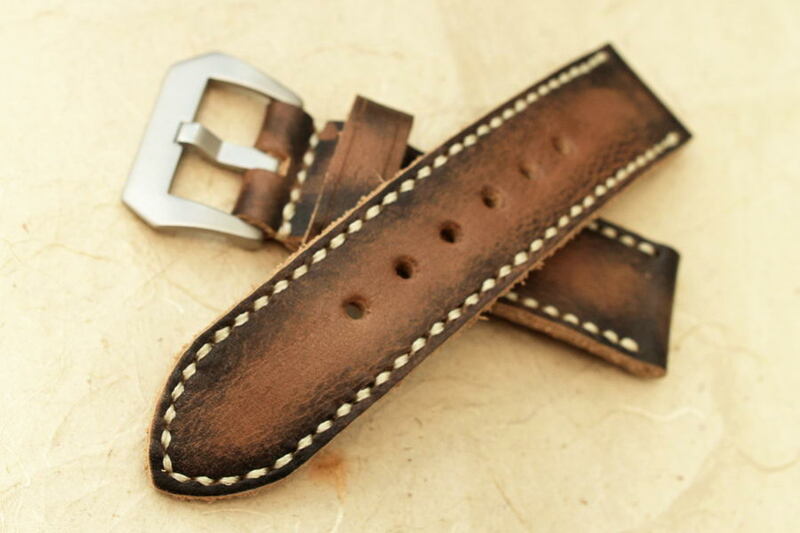 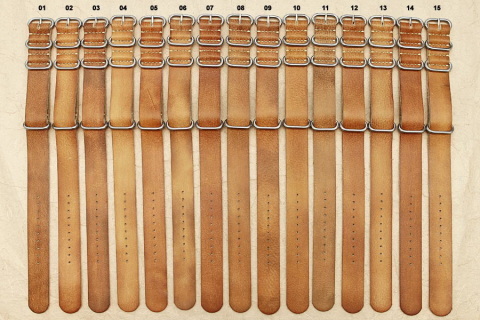 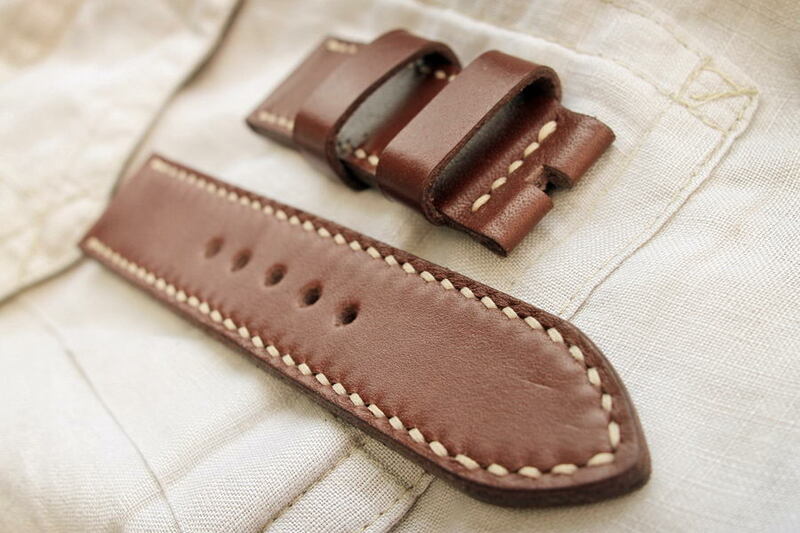 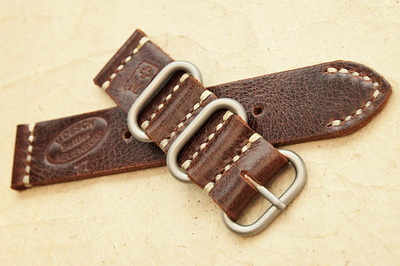 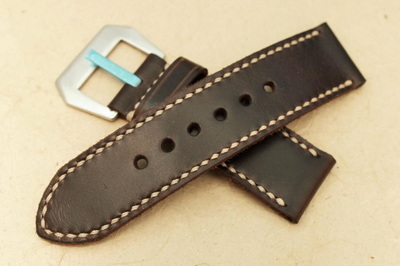 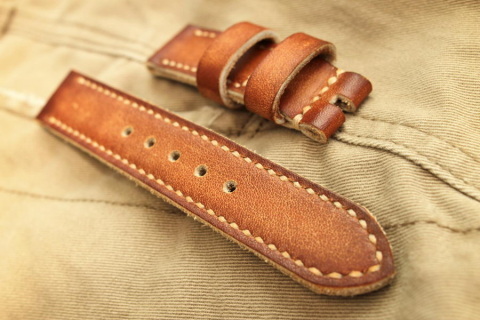 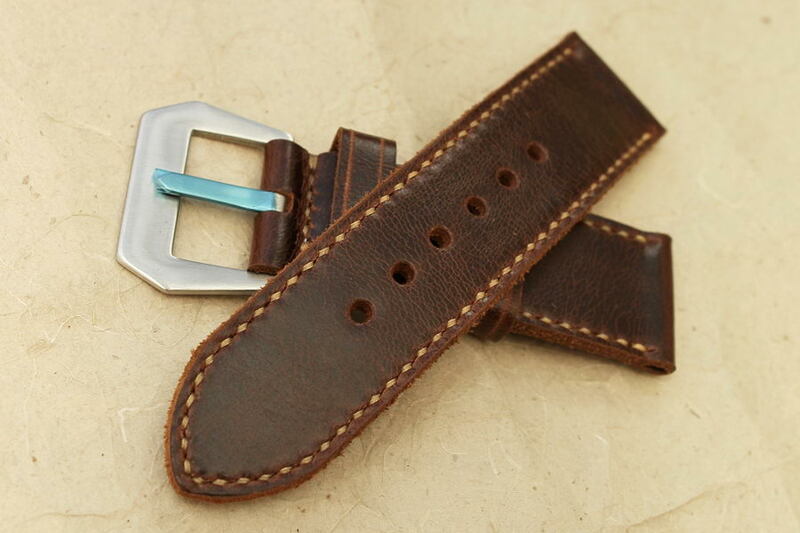 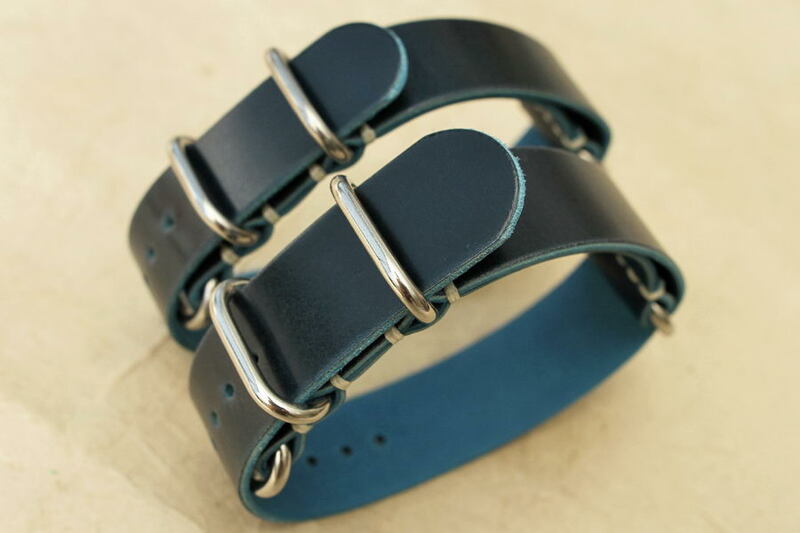 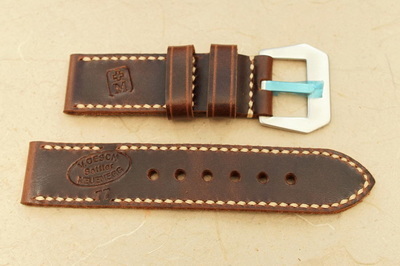 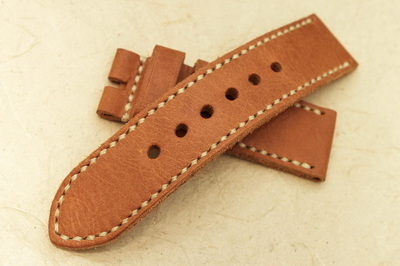 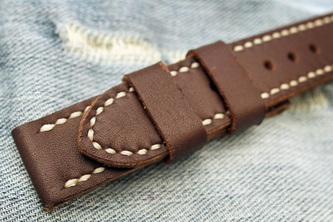 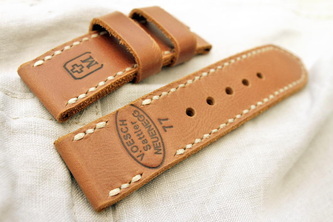 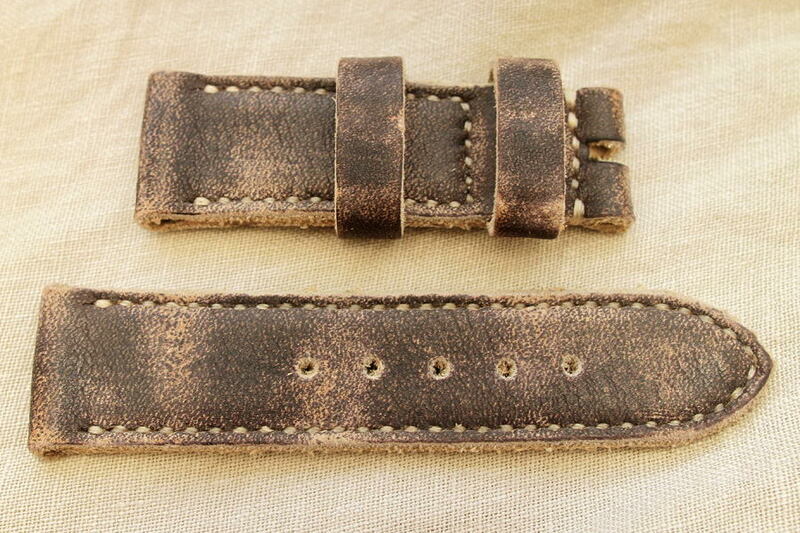 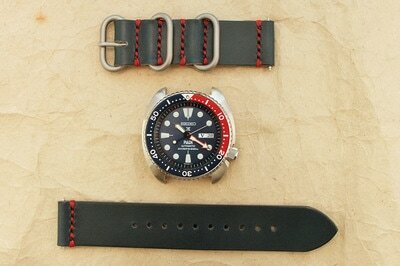 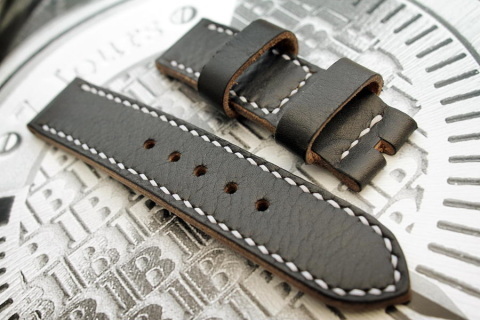 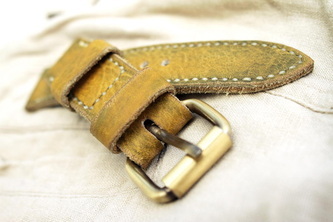 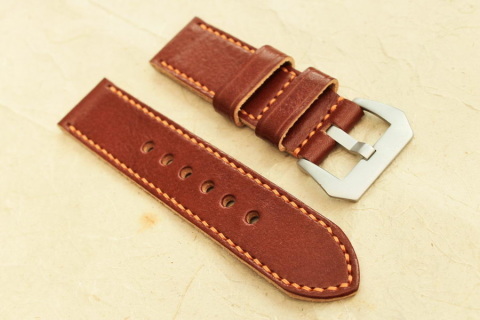 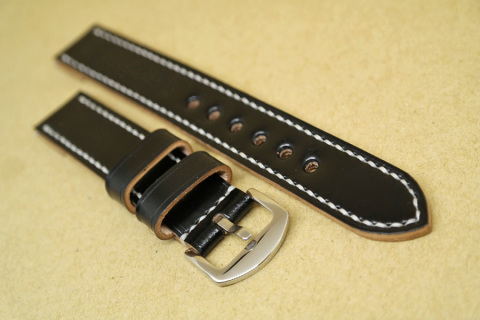 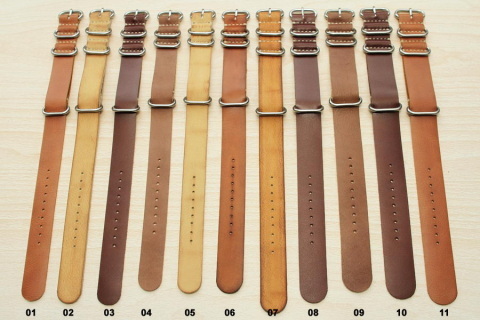 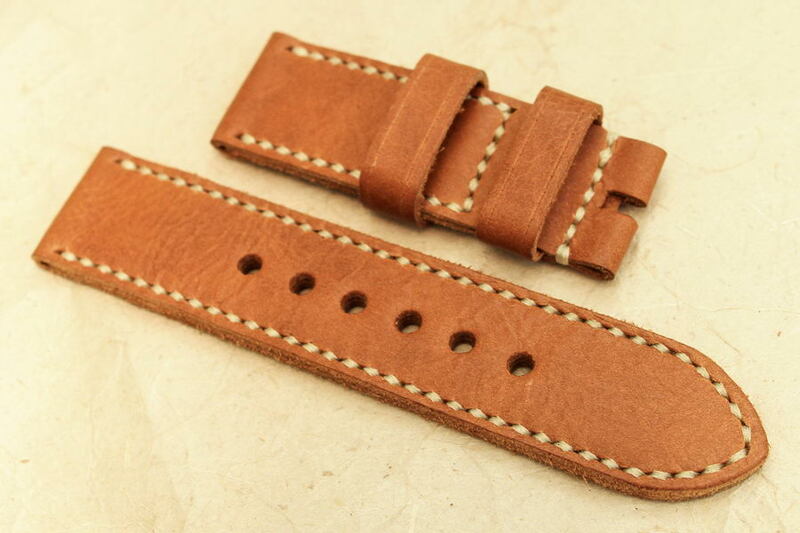 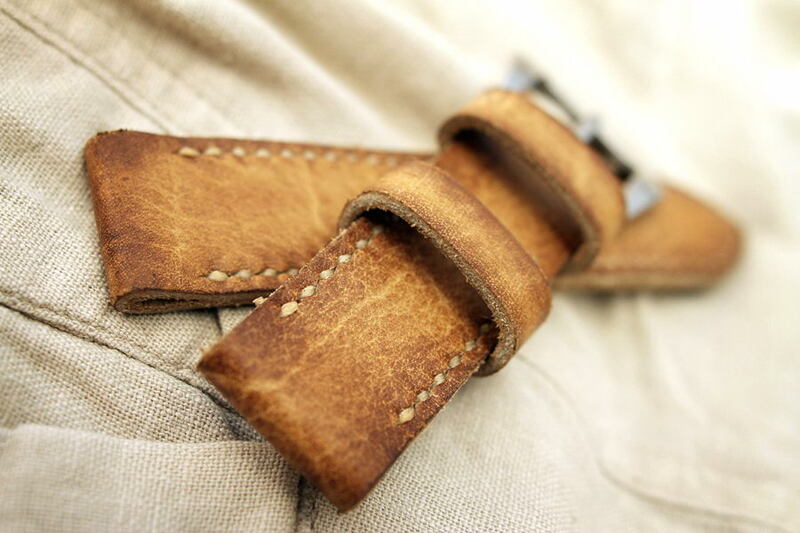 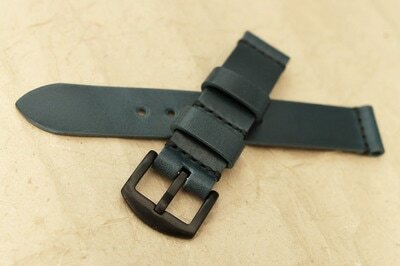 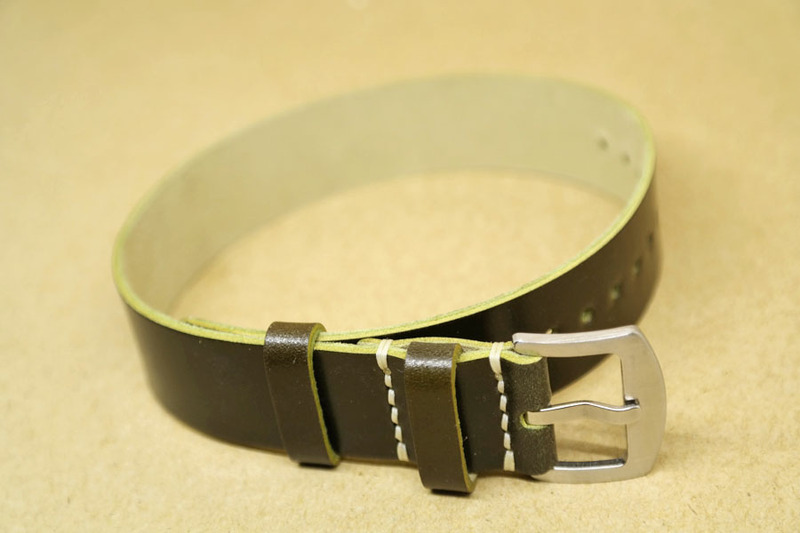 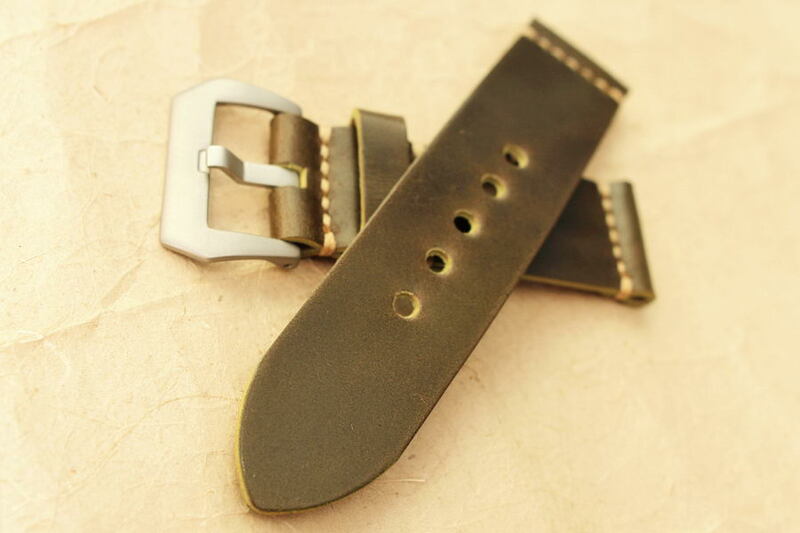 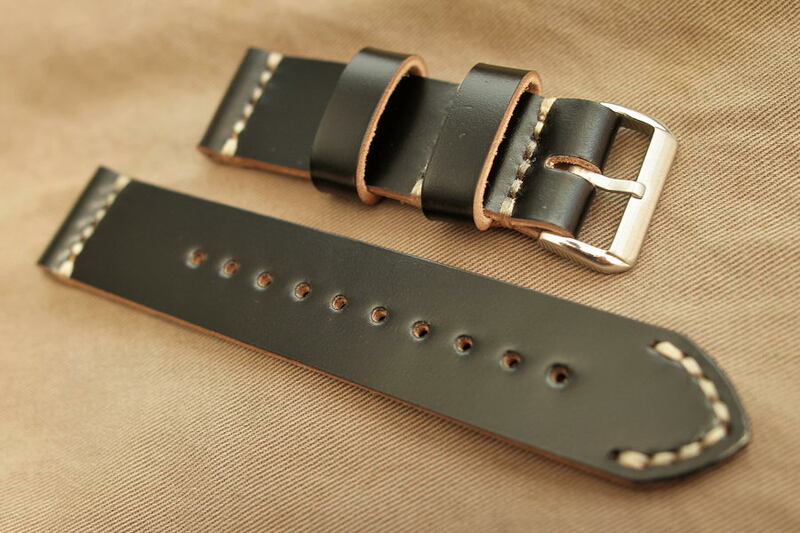 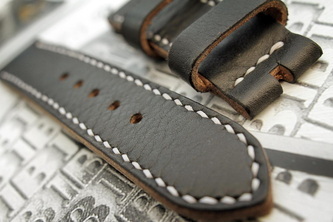 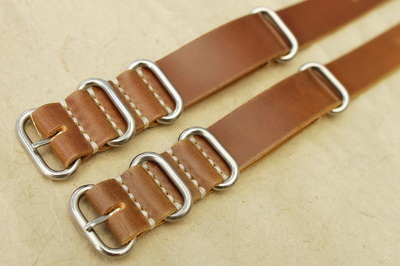 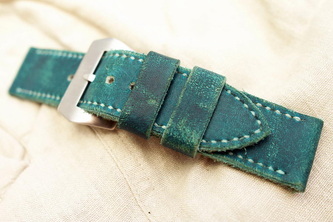 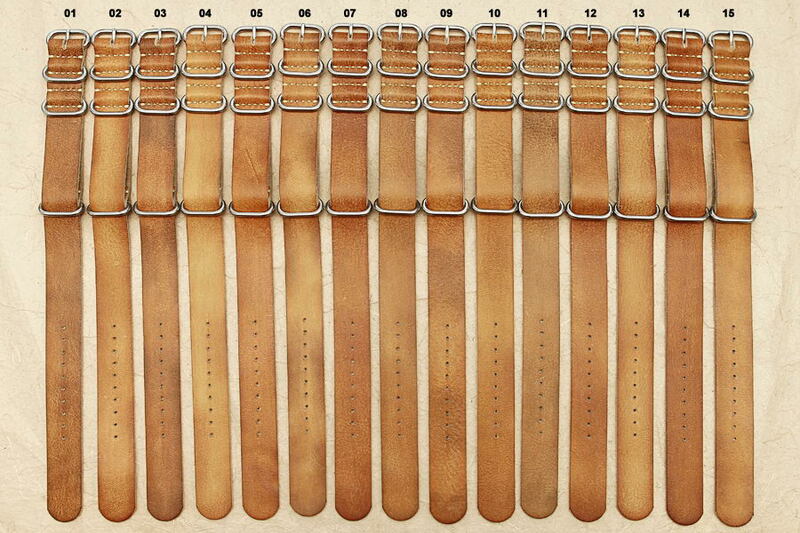 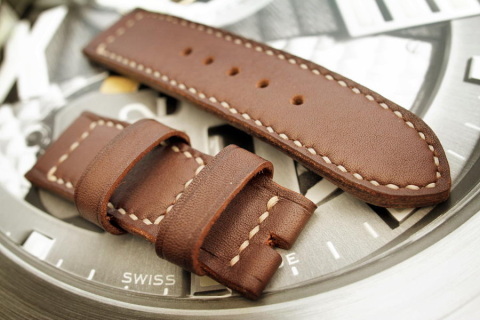 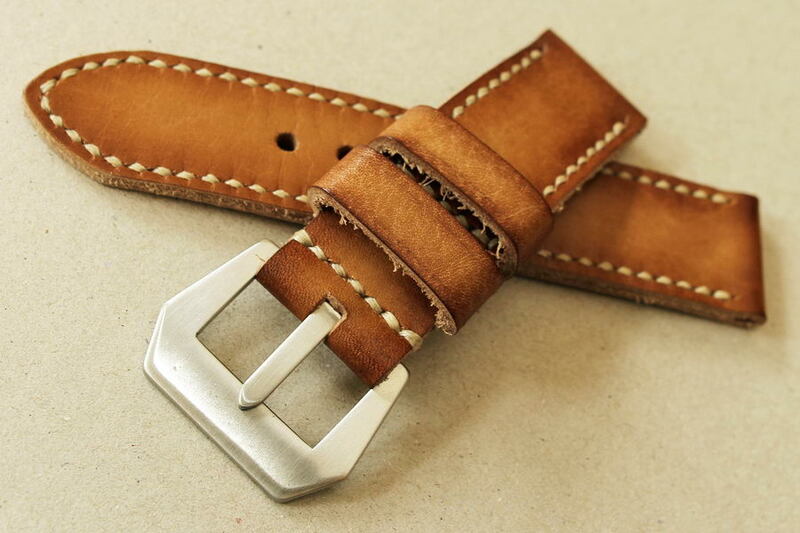 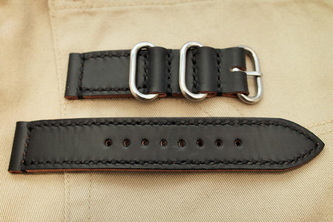 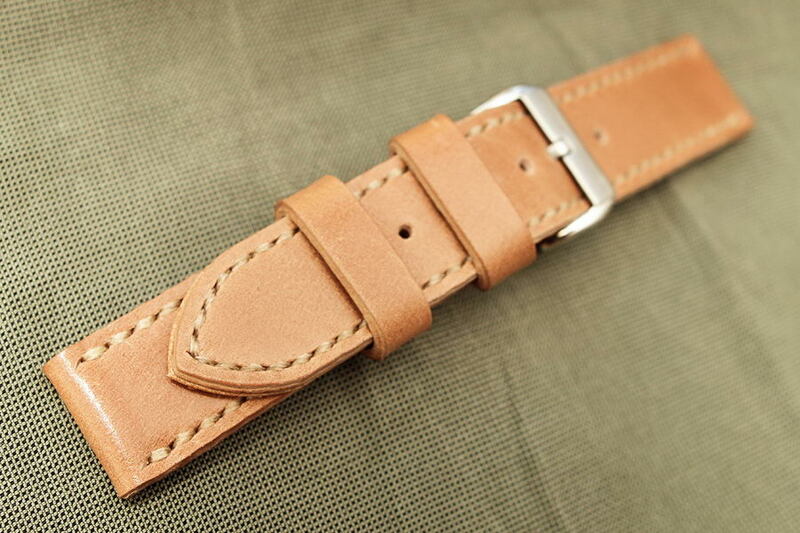 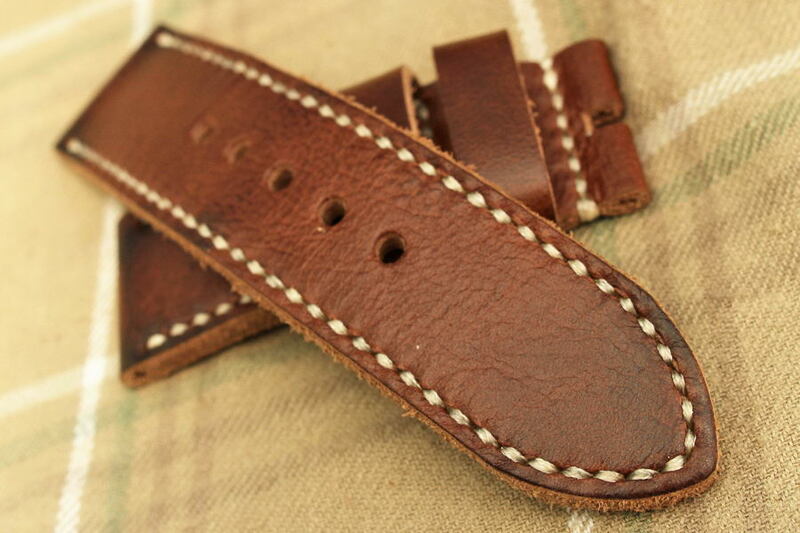 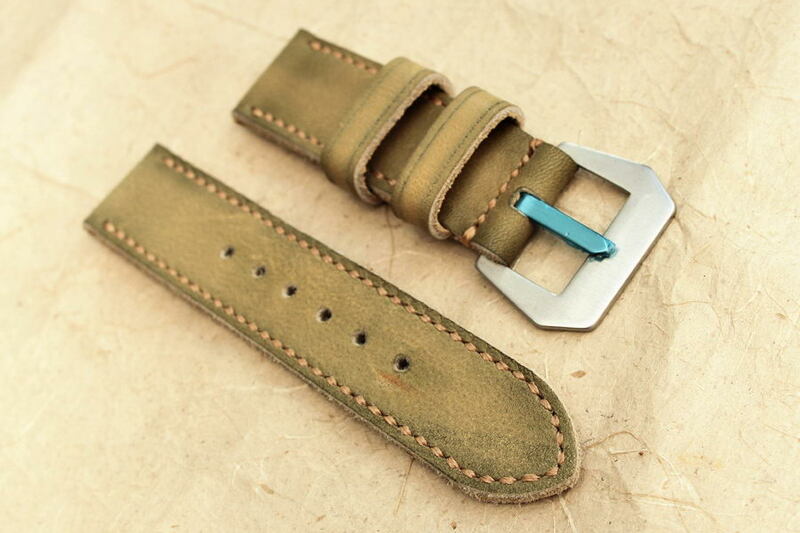 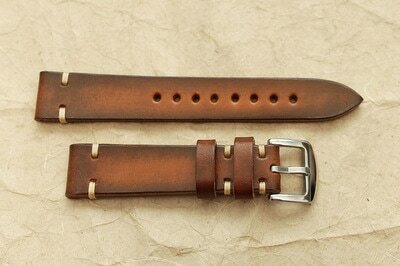 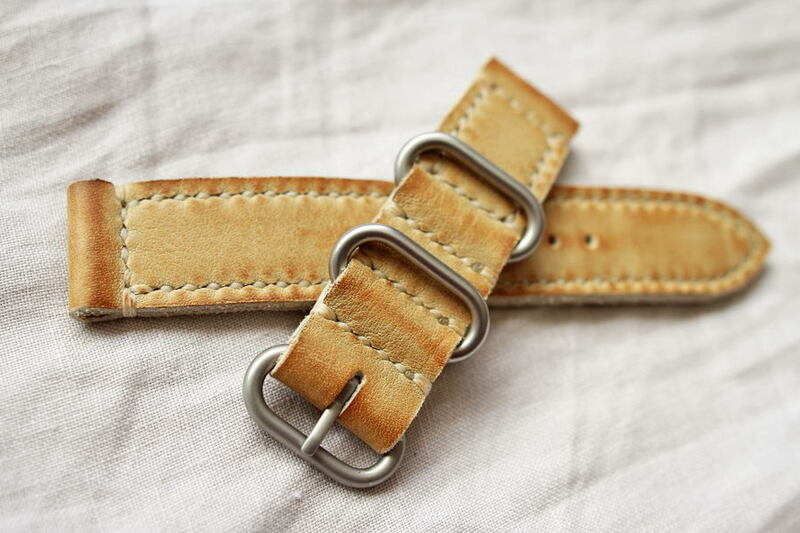 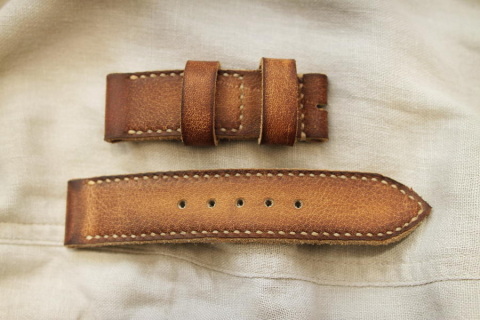 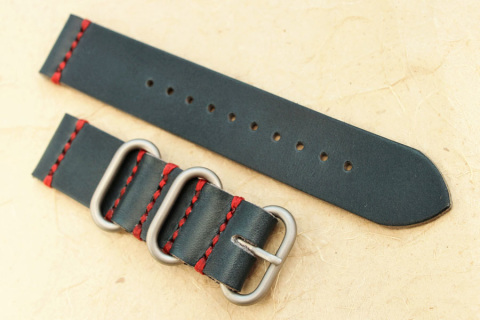 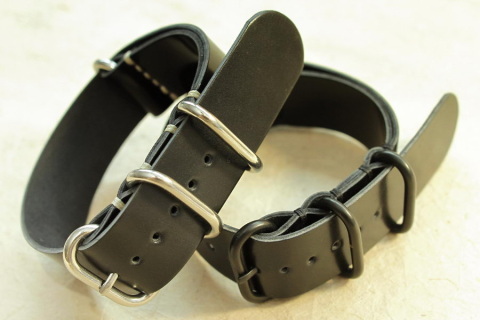 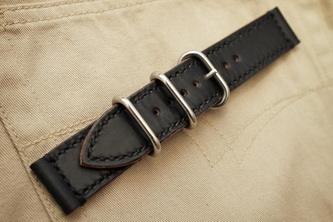 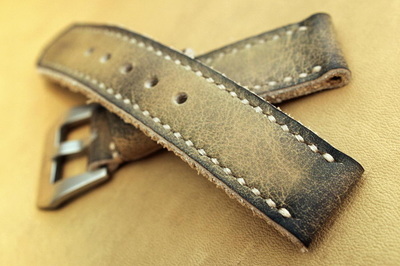 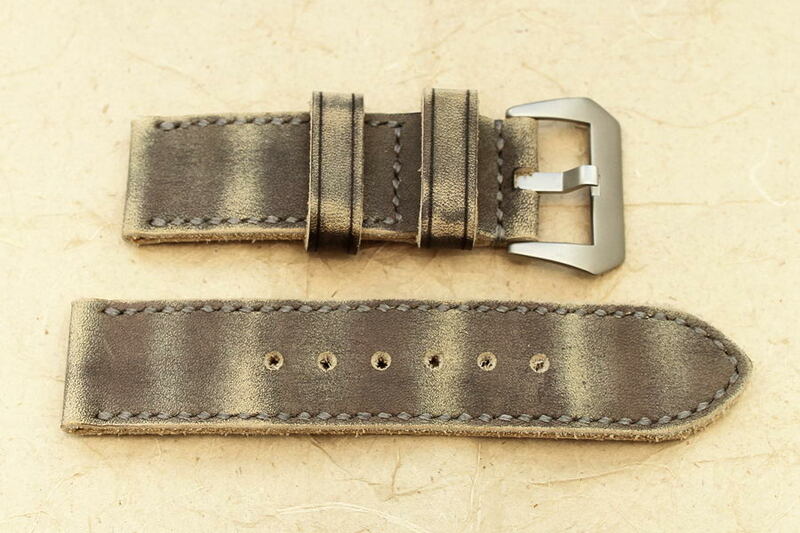 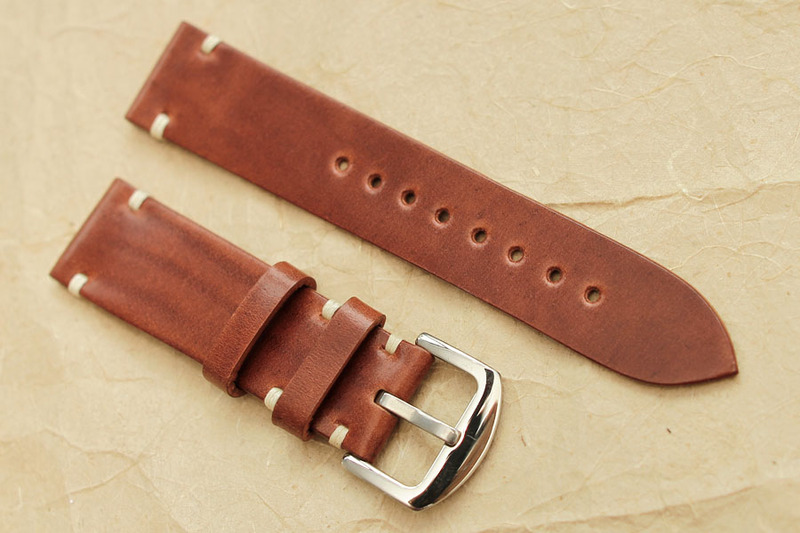 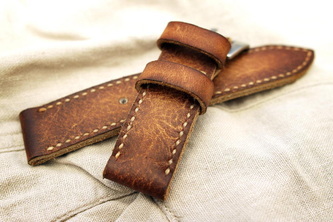 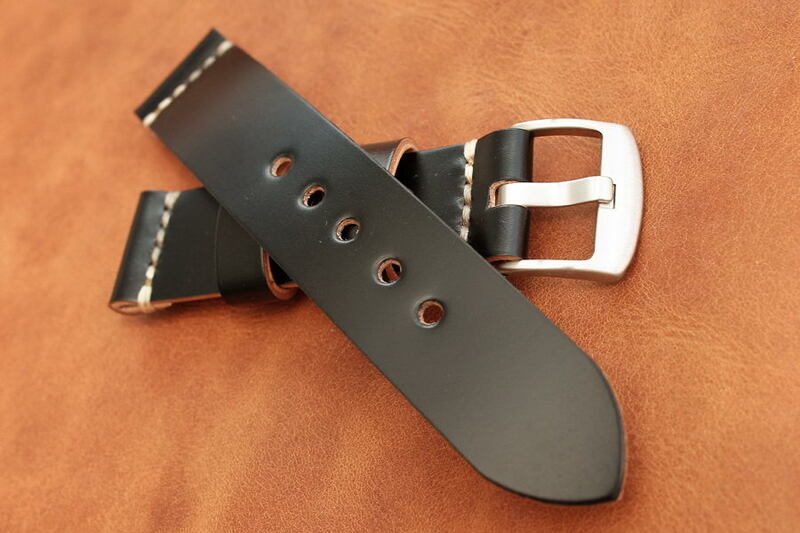 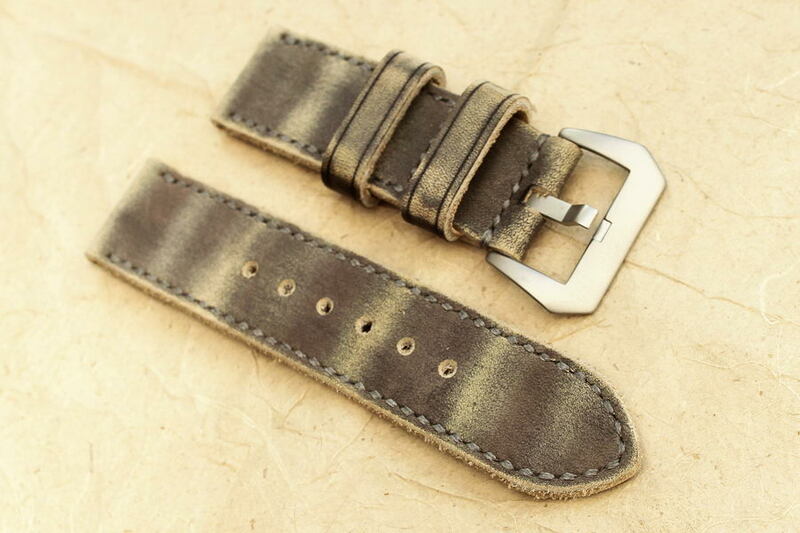 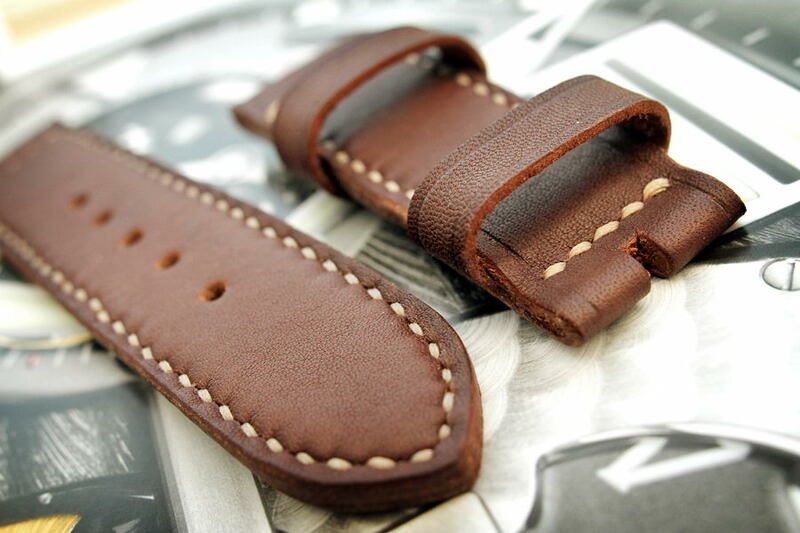 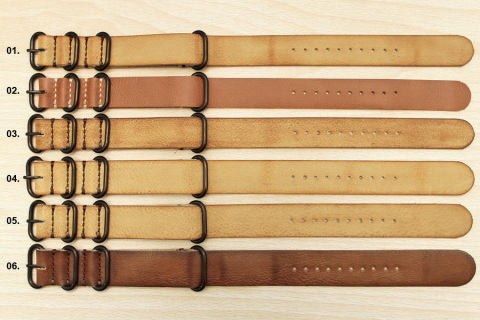 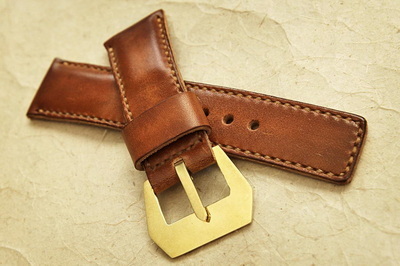 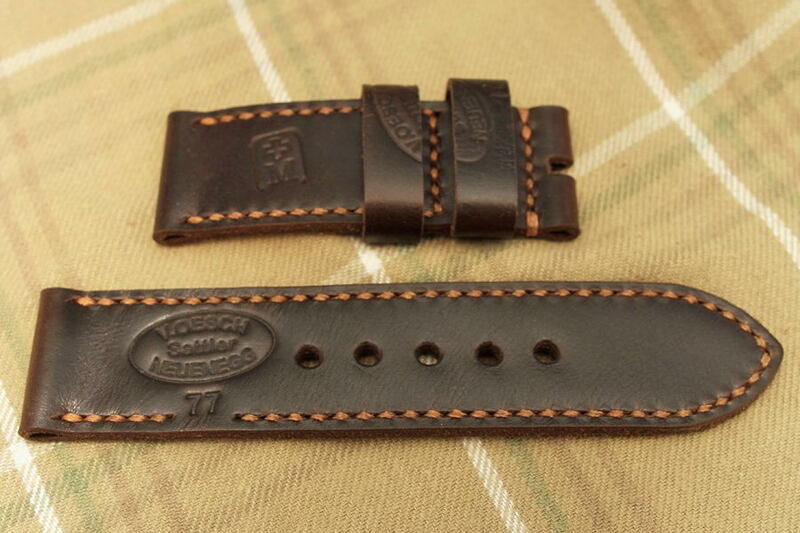 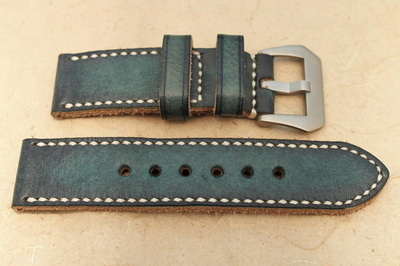 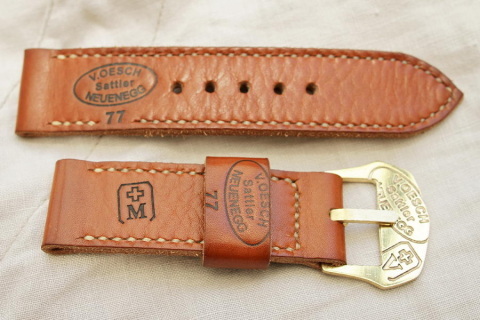 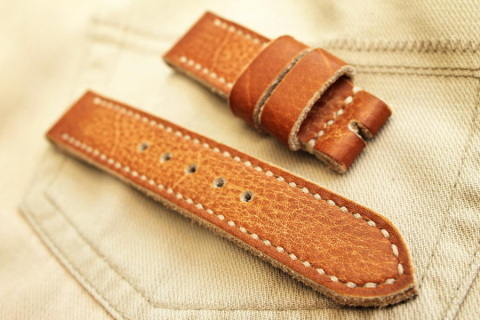 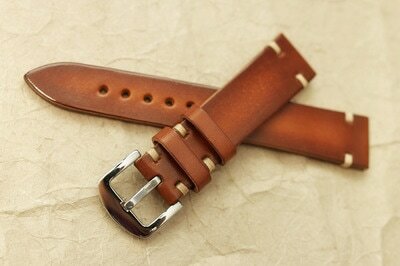 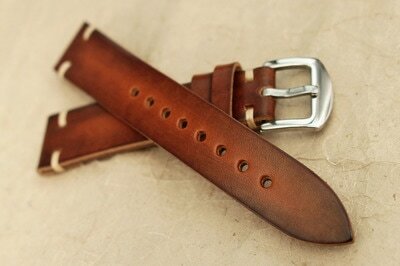 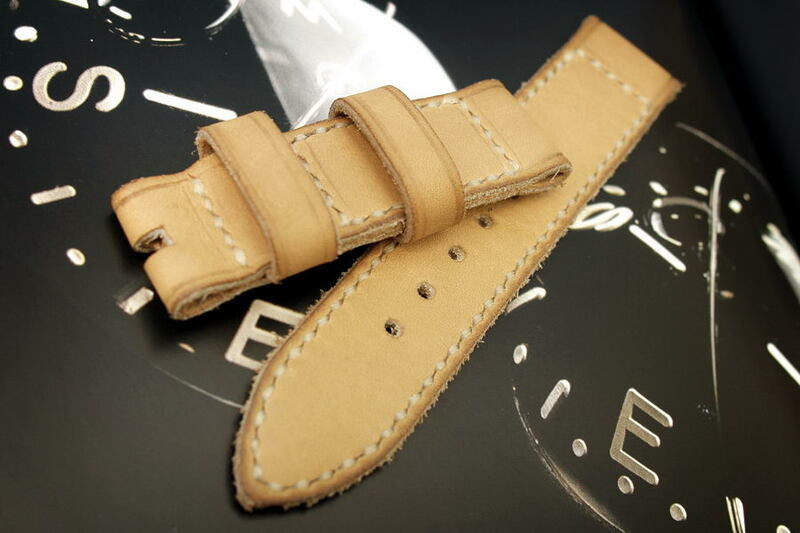 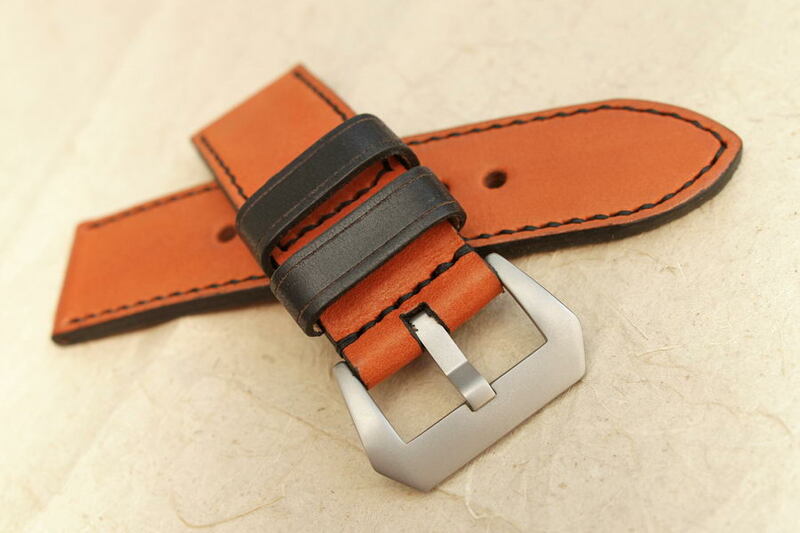 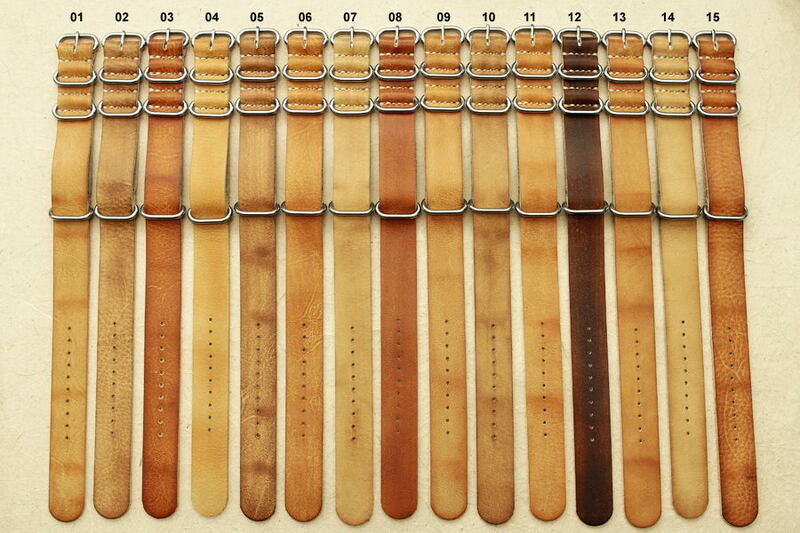 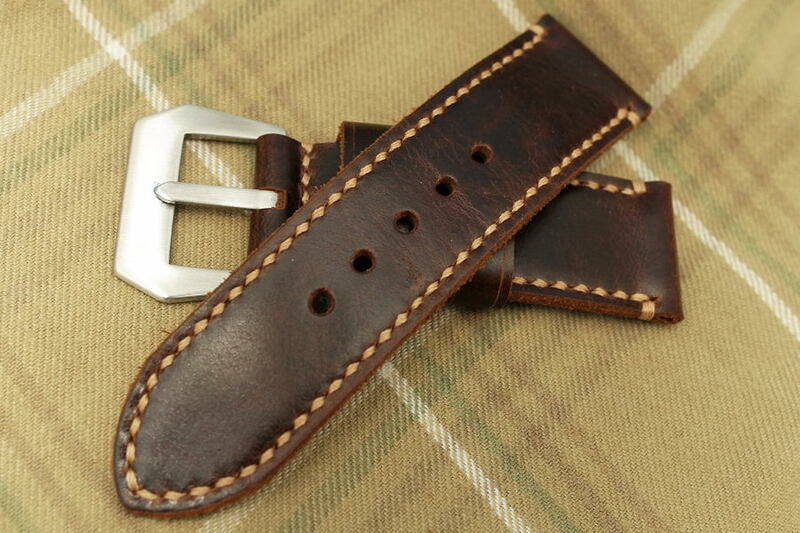 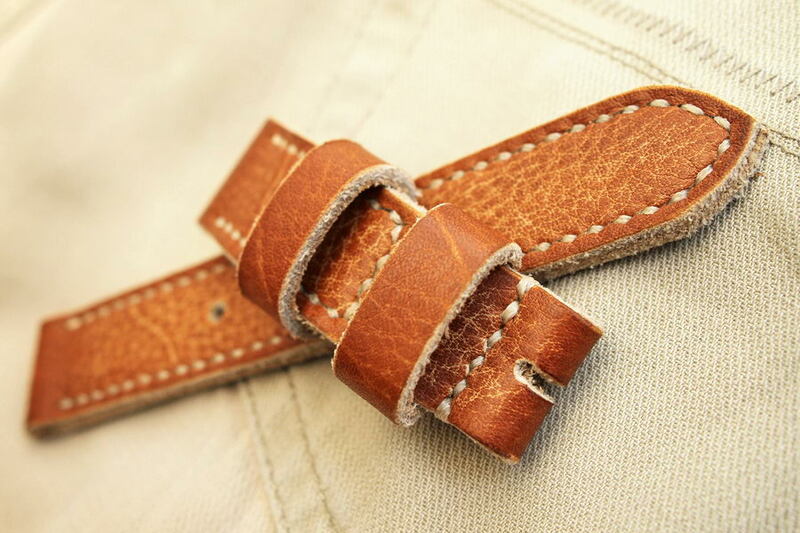 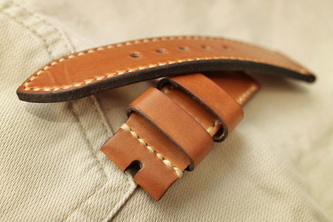 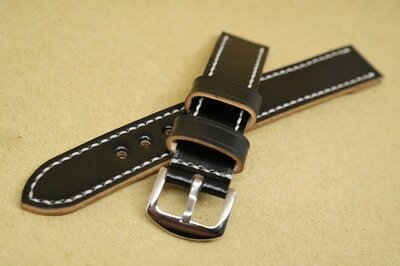 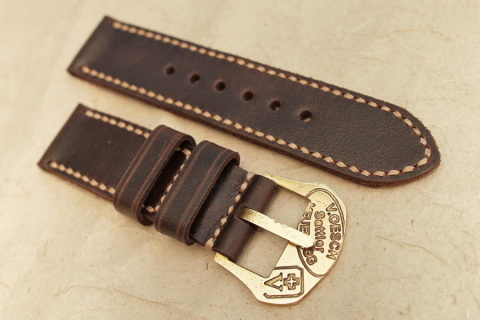 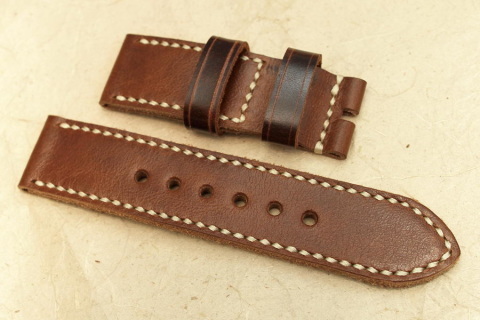 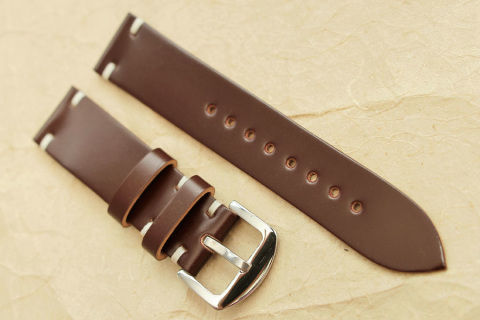 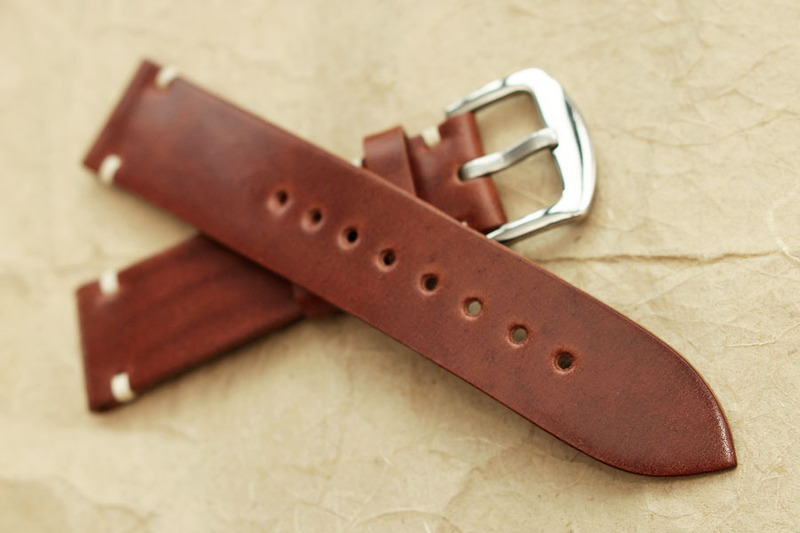 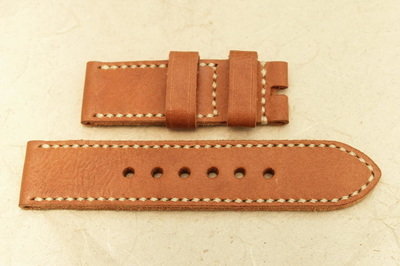 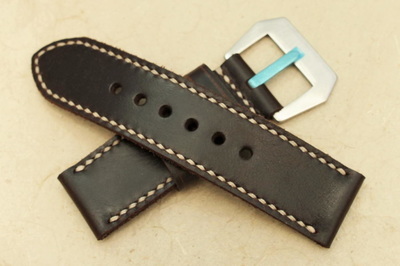 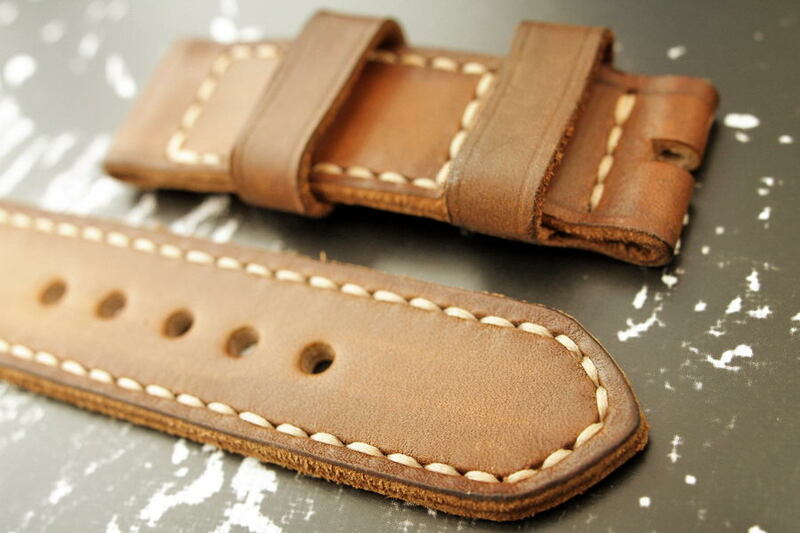 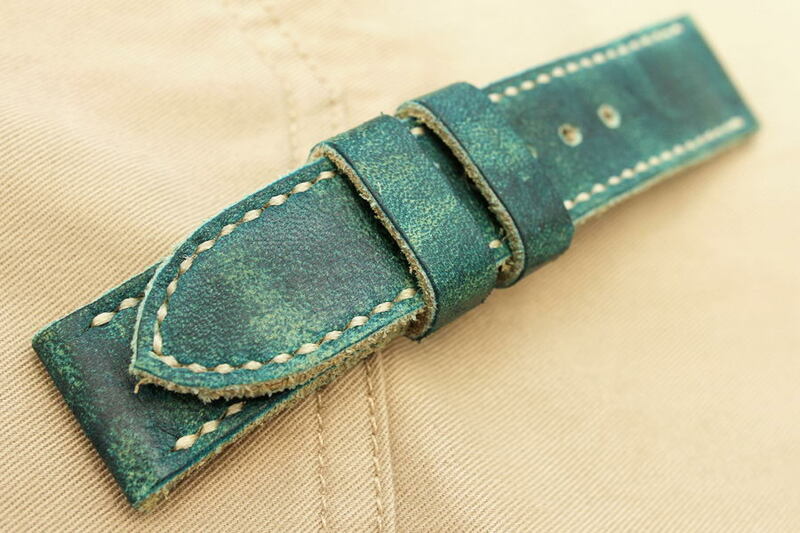 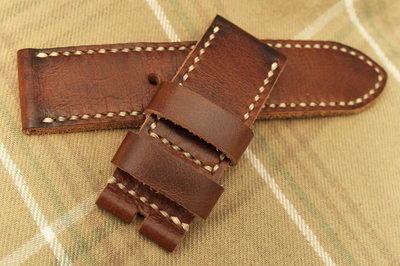 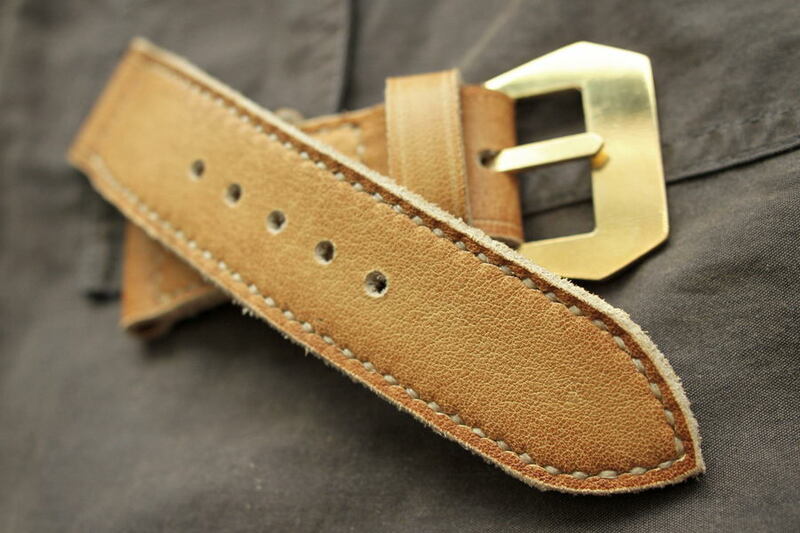 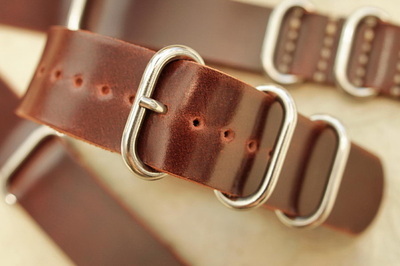 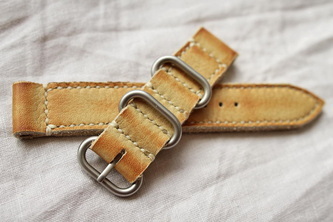 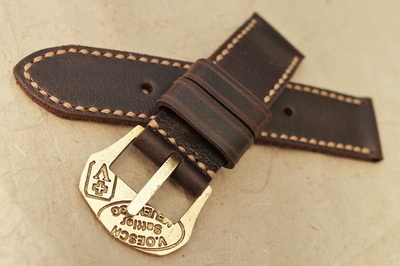 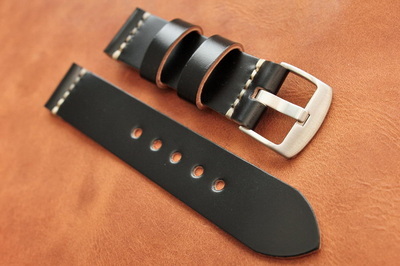 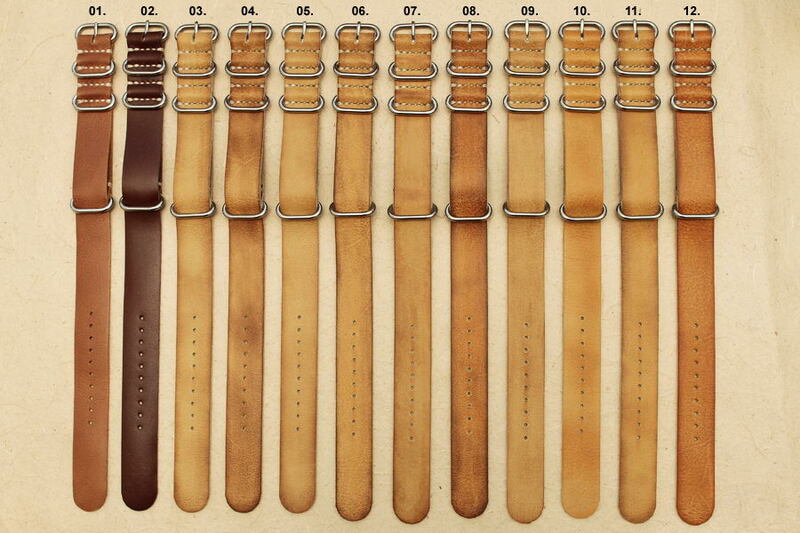 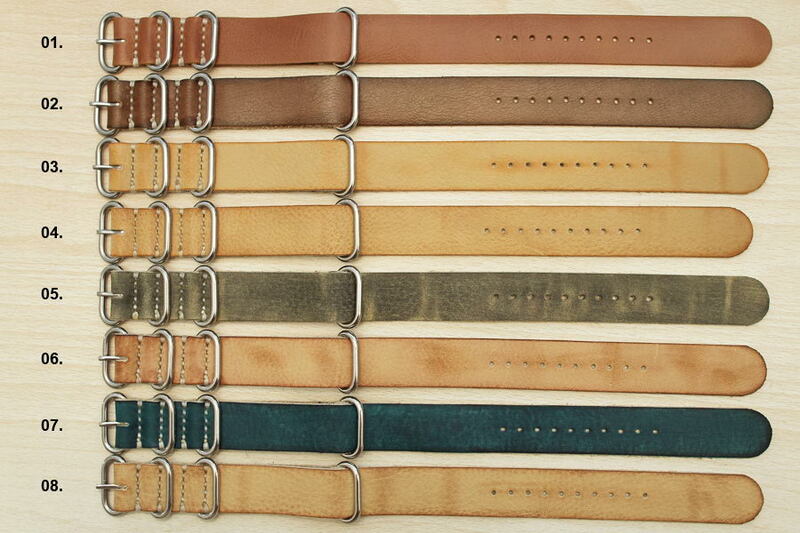 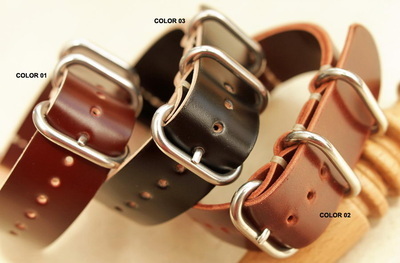 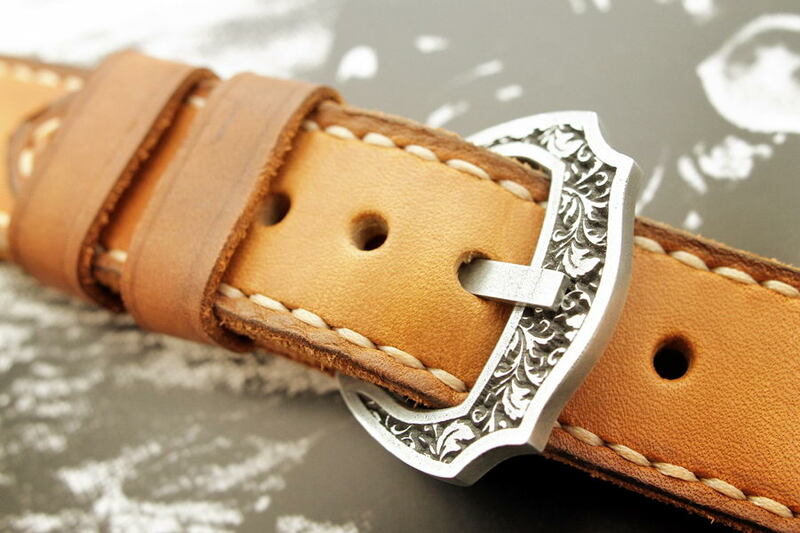 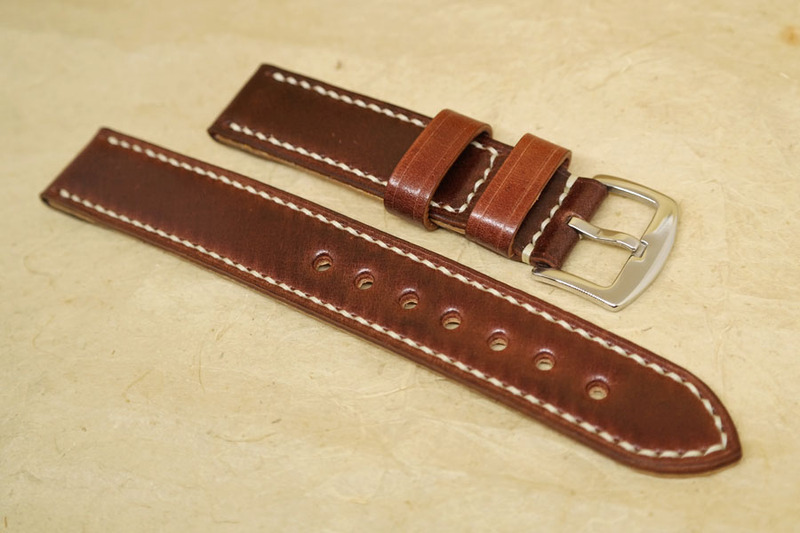 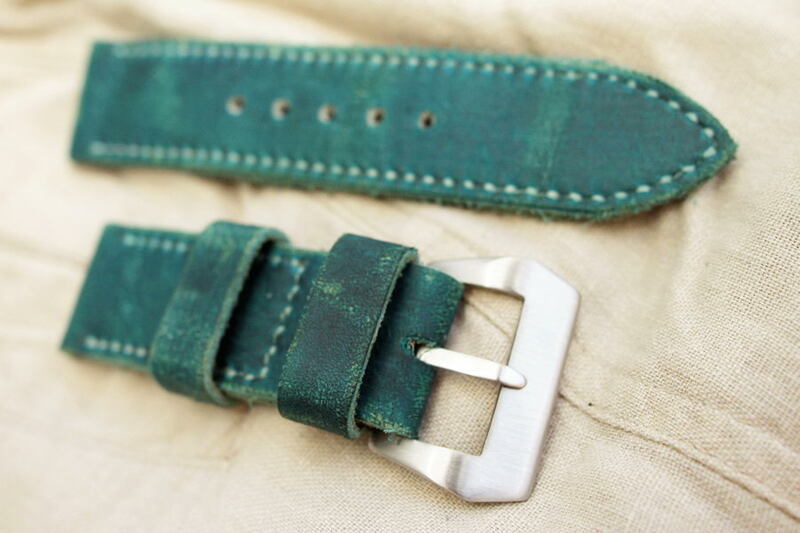 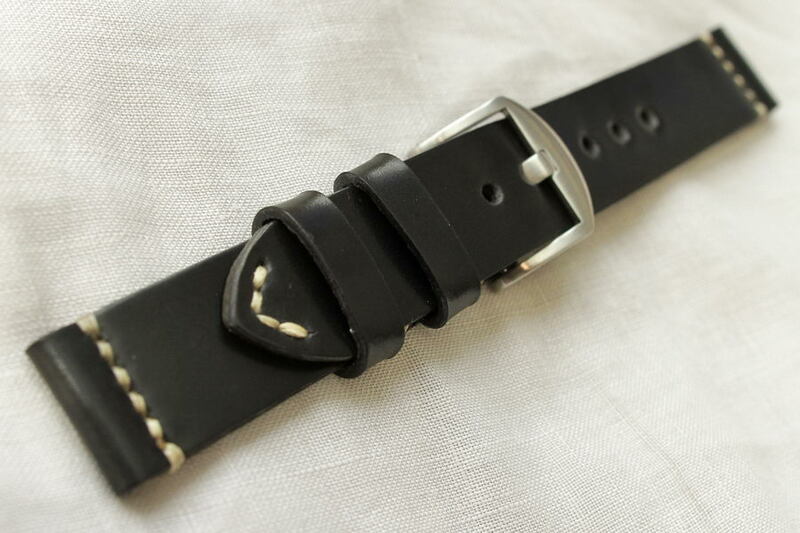 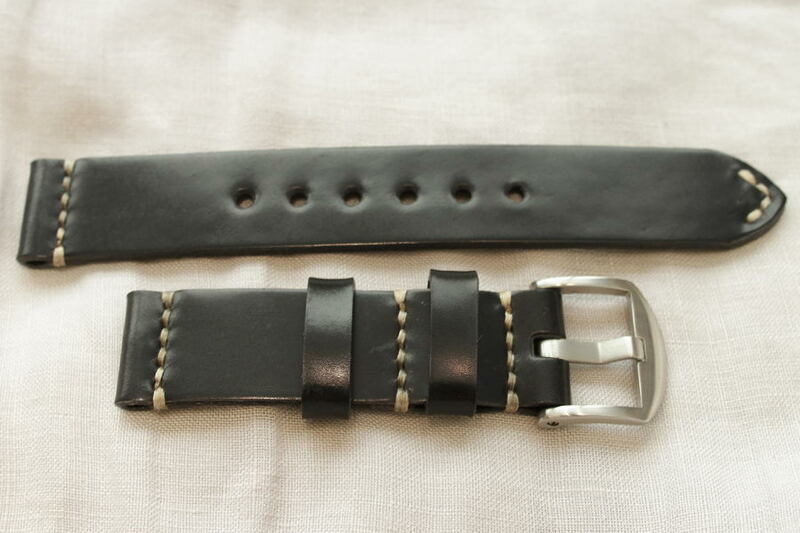 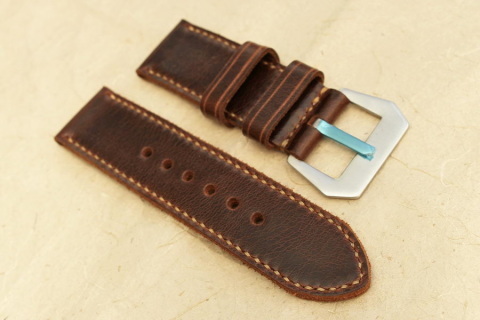 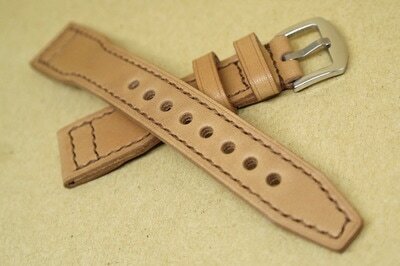 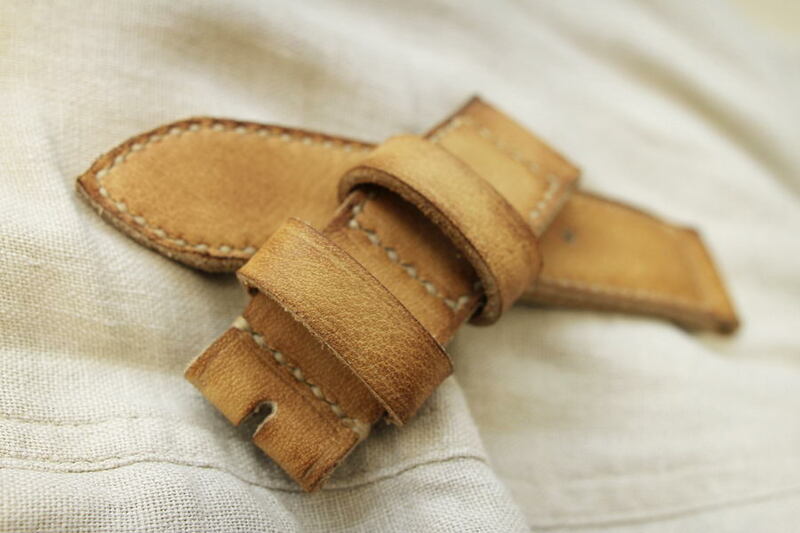 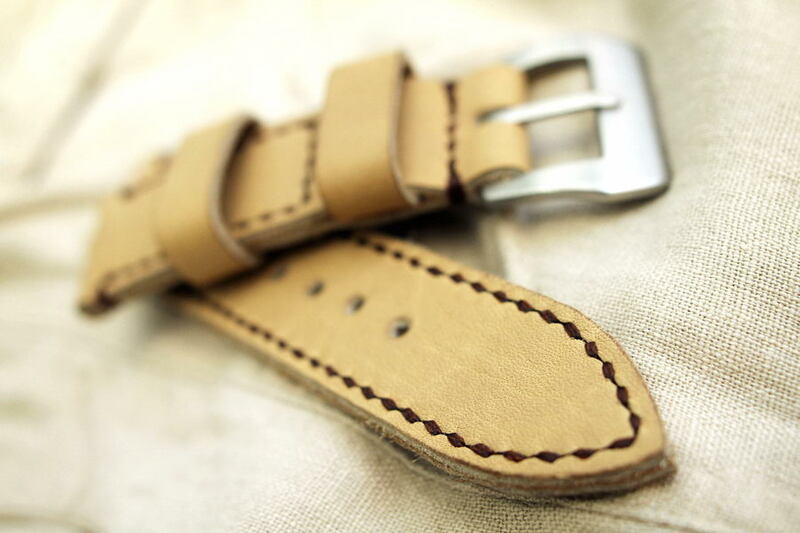 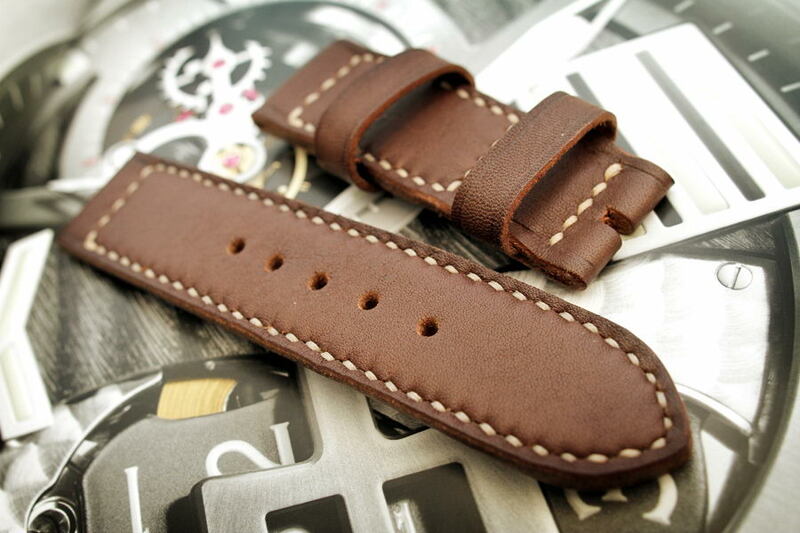 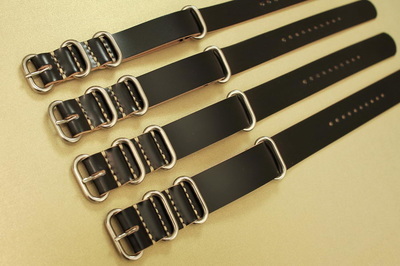 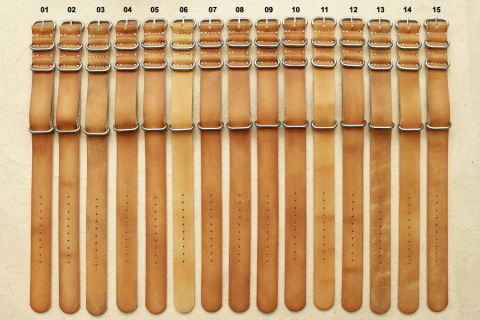 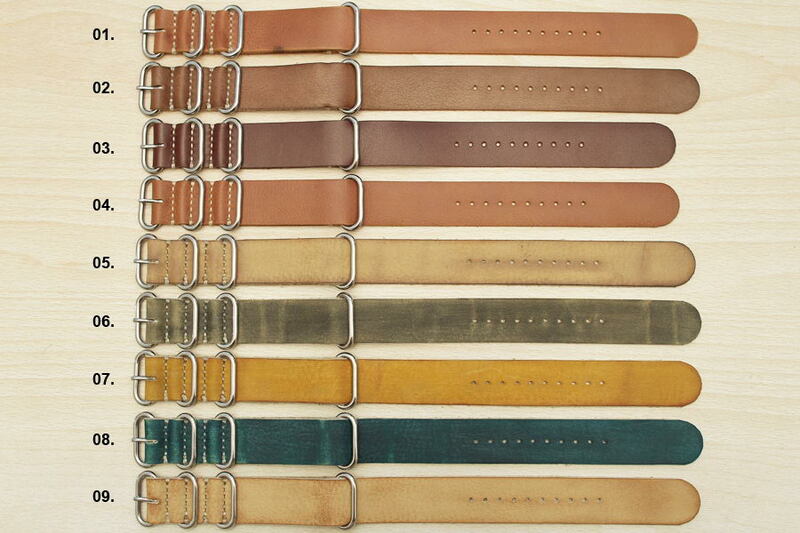 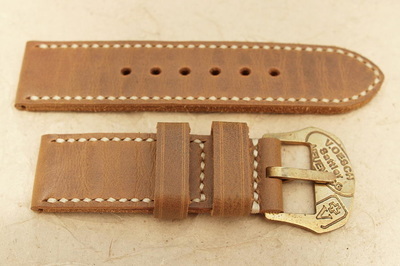 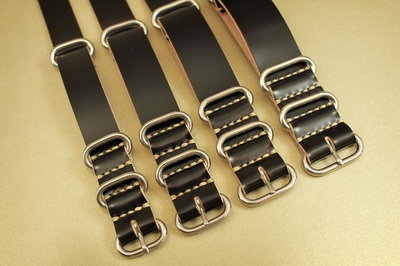 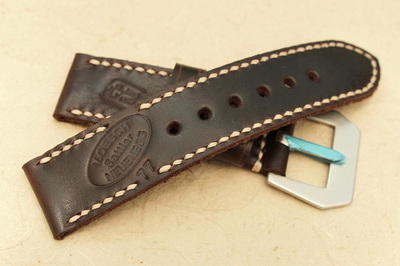 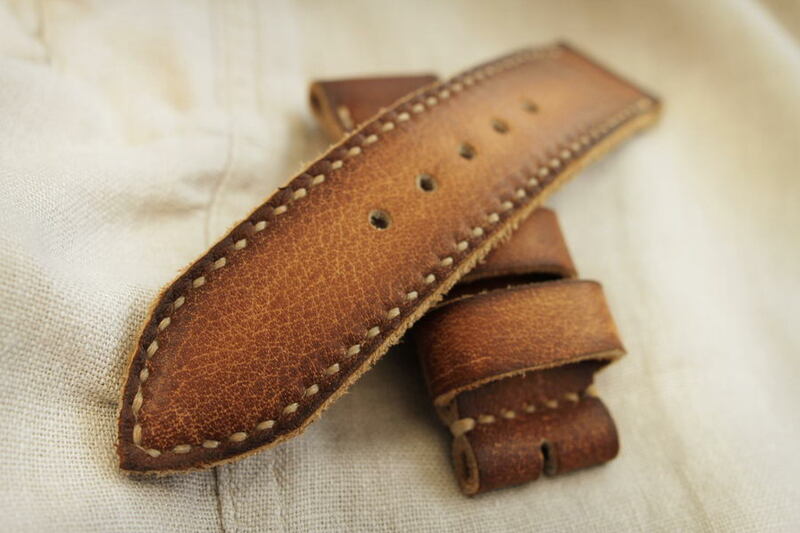 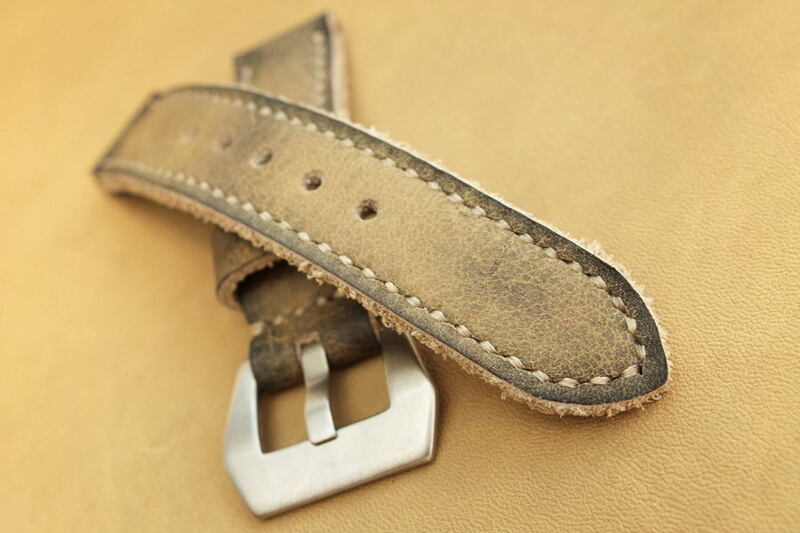 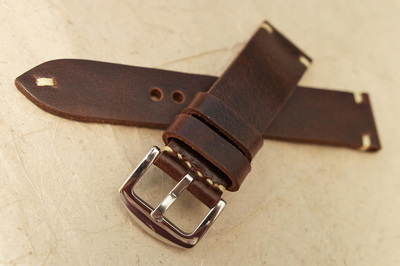 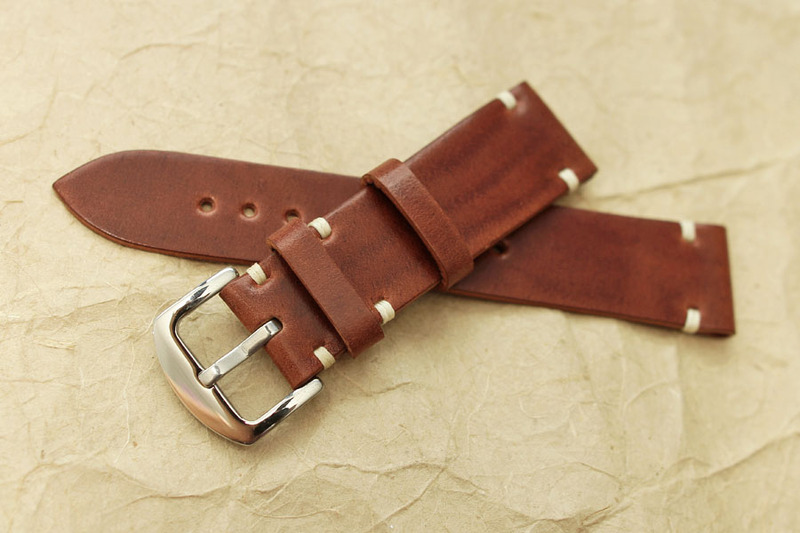 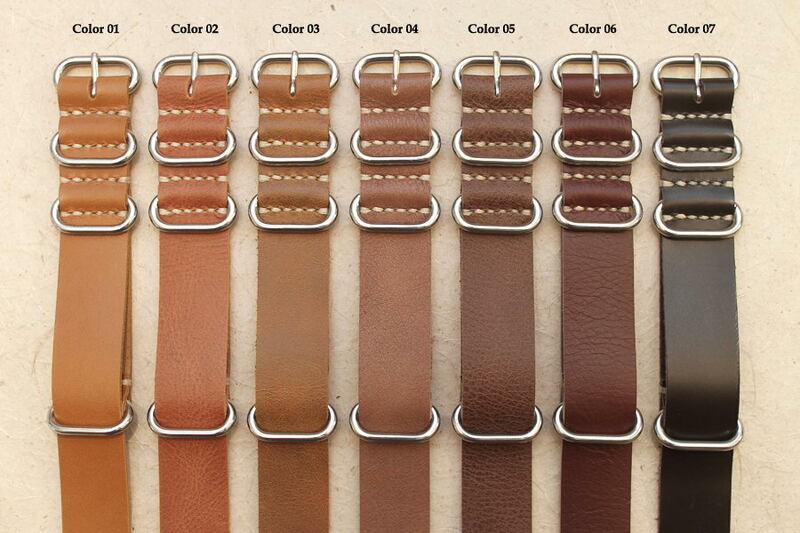 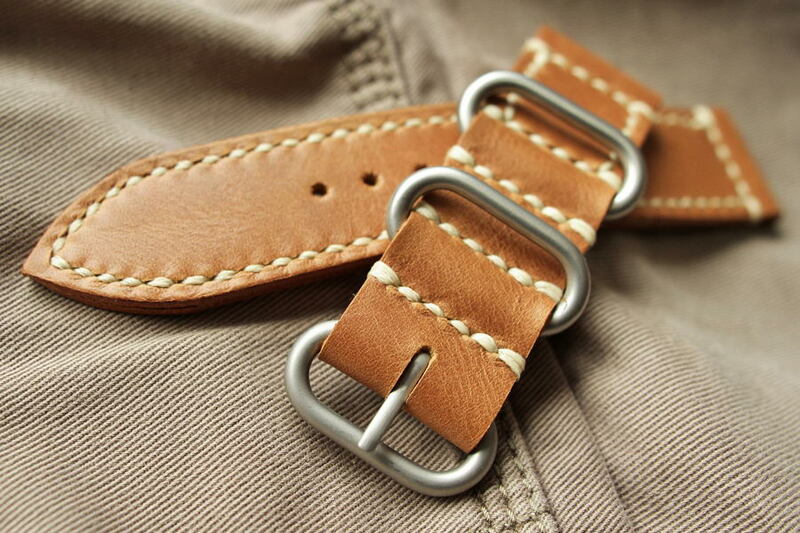 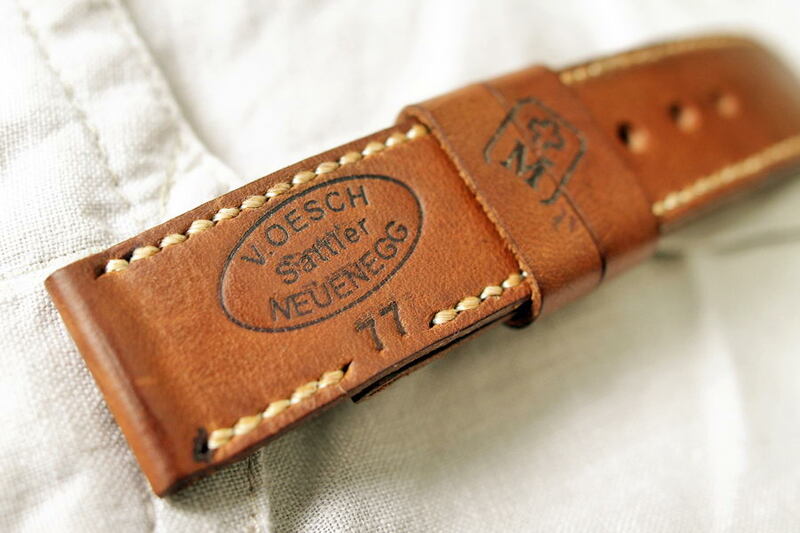 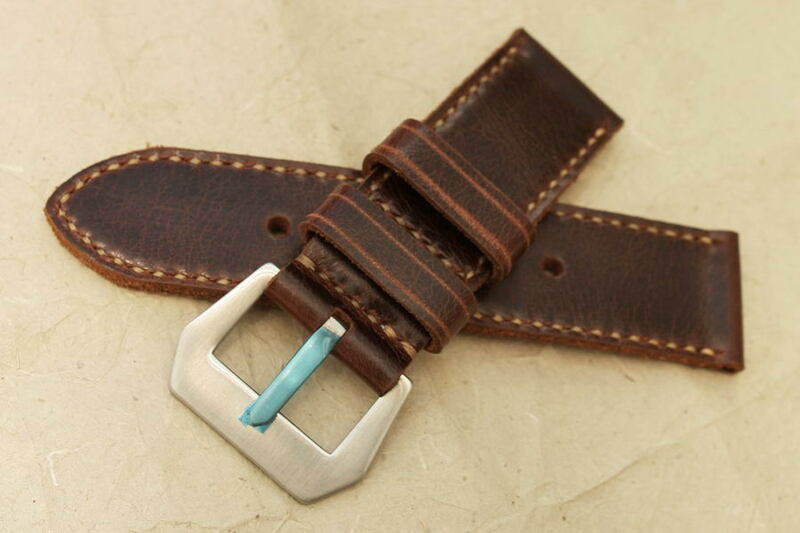 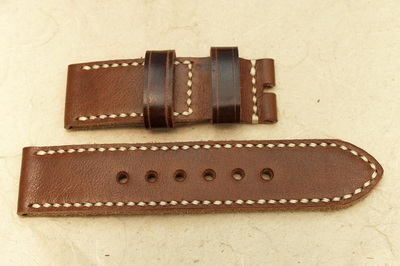 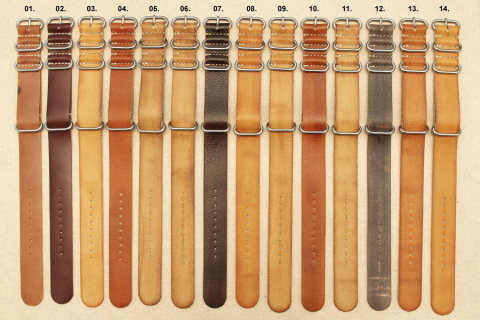 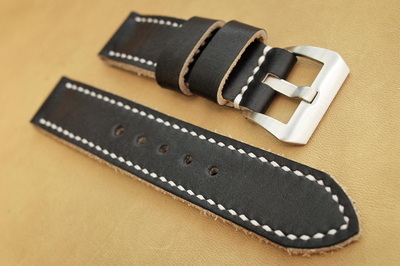 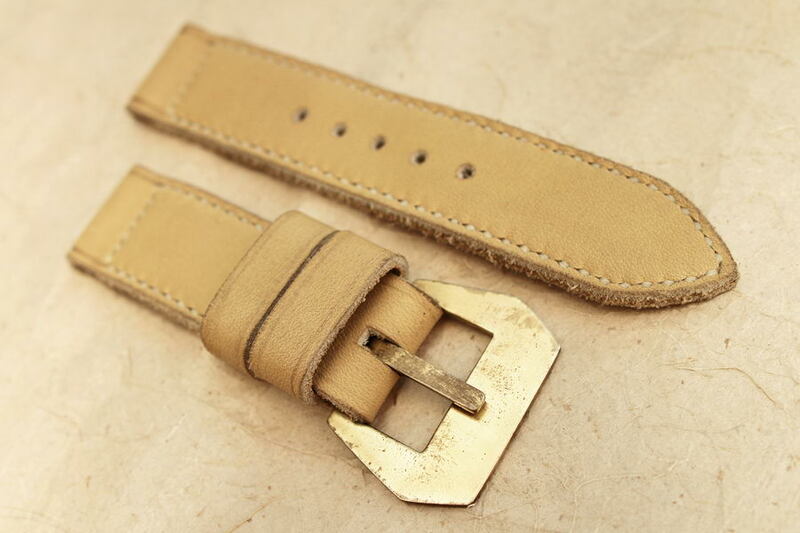 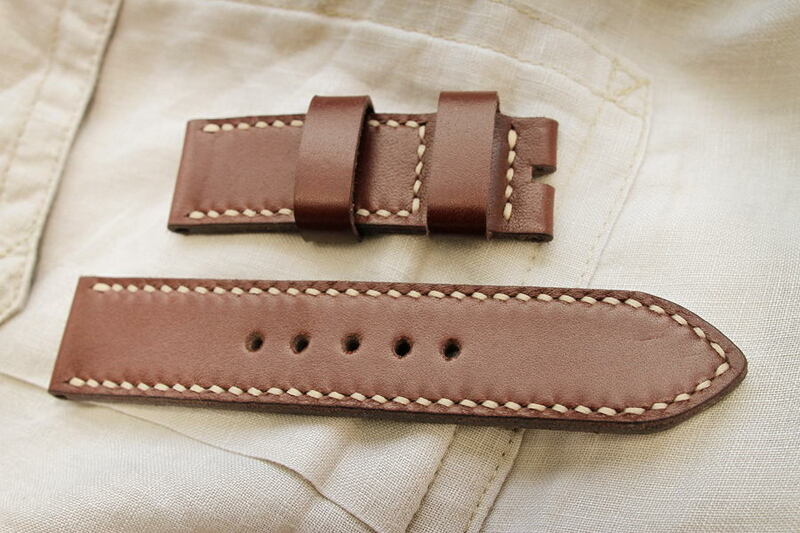 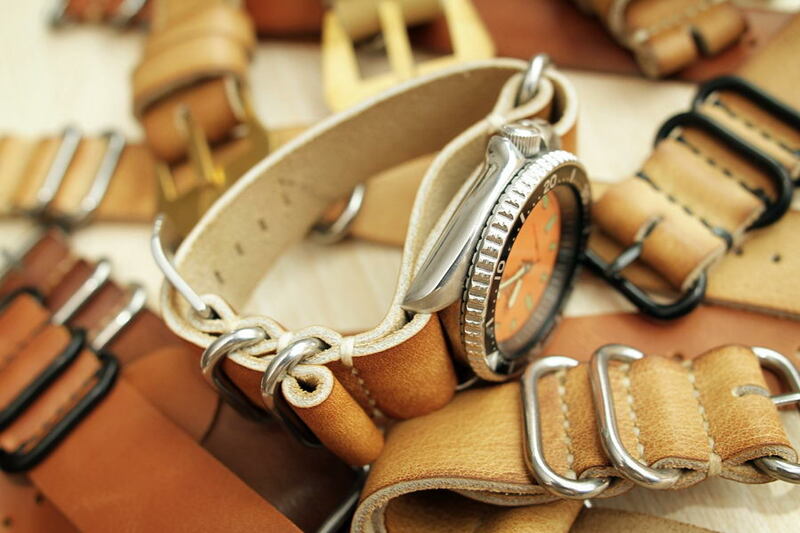 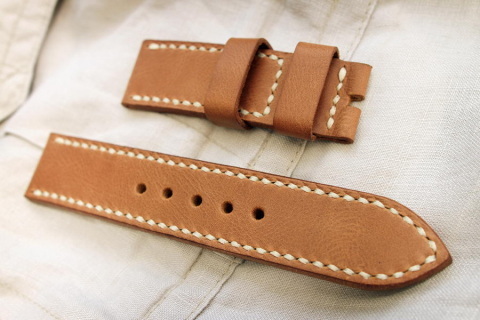 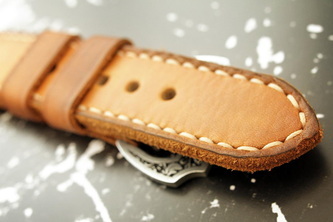 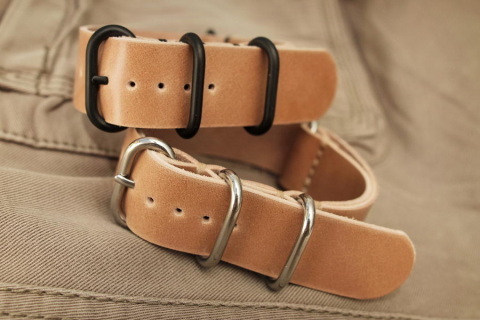 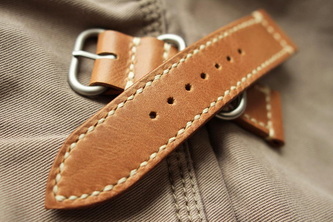 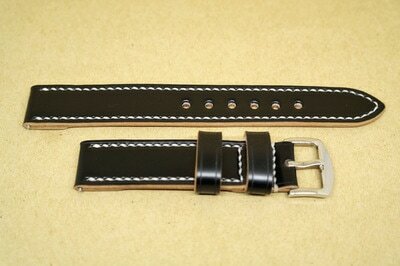 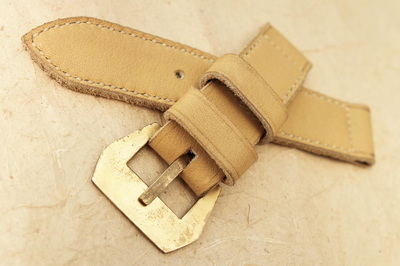 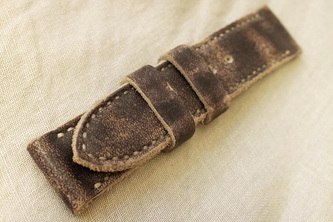 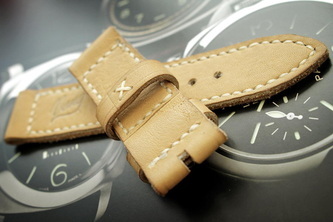 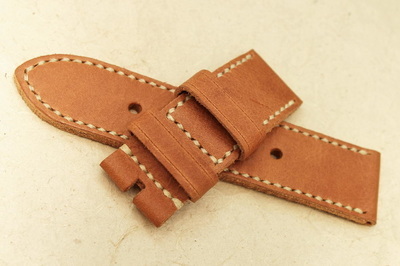 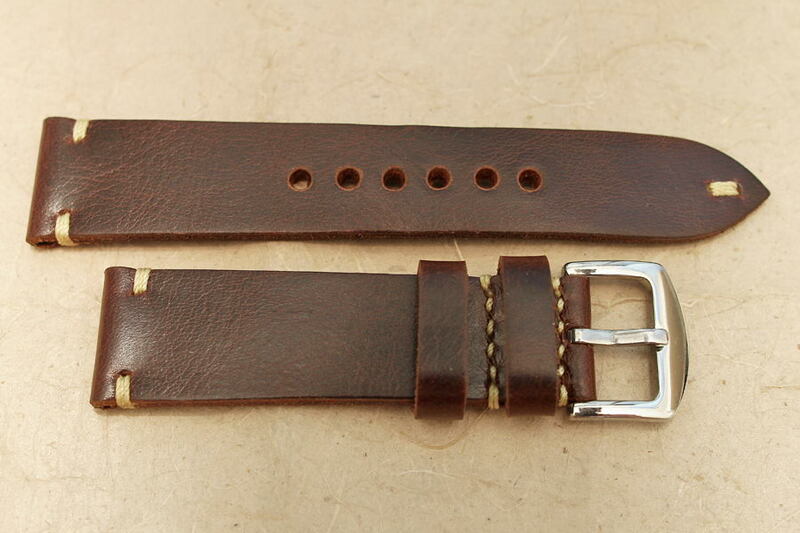 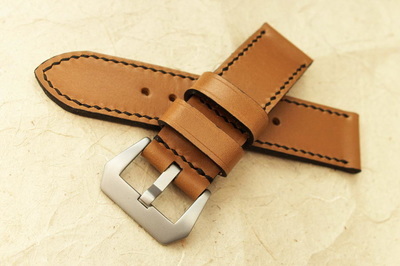 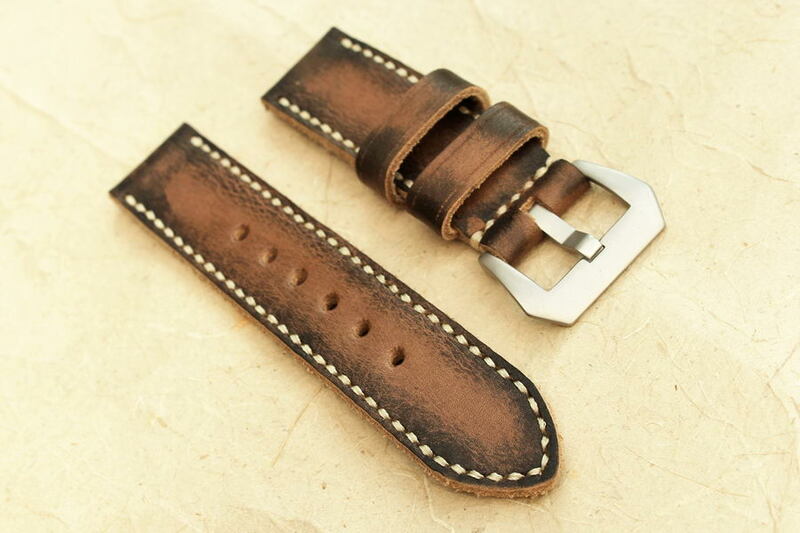 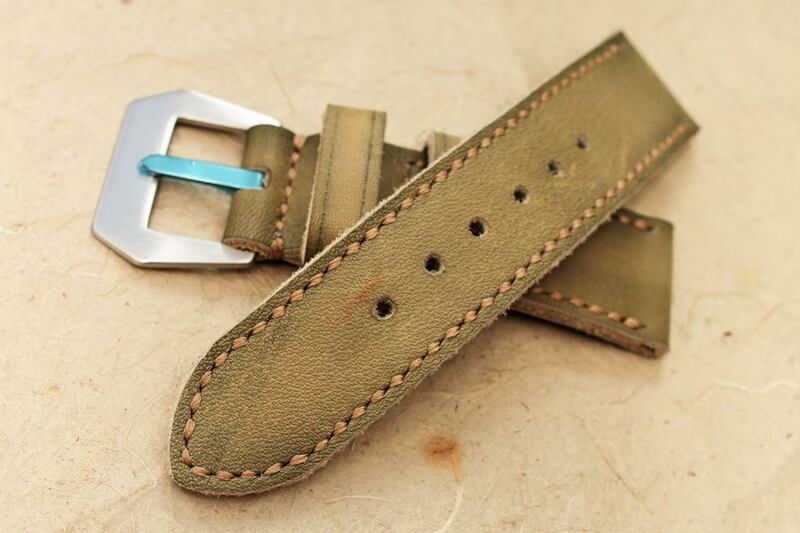 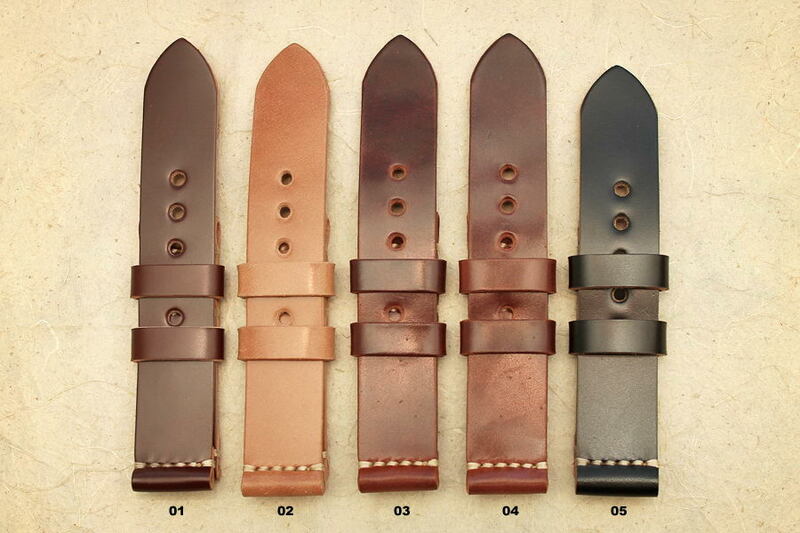 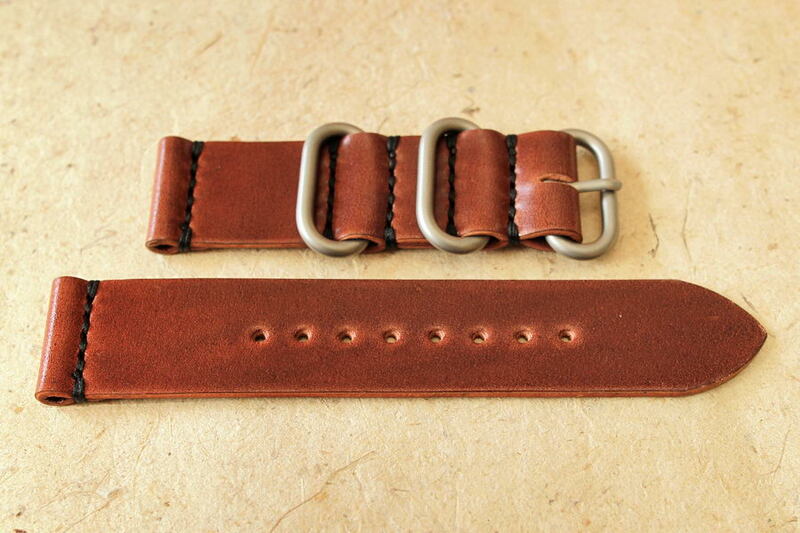 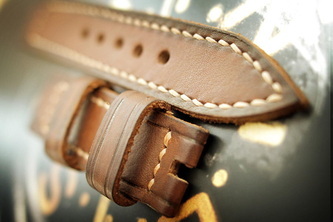 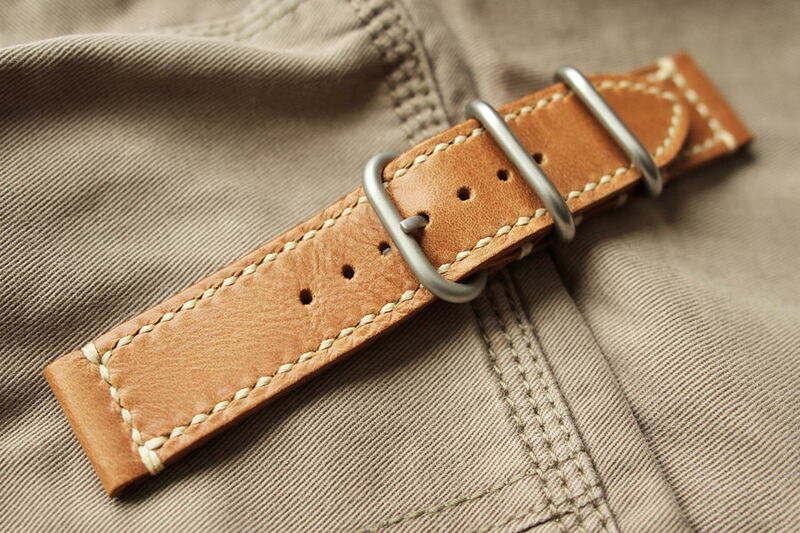 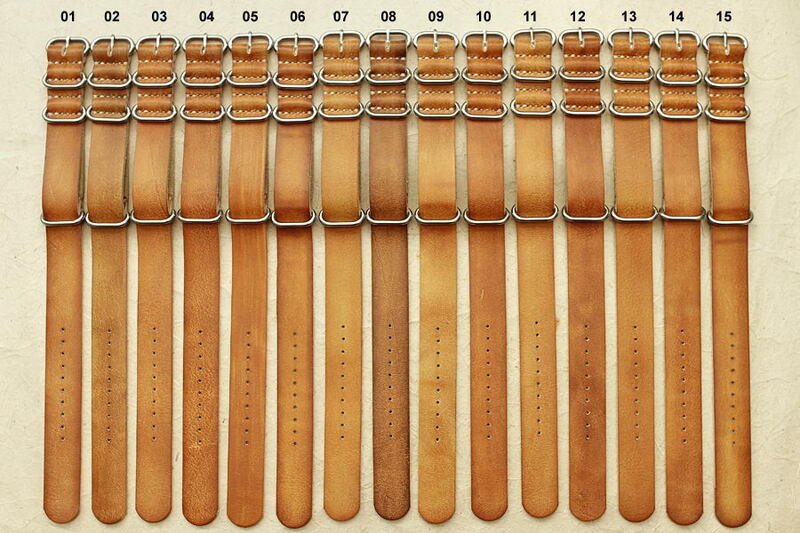 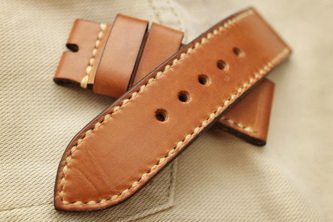 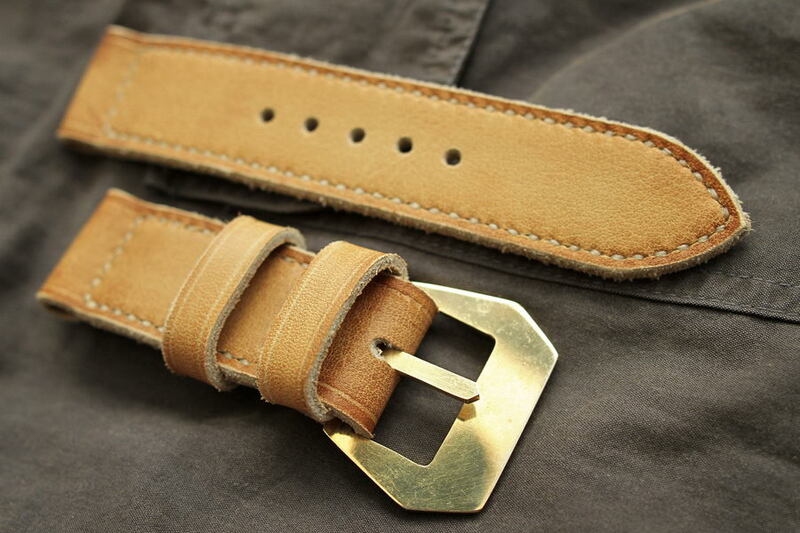 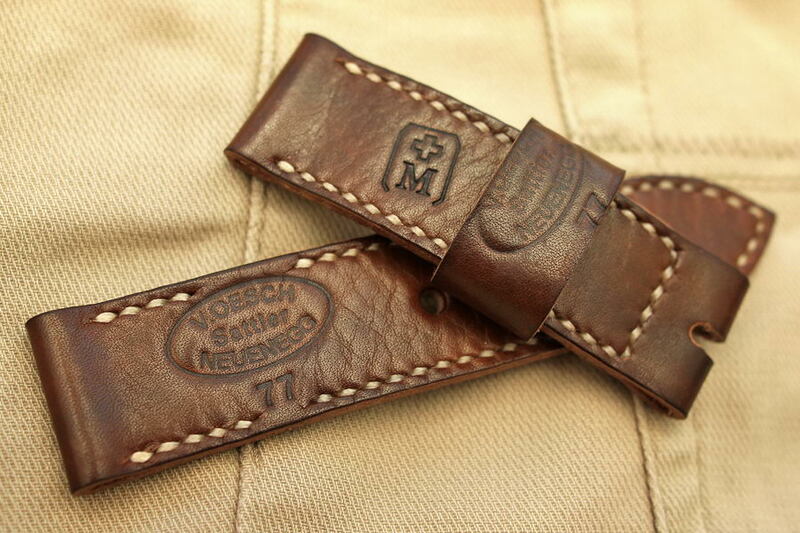 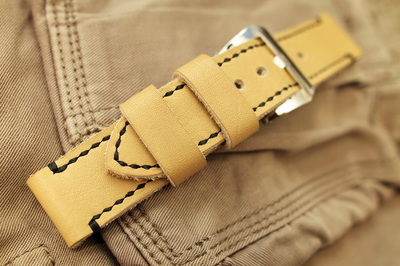 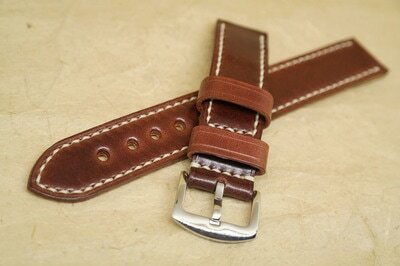 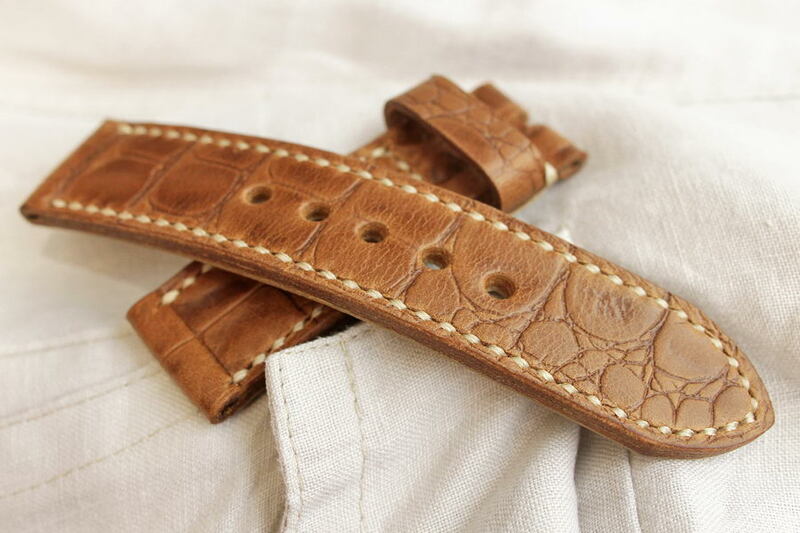 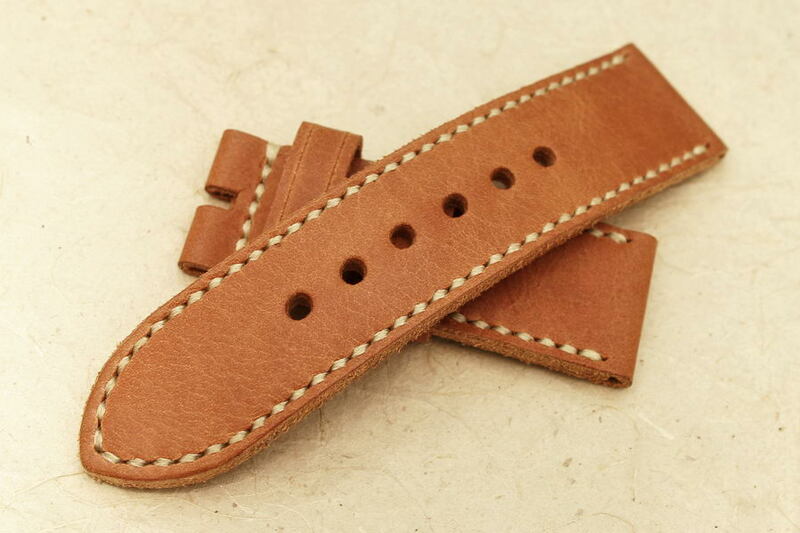 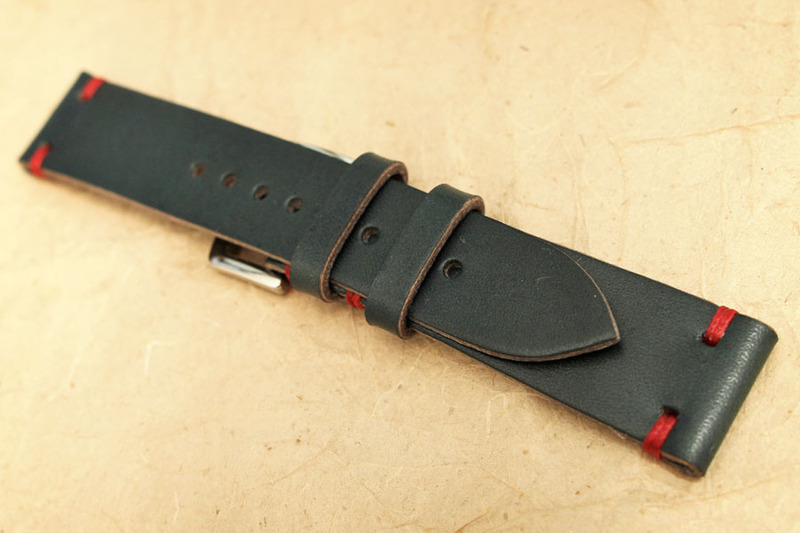 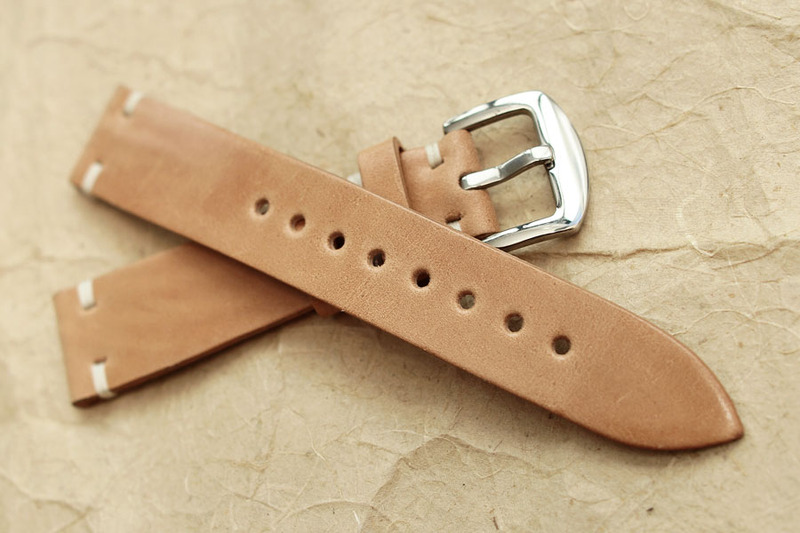 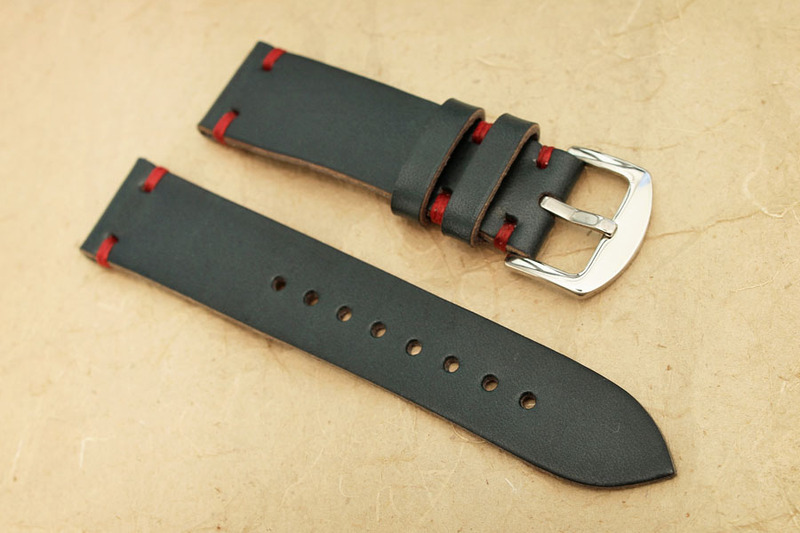 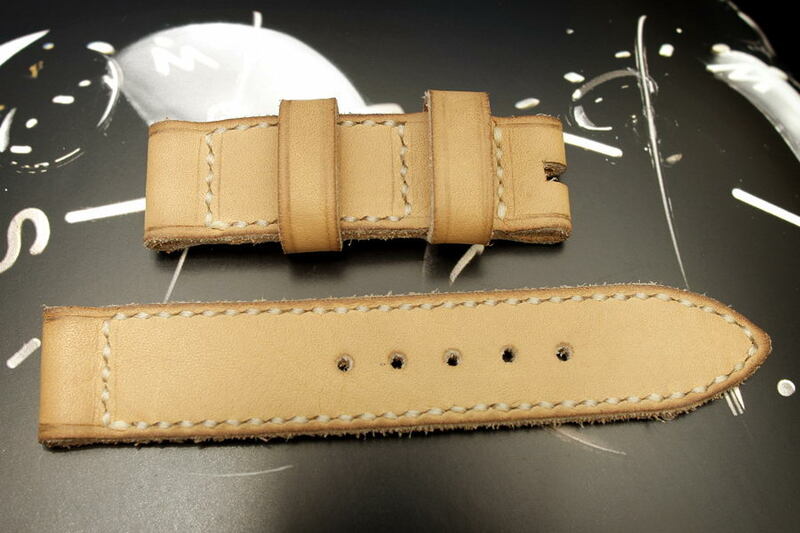 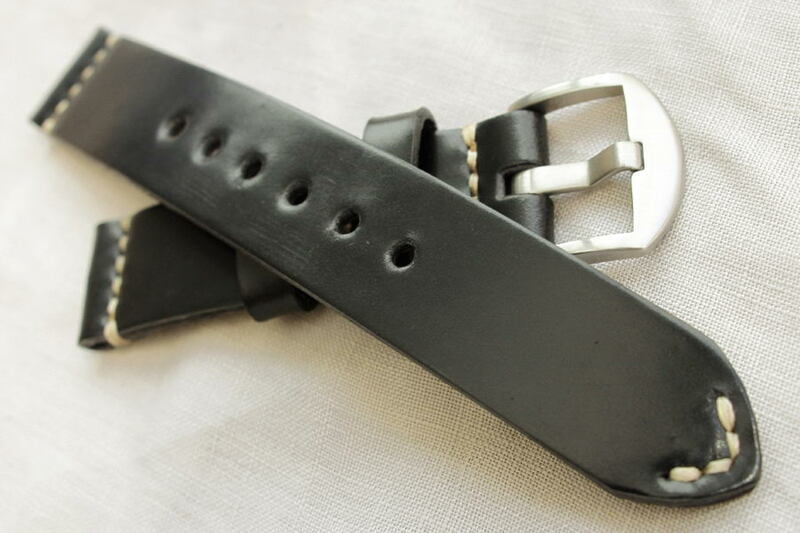 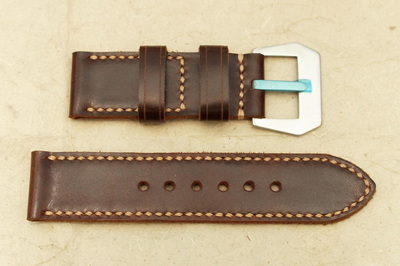 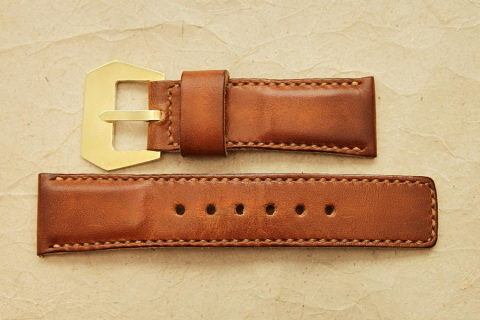 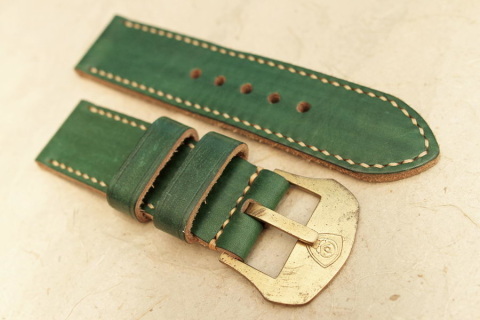 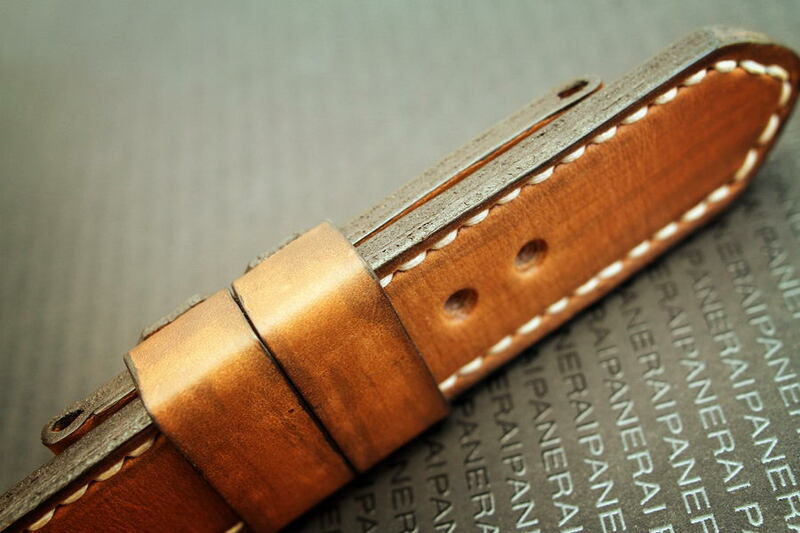 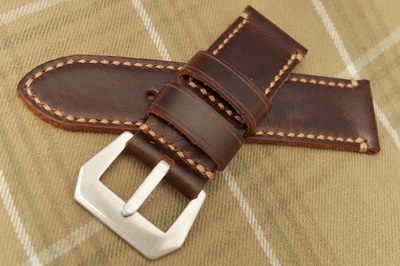 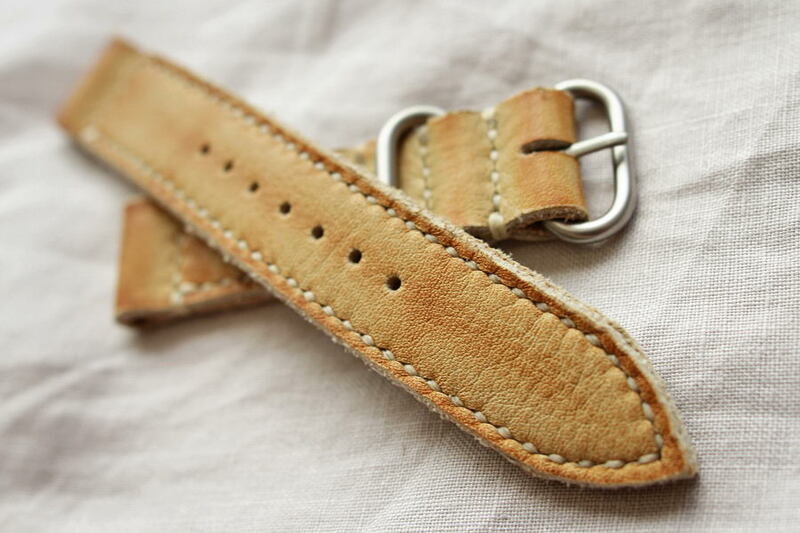 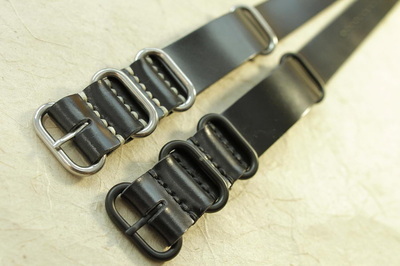 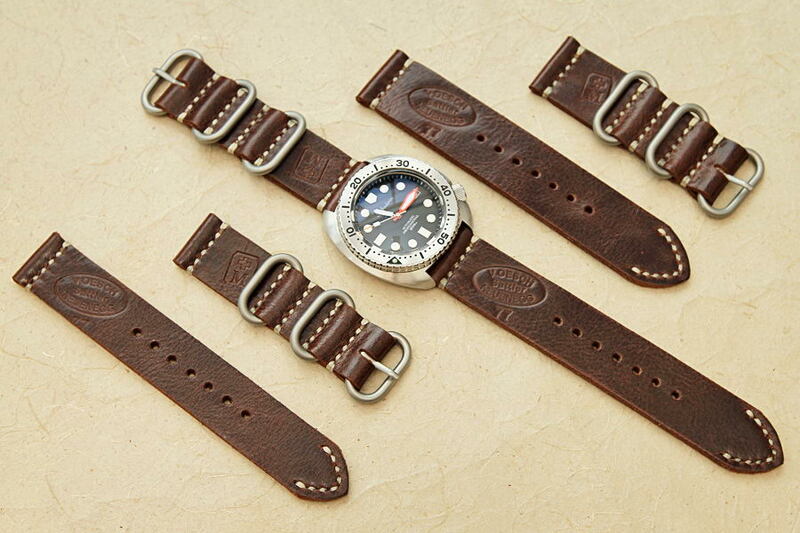 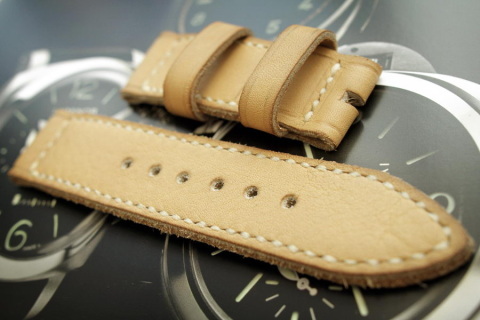 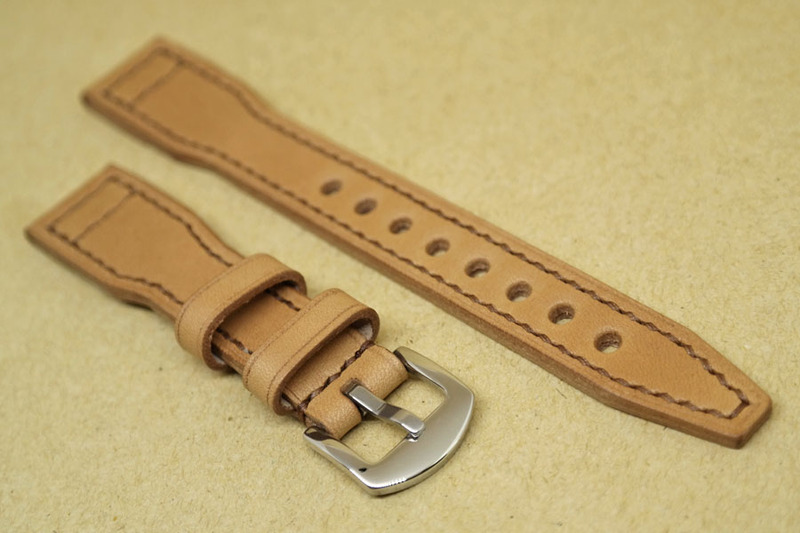 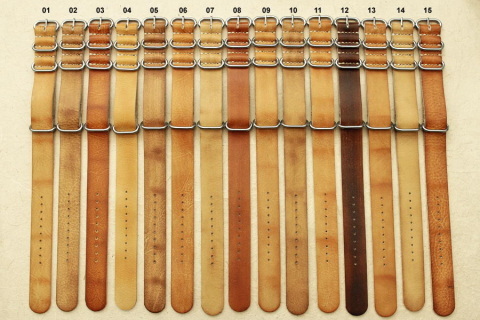 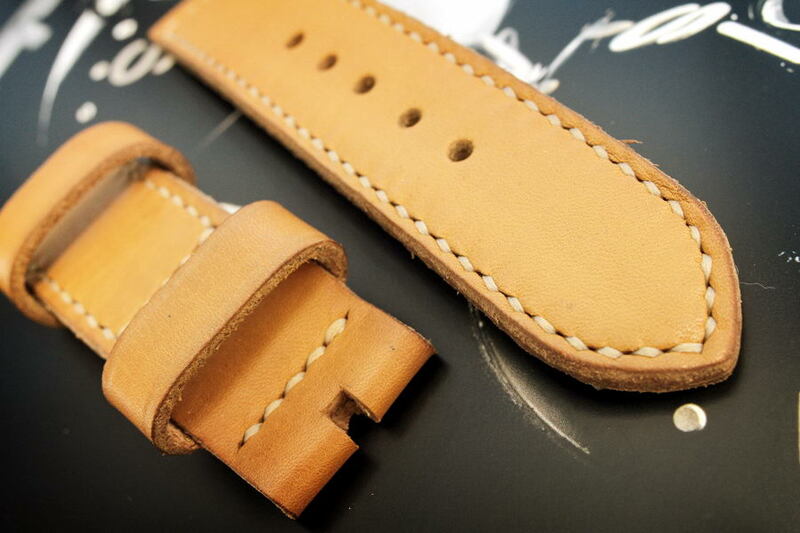 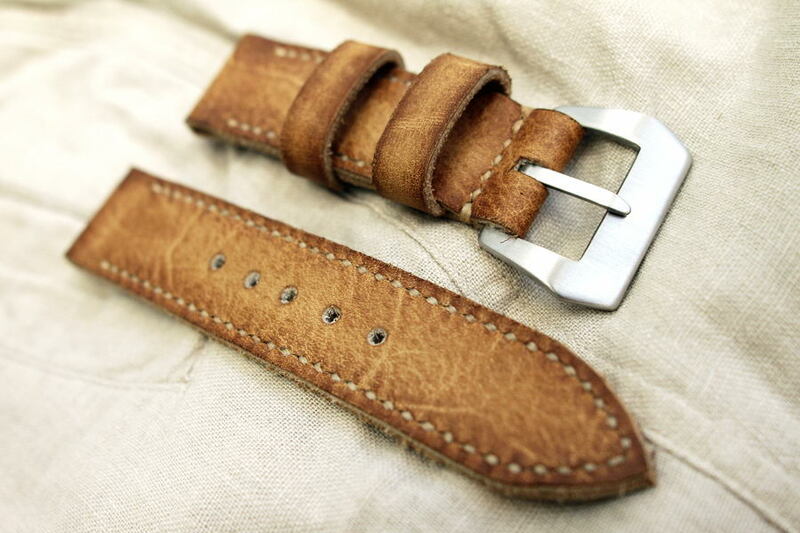 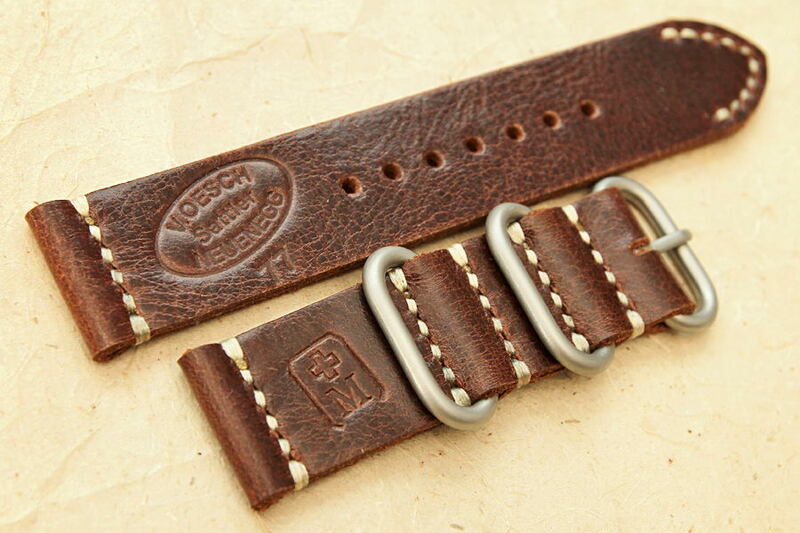 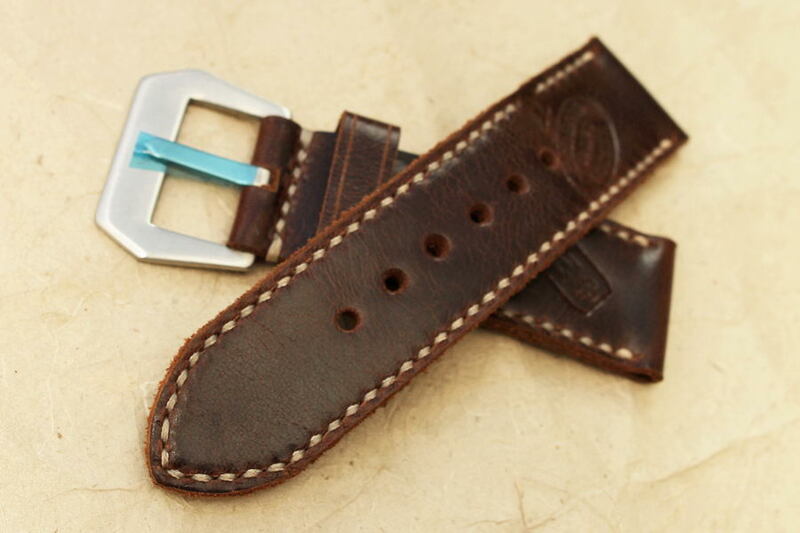 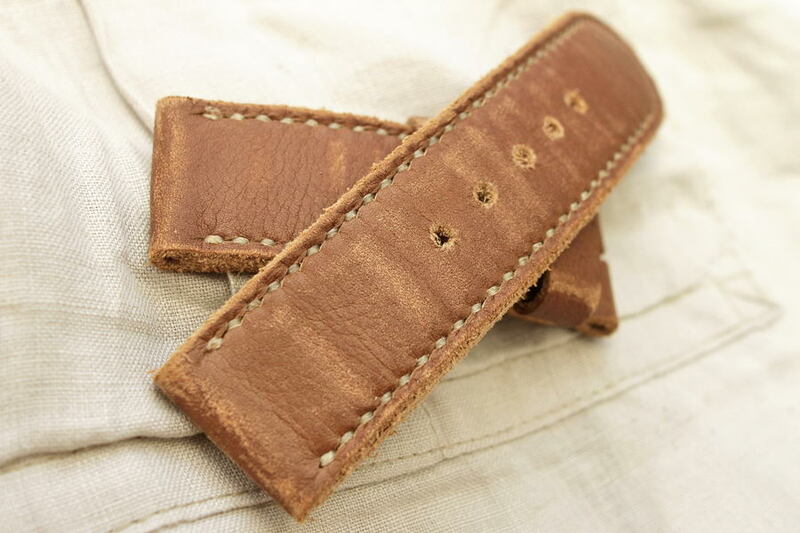 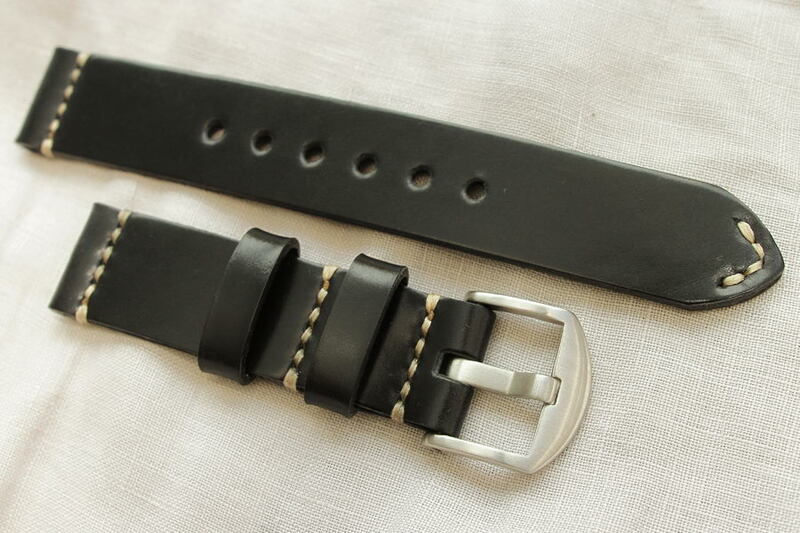 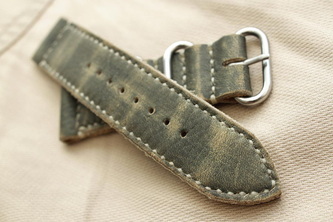 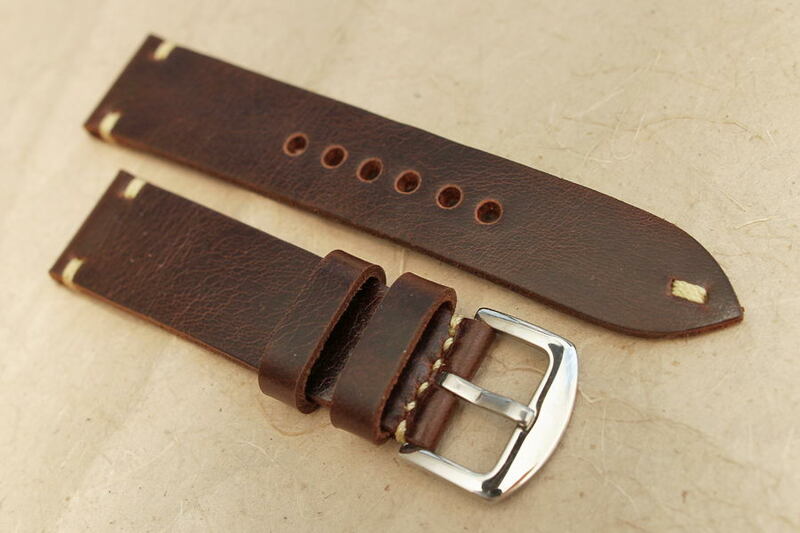 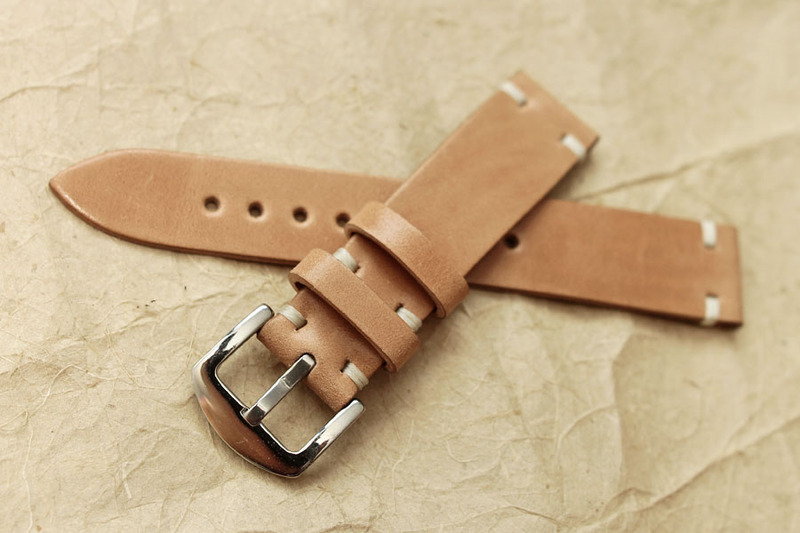 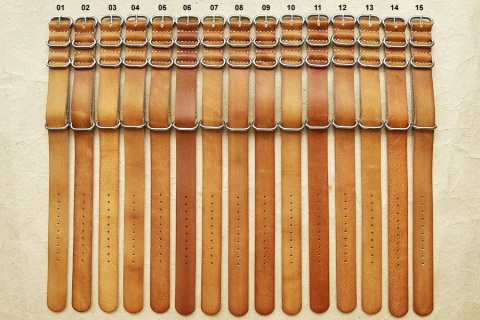 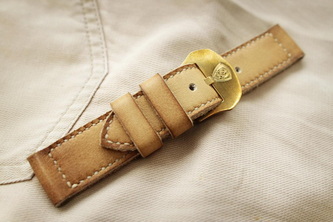 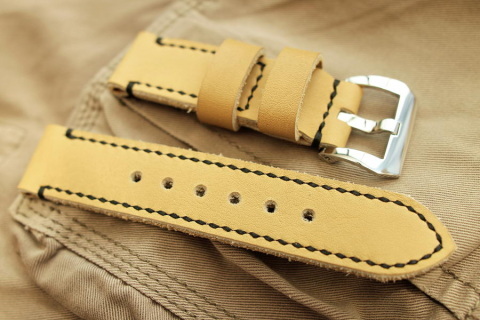 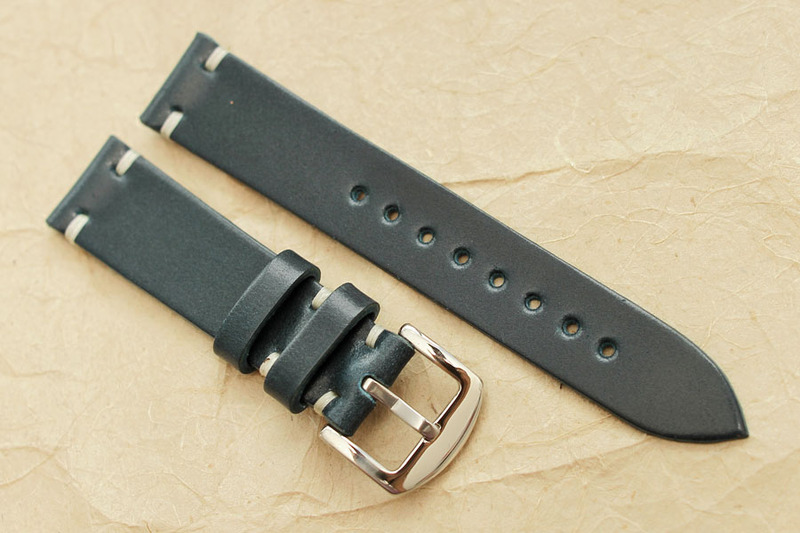 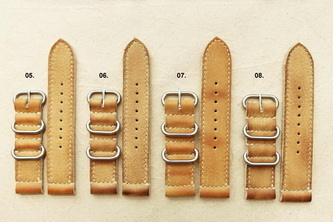 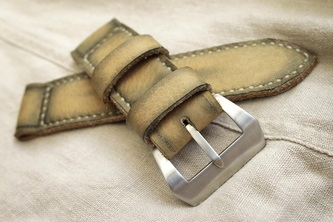 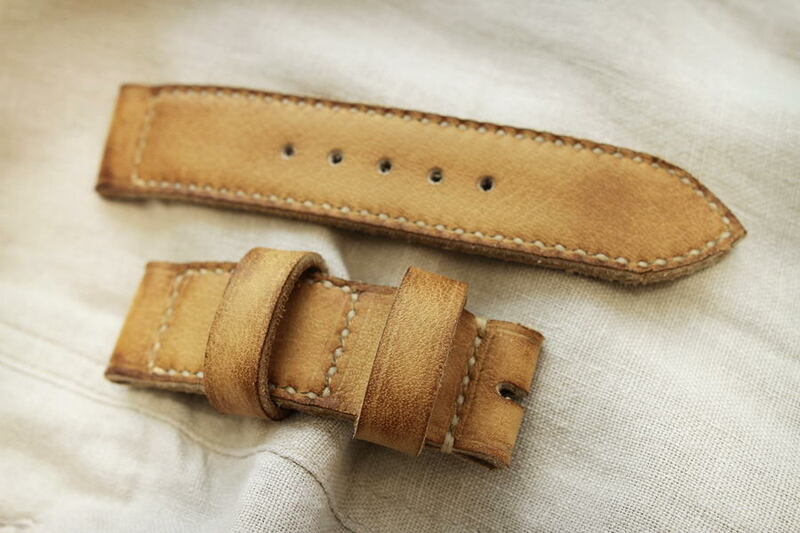 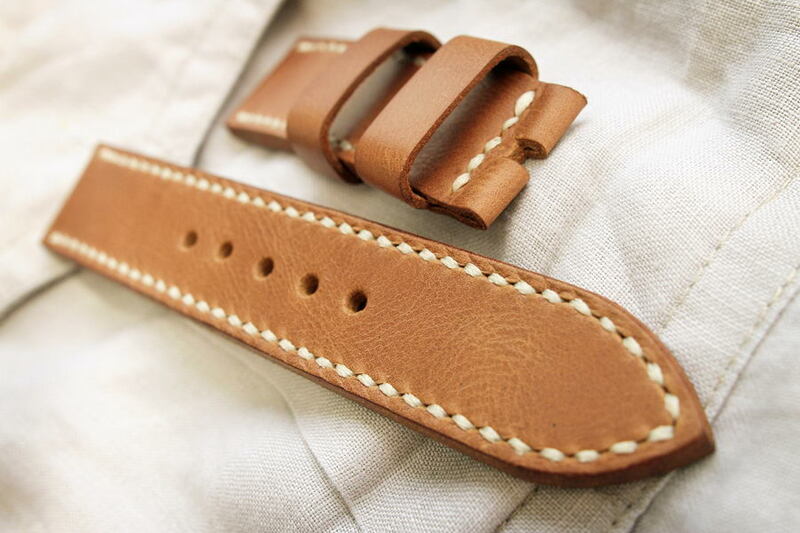 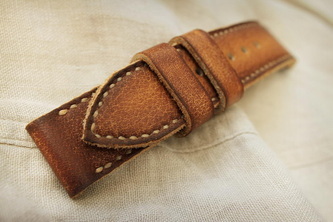 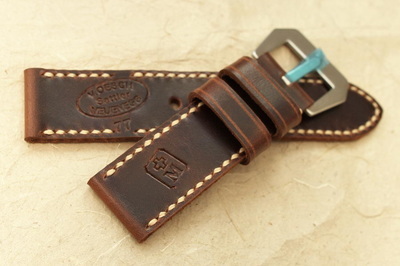 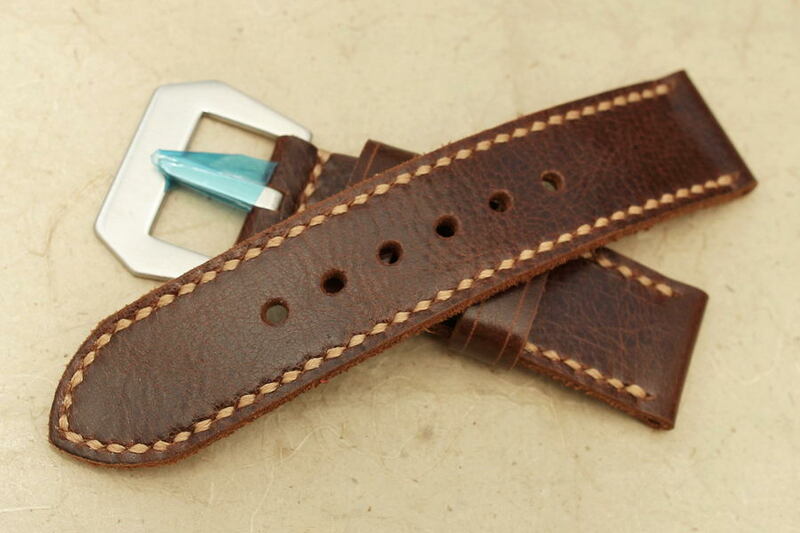 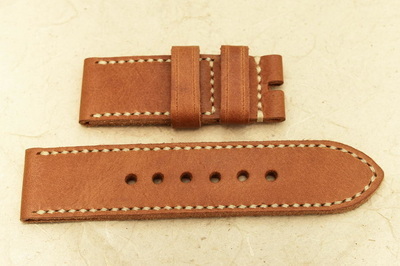 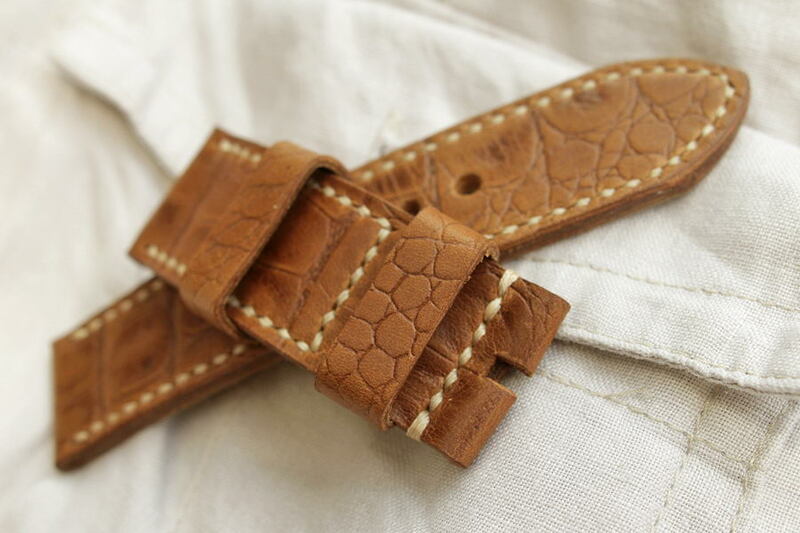 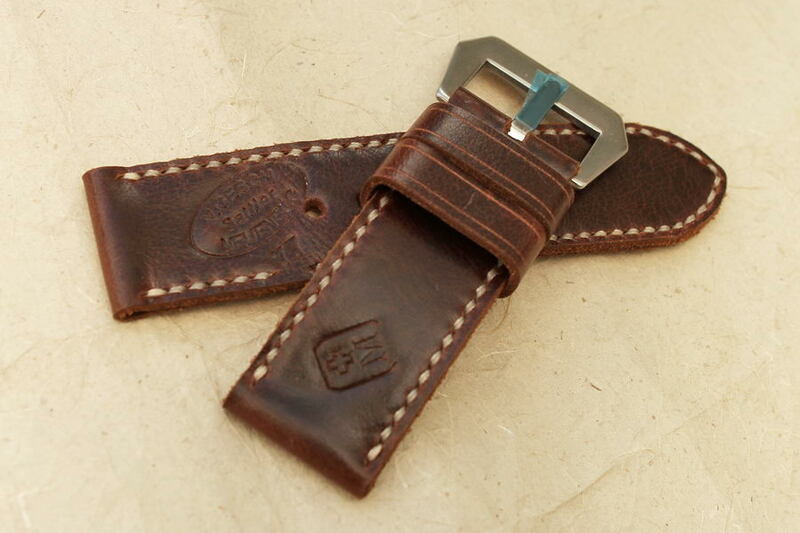 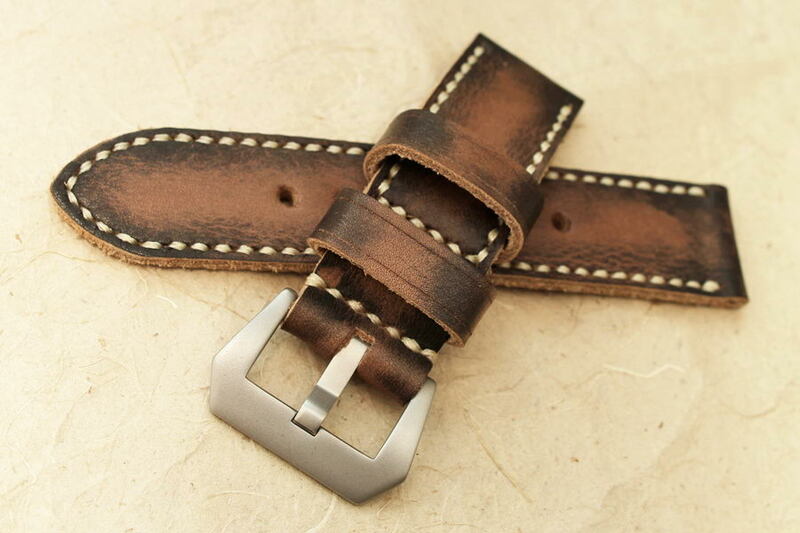 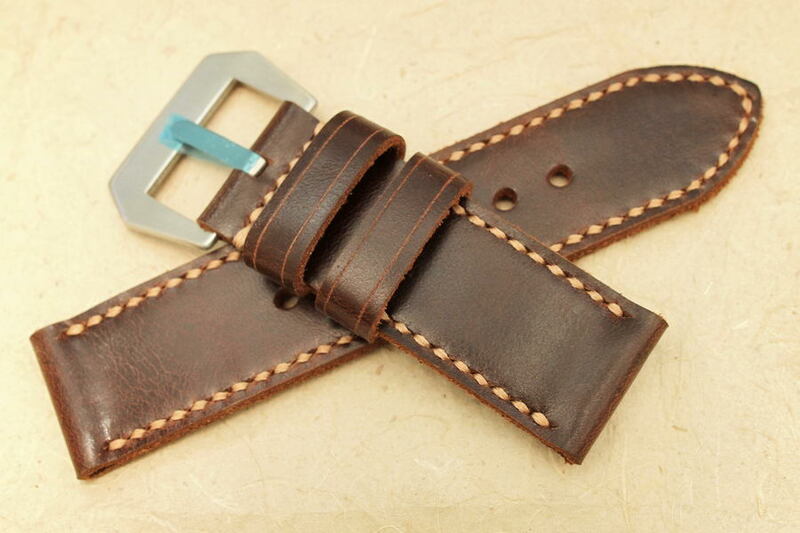 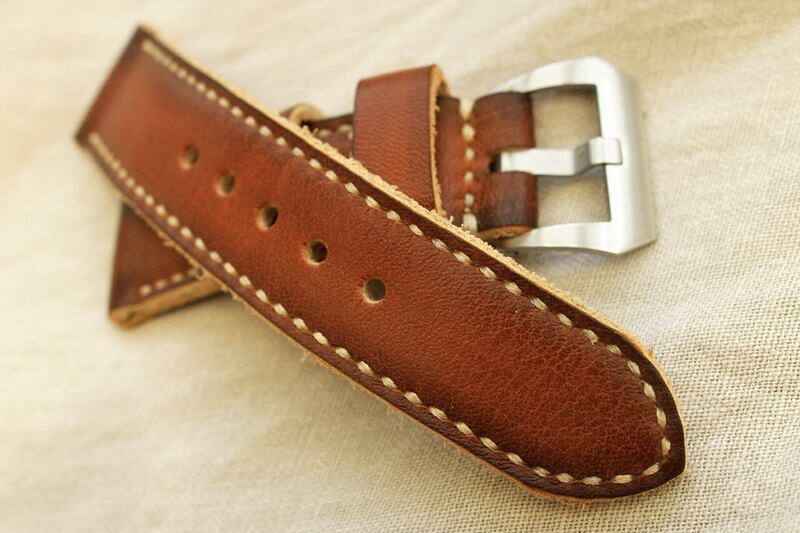 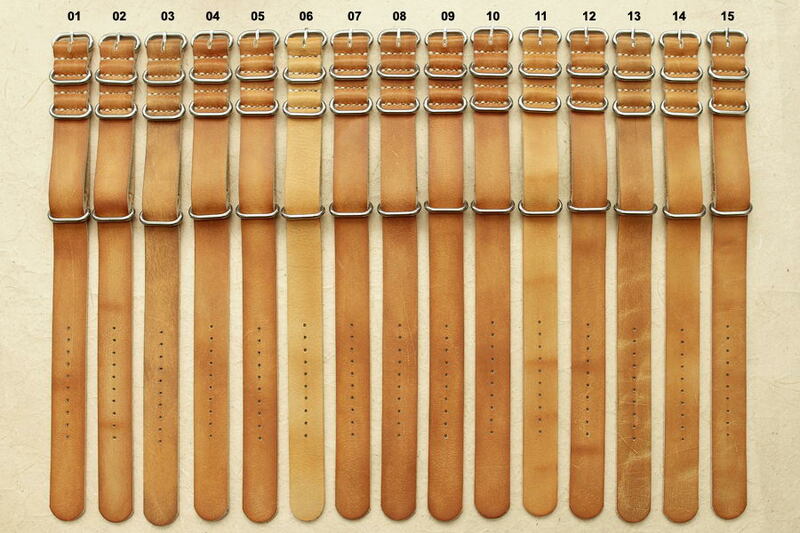 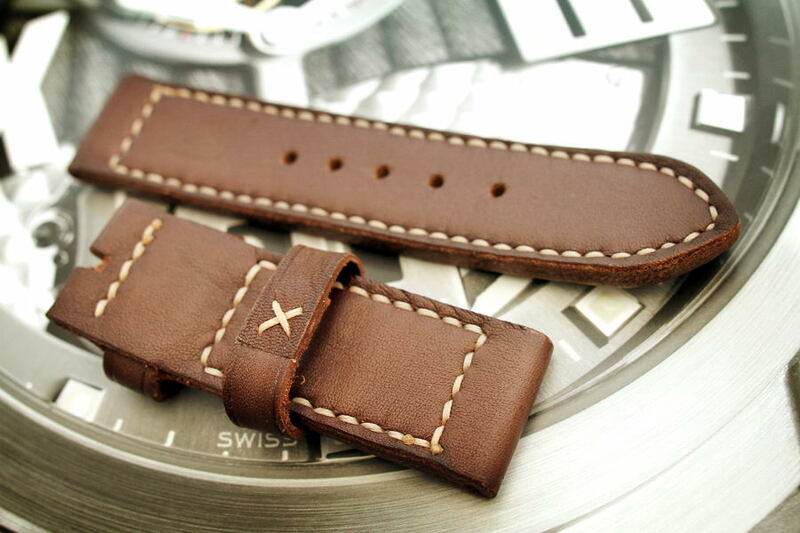 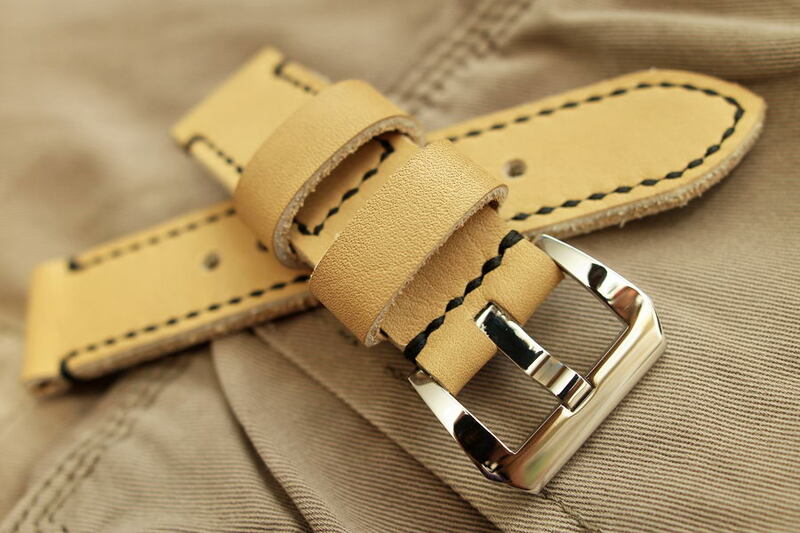 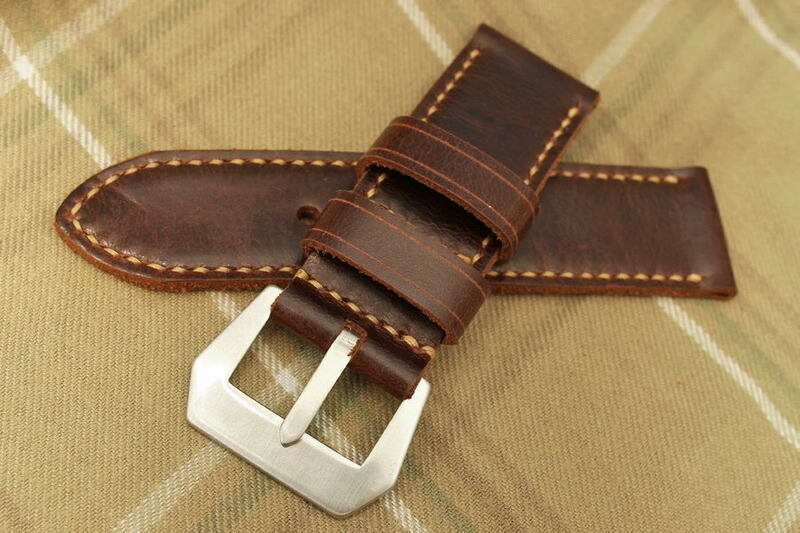 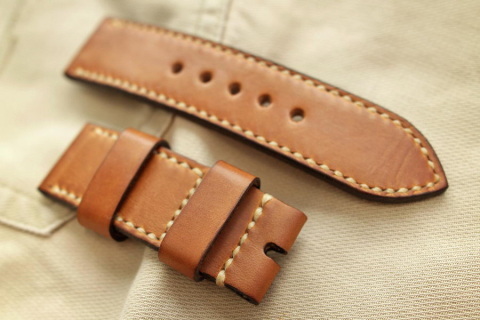 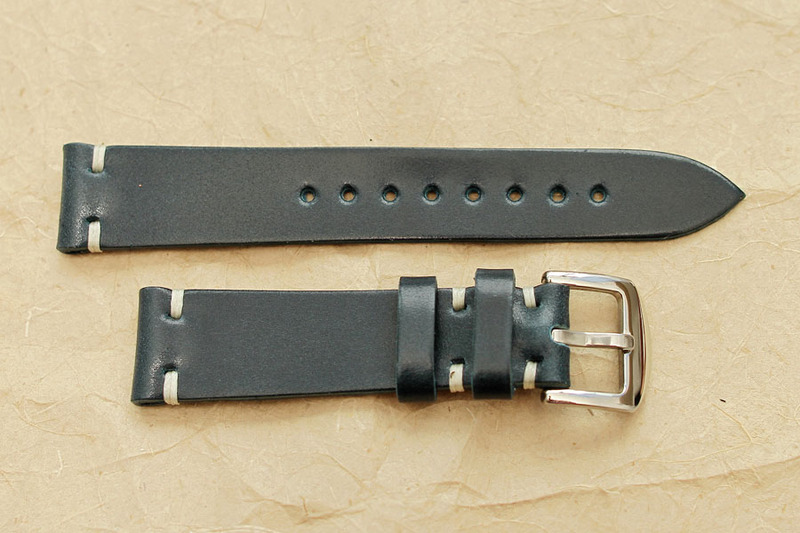 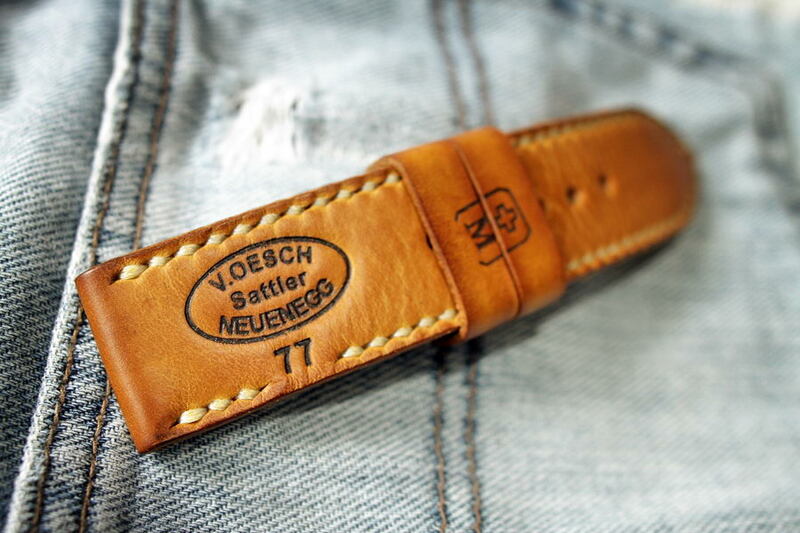 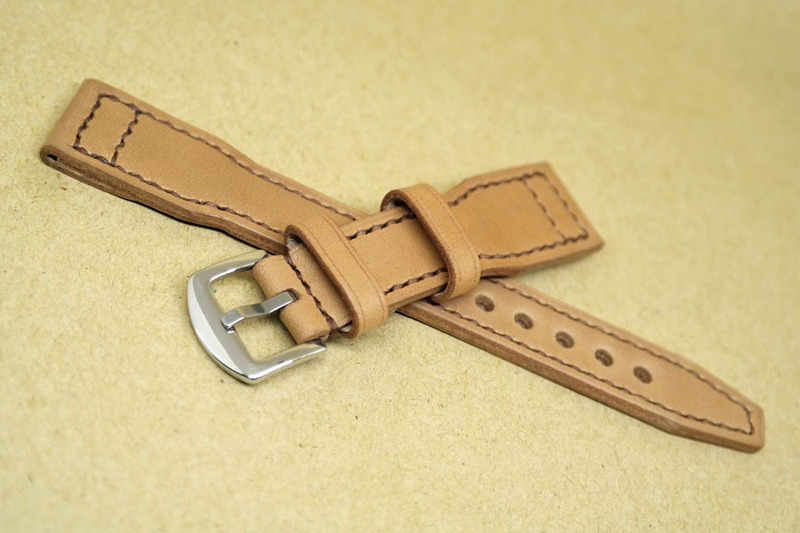 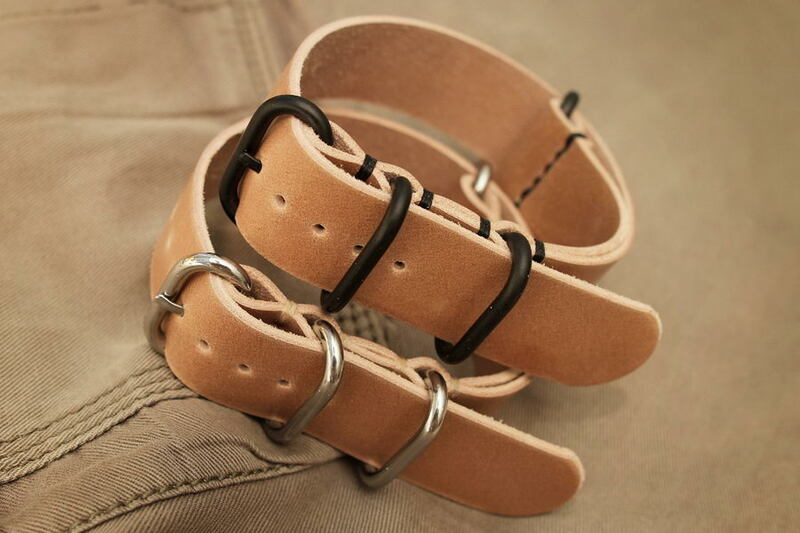 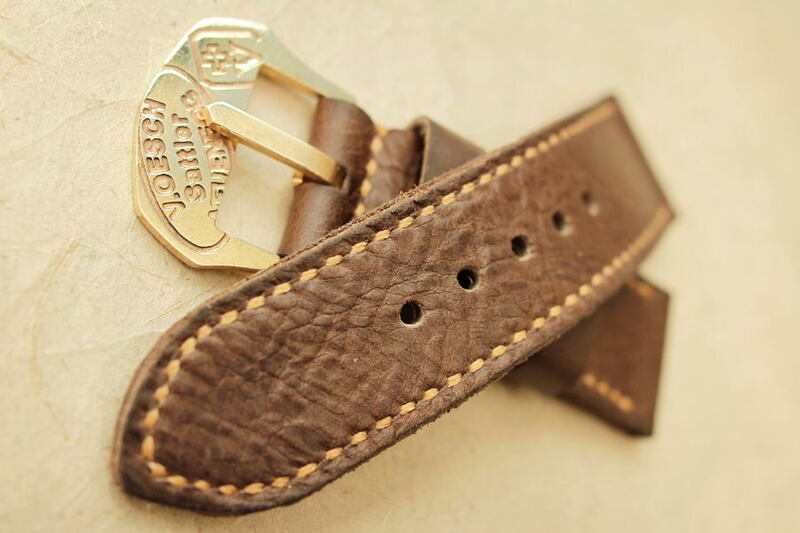 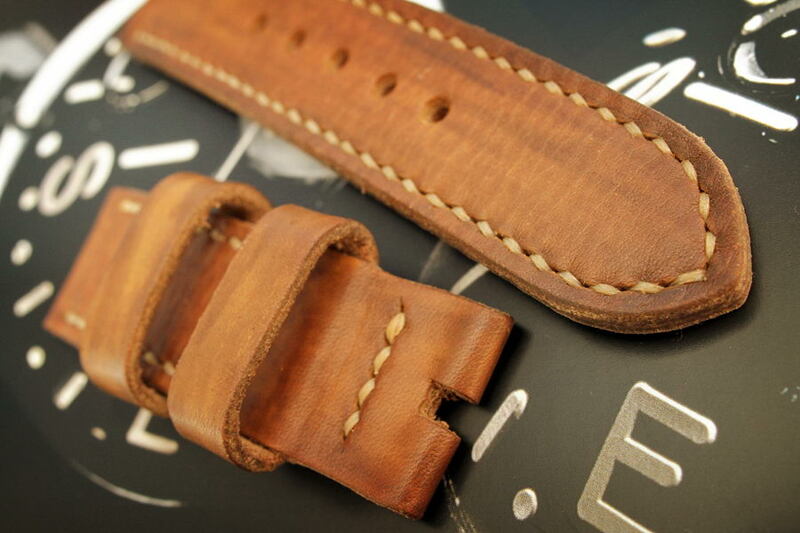 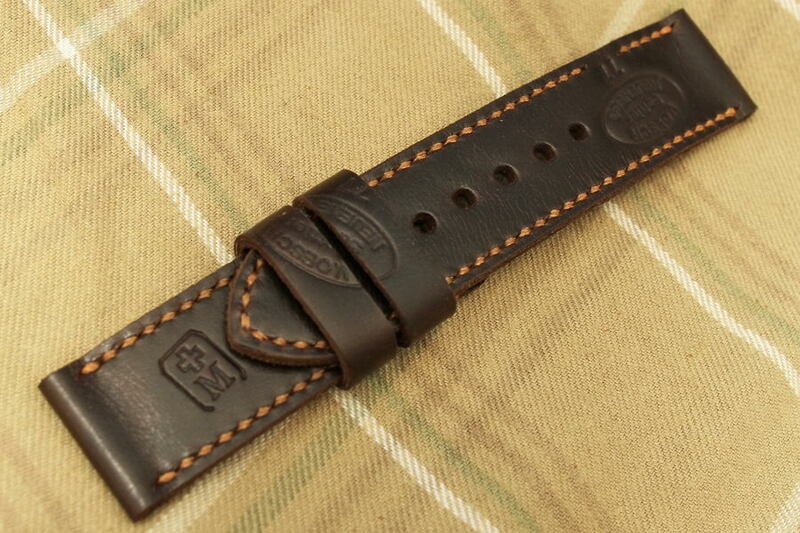 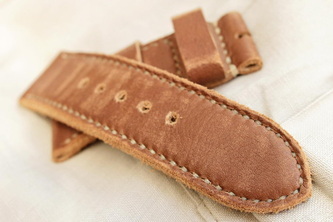 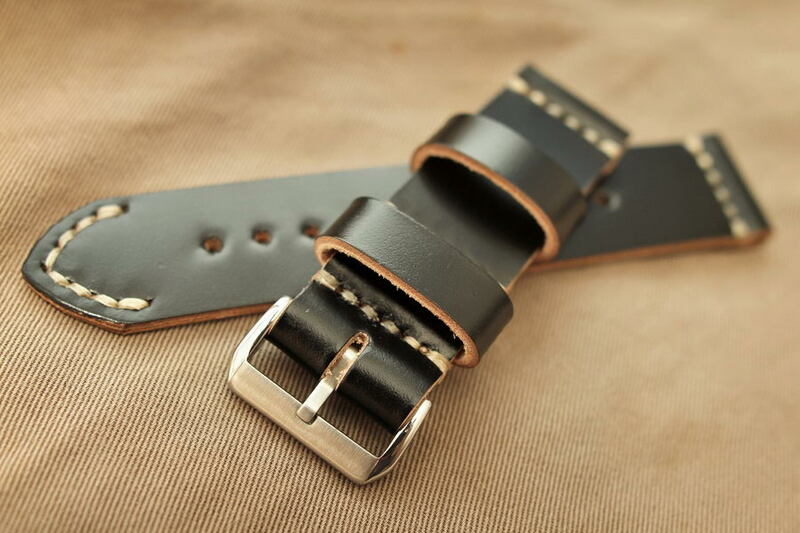 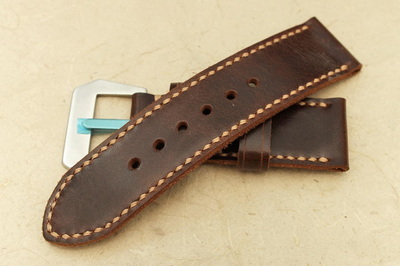 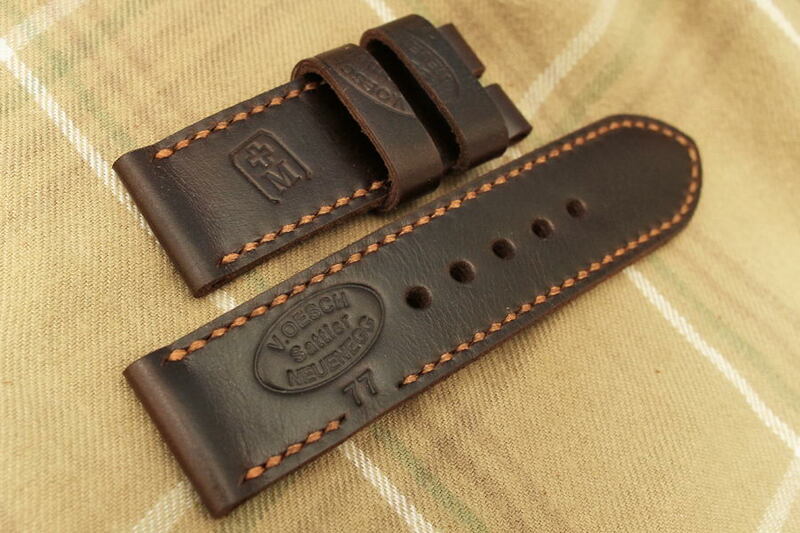 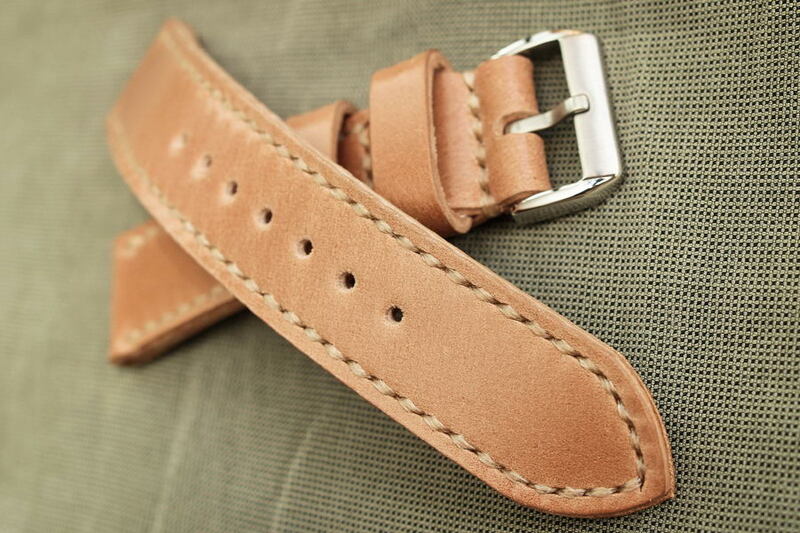 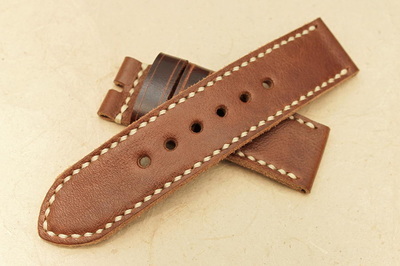 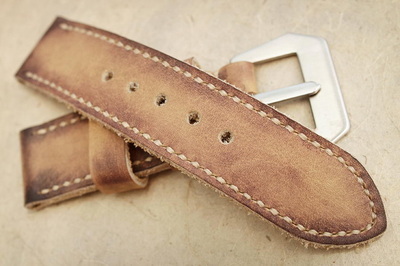 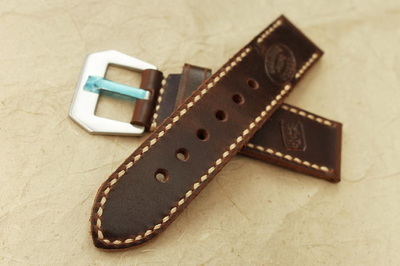 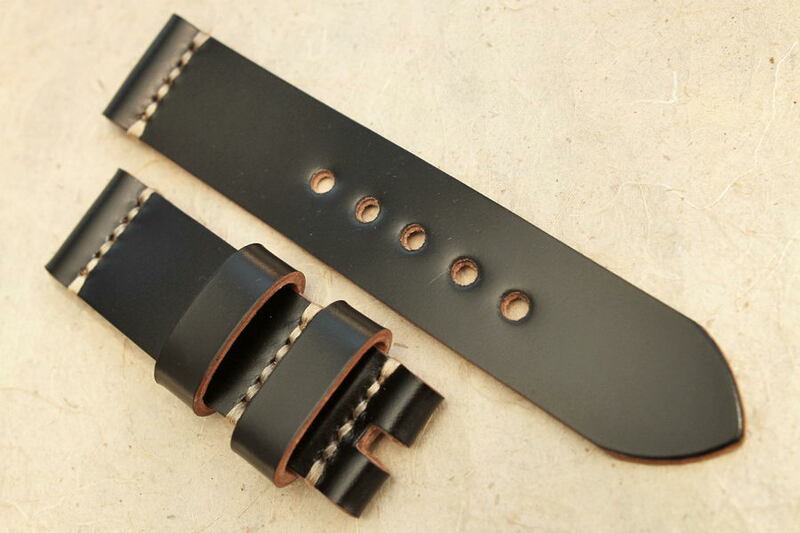 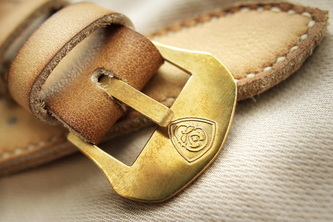 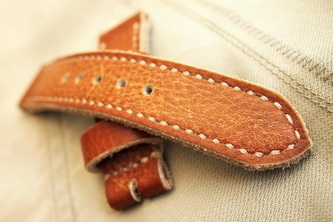 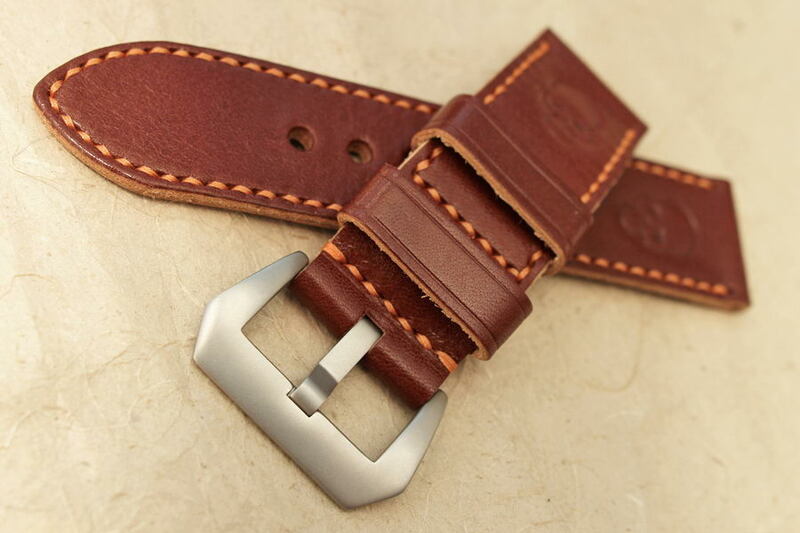 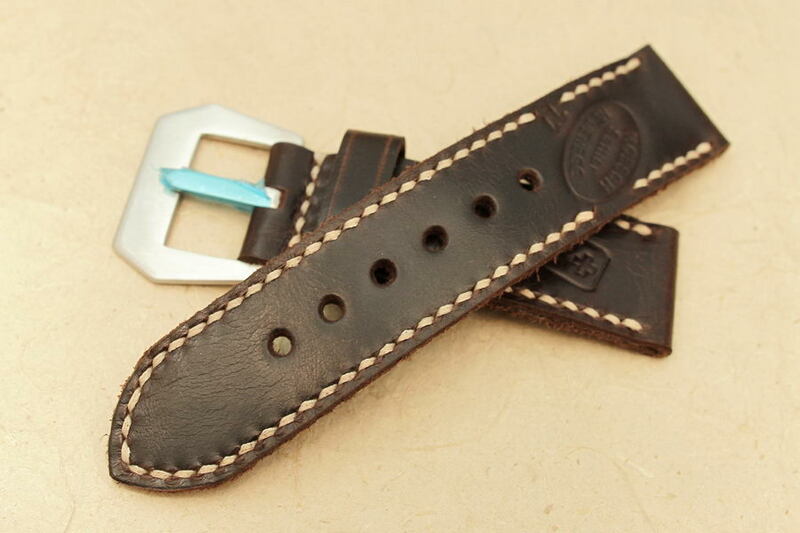 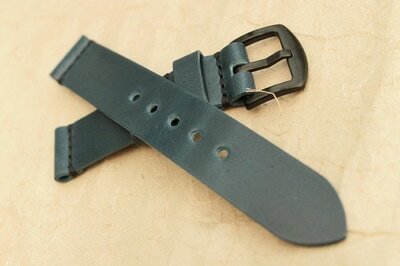 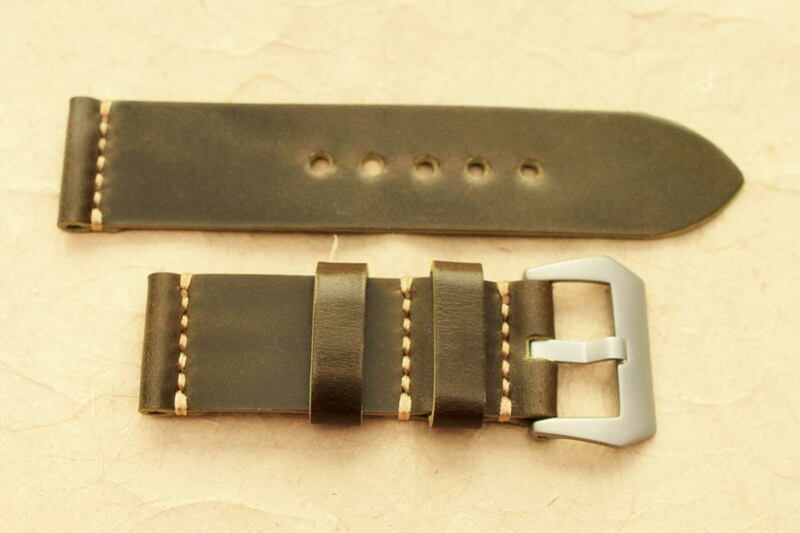 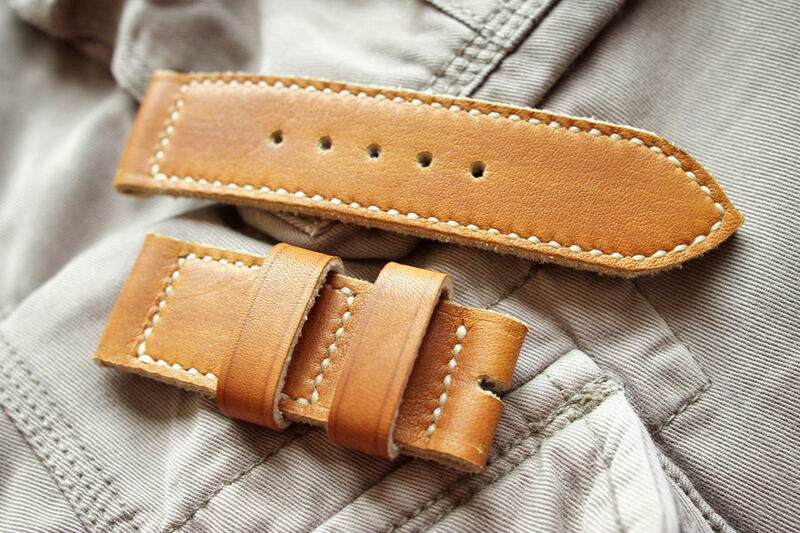 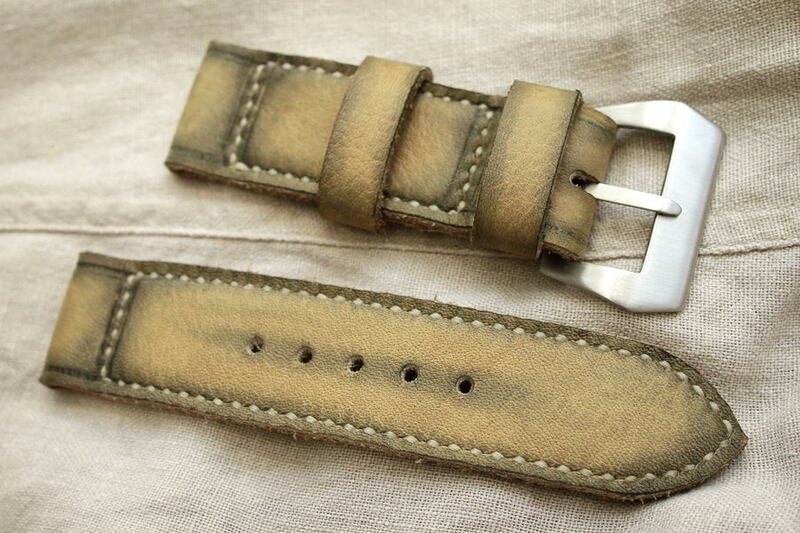 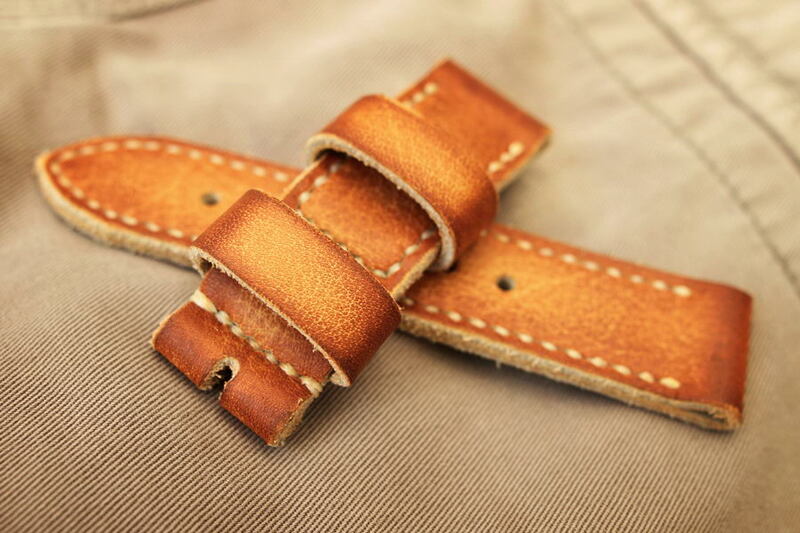 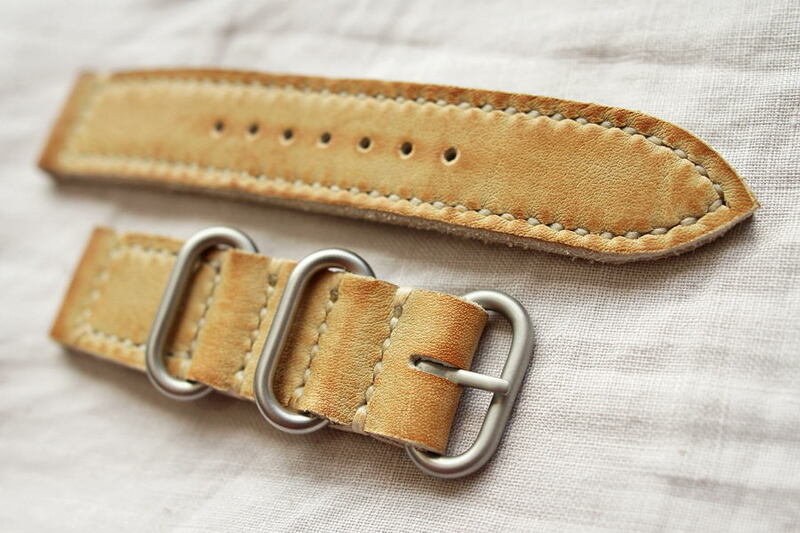 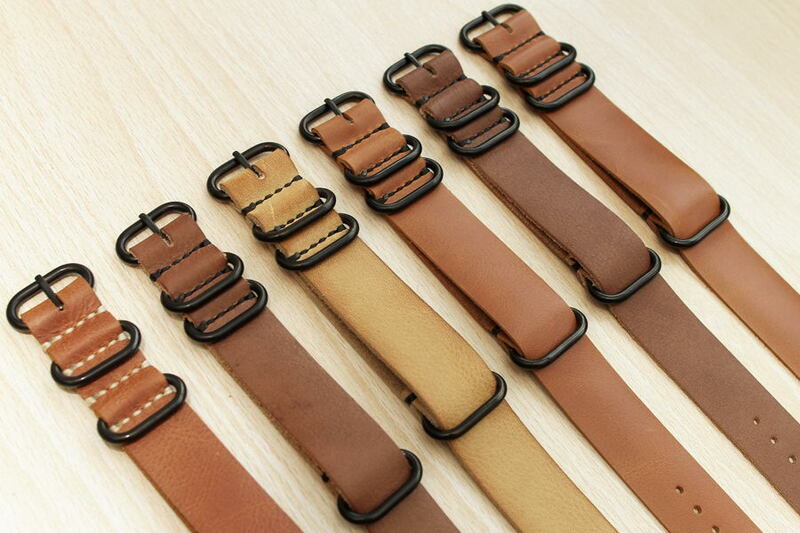 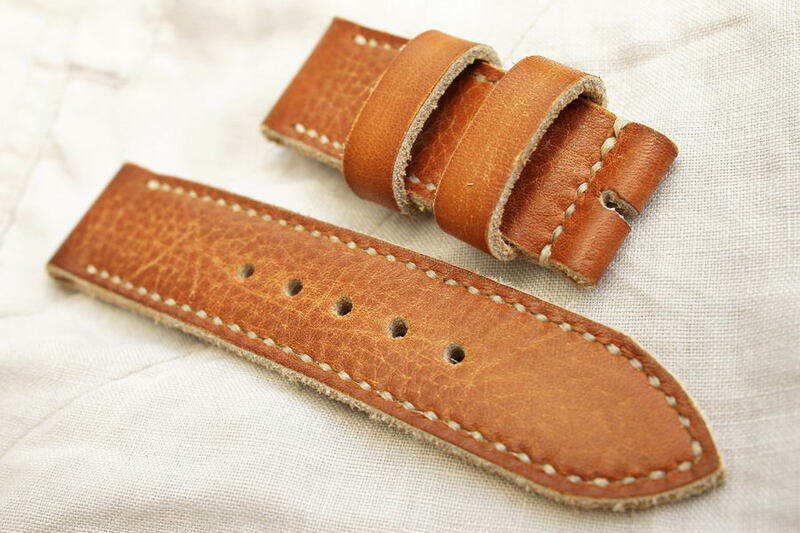 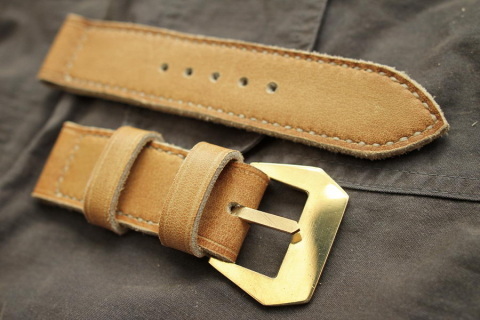 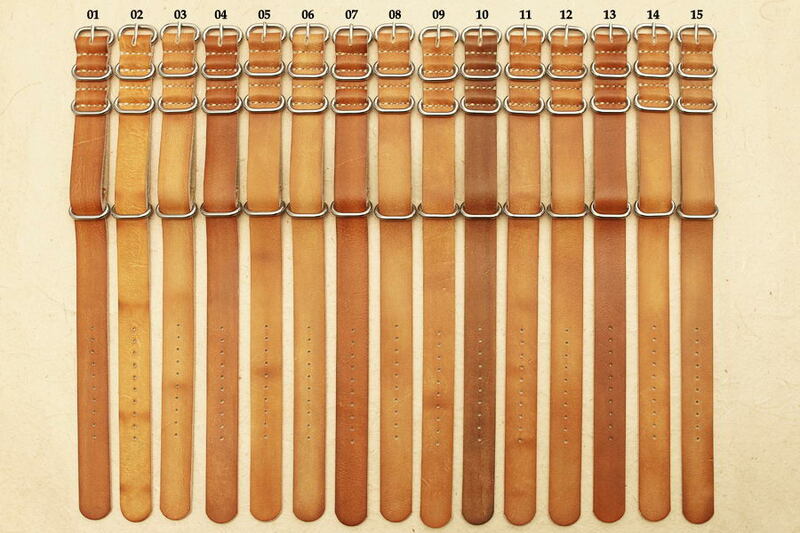 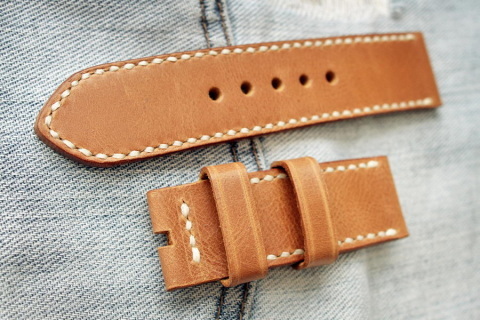 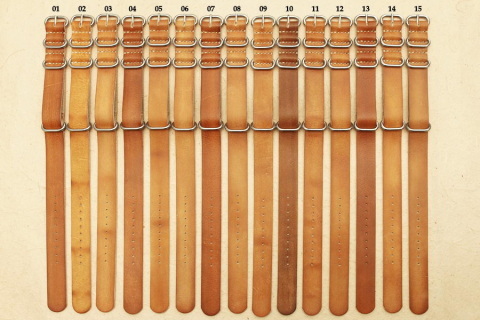 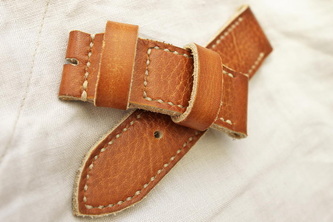 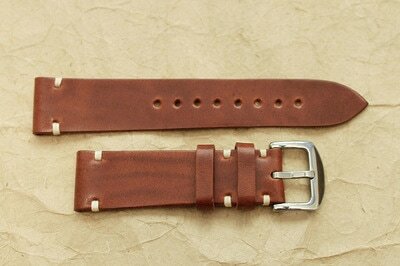 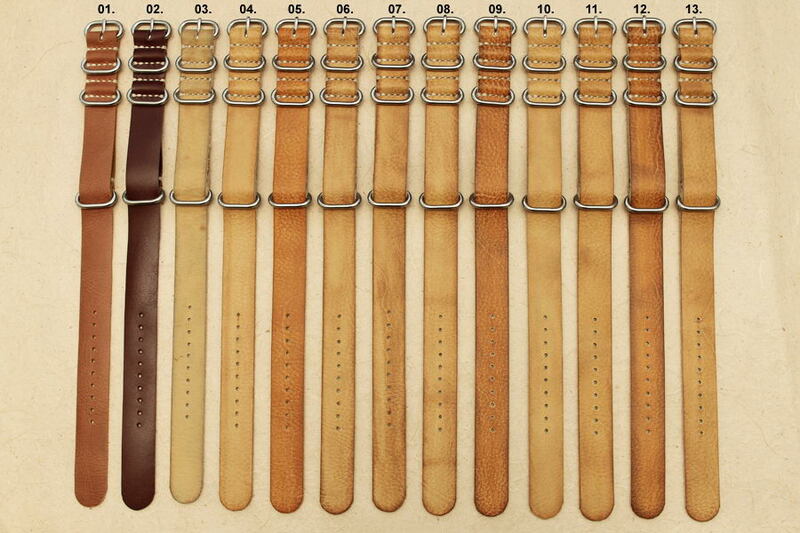 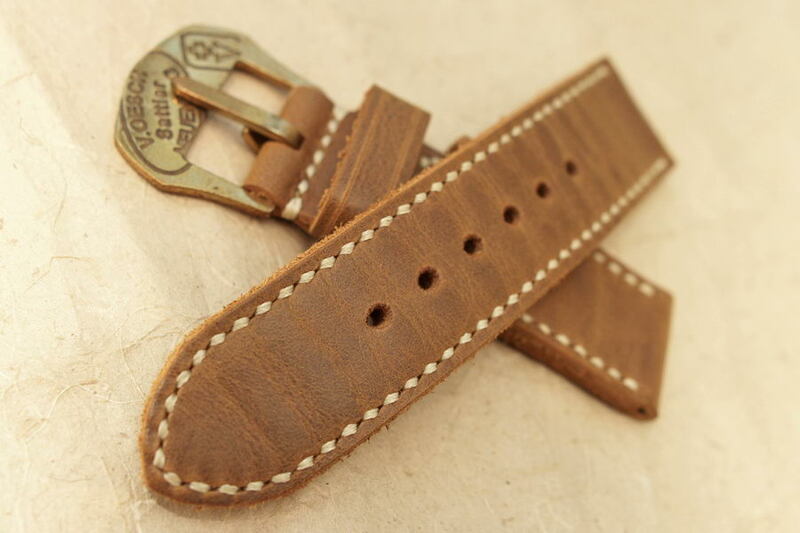 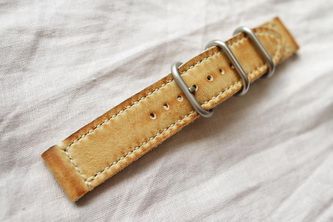 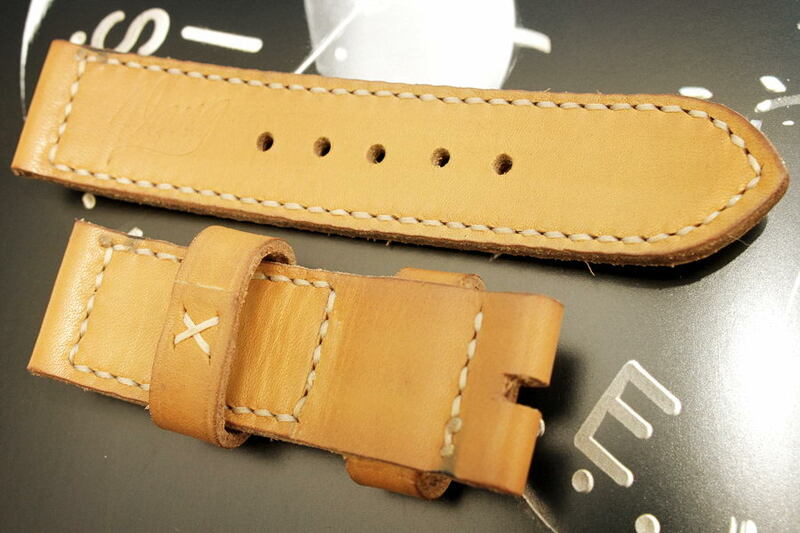 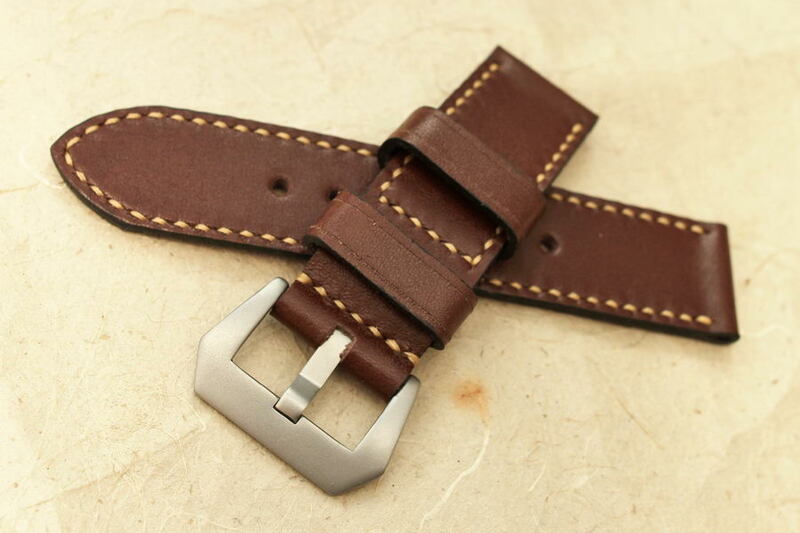 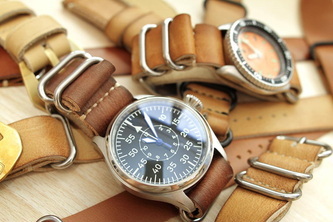 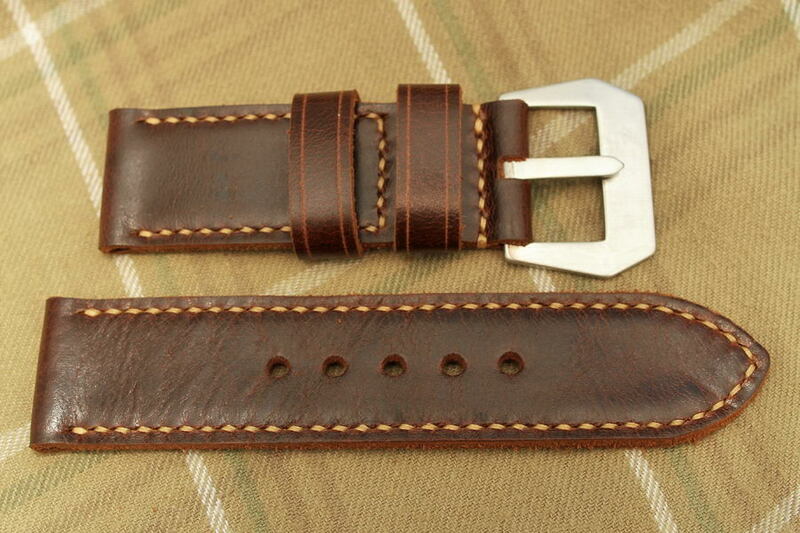 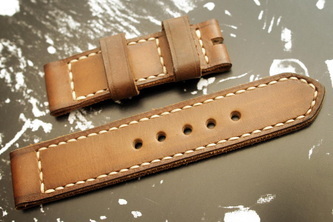 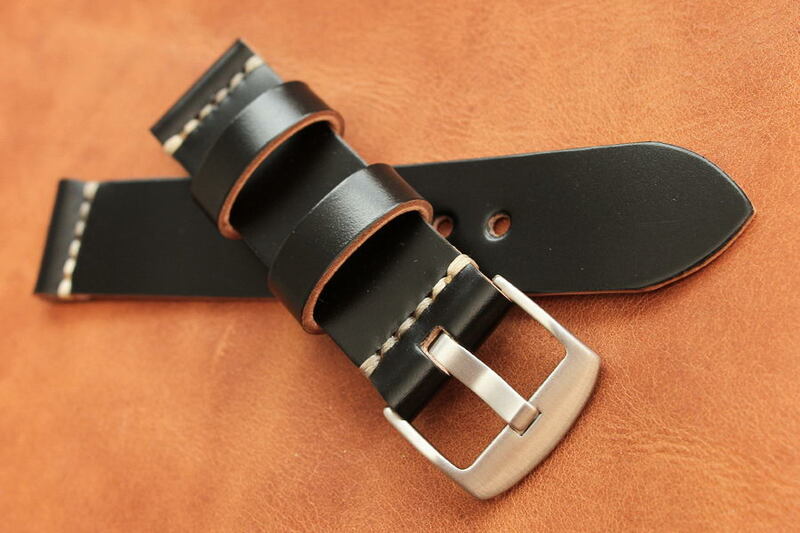 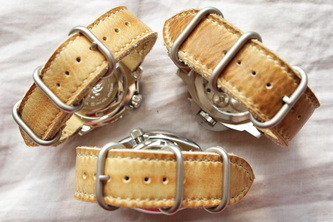 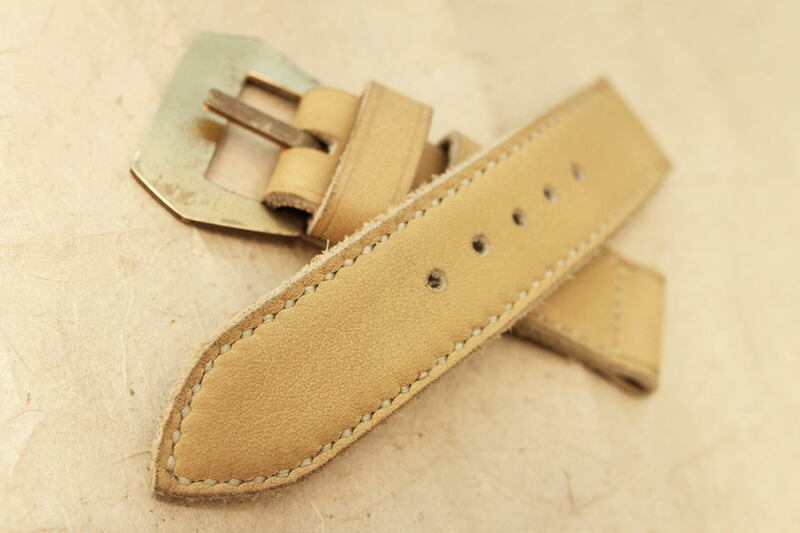 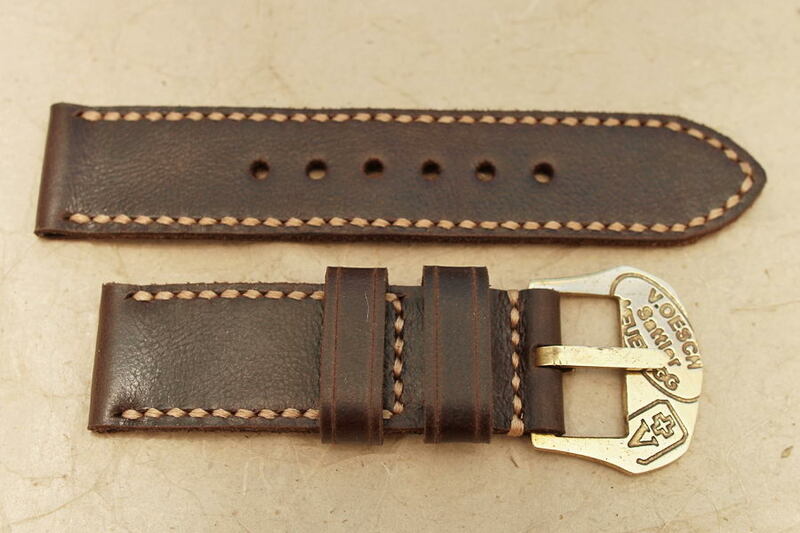 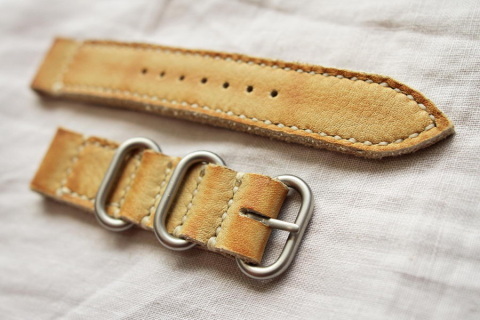 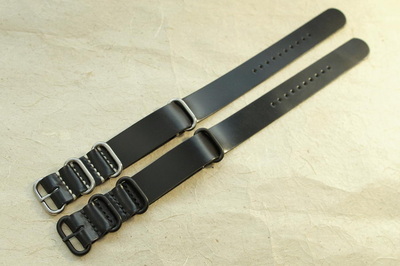 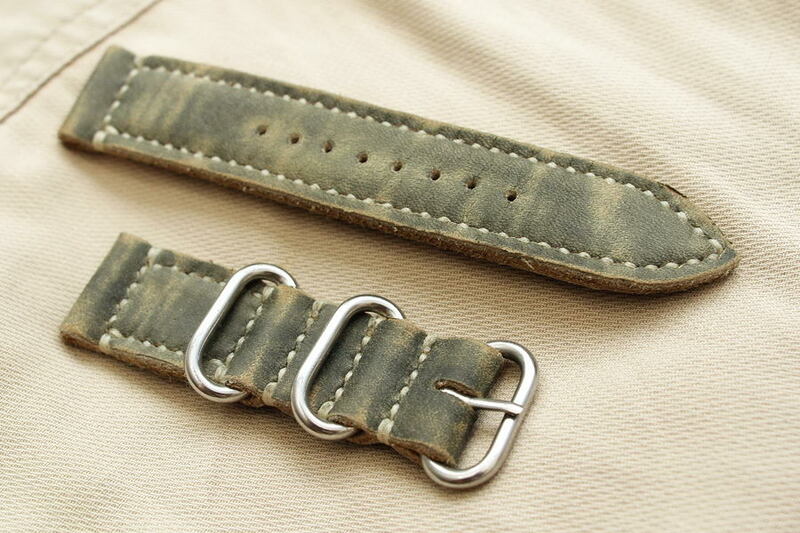 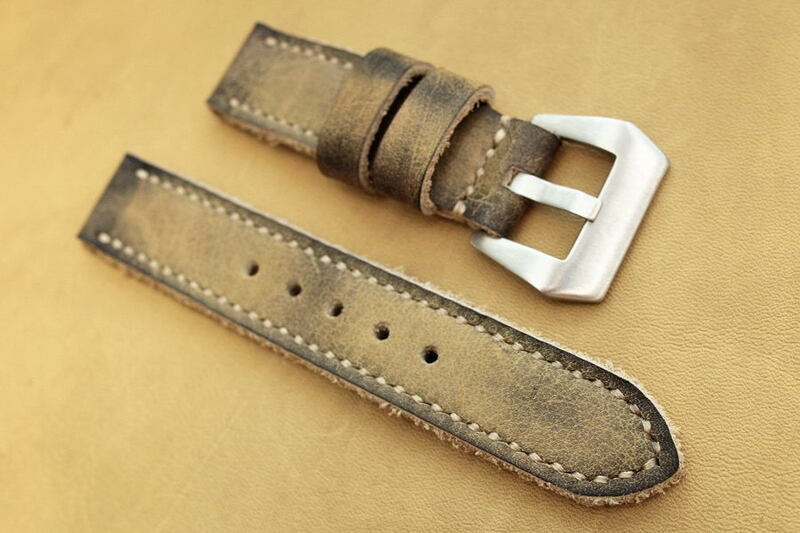 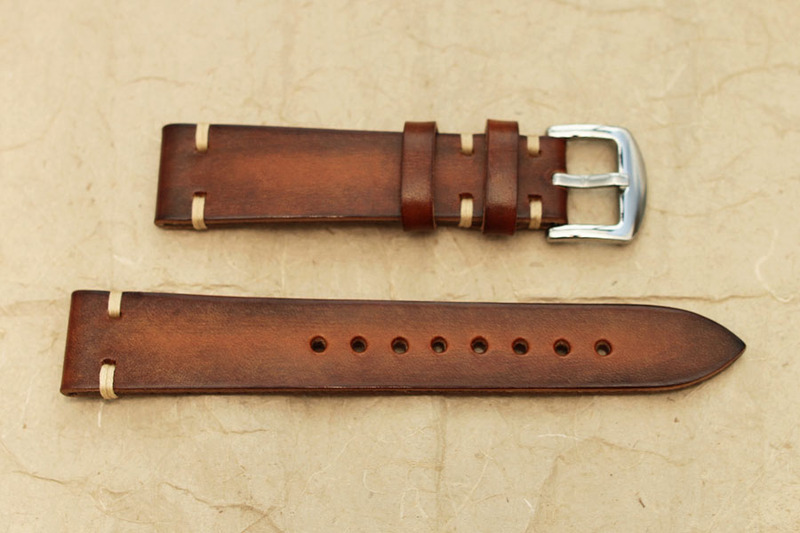 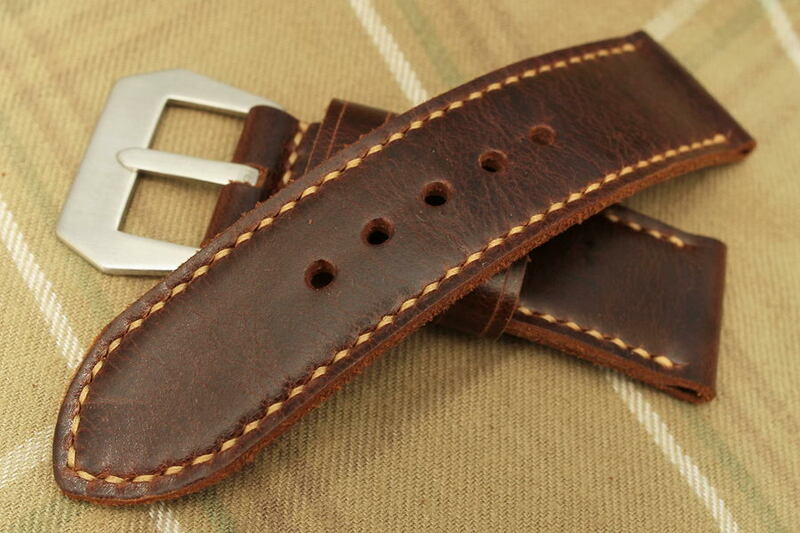 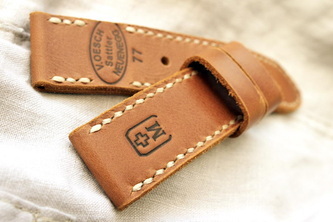 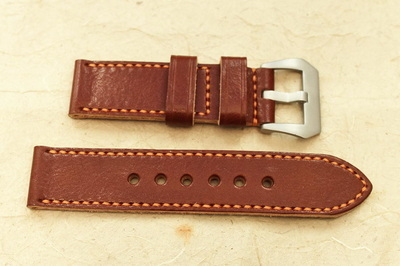 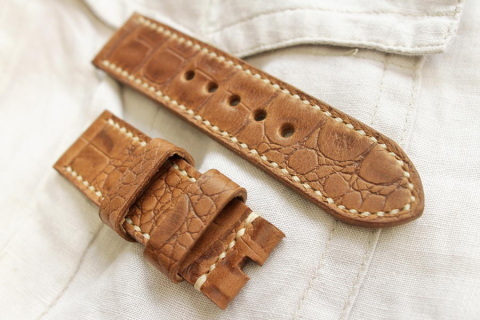 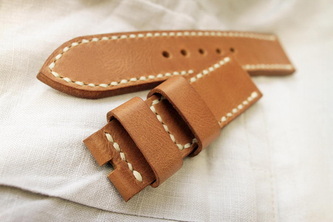 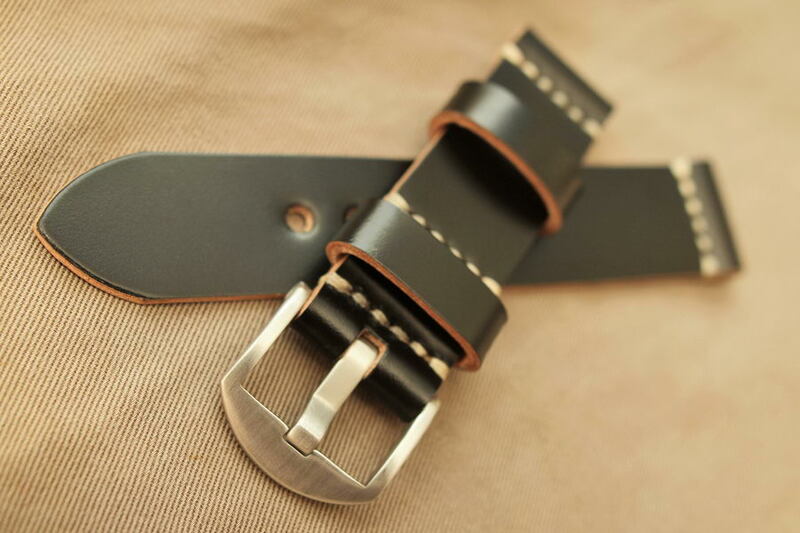 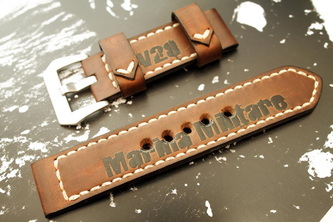 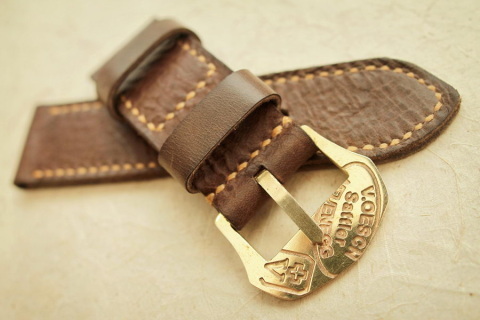 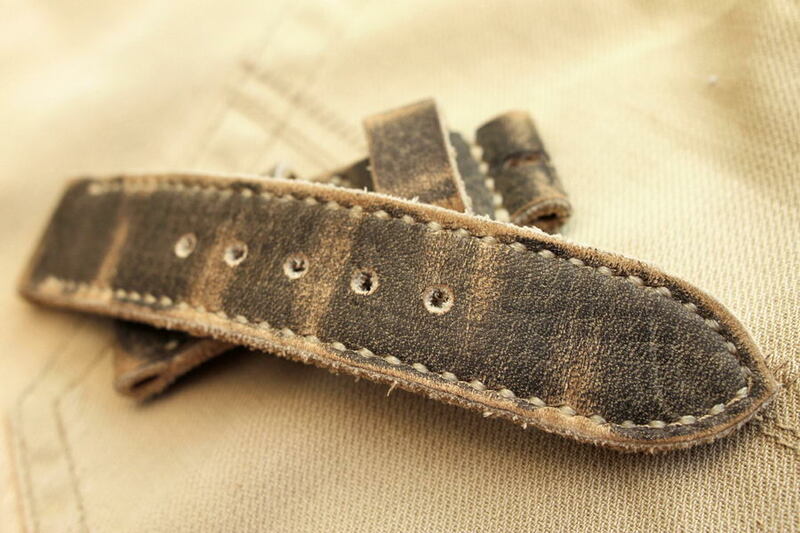 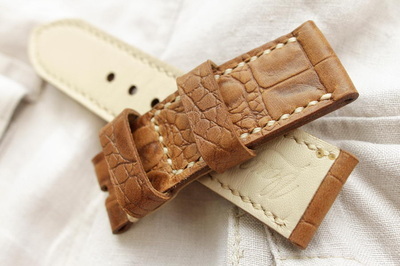 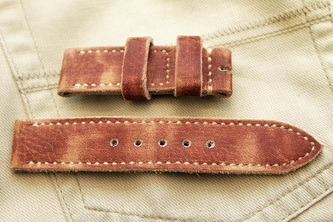 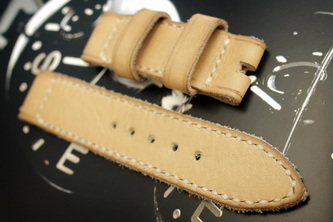 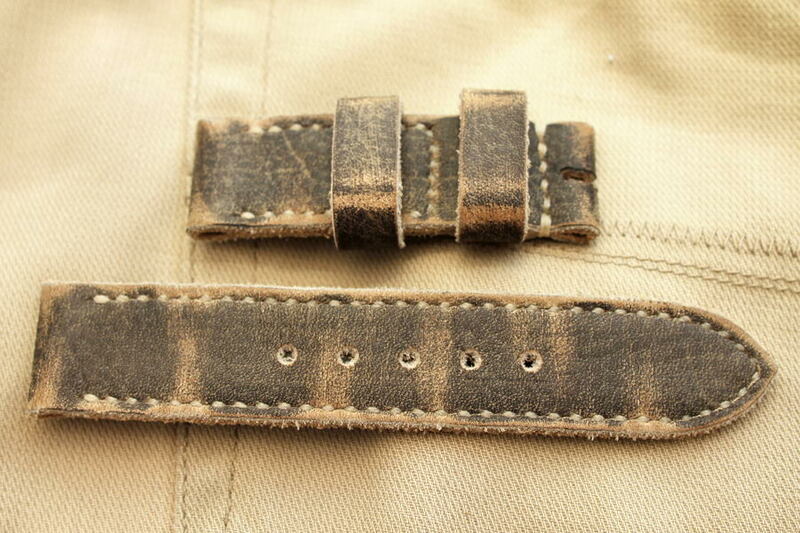 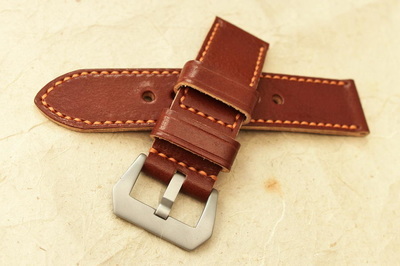 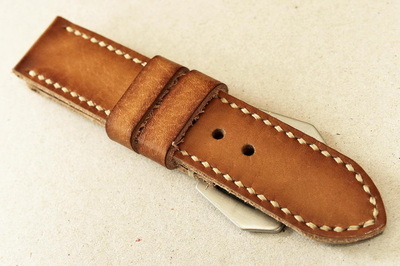 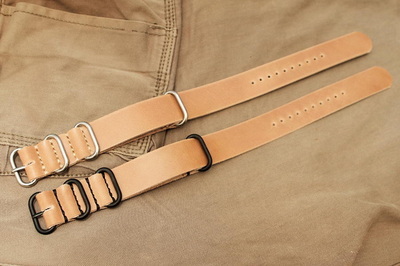 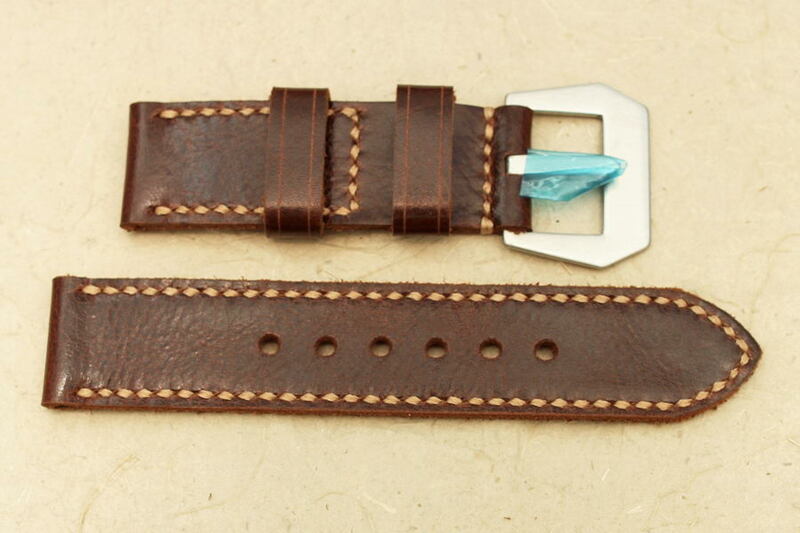 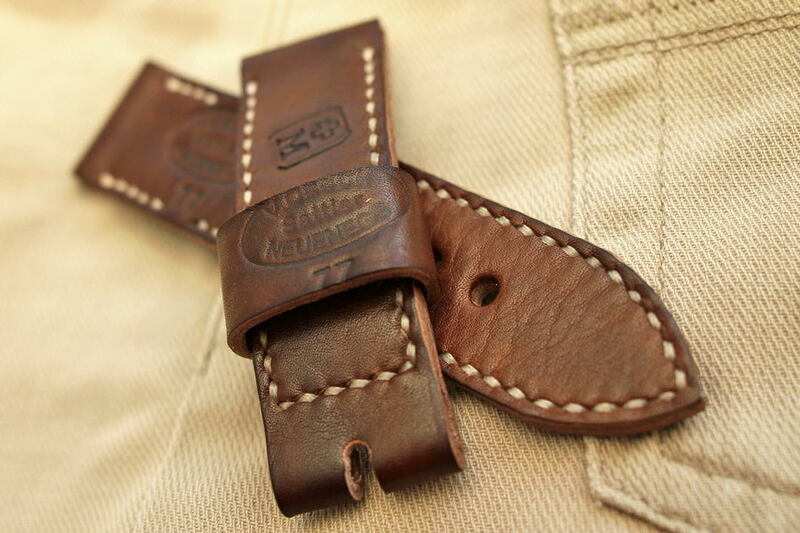 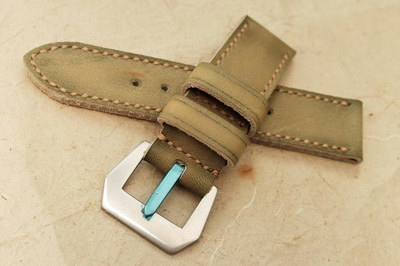 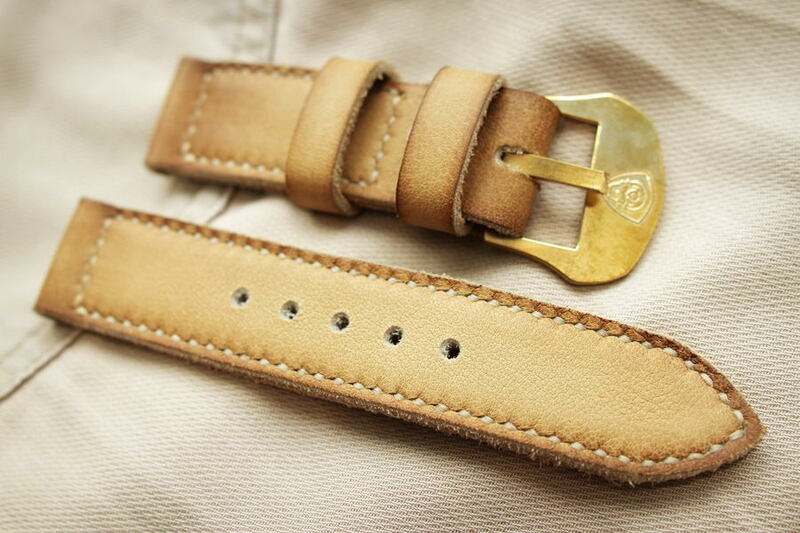 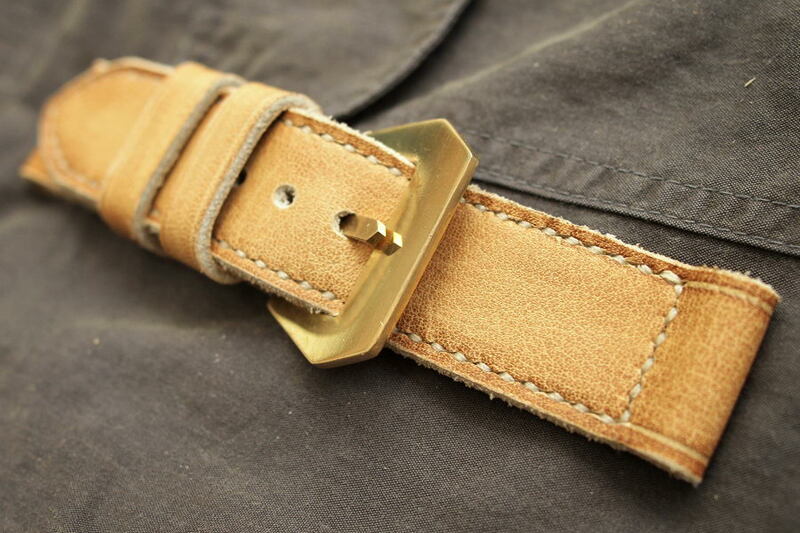 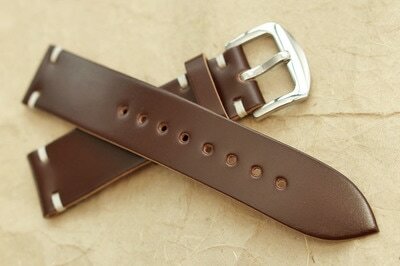 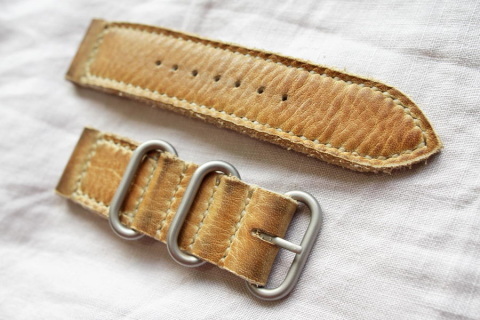 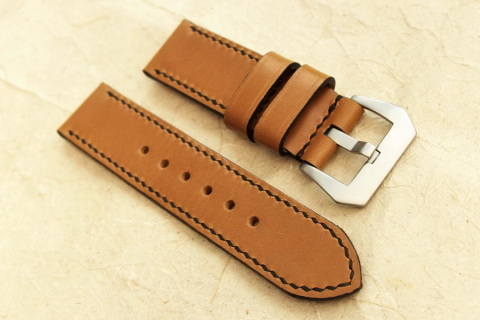 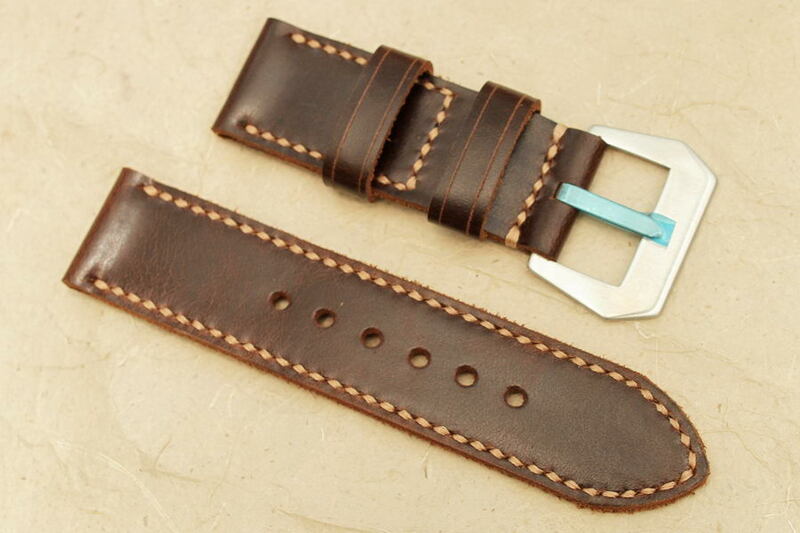 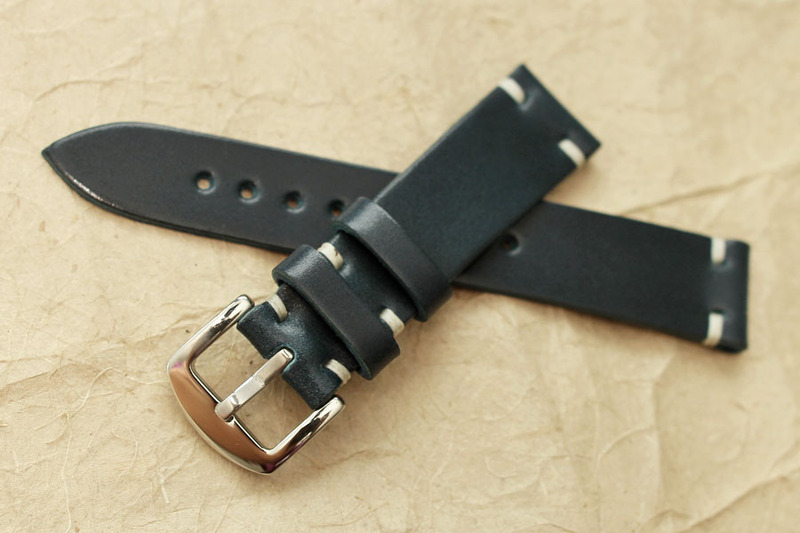 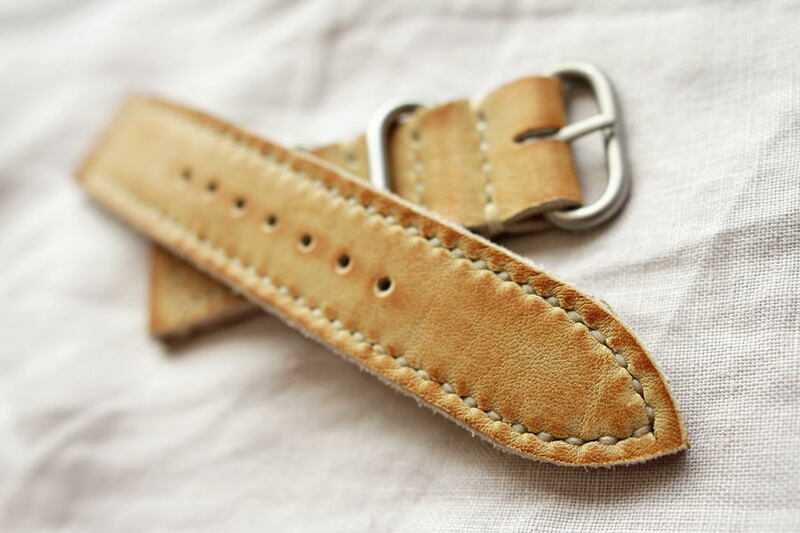 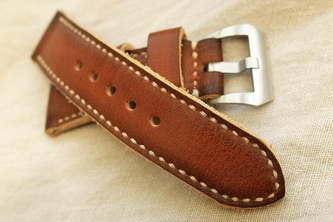 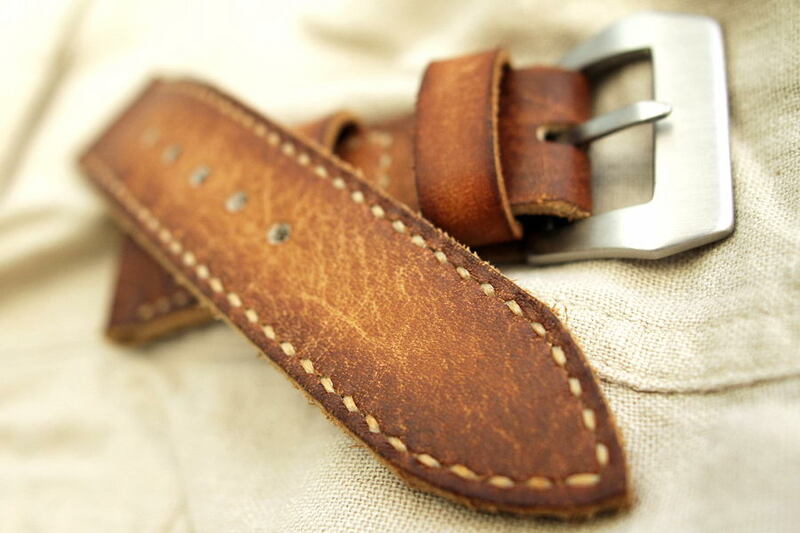 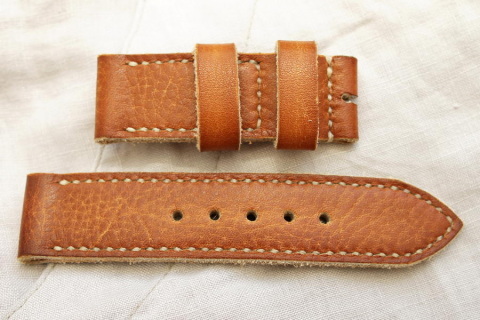 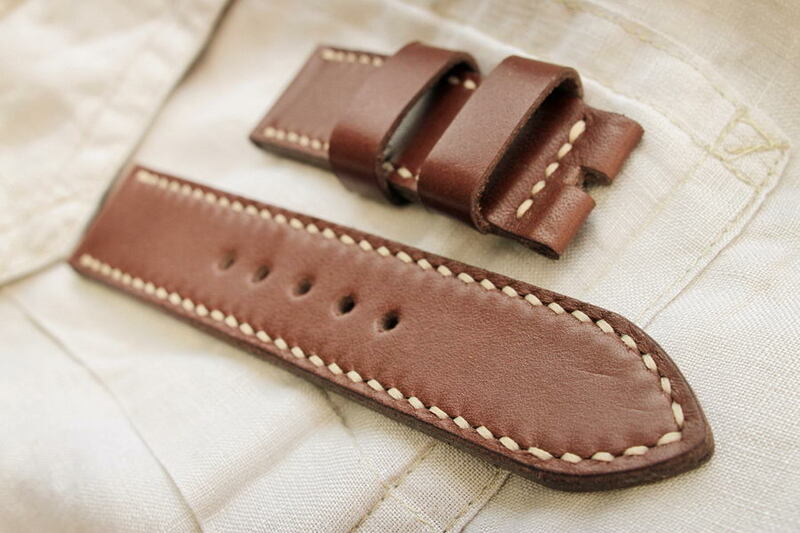 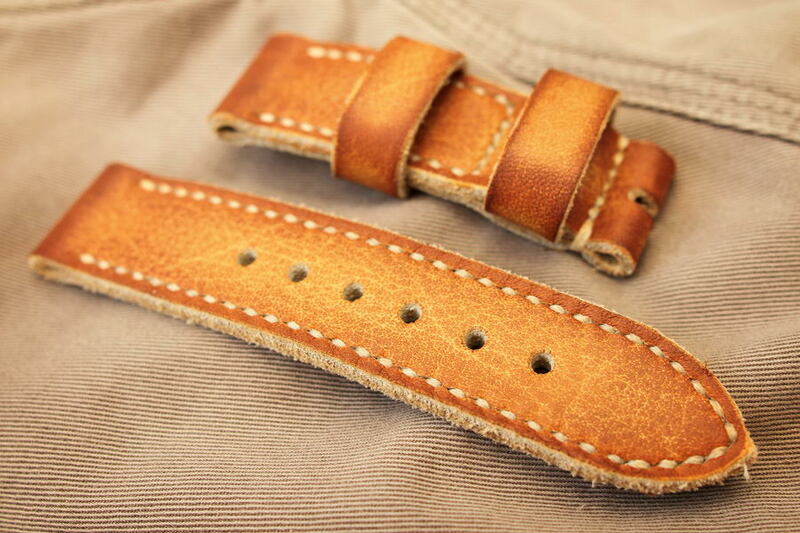 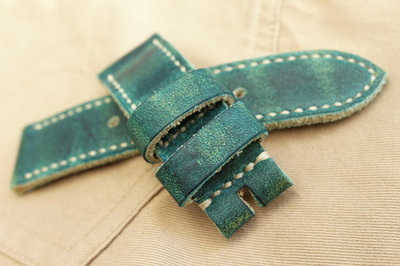 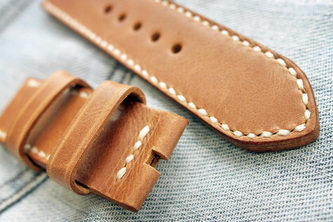 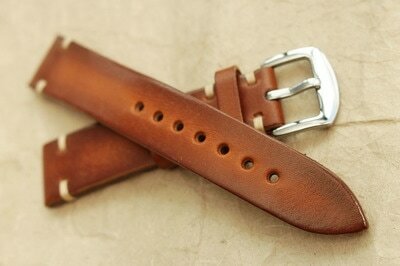 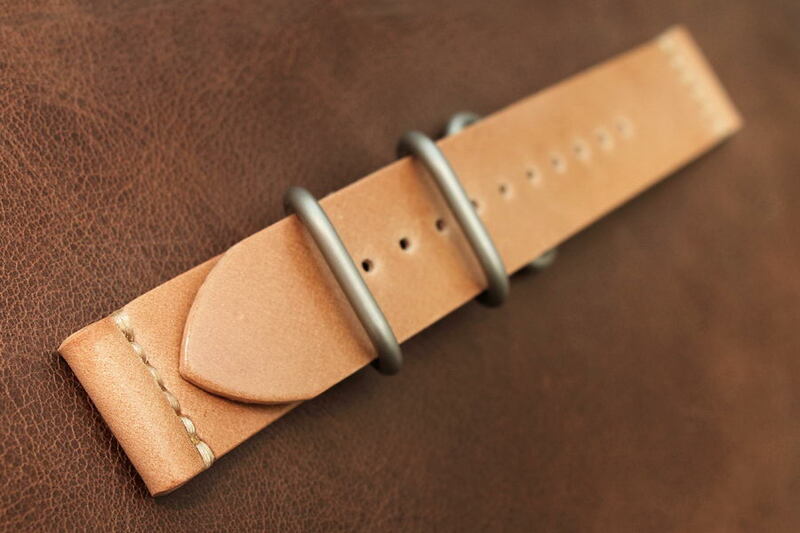 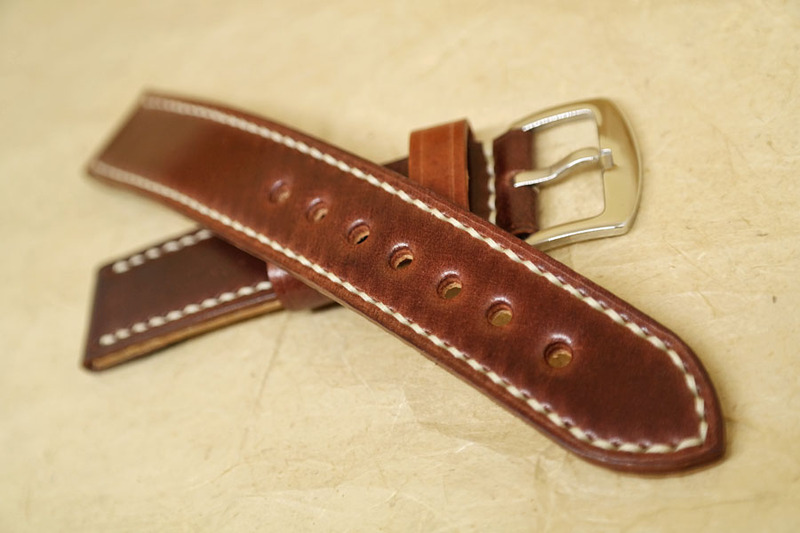 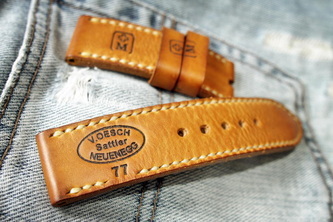 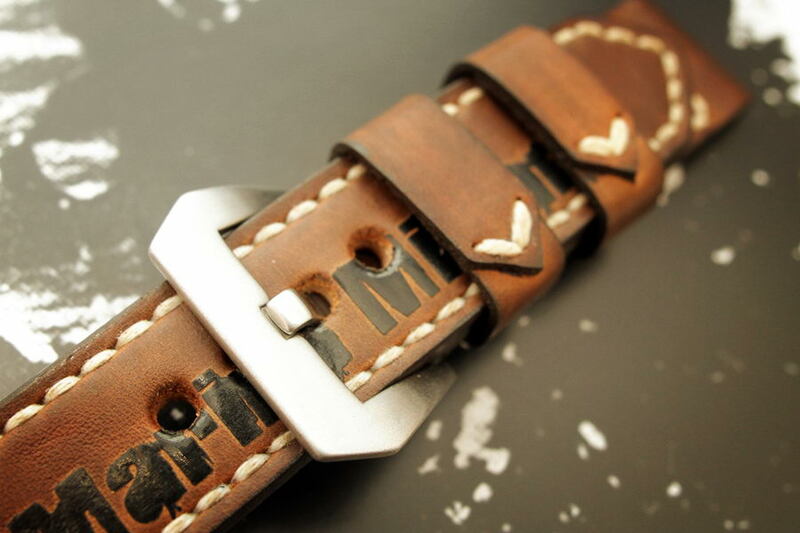 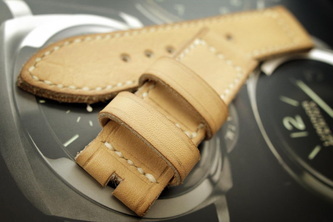 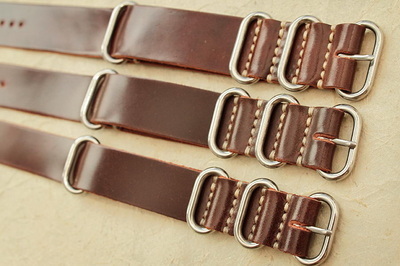 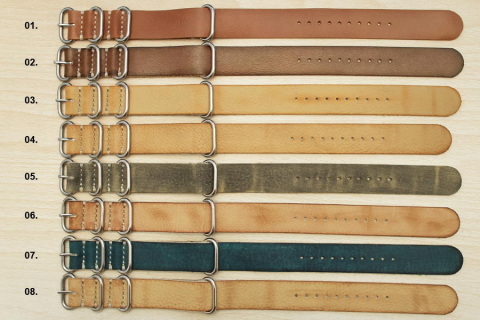 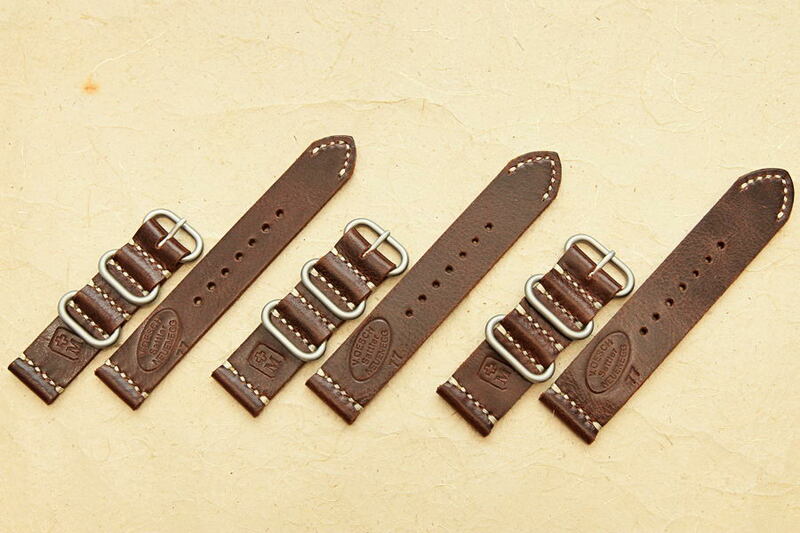 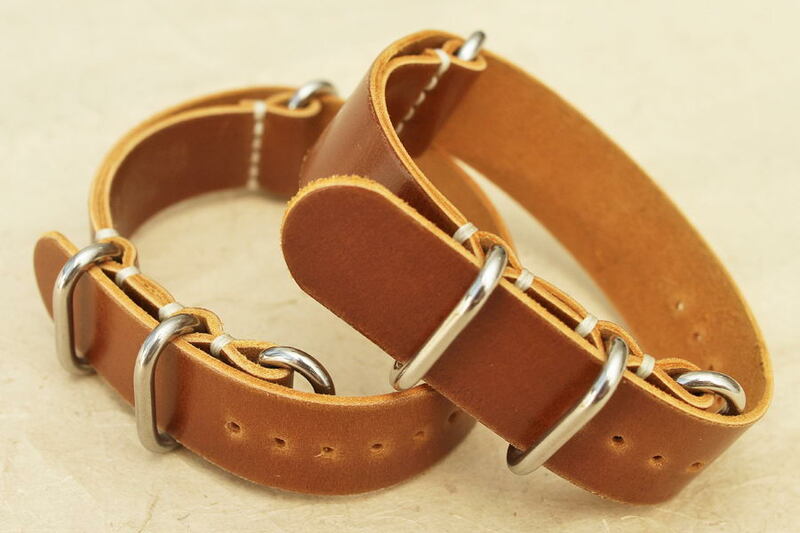 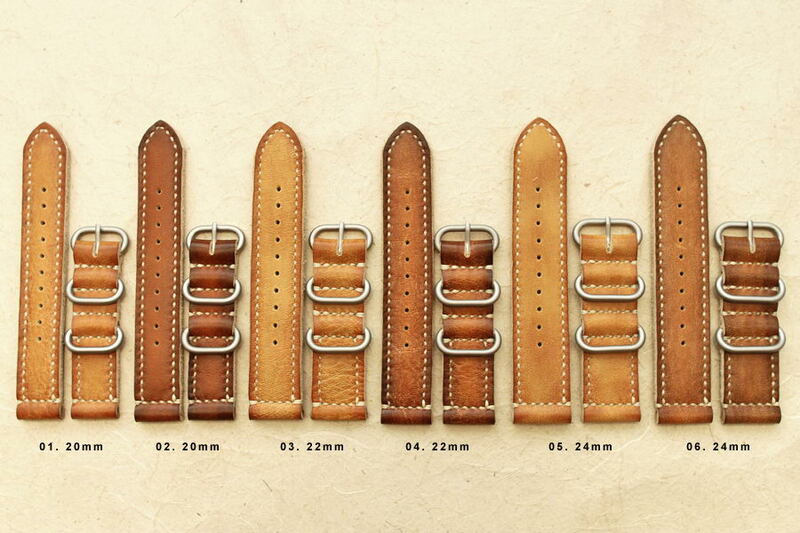 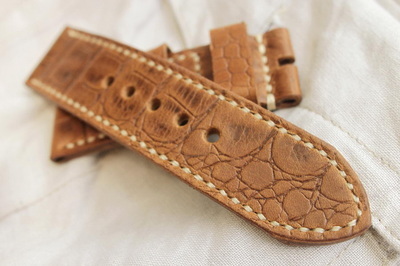 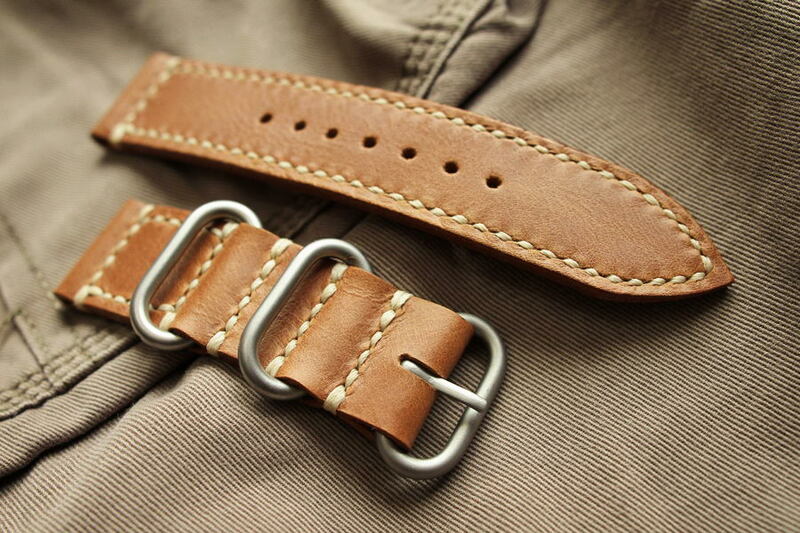 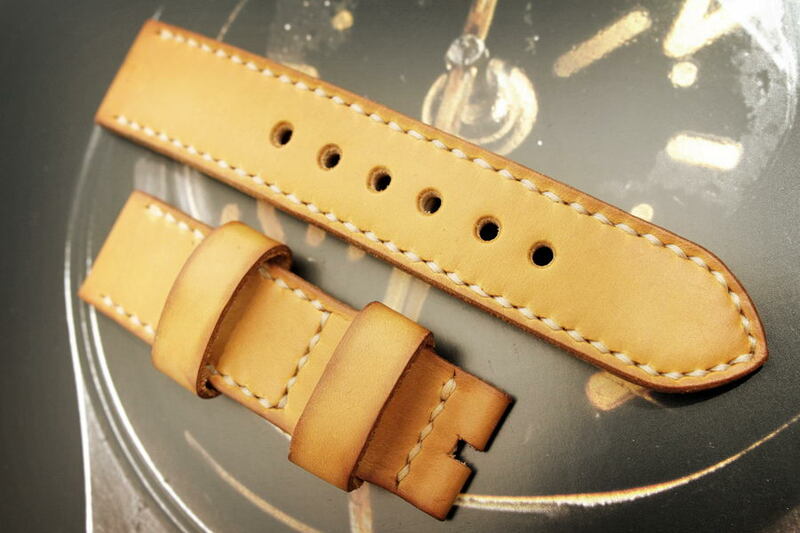 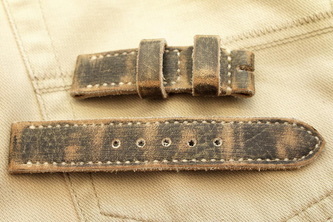 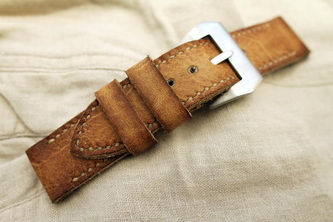 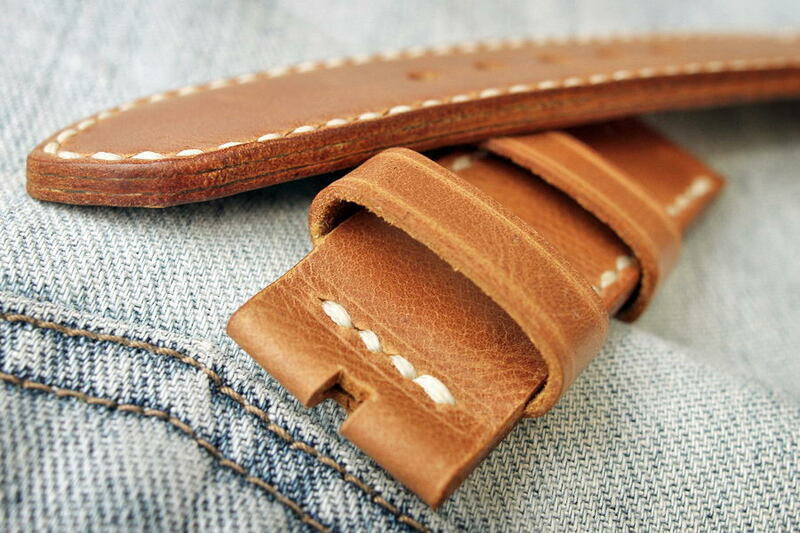 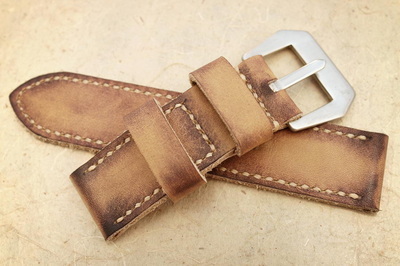 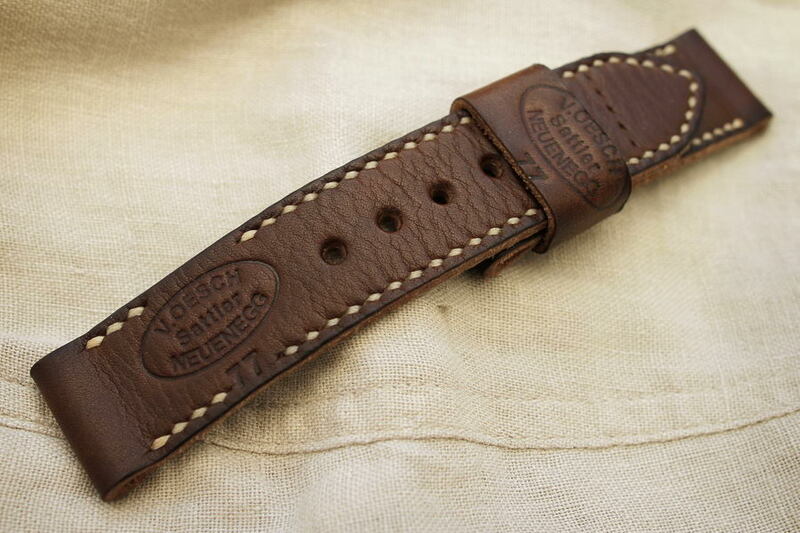 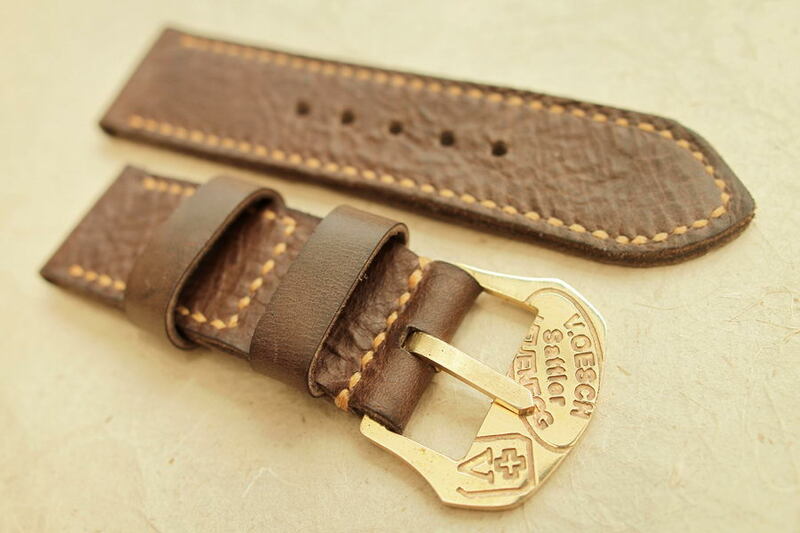 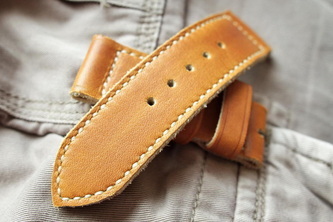 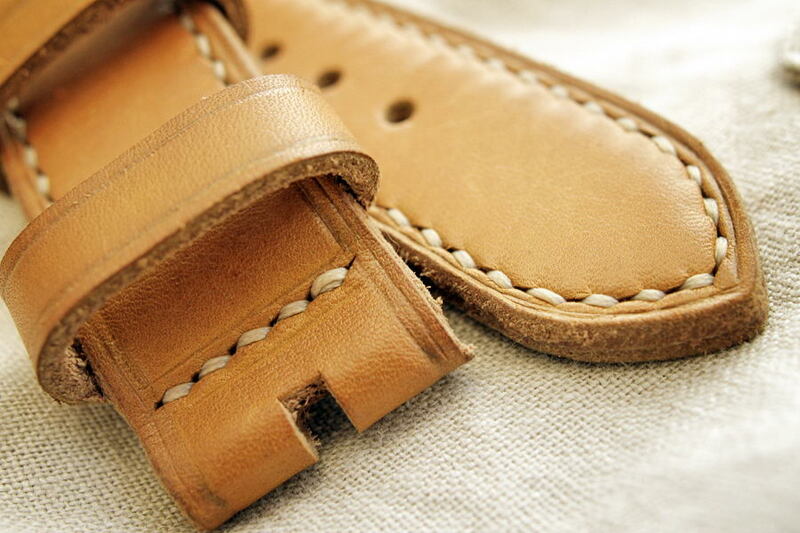 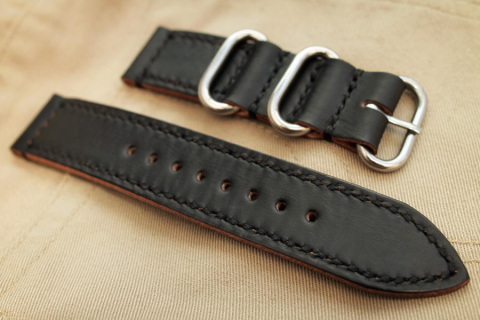 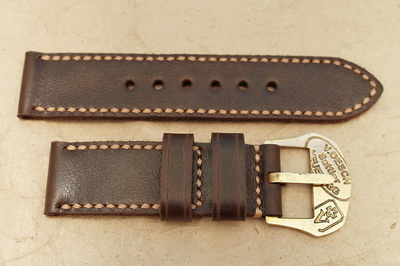 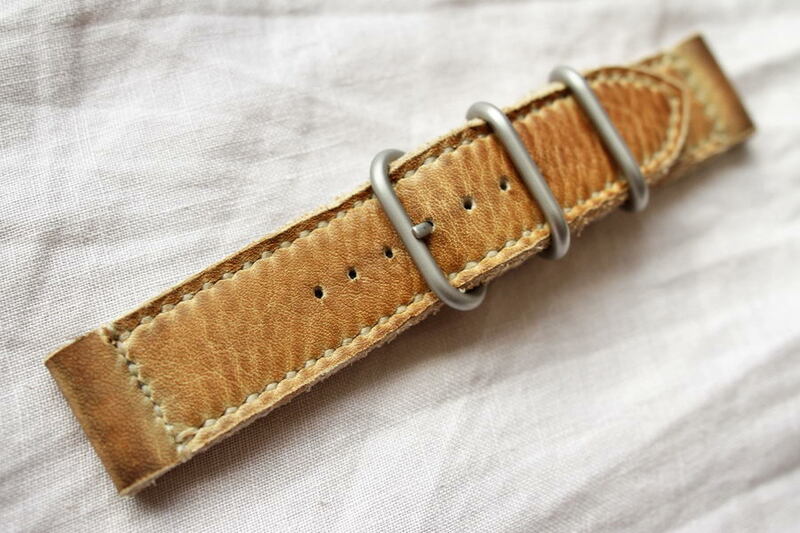 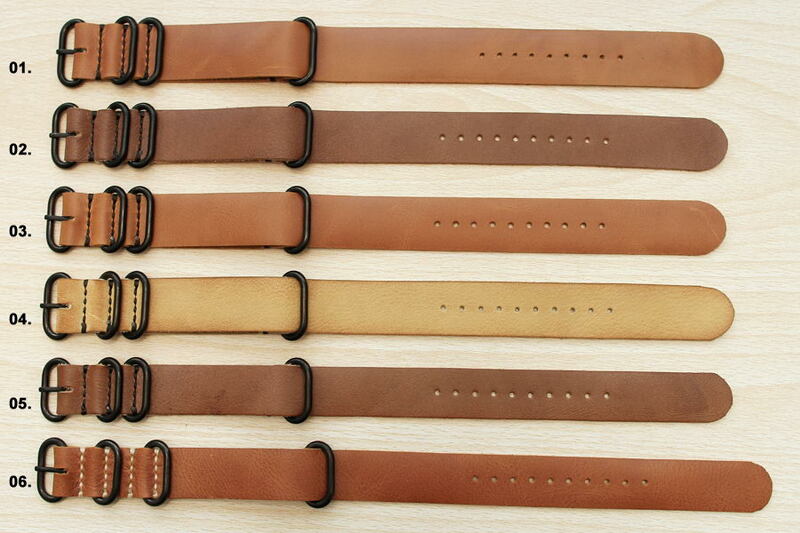 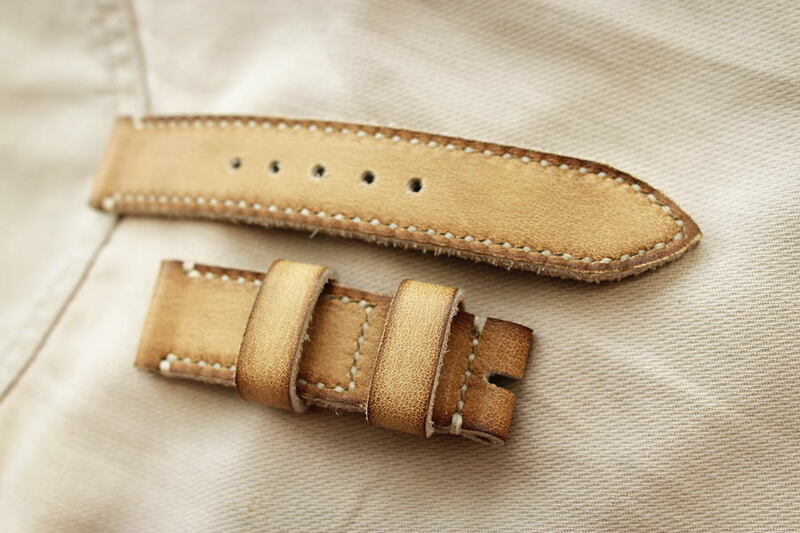 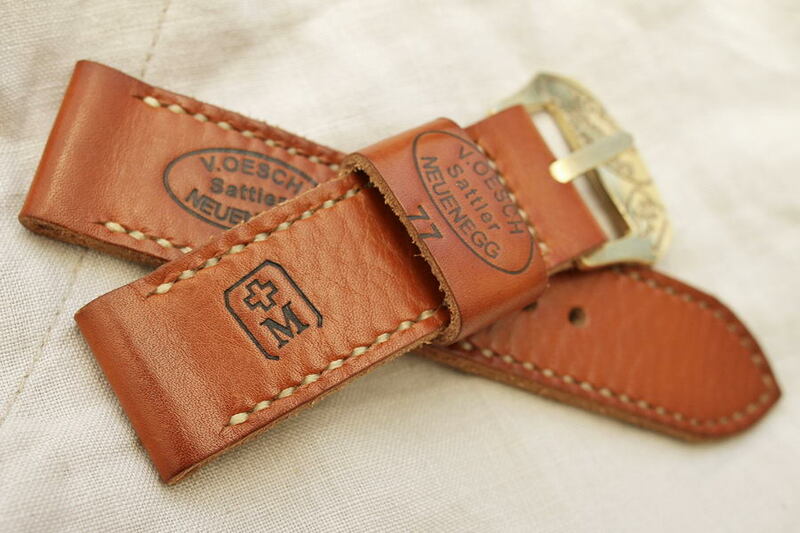 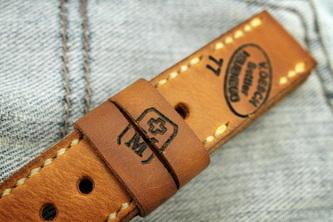 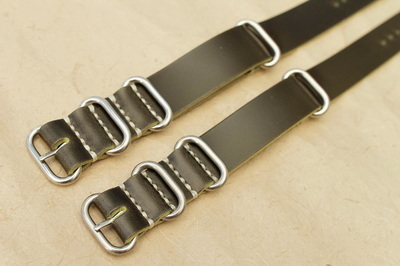 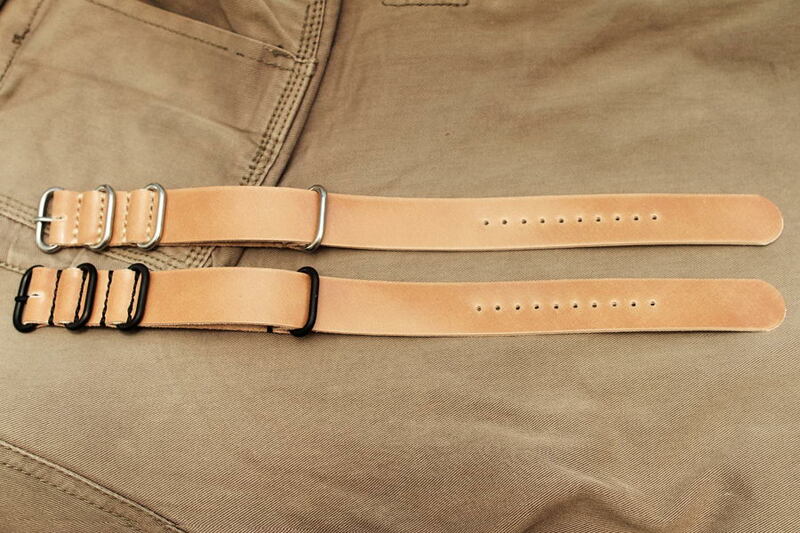 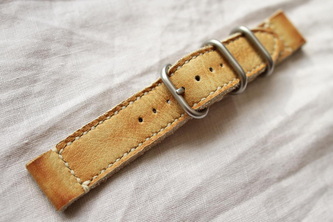 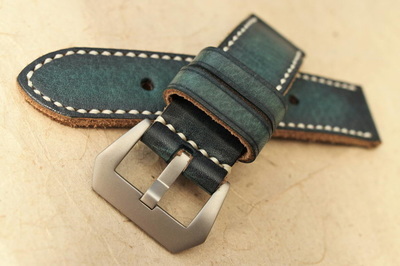 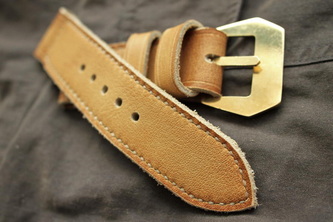 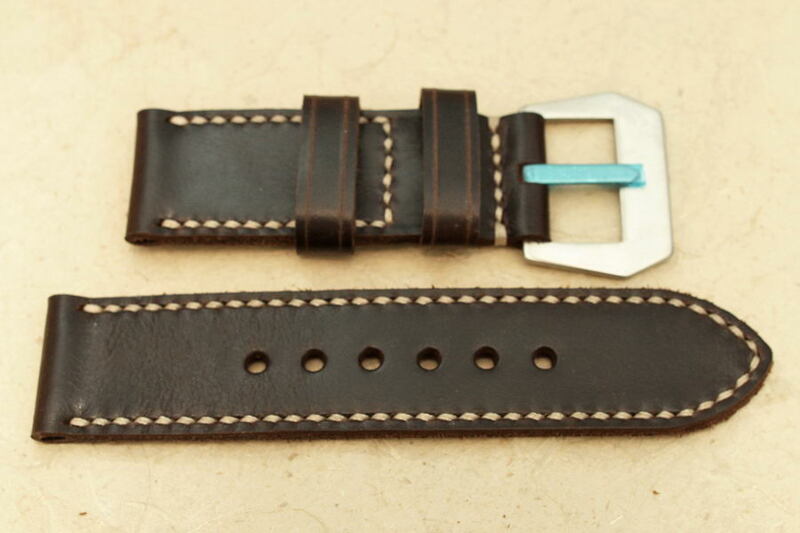 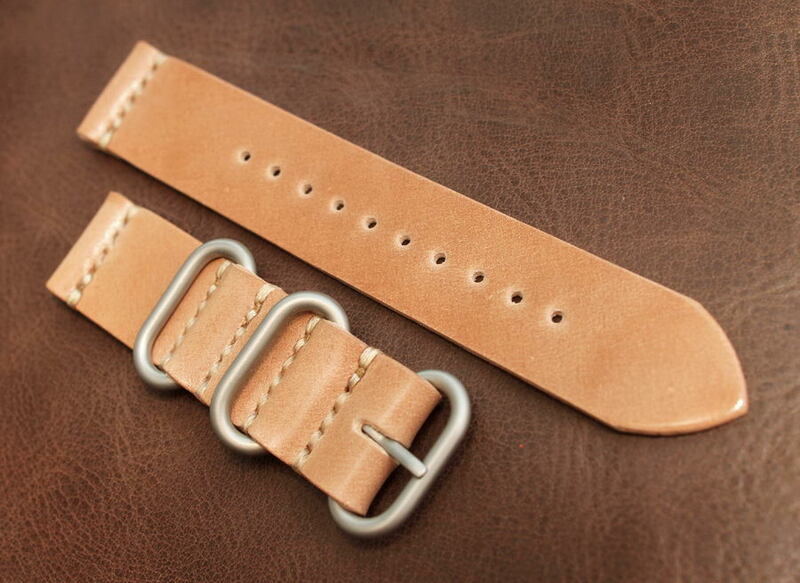 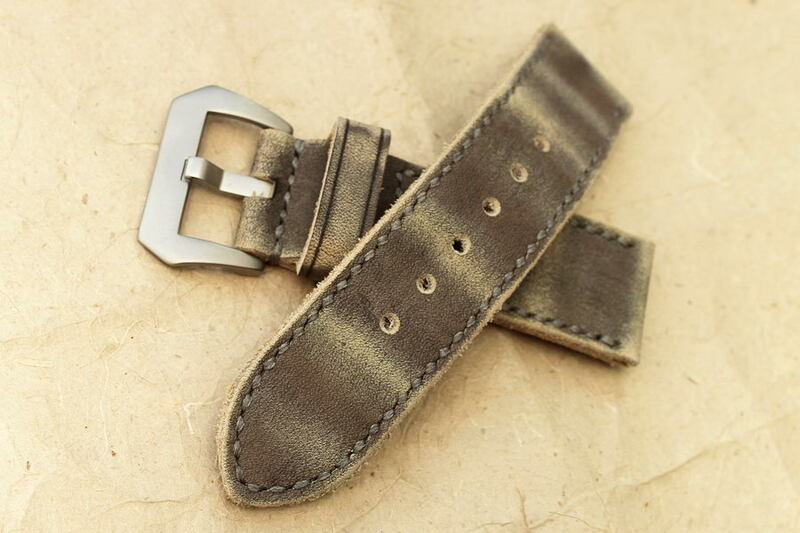 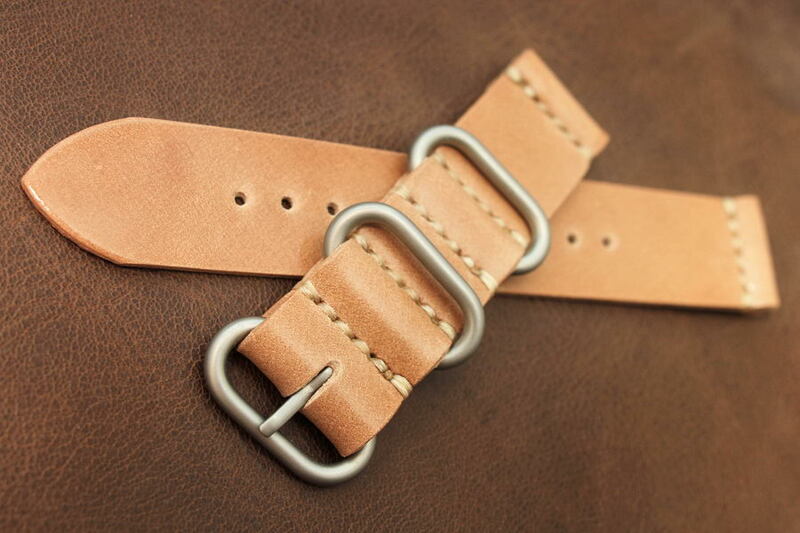 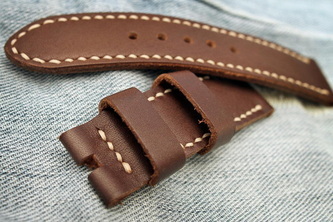 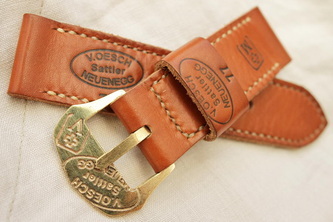 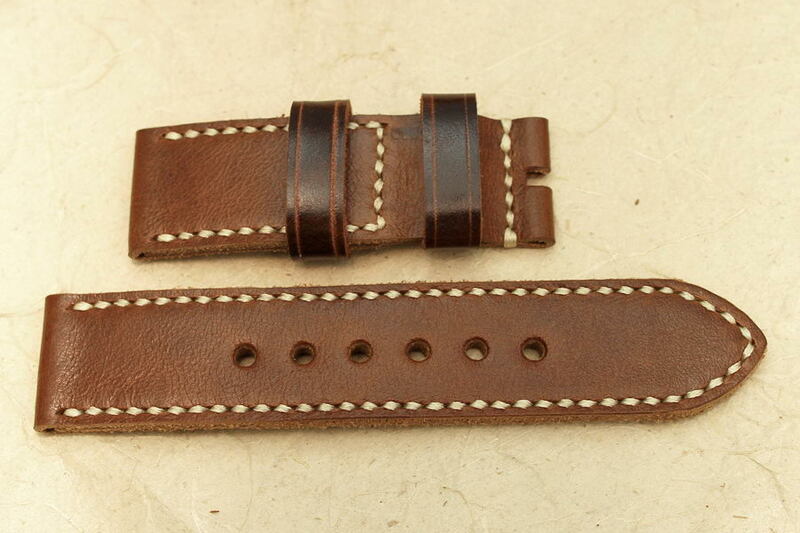 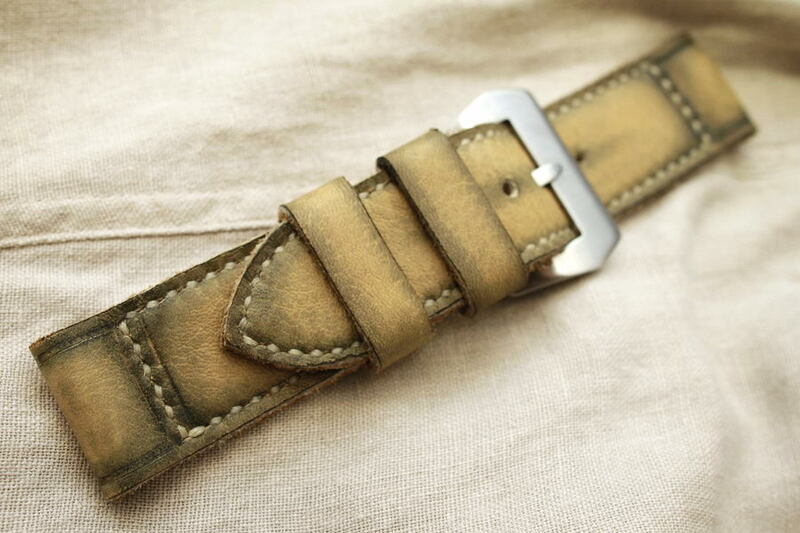 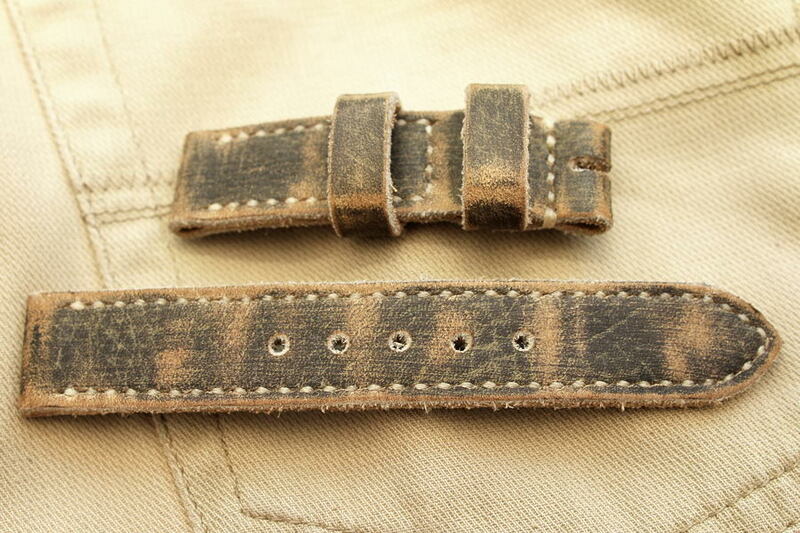 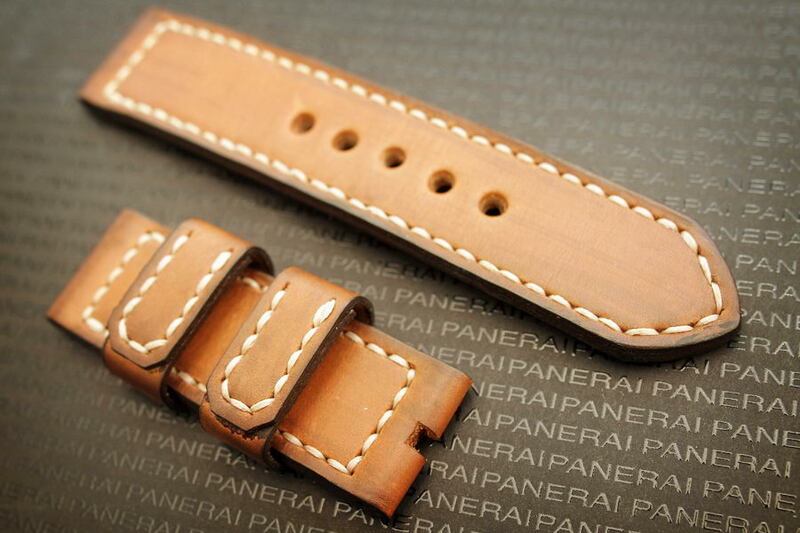 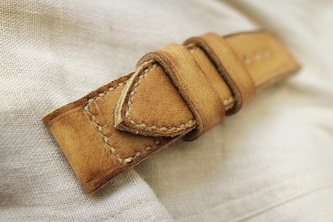 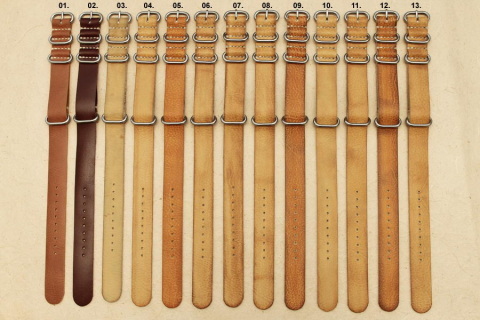 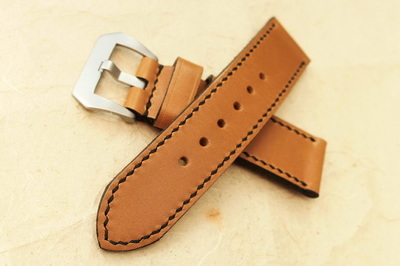 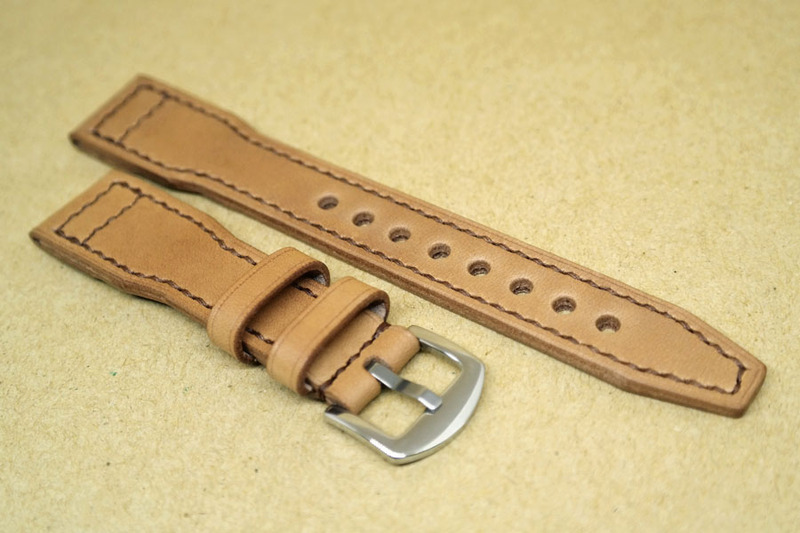 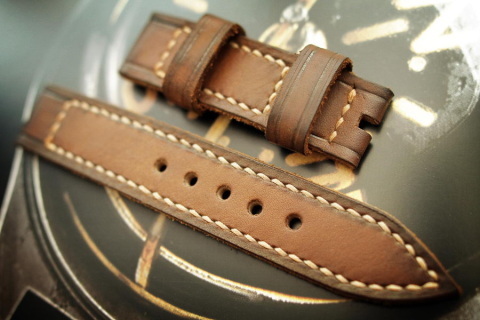 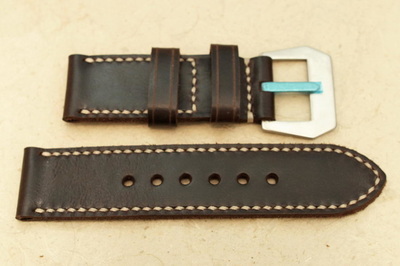 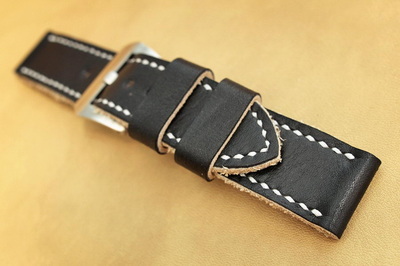 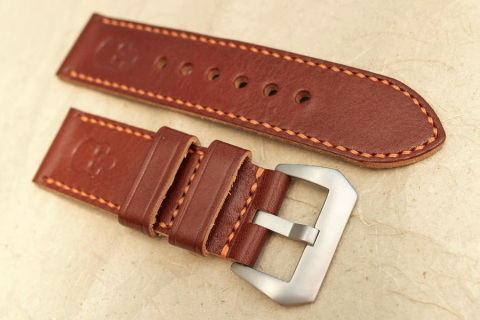 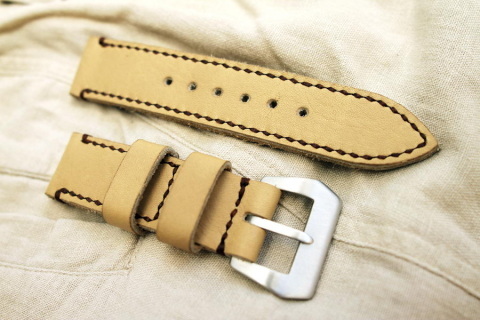 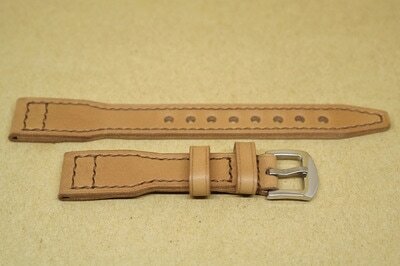 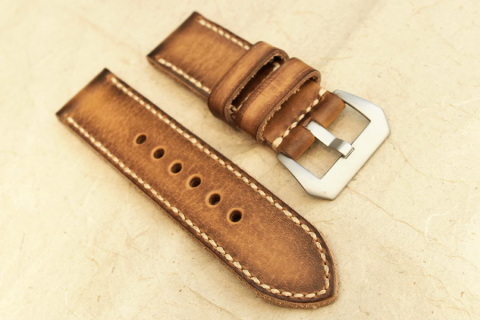 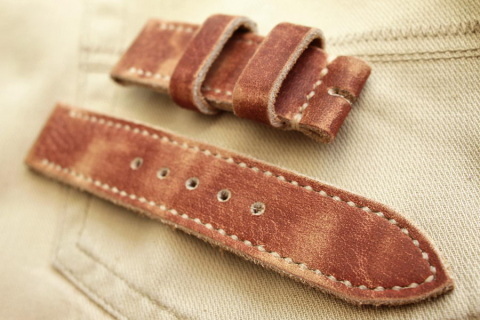 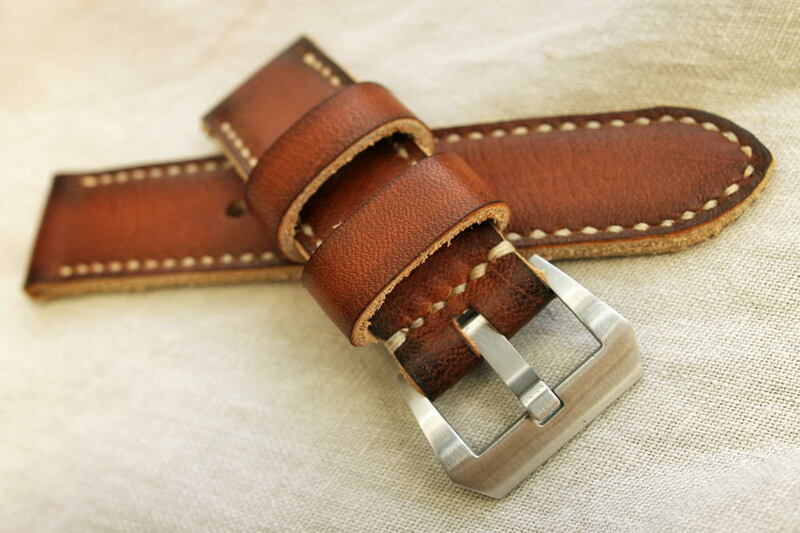 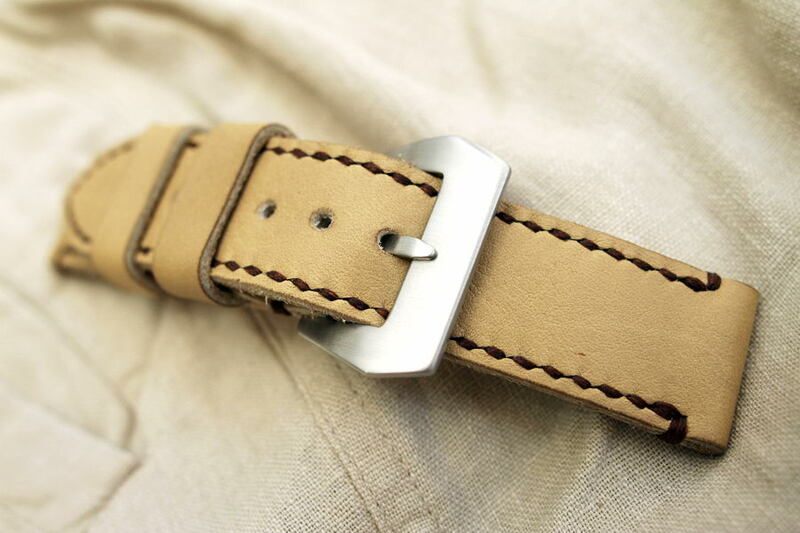 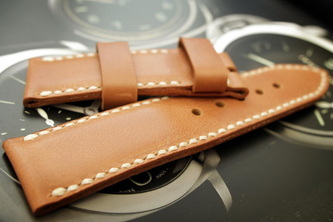 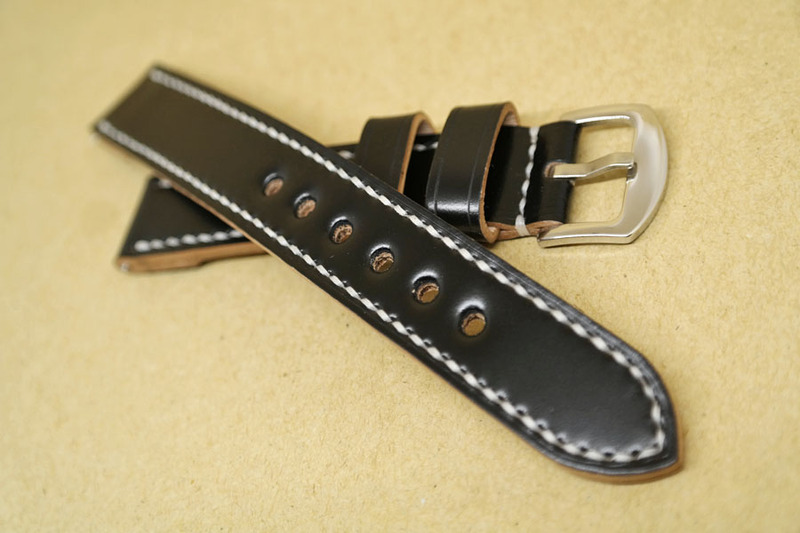 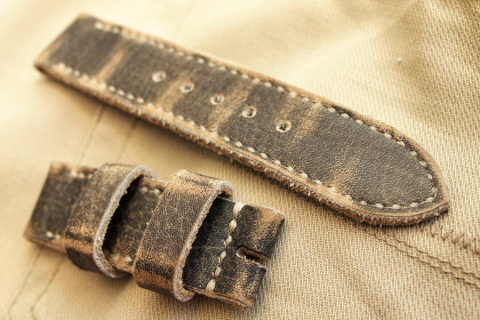 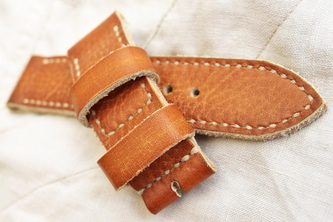 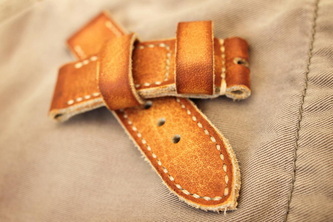 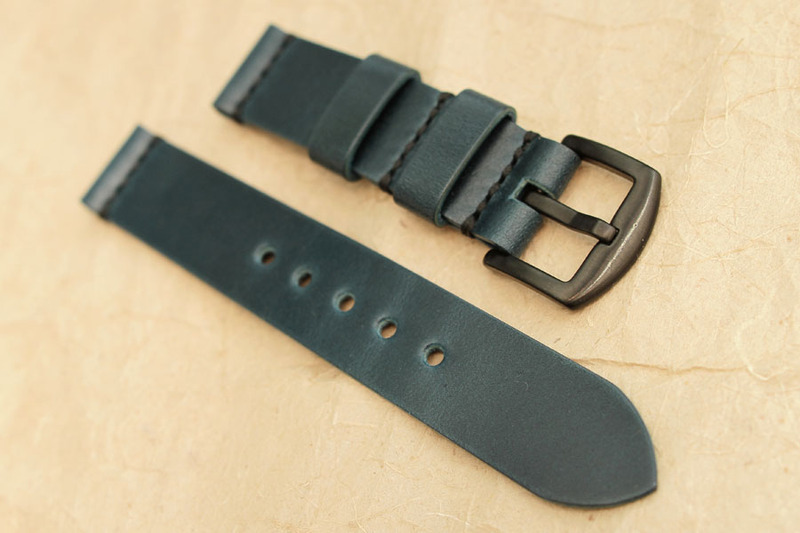 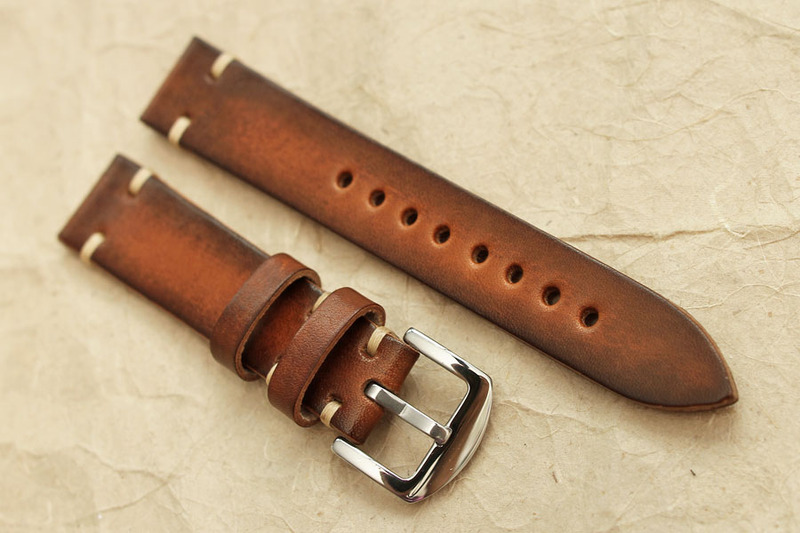 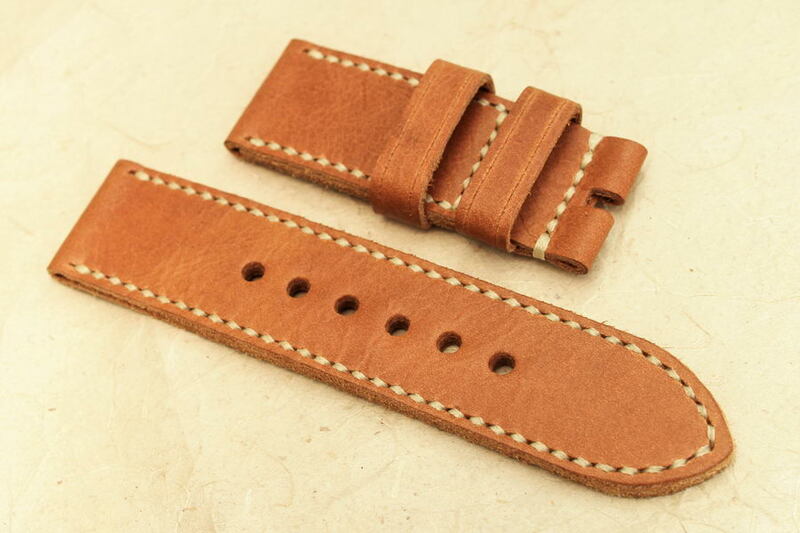 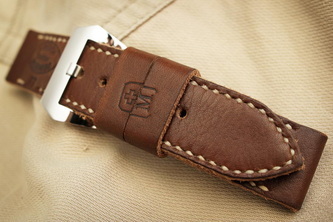 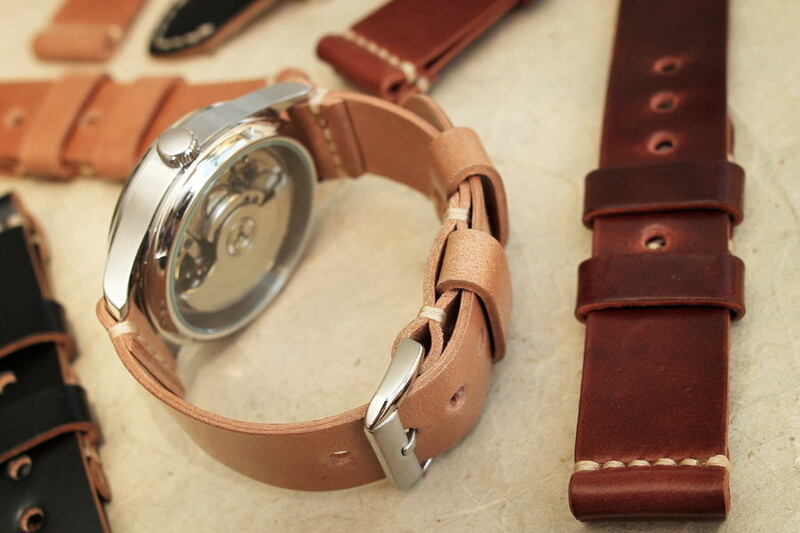 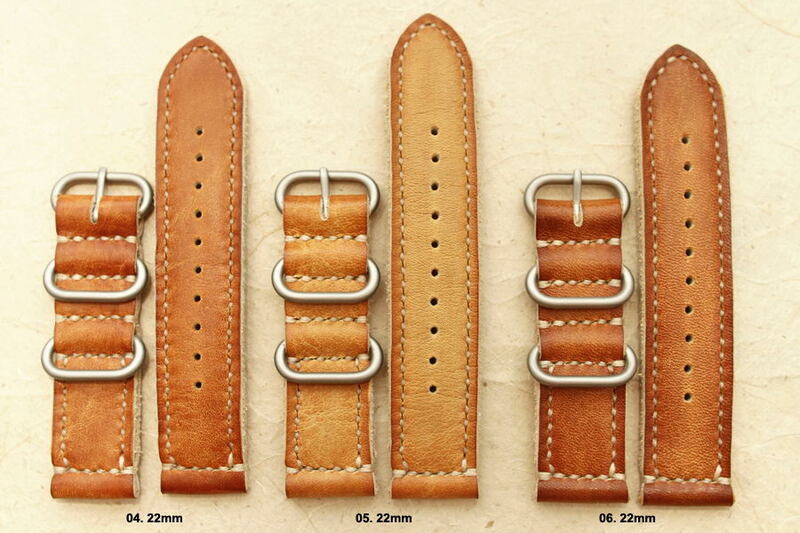 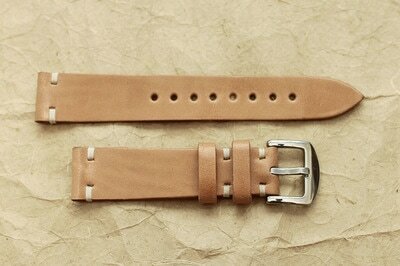 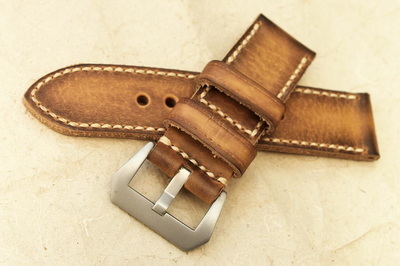 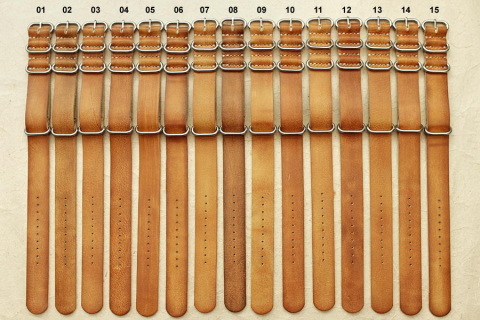 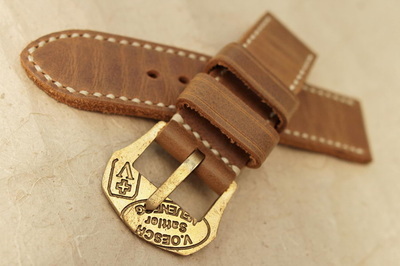 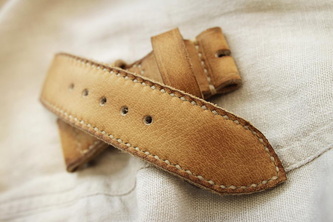 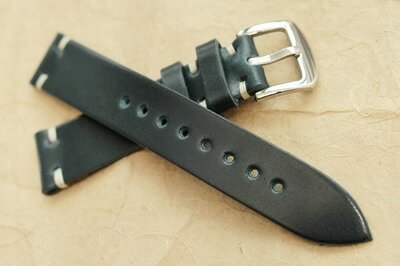 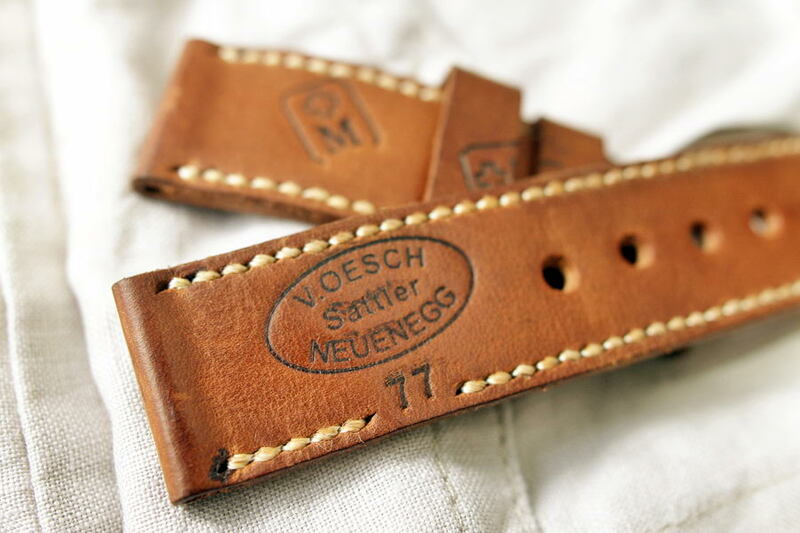 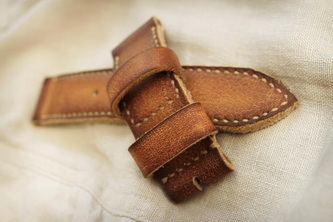 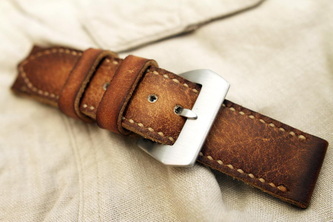 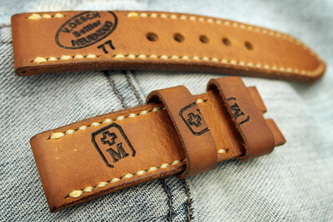 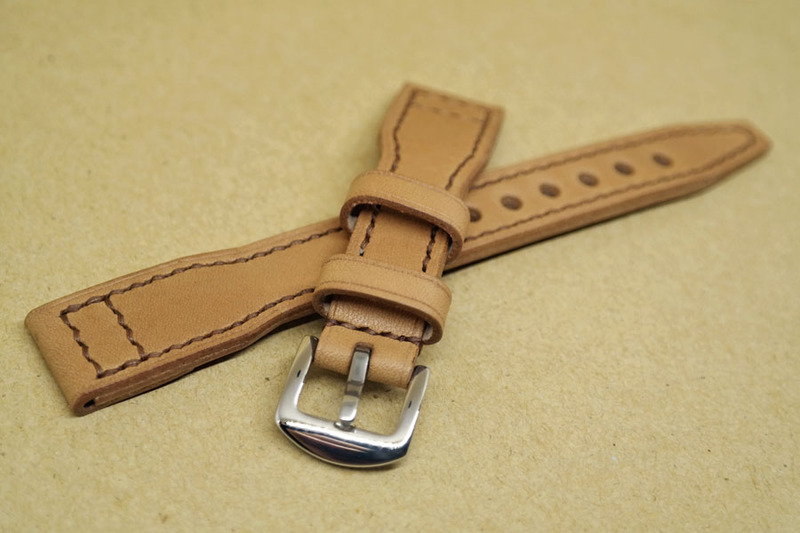 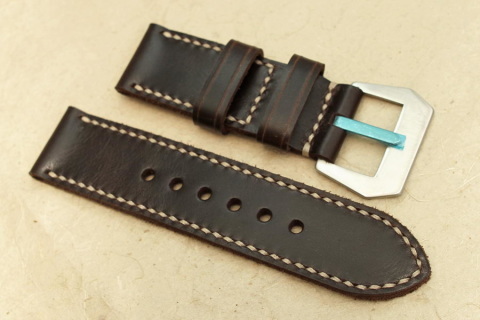 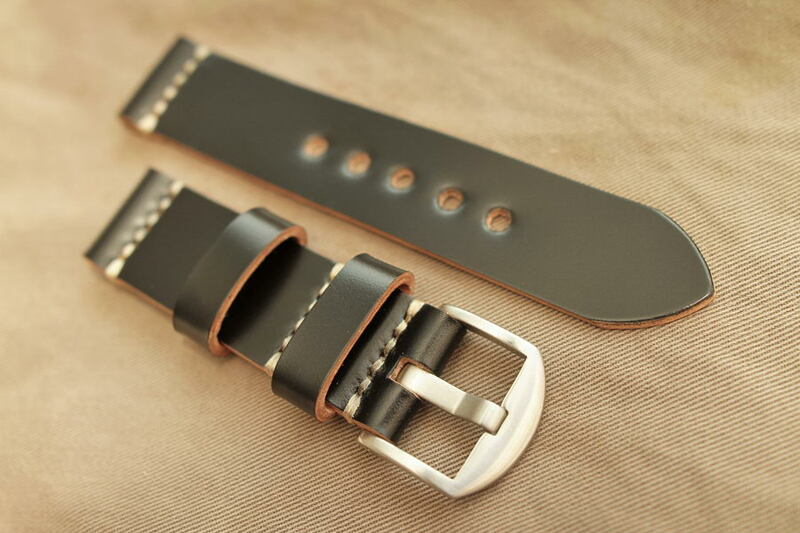 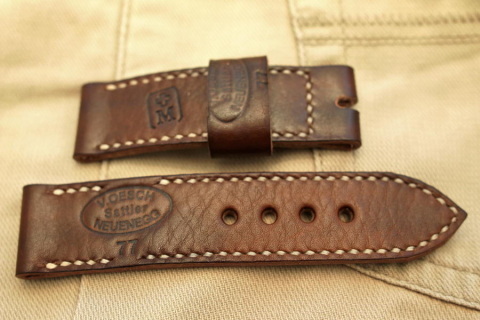 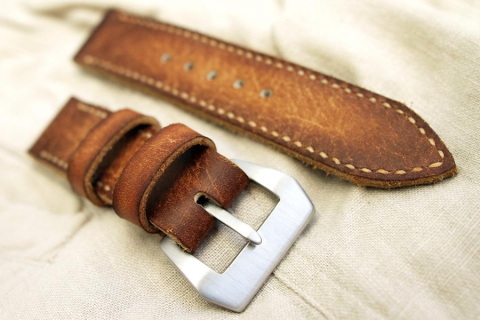 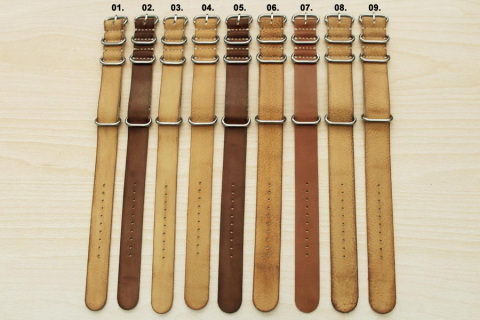 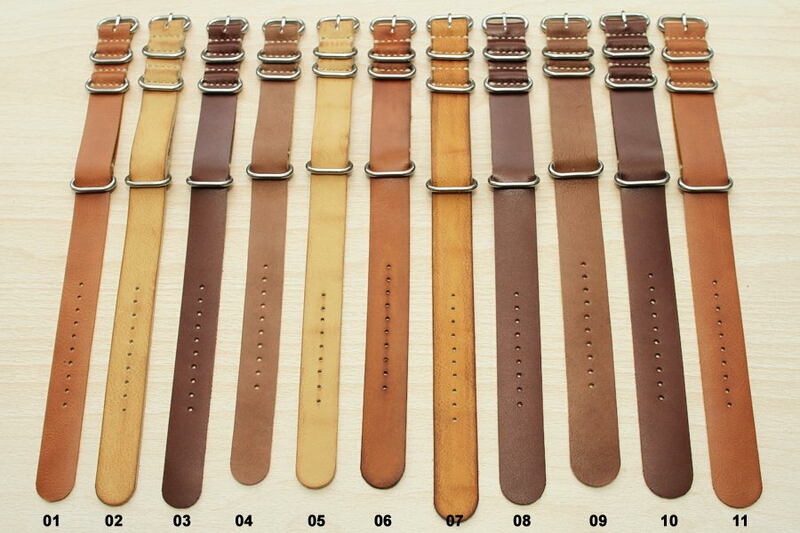 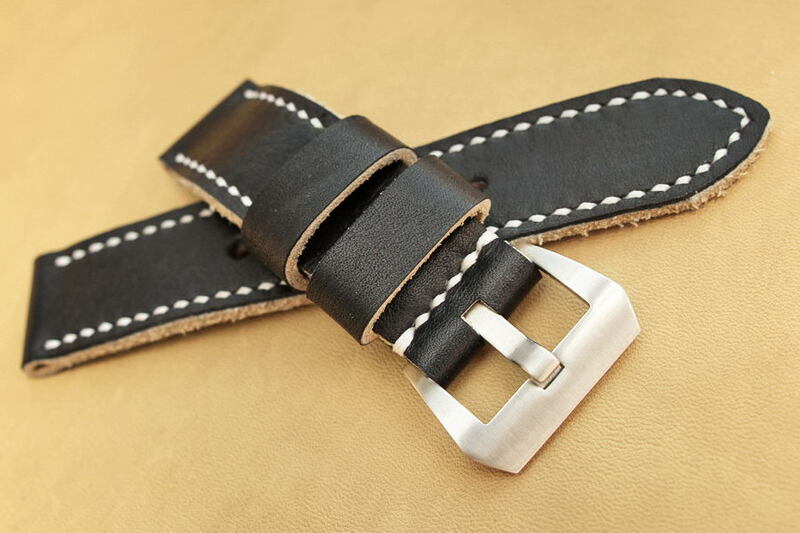 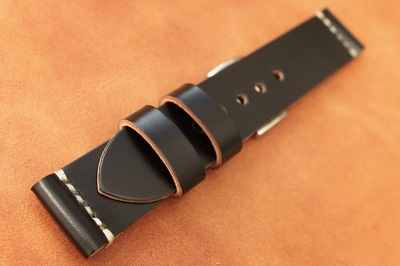 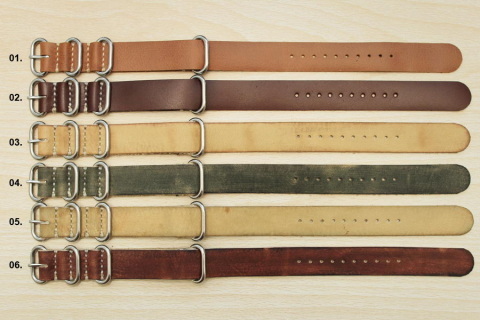 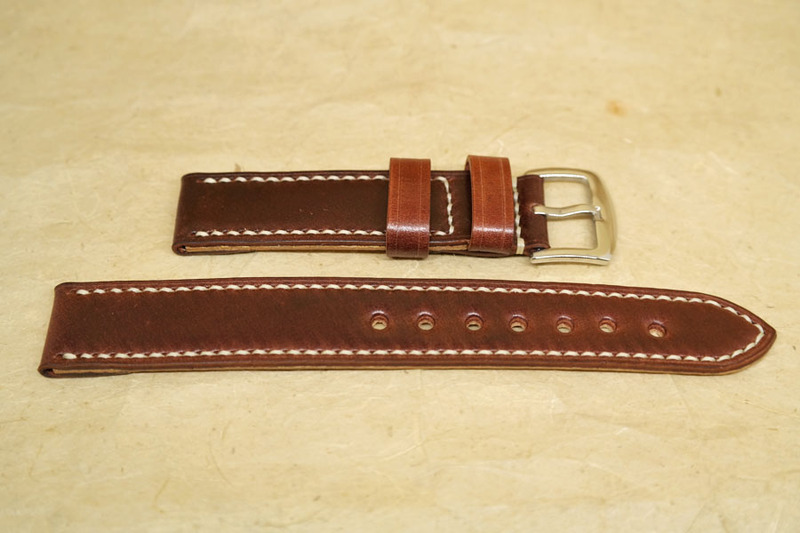 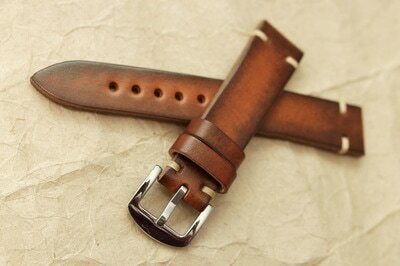 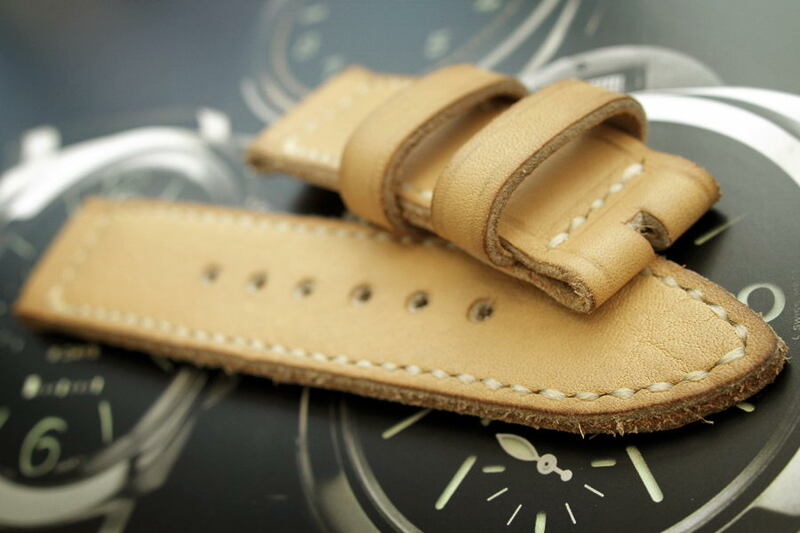 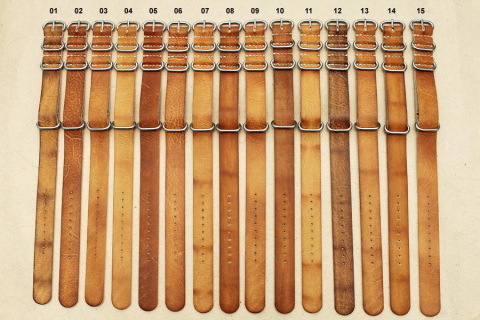 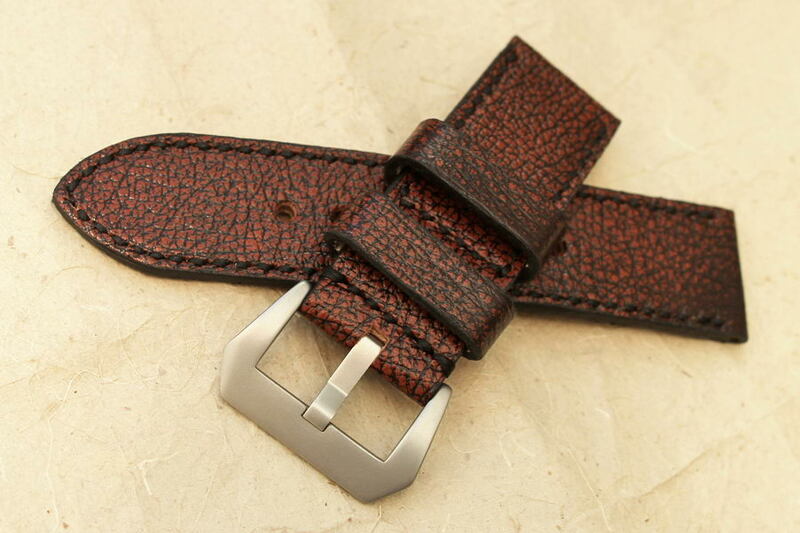 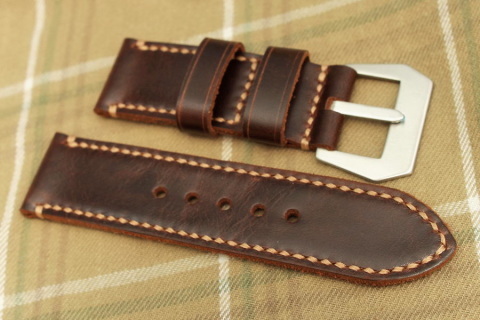 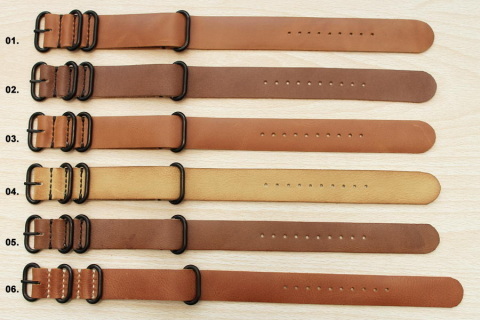 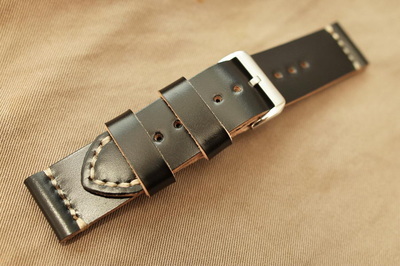 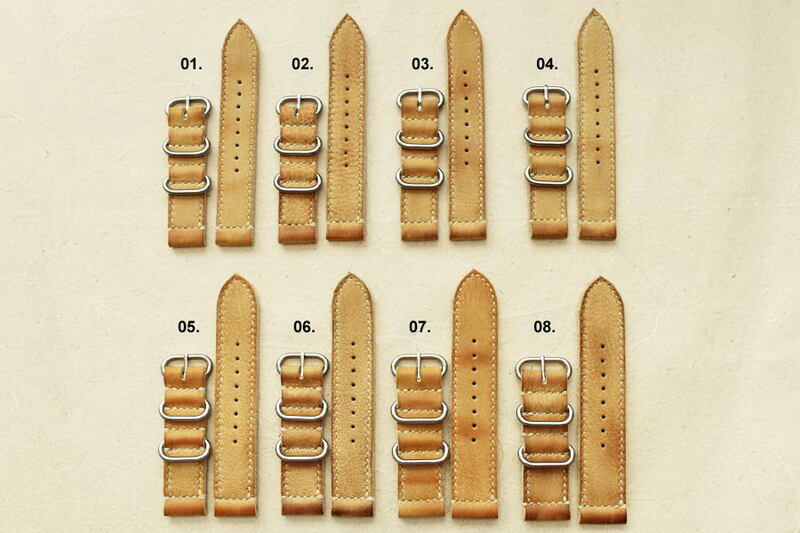 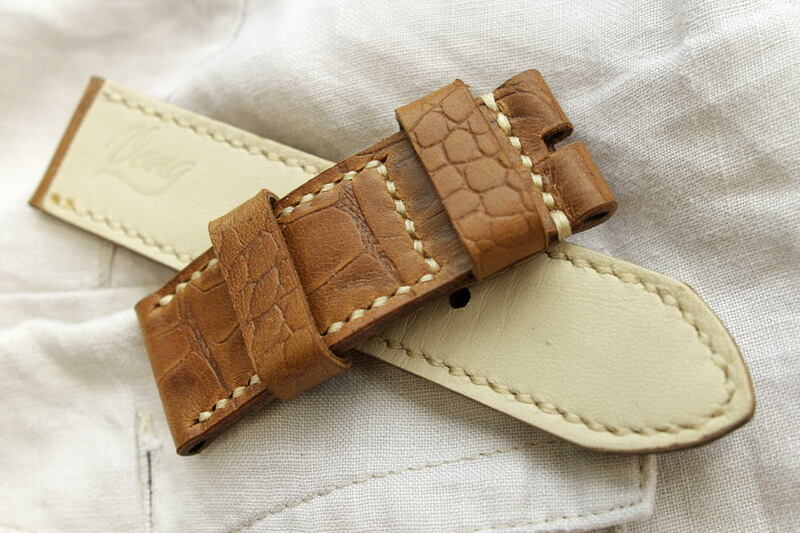 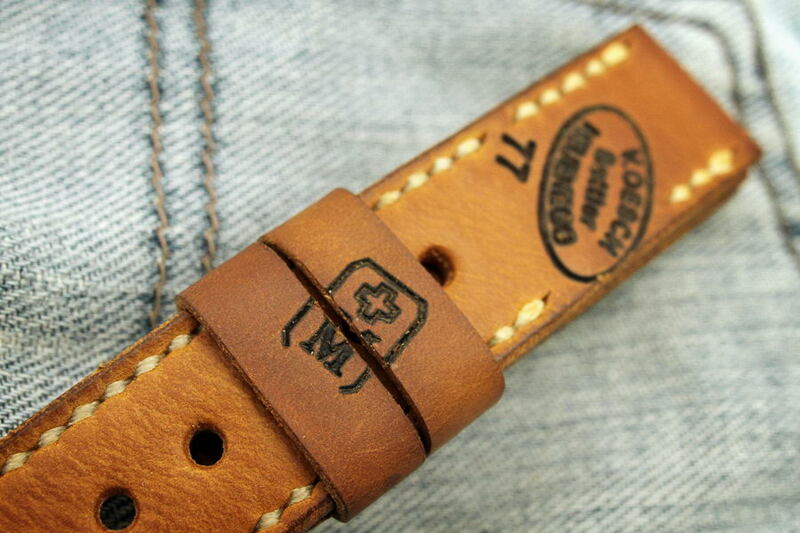 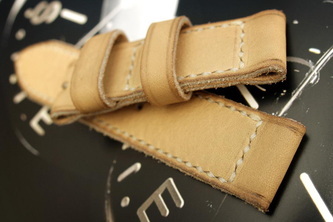 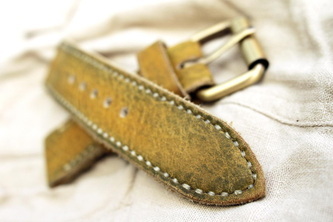 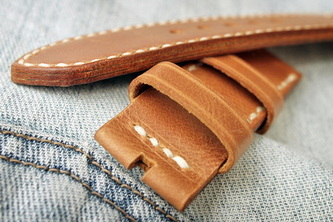 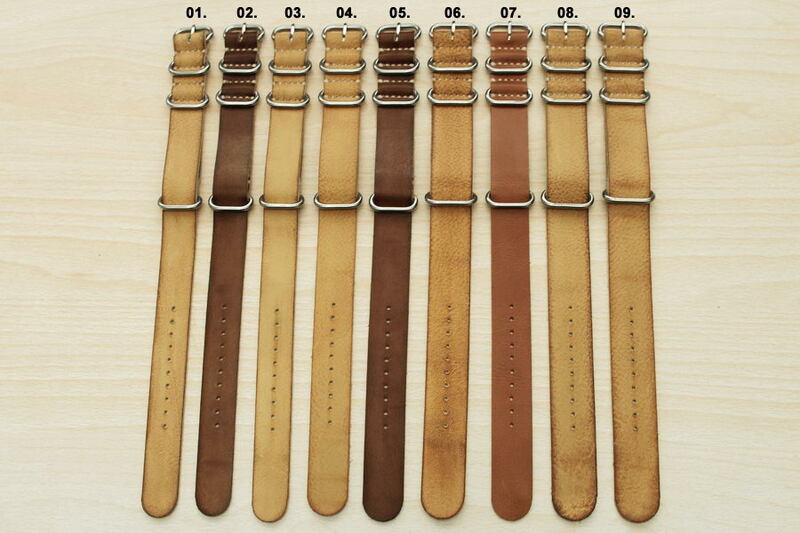 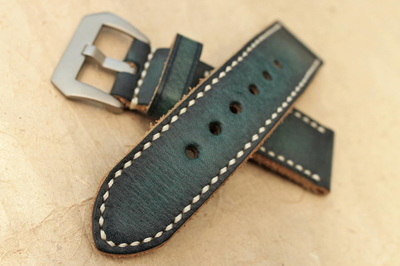 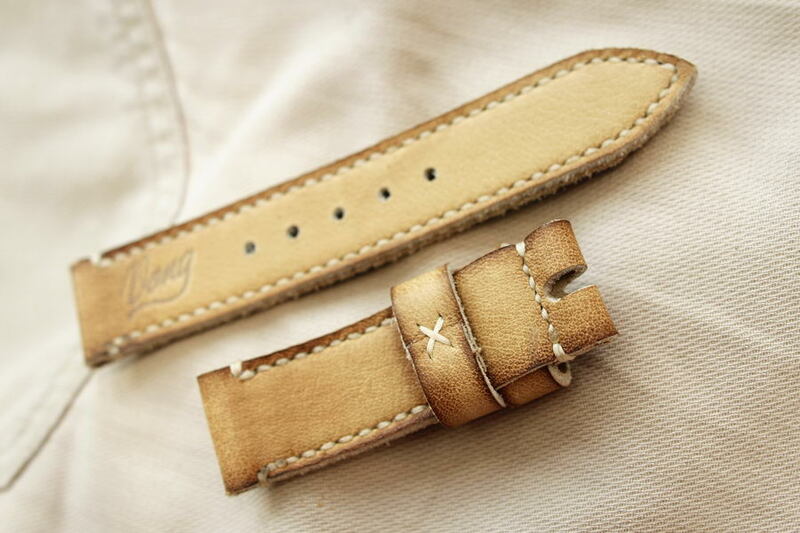 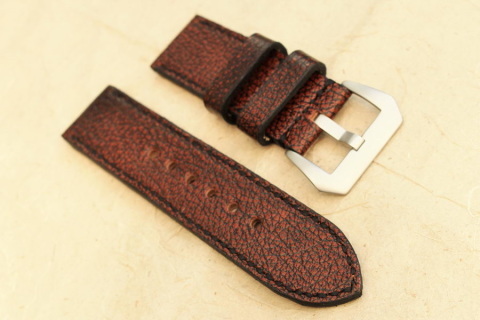 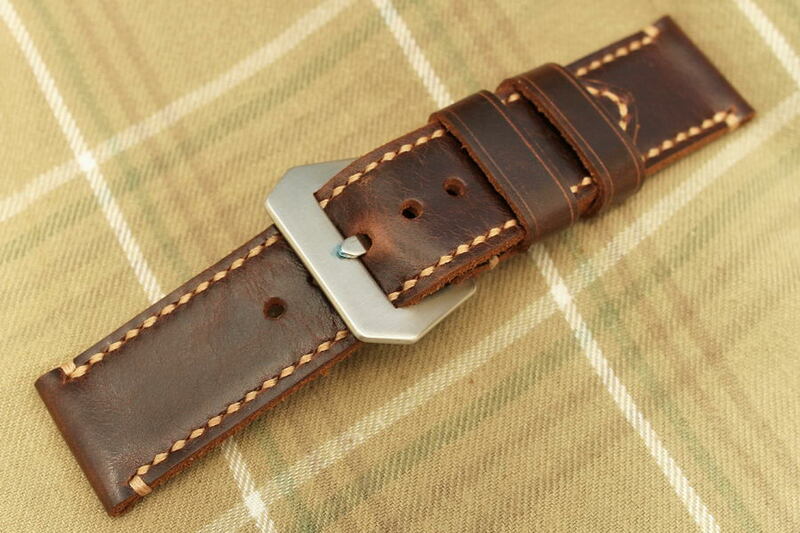 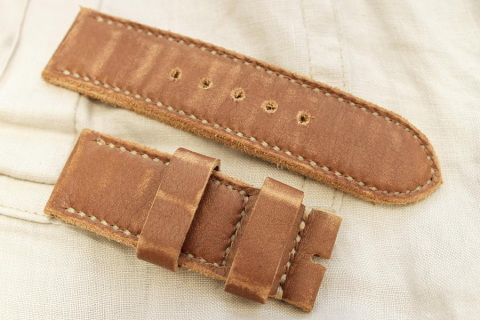 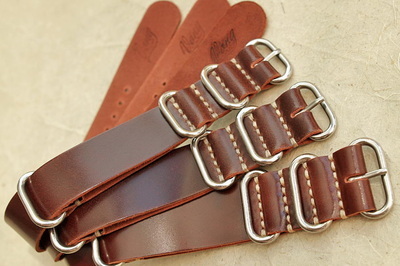 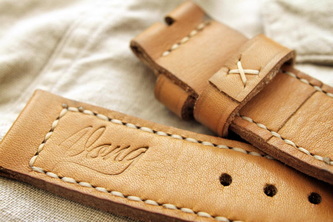 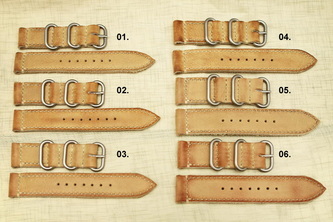 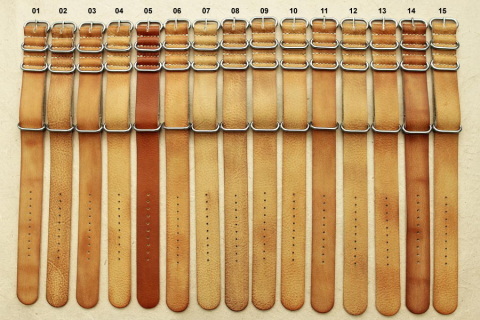 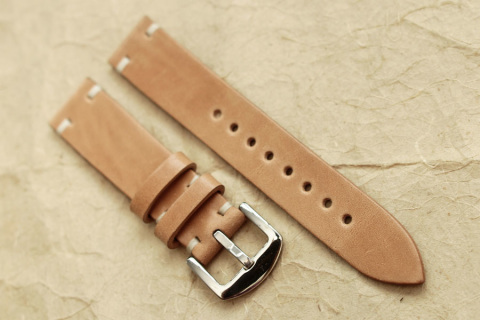 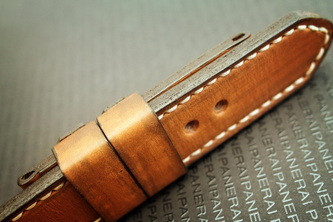 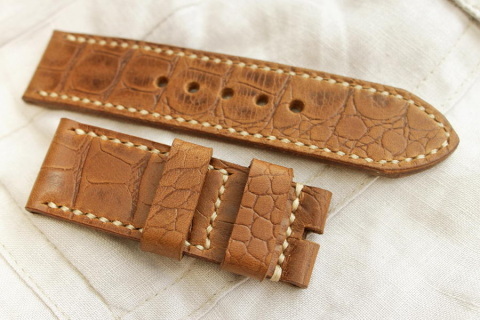 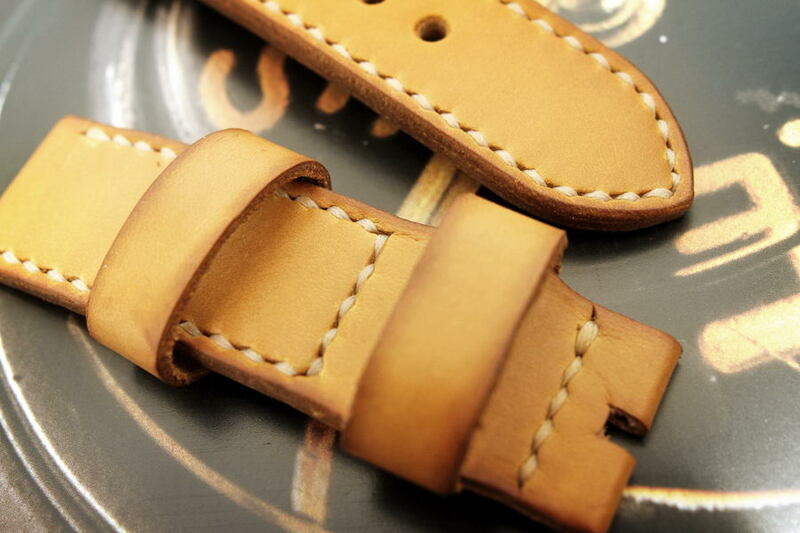 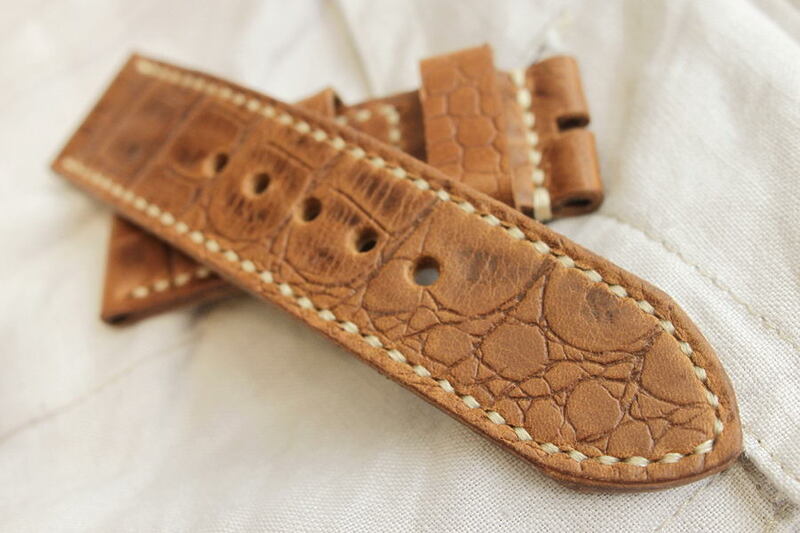 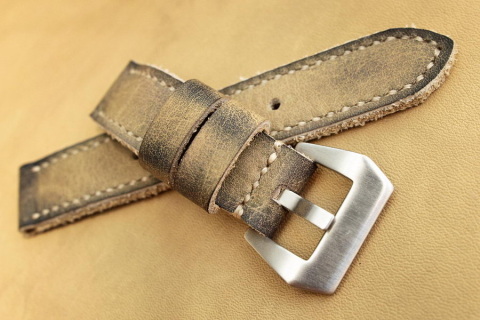 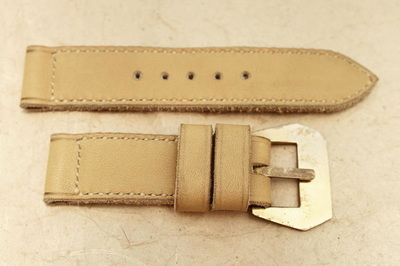 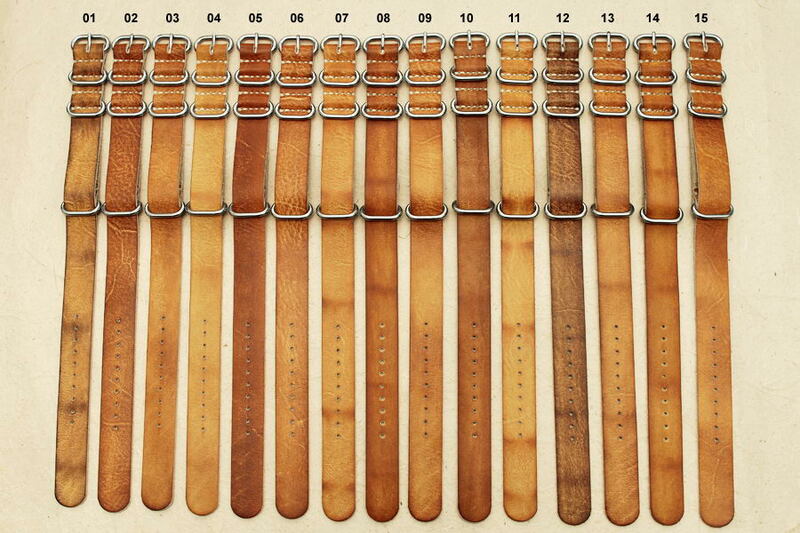 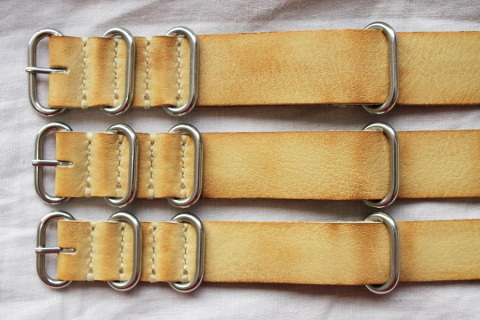 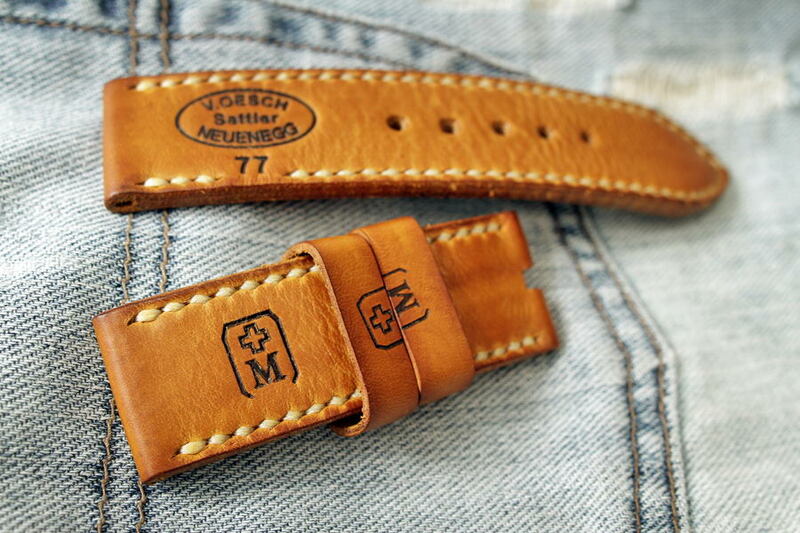 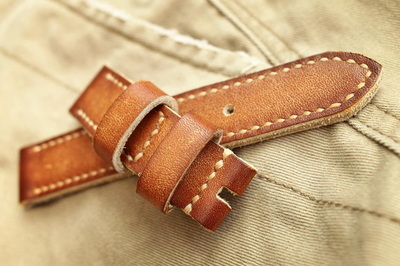 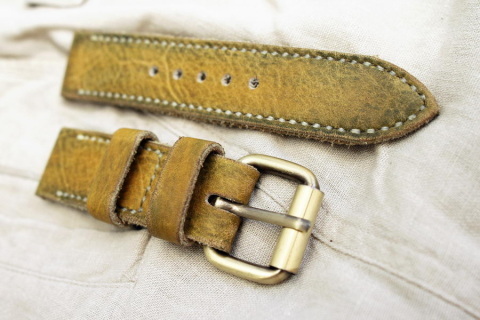 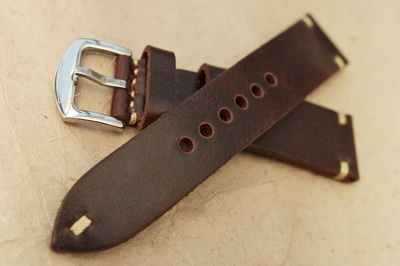 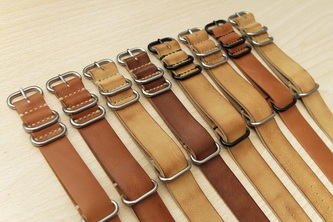 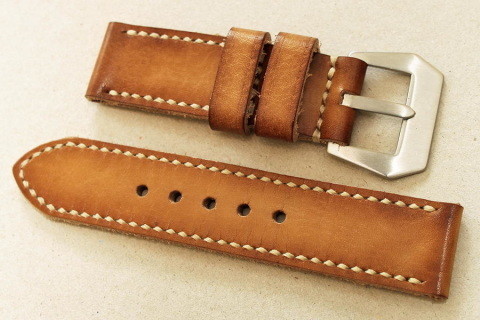 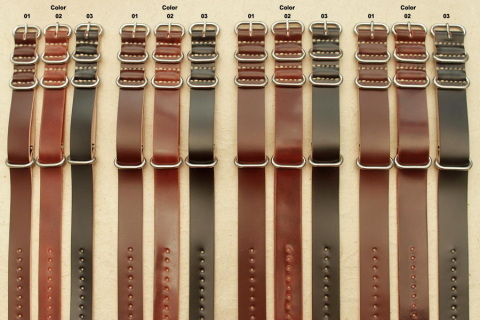 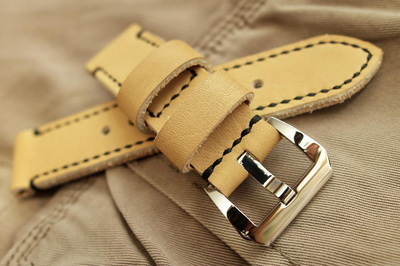 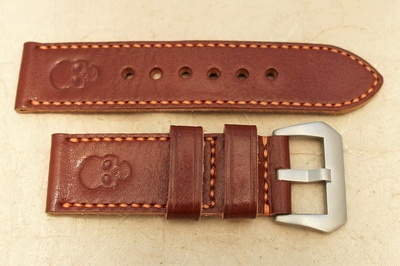 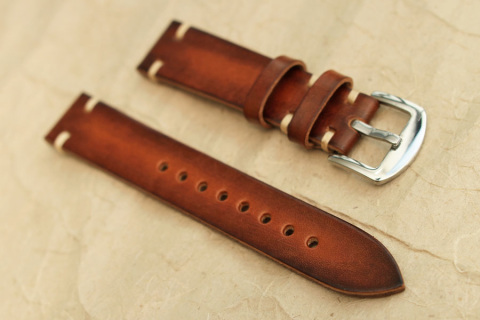 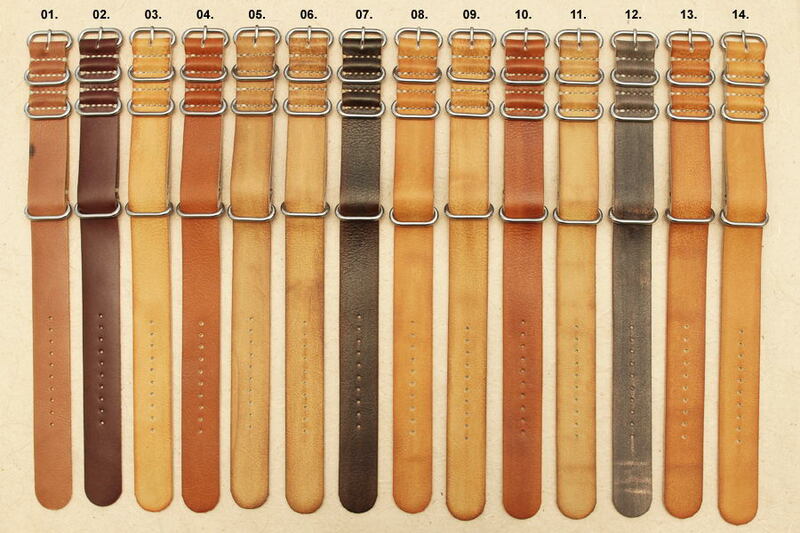 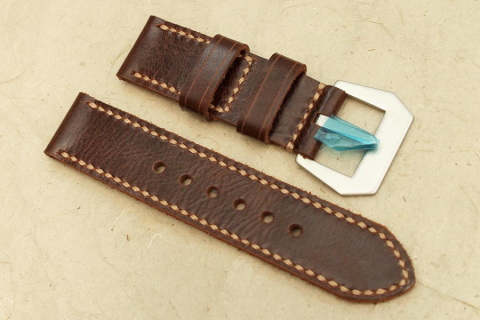 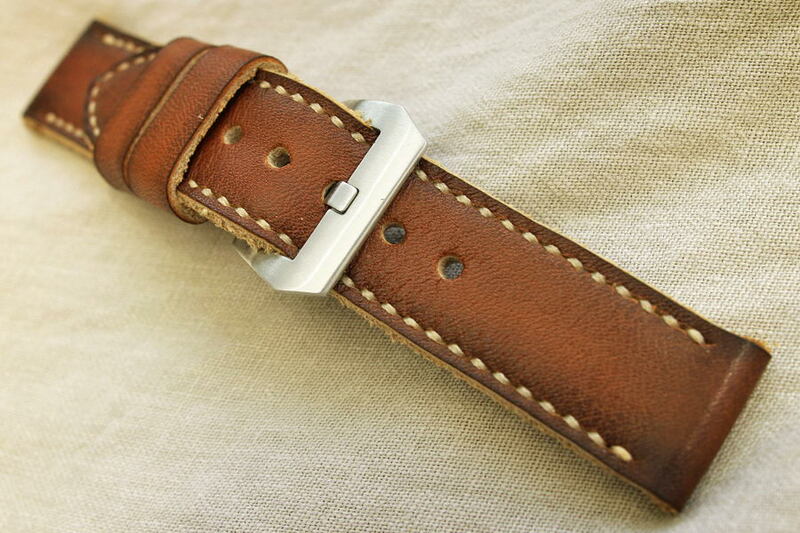 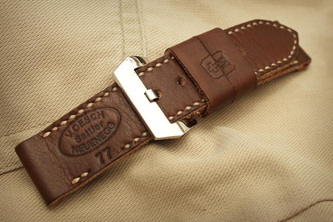 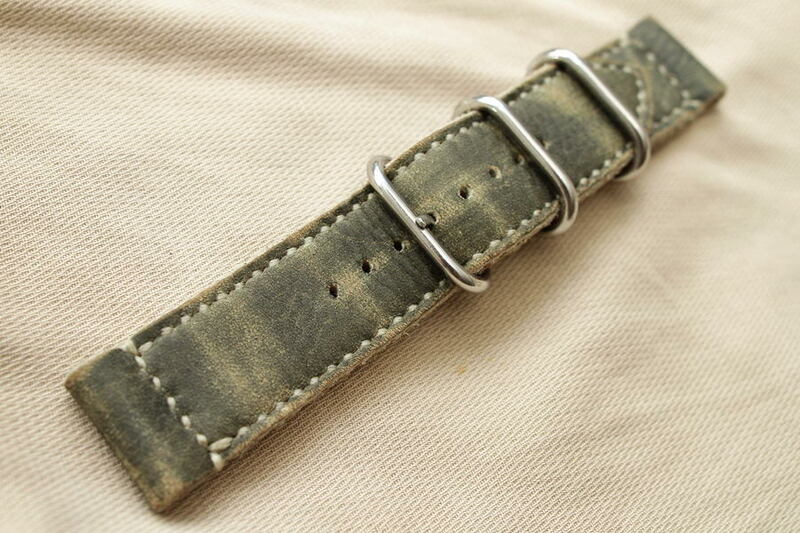 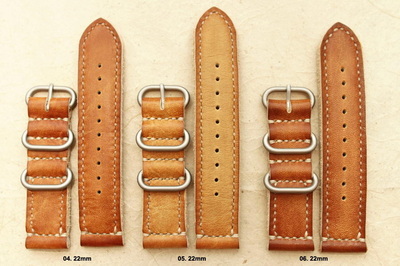 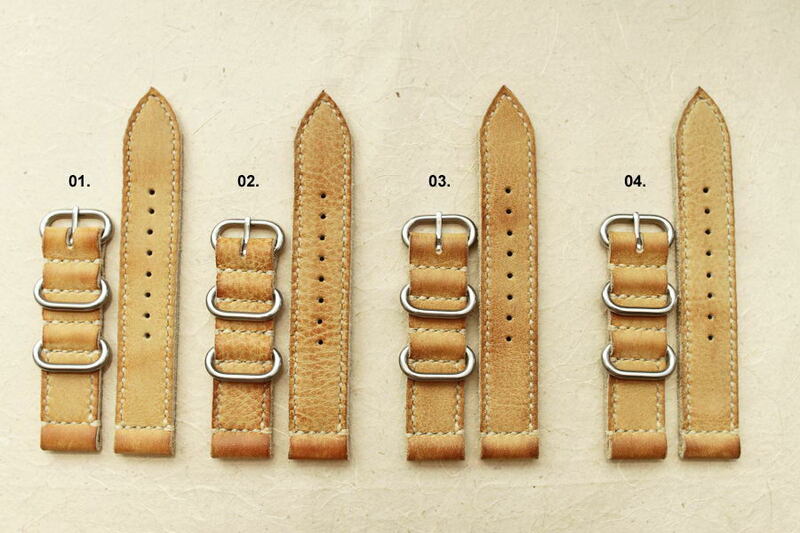 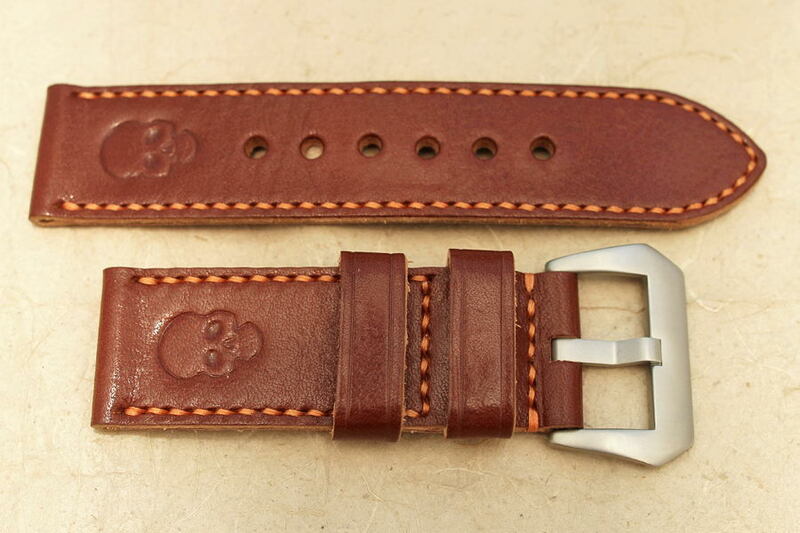 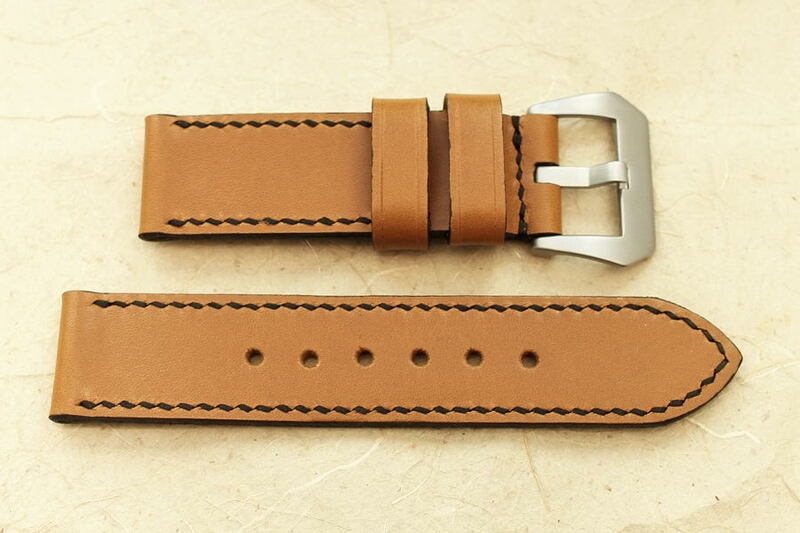 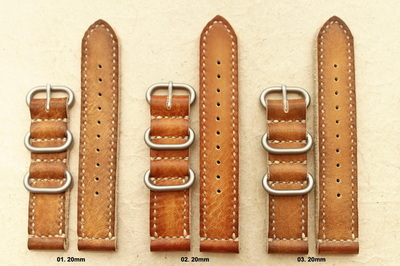 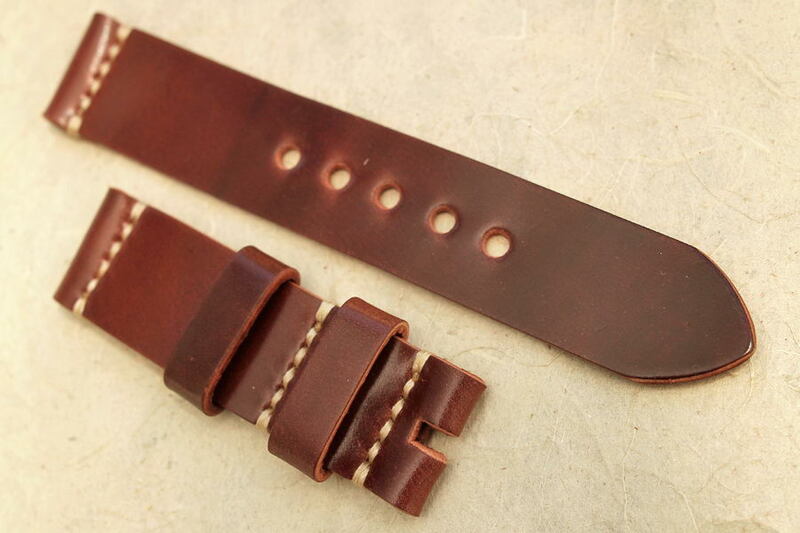 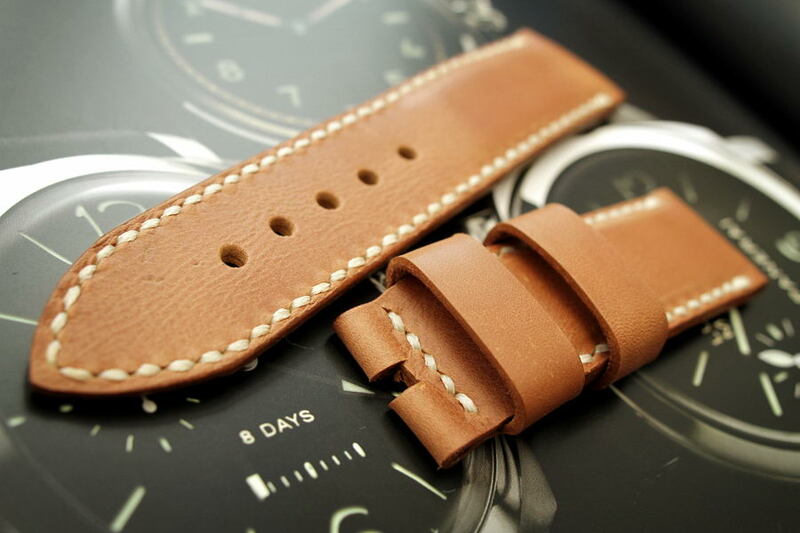 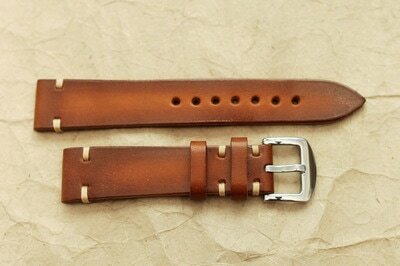 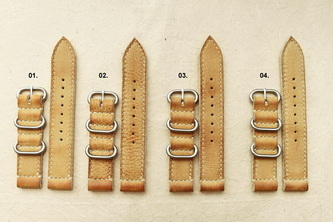 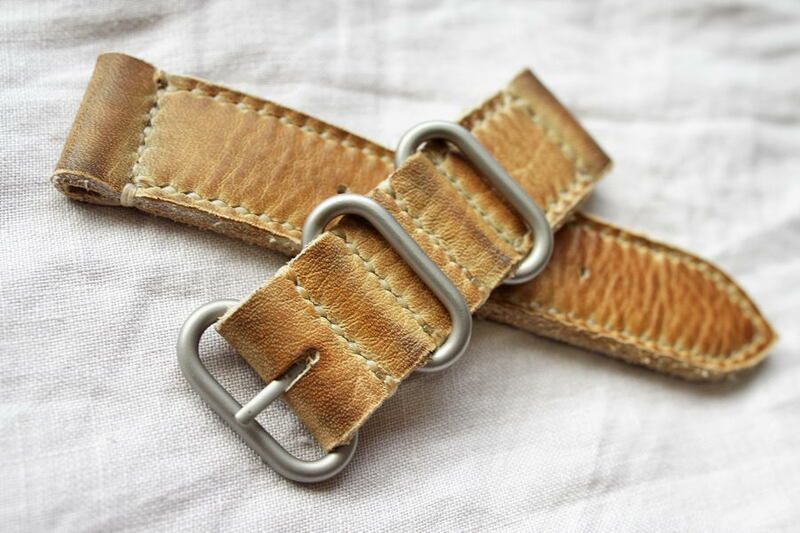 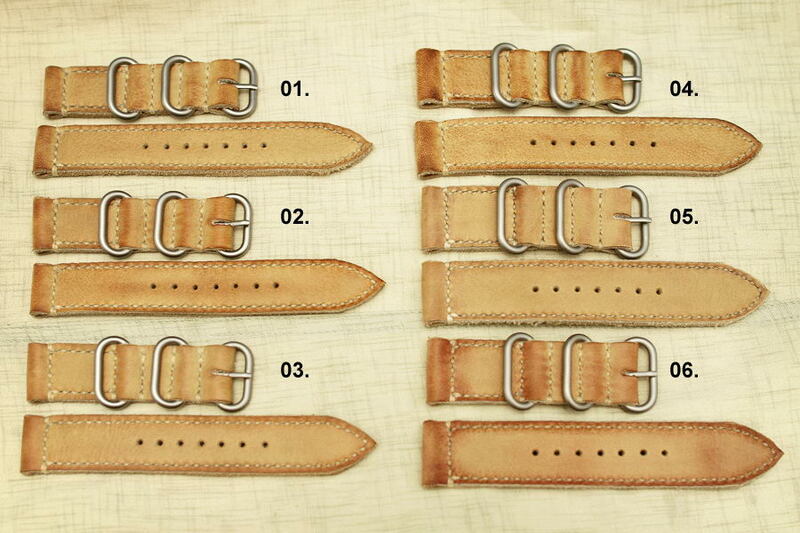 These are handmade genuine leather straps. 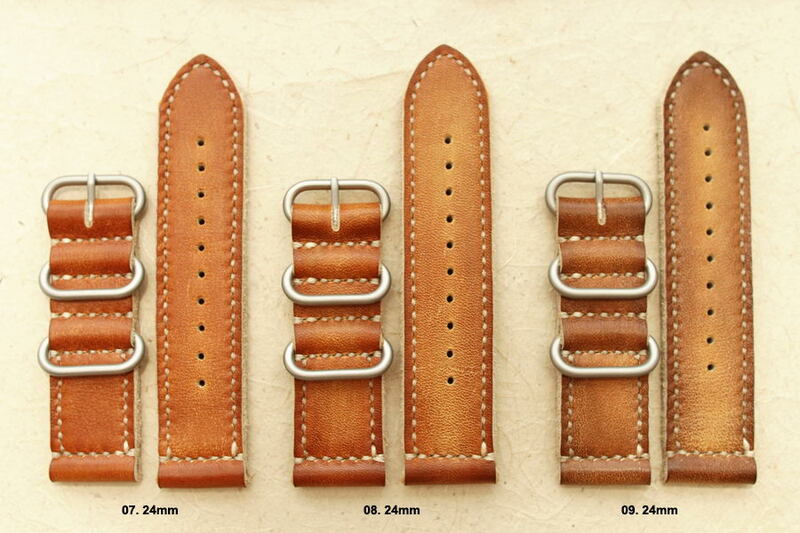 Available in size 20, 22 & 24mm. 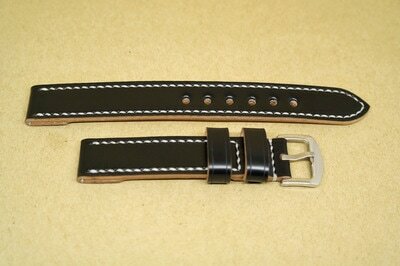 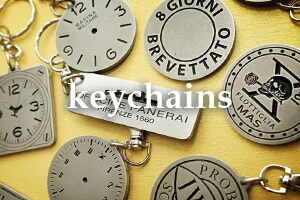 Length approx 75/130 mm, thickness approx 3,5mm. 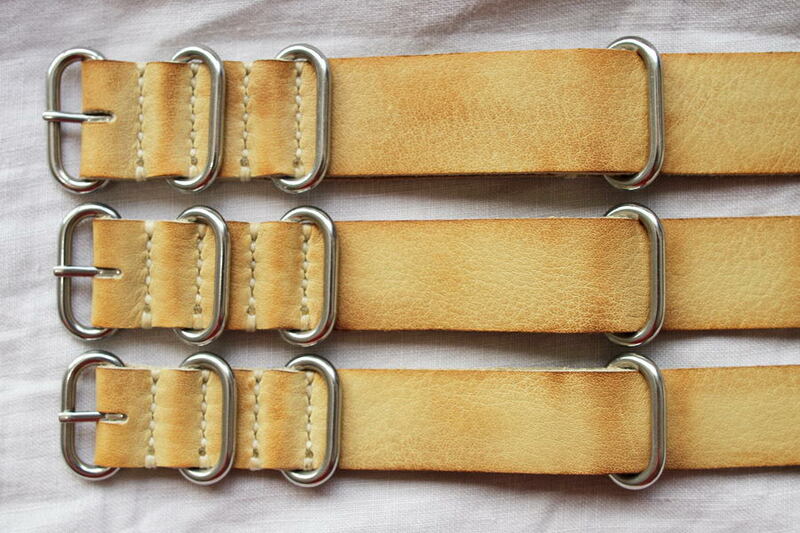 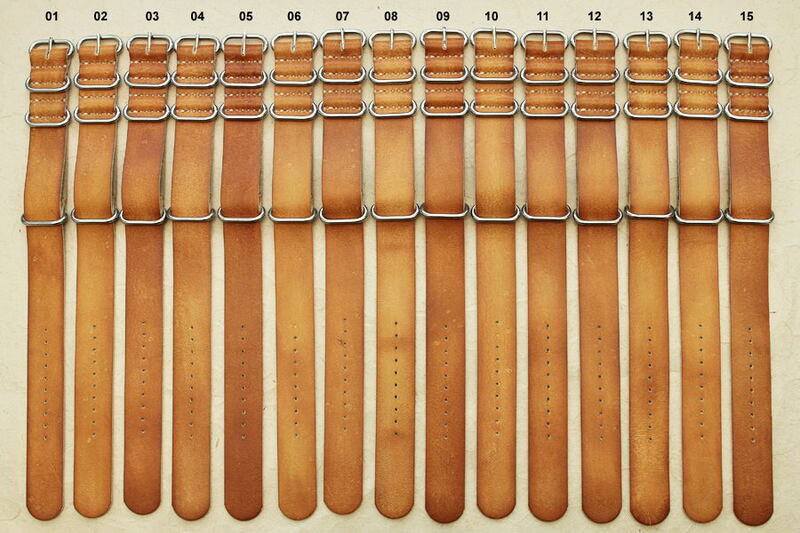 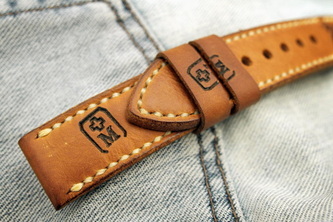 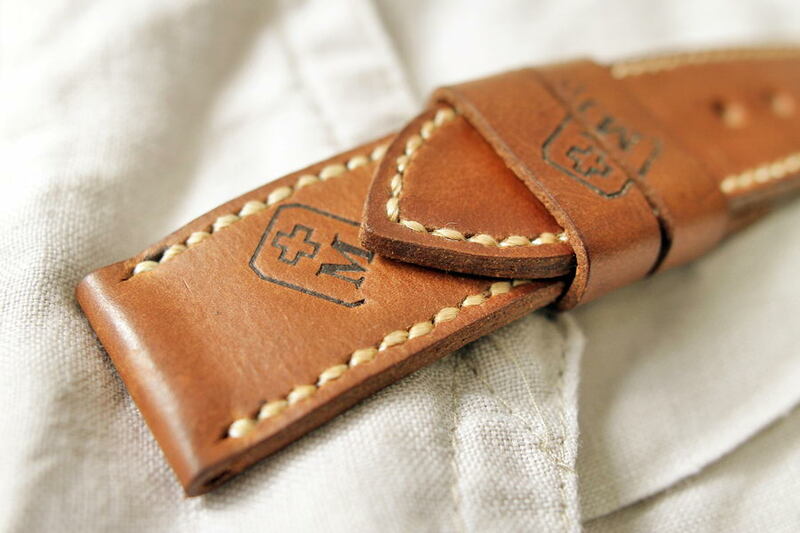 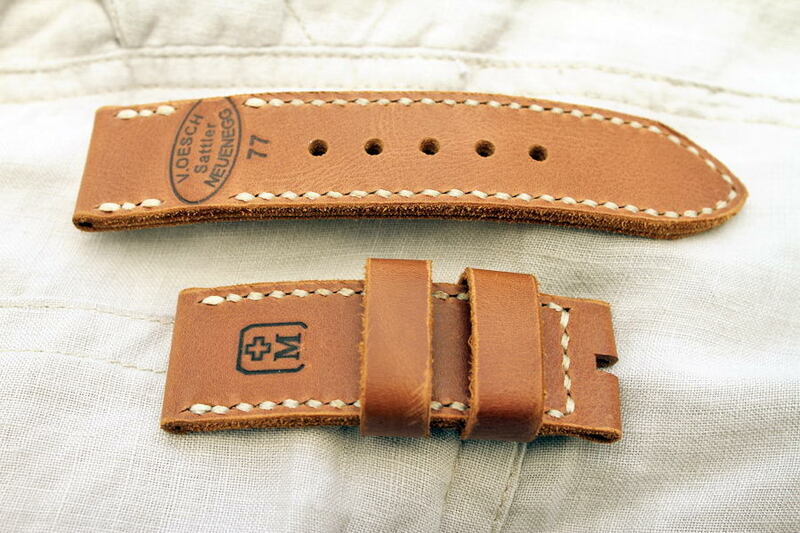 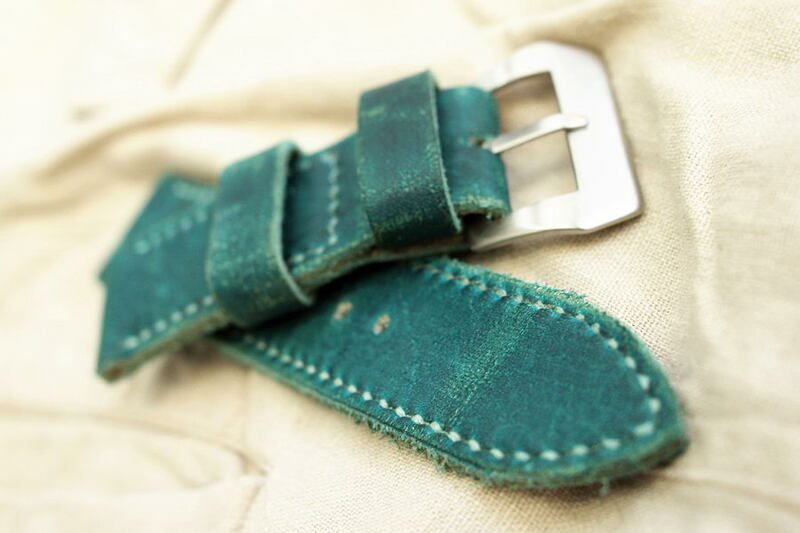 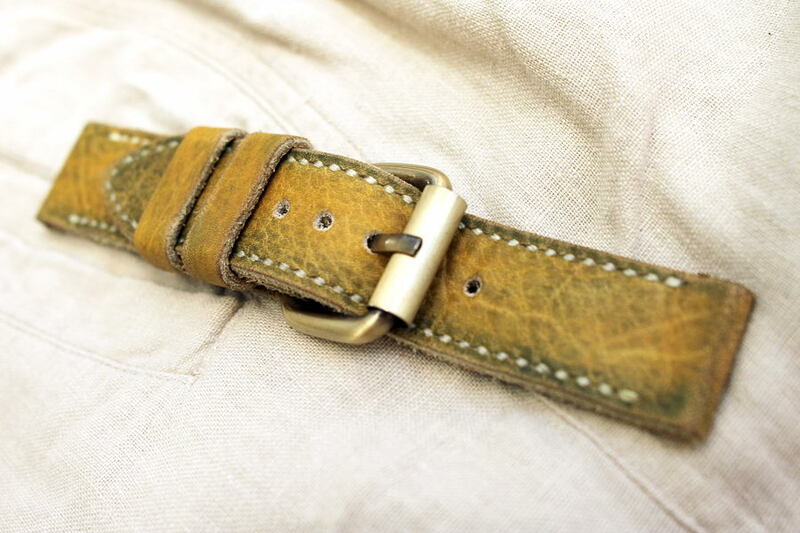 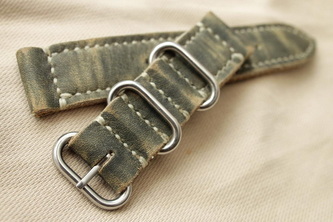 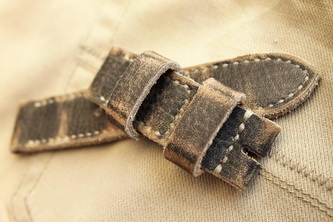 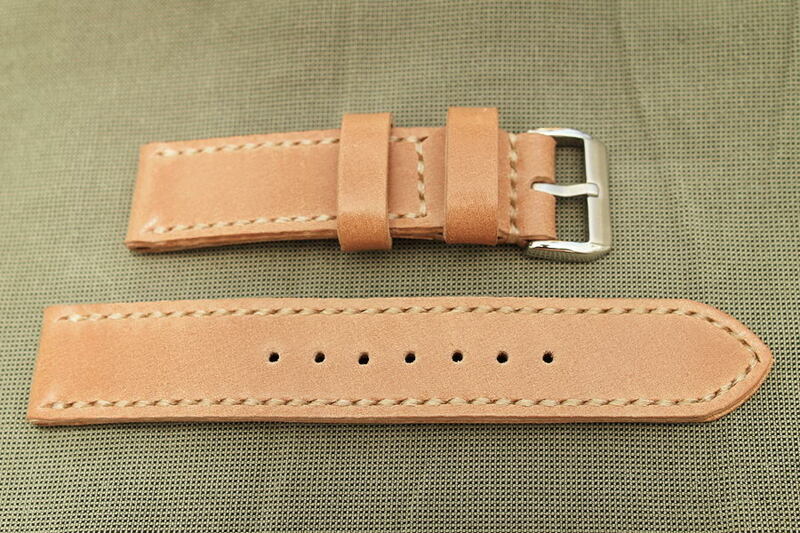 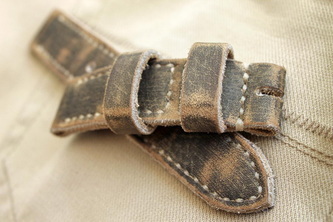 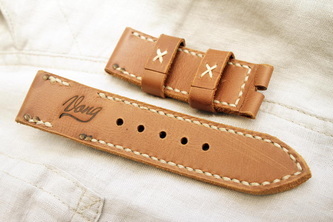 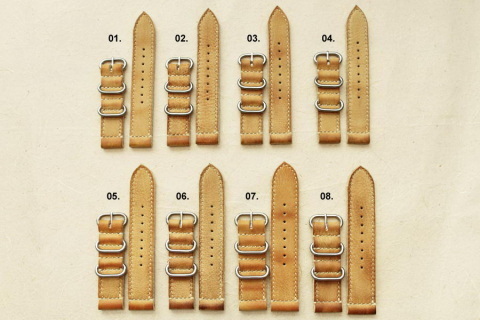 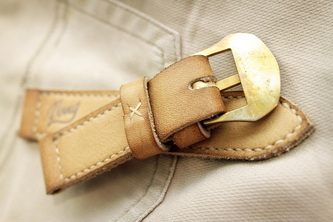 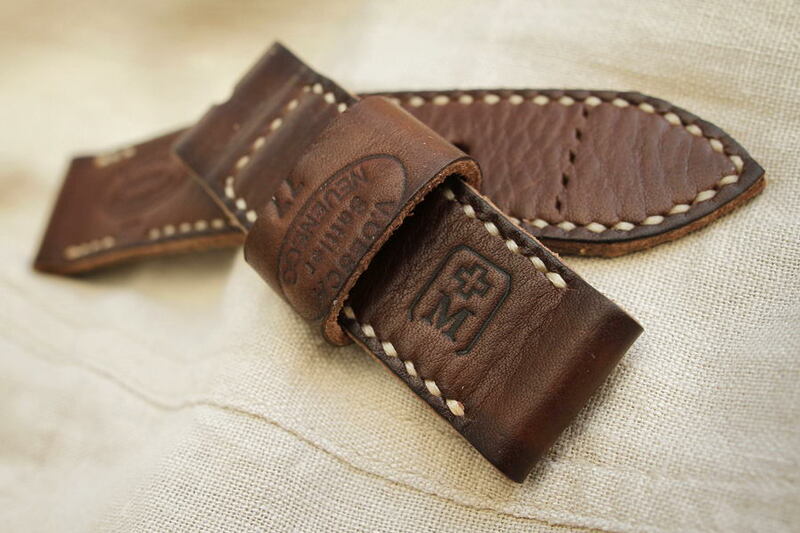 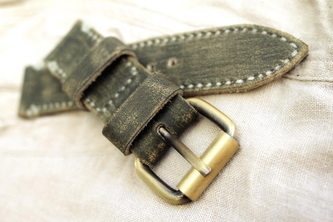 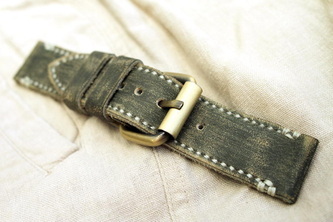 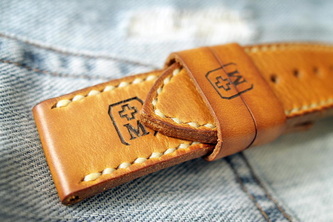 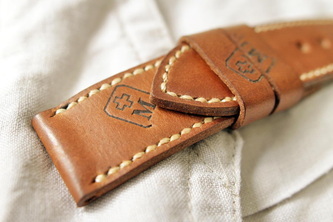 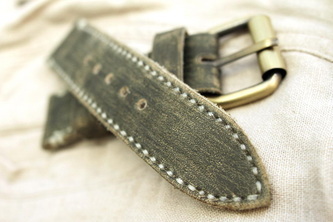 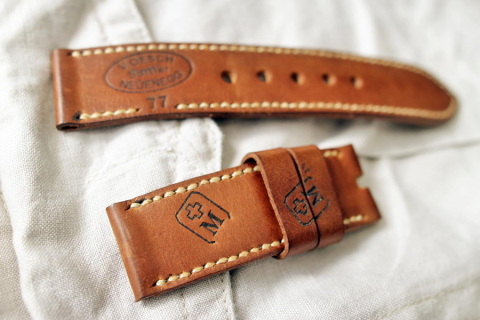 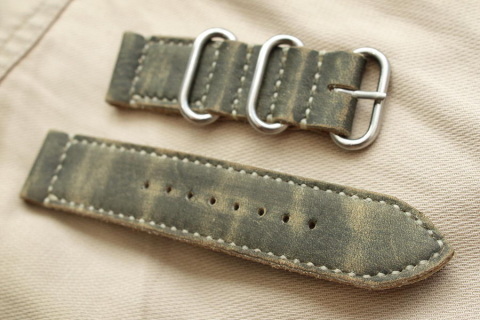 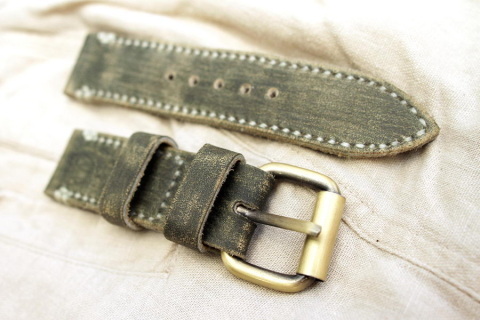 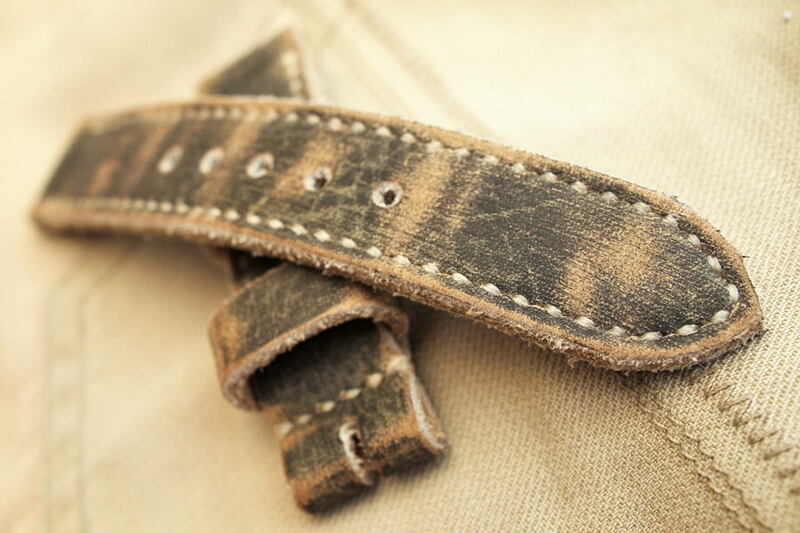 All straps are brand new, never worn & handmade. 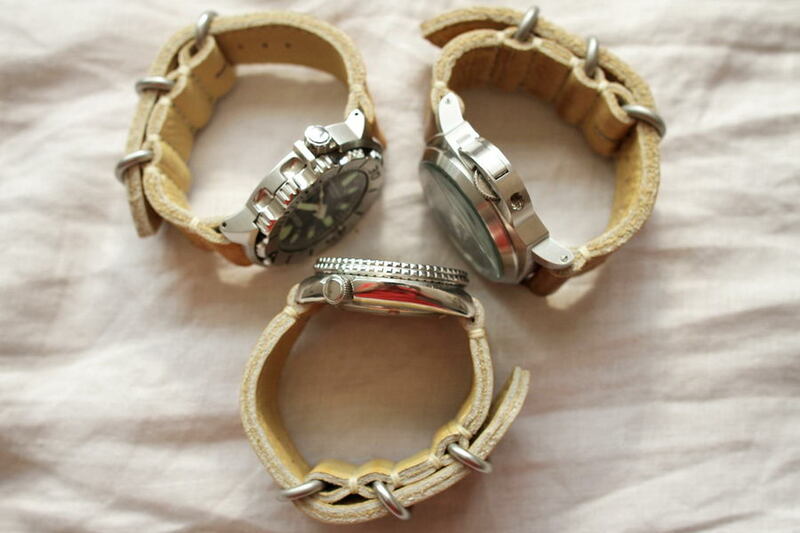 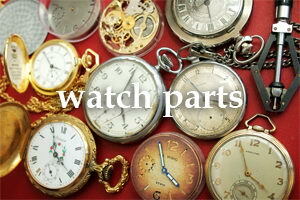 Watches in the photos are for display only, not included. 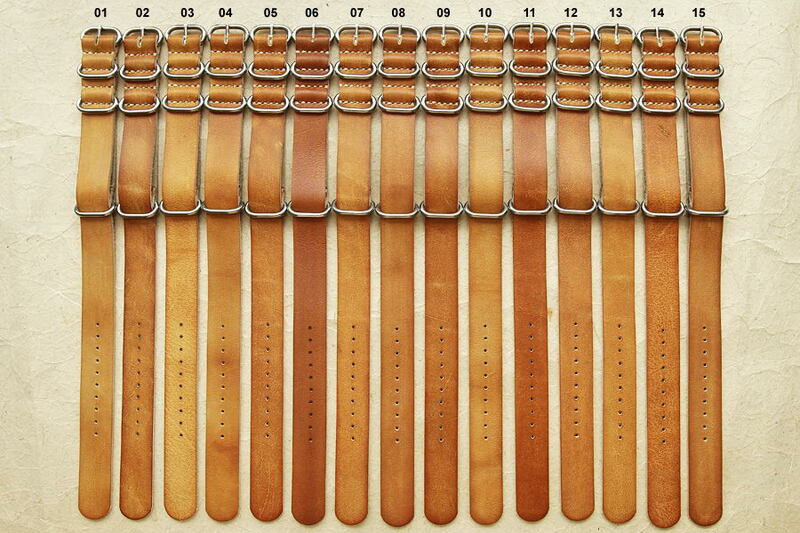 Please leave a note for the size of your choice when checkout. 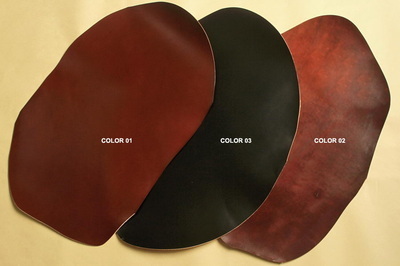 Please leave a note for the color of your choice when checkout. 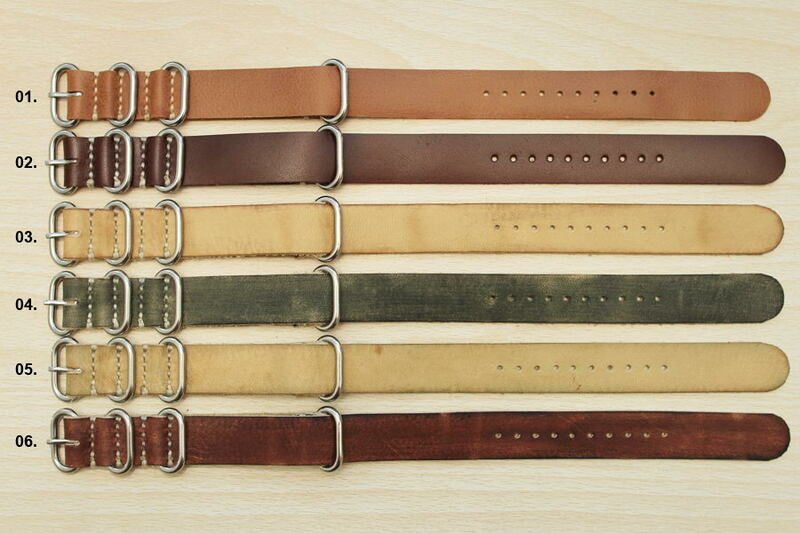 All straps are brand new, never worn & handmade. Length approx 30 cm, thickness approx 1,5 mm. 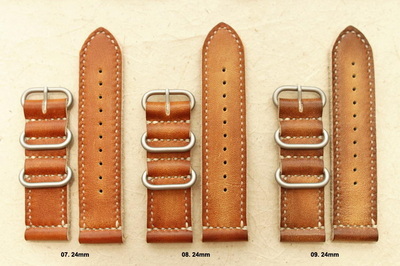 Available in 7 colors & 4 sizes (18mm, 20mm, 22mm & 24mm). 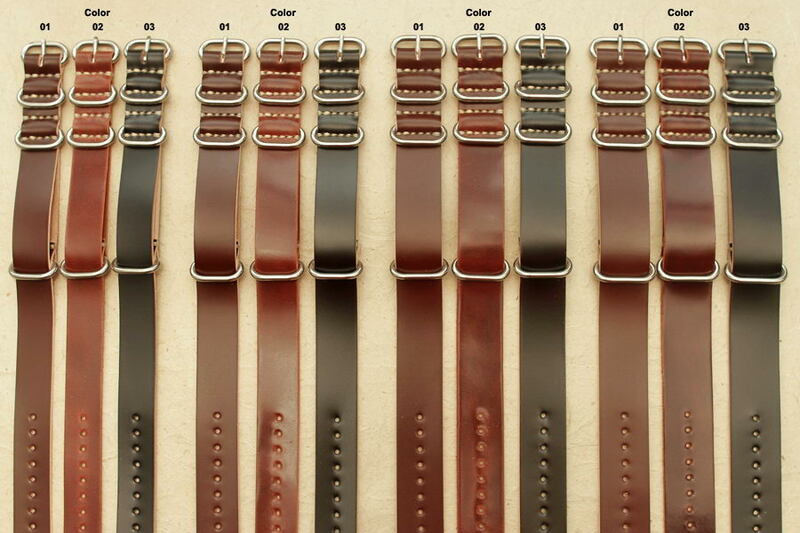 Please leave a note for the size & color of your choice when checkout. All straps are brand new, never worn & handmade. Length approx 30 cm, thickness approx 1,6 mm. 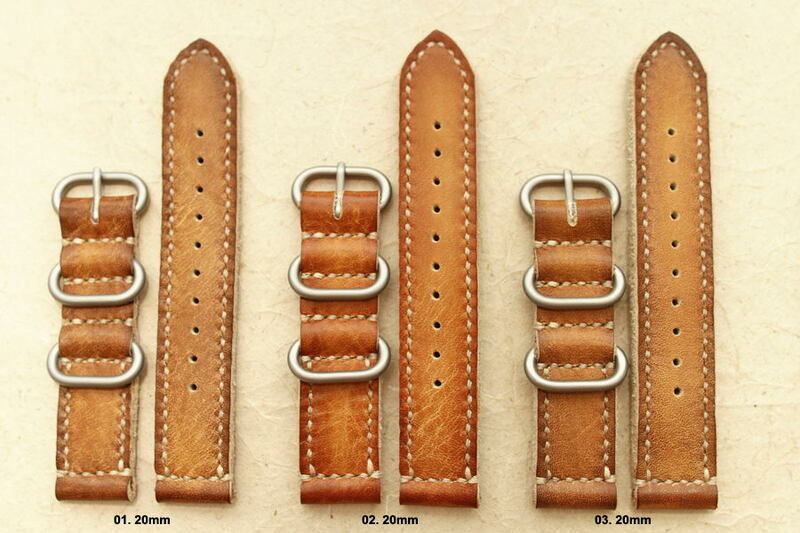 Available in 3 color & 4 sizes (18mm, 20mm, 22mm & 24mm). 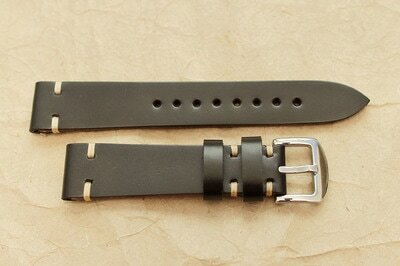 Two options of hardware : Stainless steel & PVD Black. 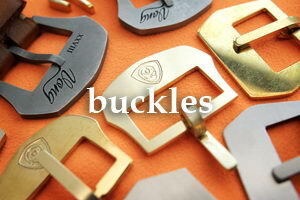 Please leave a note for the size & hardware of your choice when checkout. 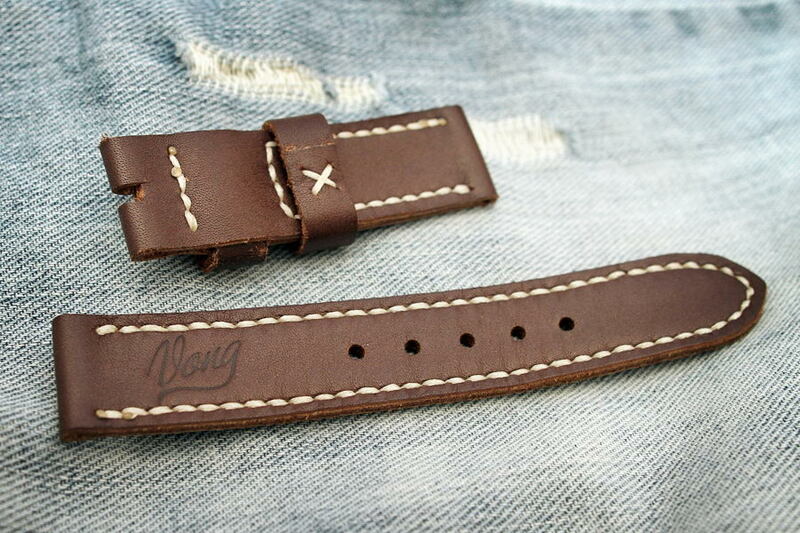 All straps are brand new, never worn & handmade. 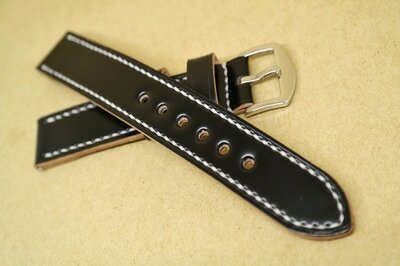 Length approx 30 cm, thickness approx 1,7 mm. 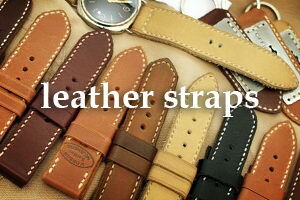 All straps are brand new, never worn & handmade. 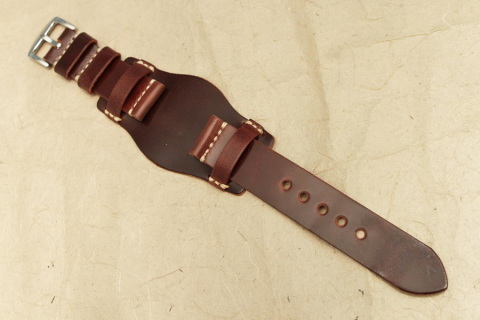 Length approx 30 cm. 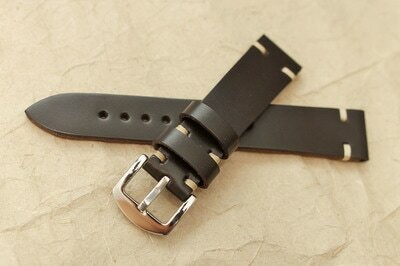 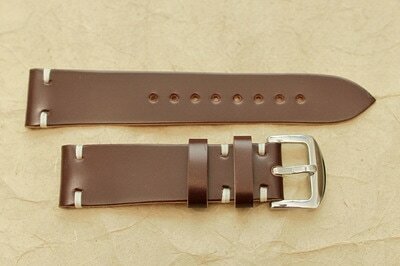 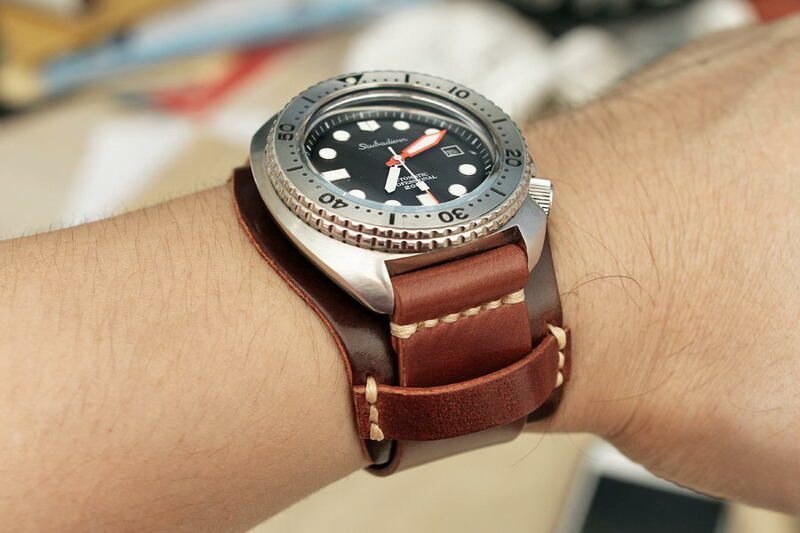 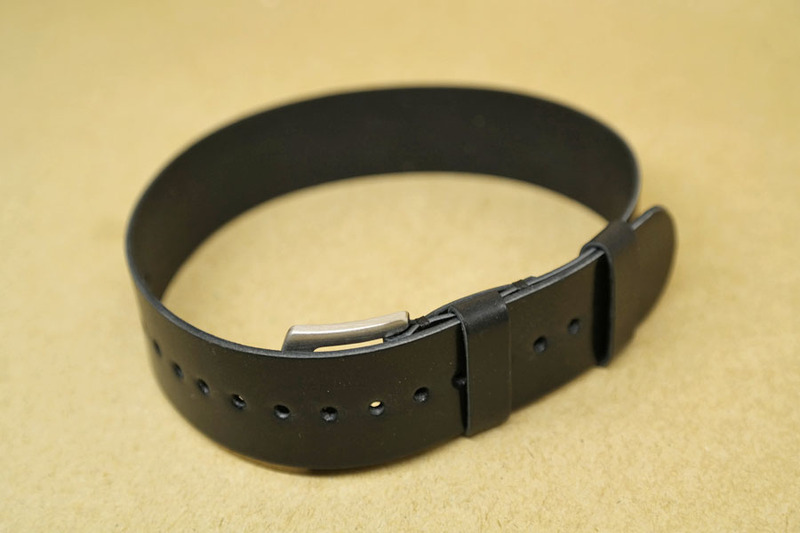 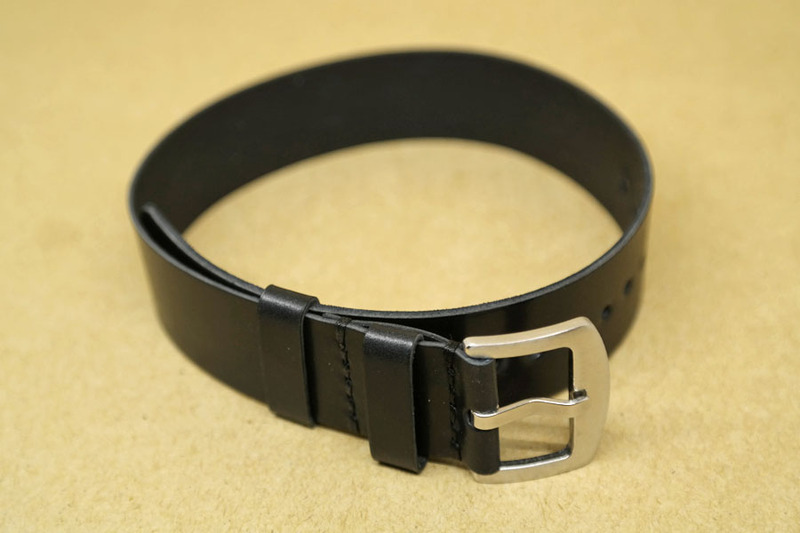 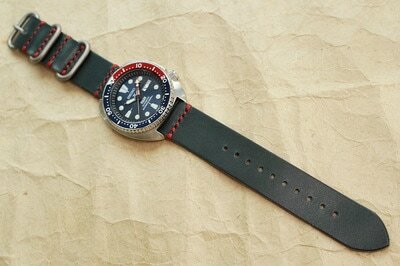 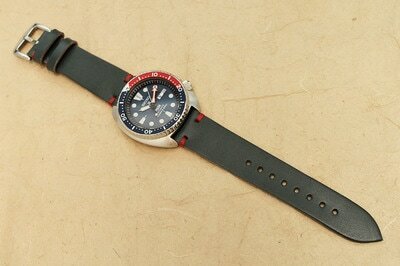 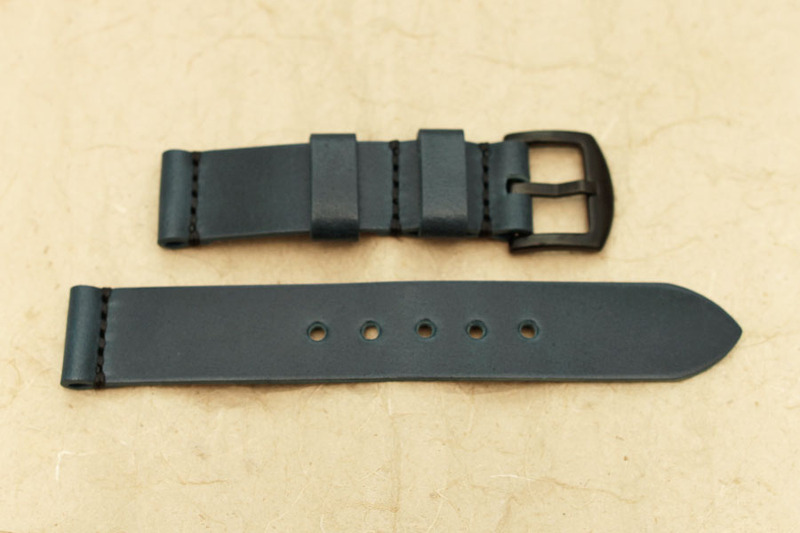 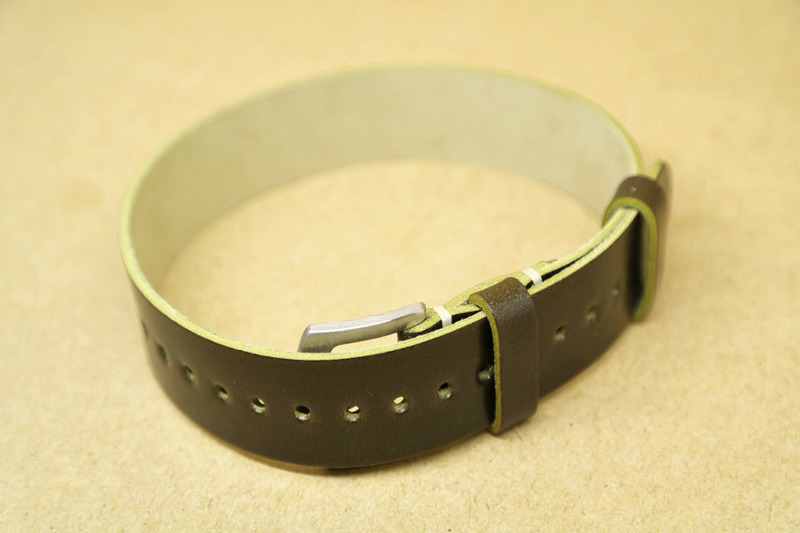 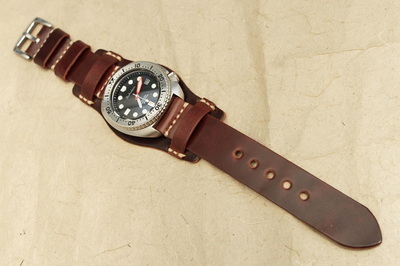 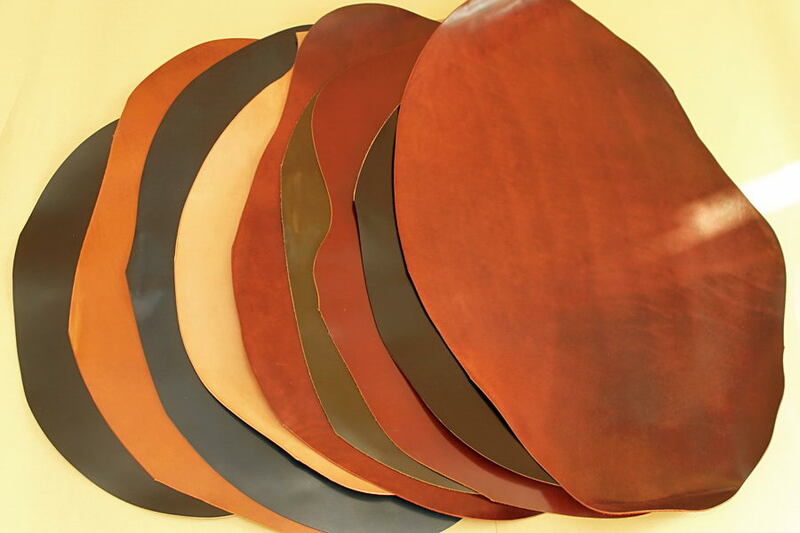 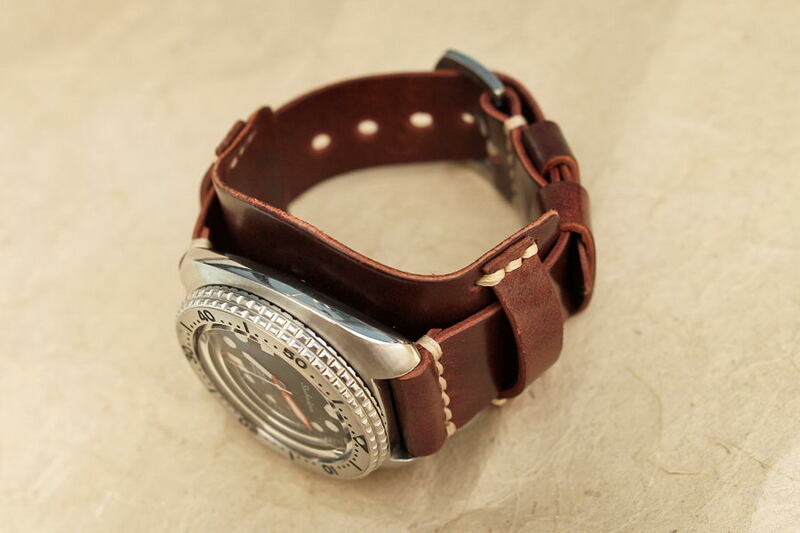 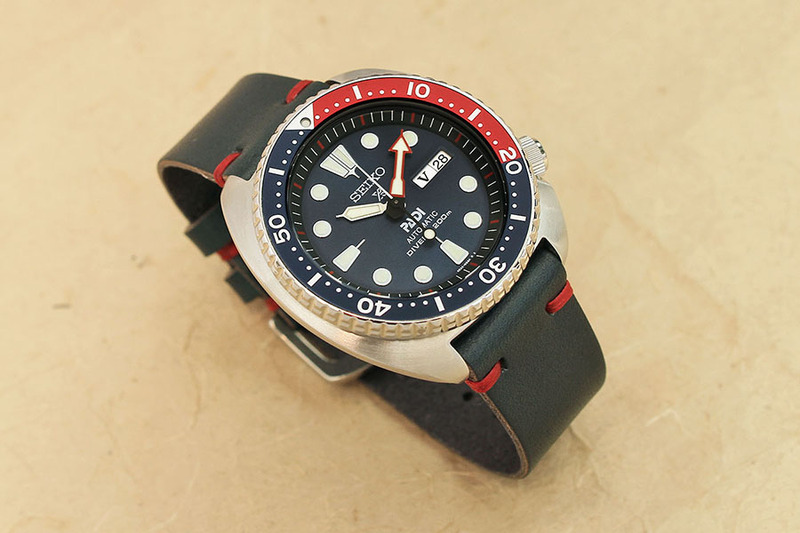 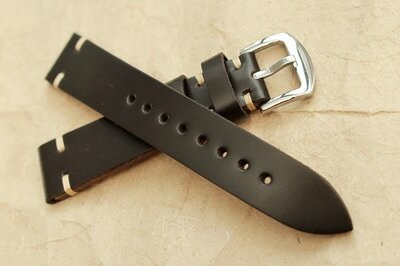 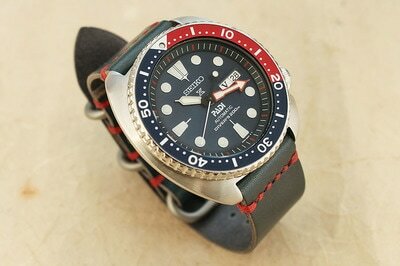 Please pay attention, the leather's thickness is more than 2mm & will only fit watches like Panerai, Seiko diver series, etc. 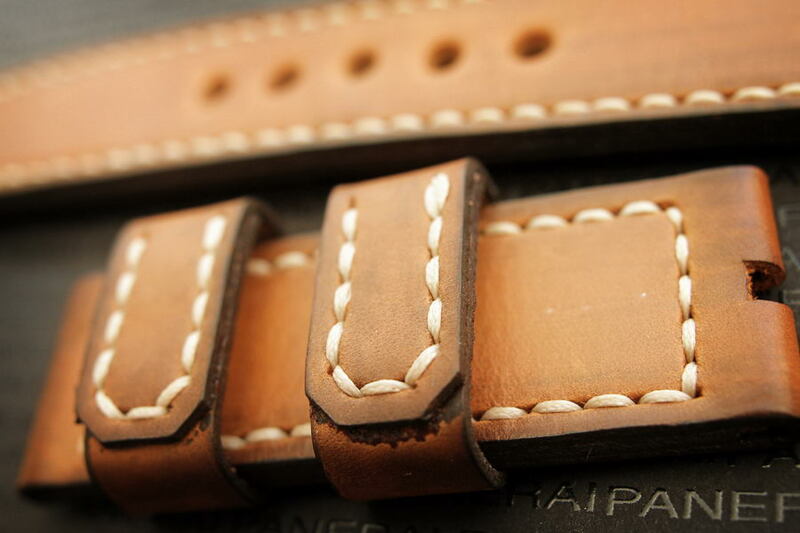 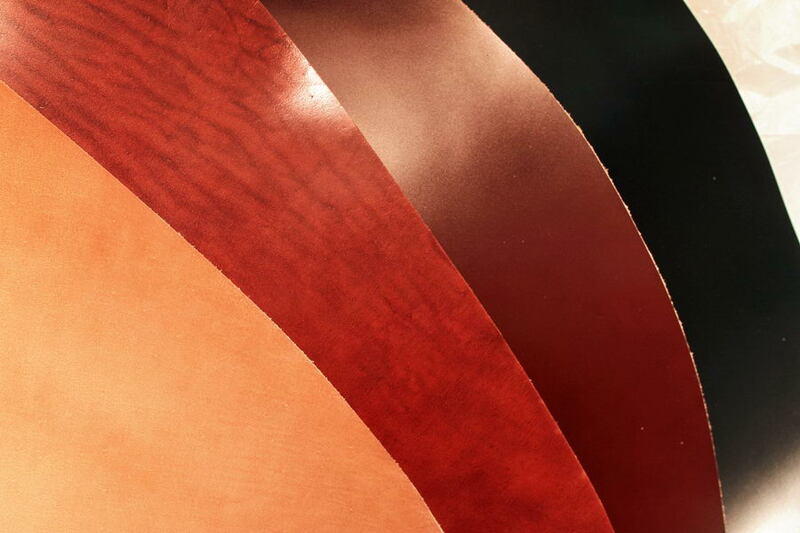 Please pay attention, the leather thickness is more than 2mm (will only fit big watches like Panerai, Seiko diver series, etc). 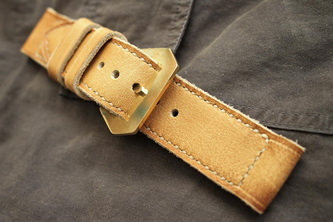 Please make sure there is enough gap at between the lug and spring bar.